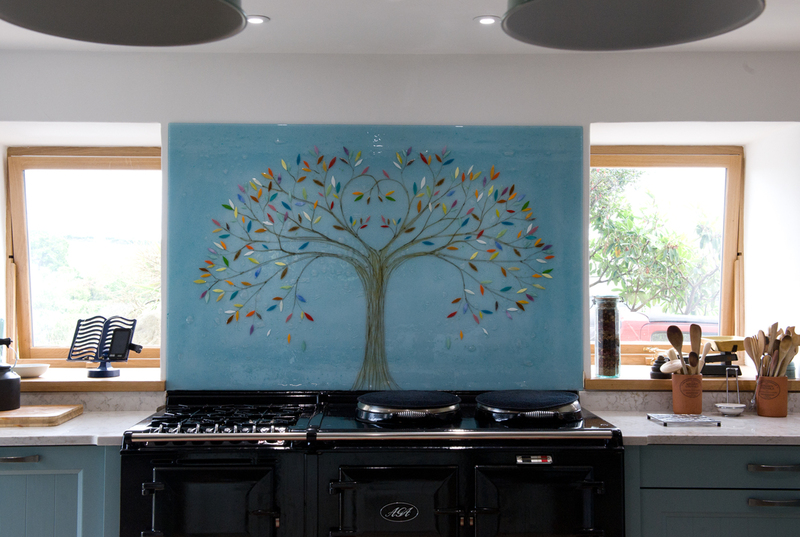 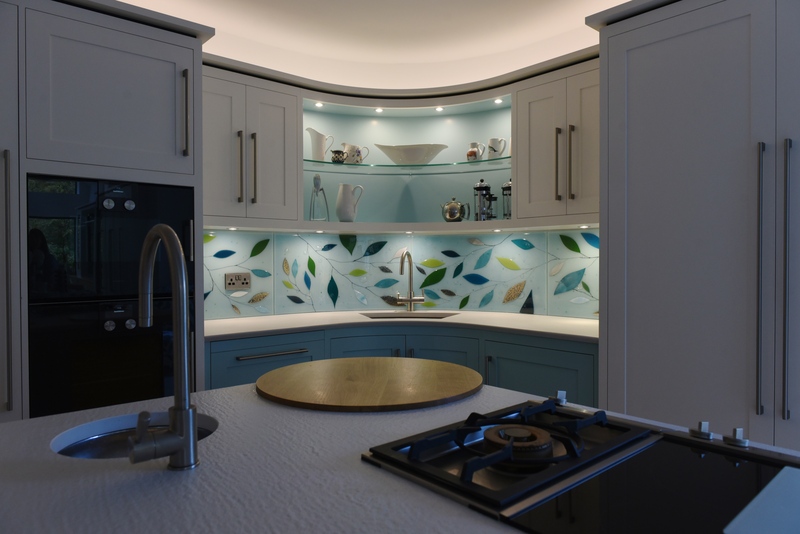 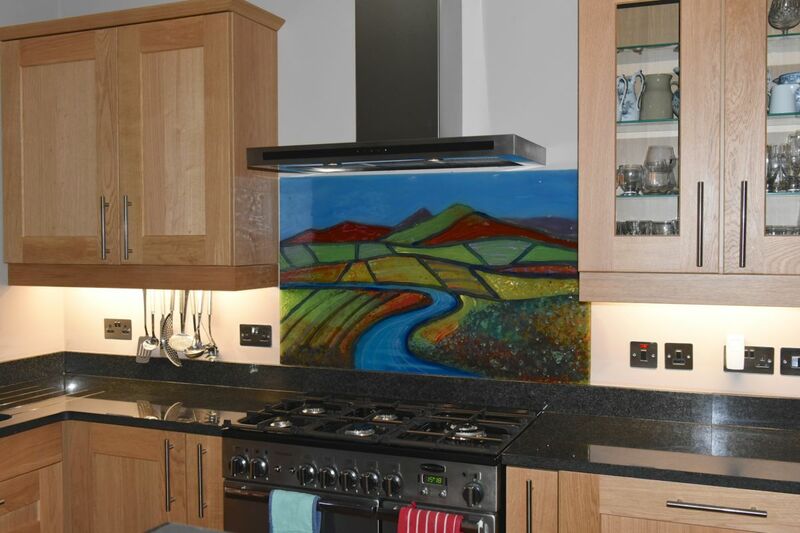 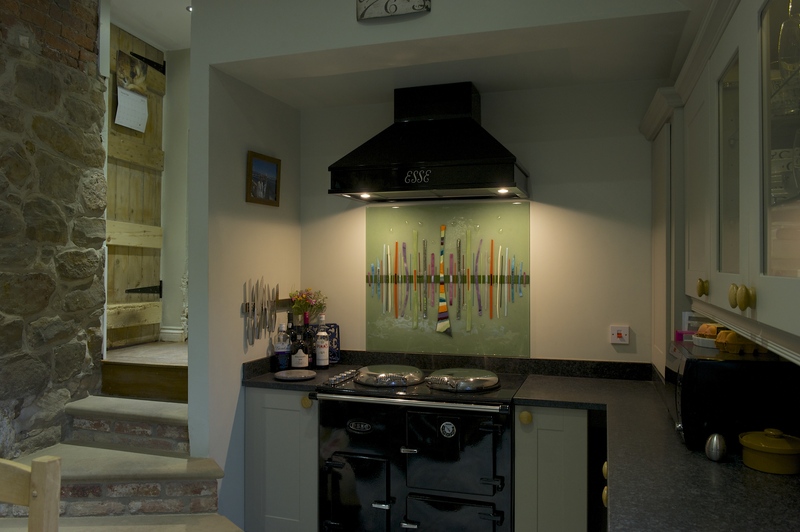 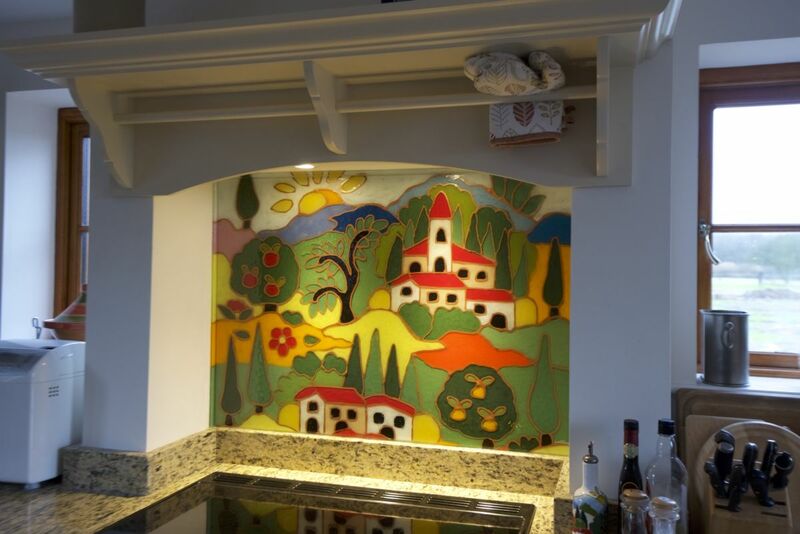 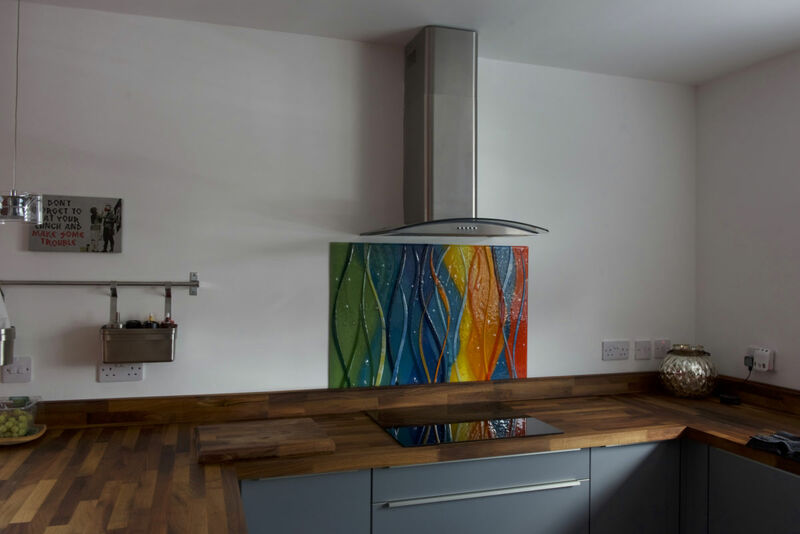 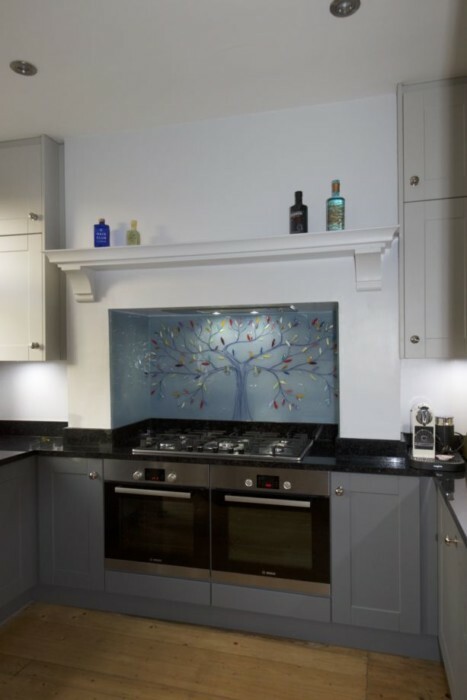 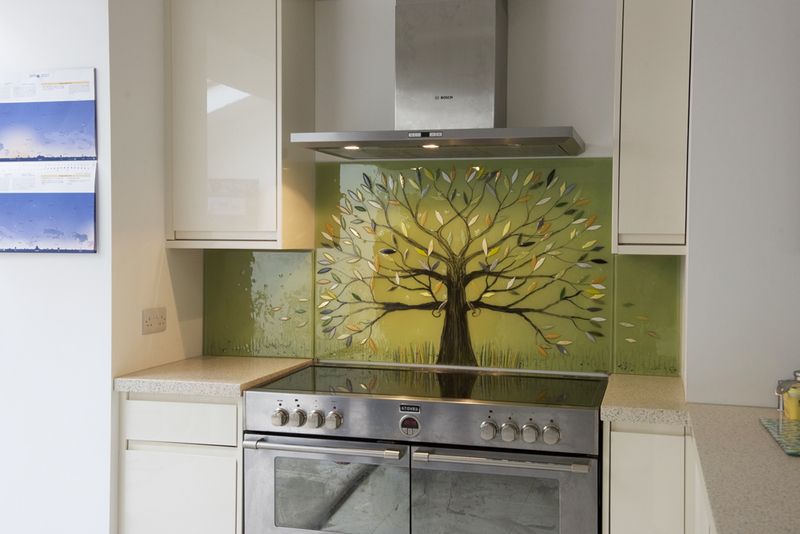 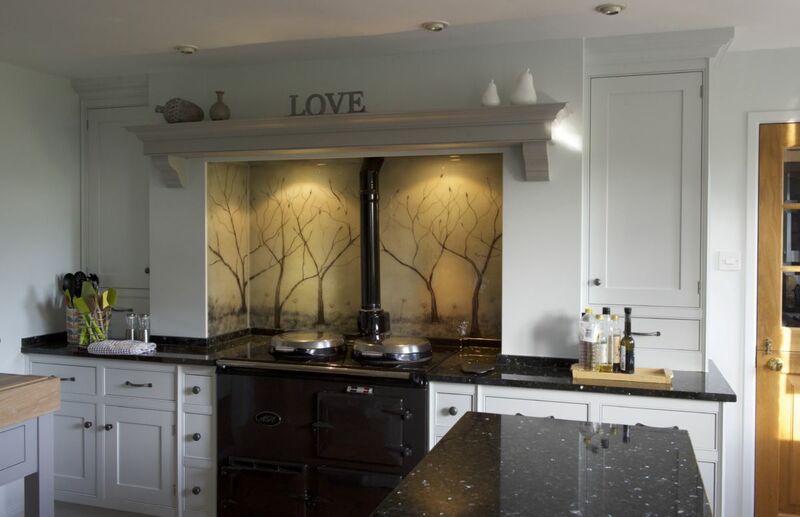 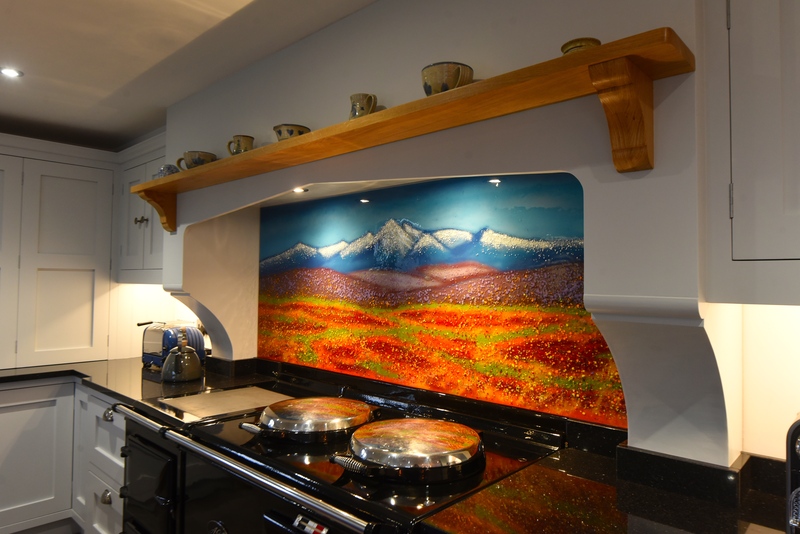 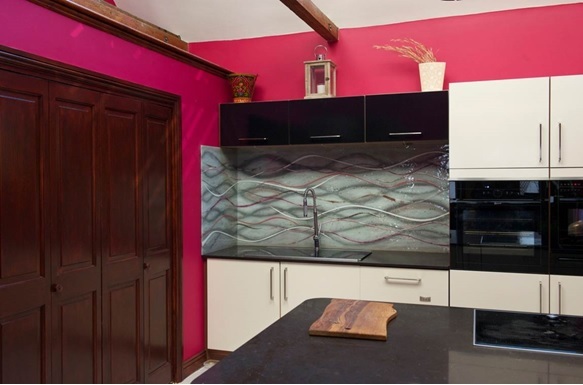 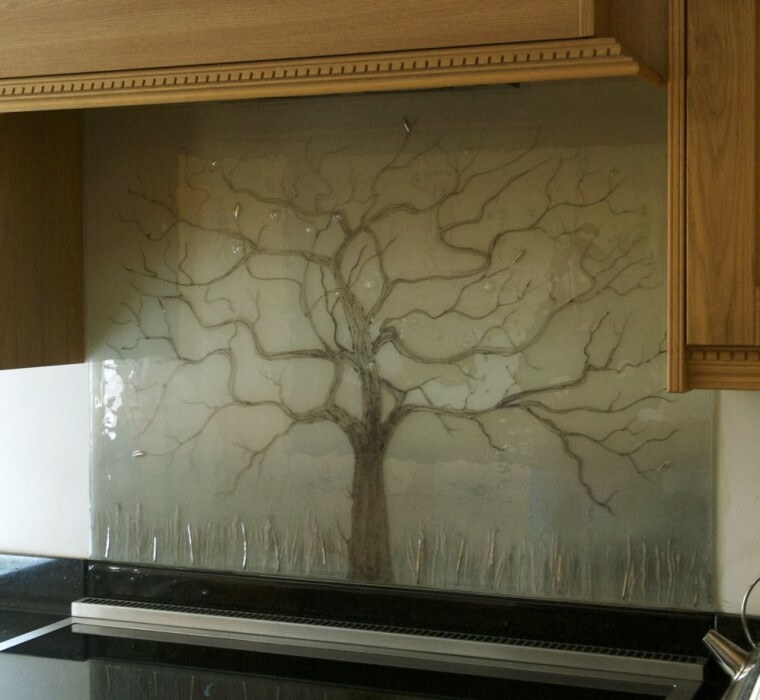 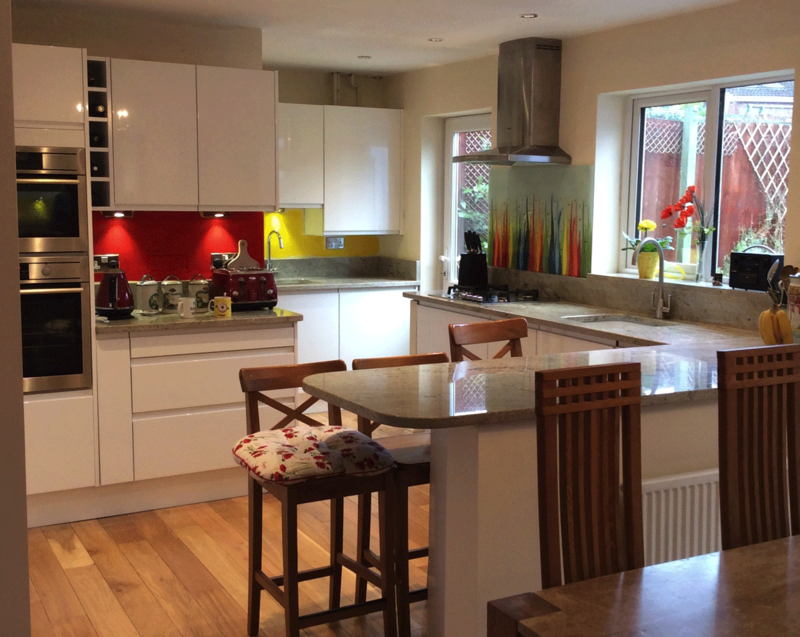 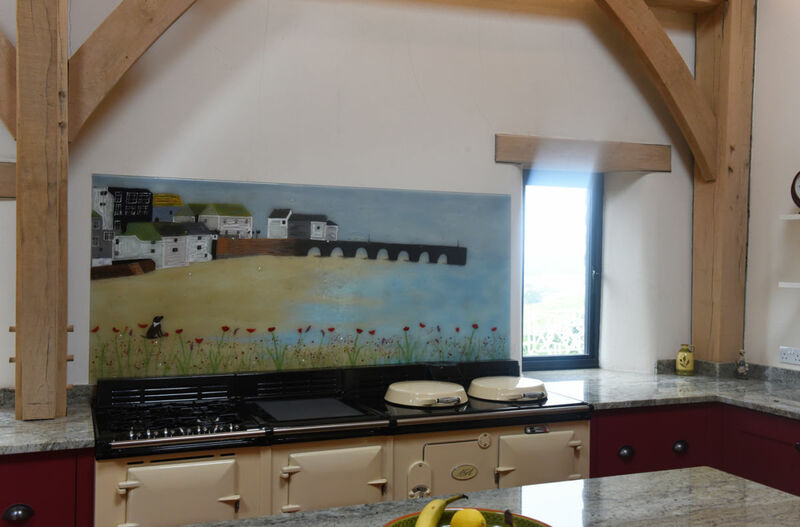 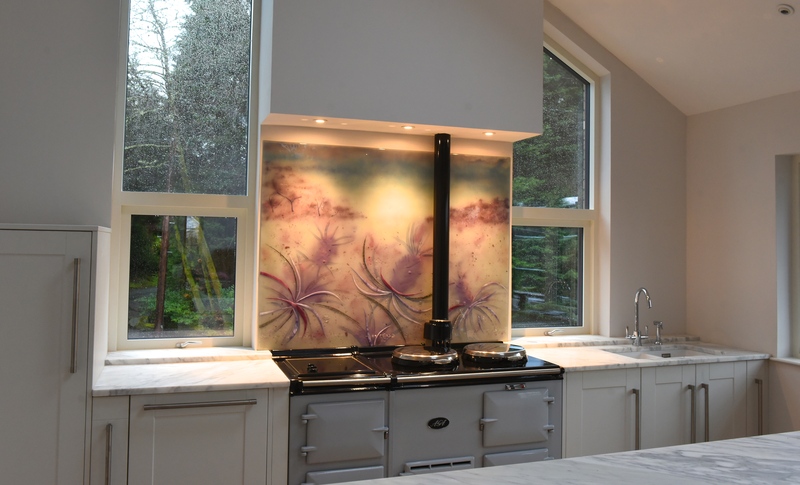 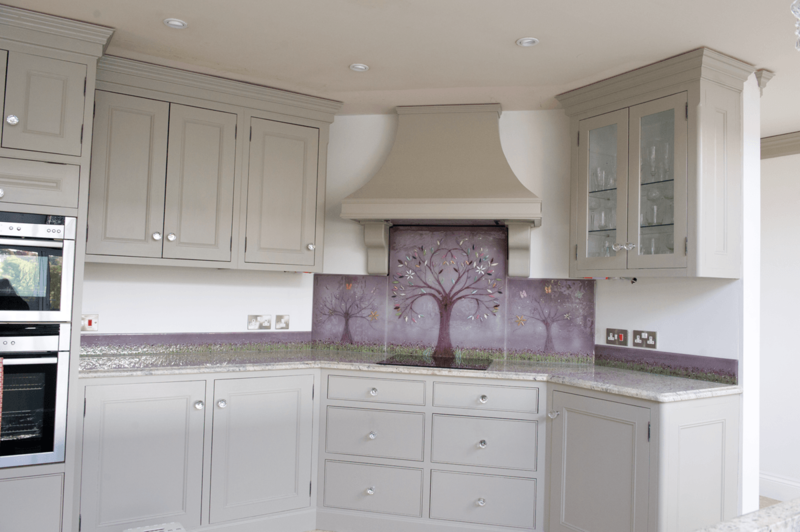 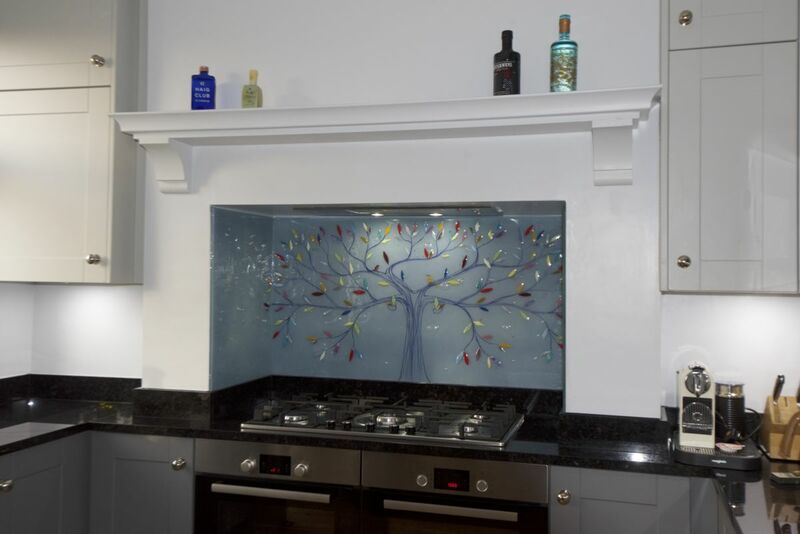 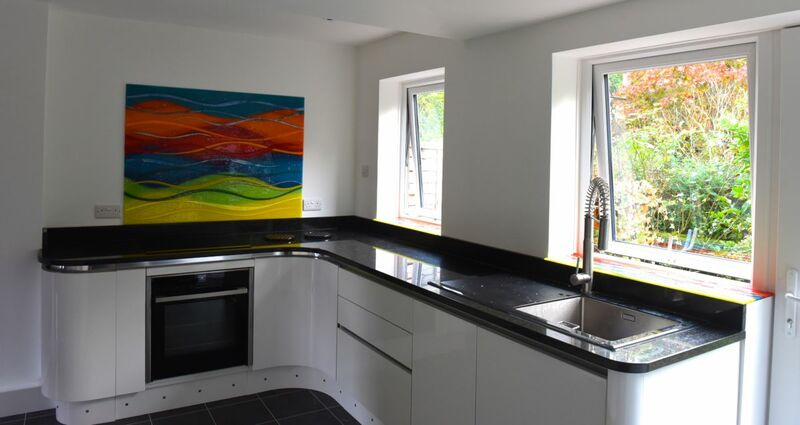 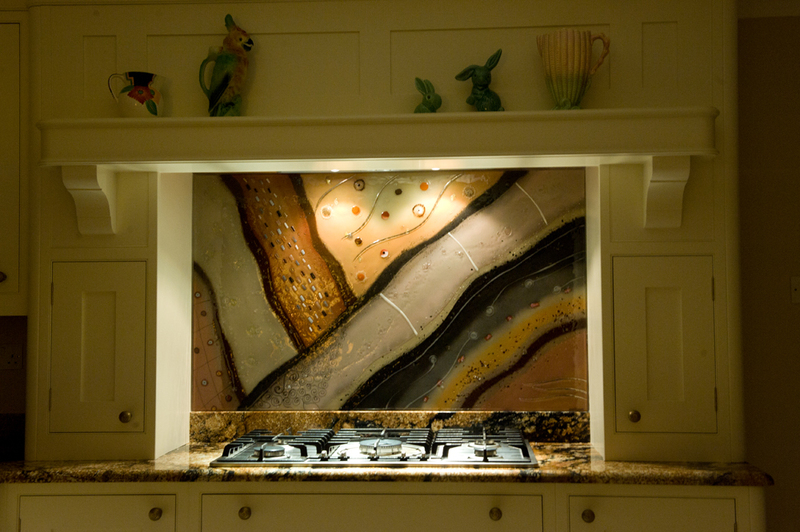 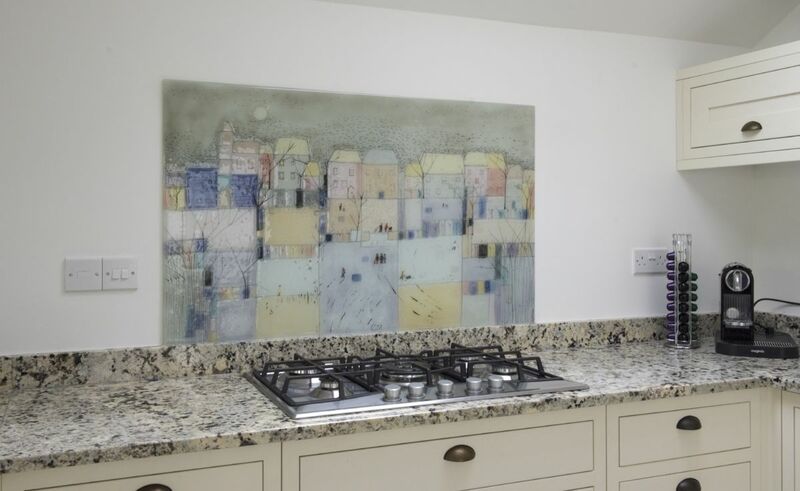 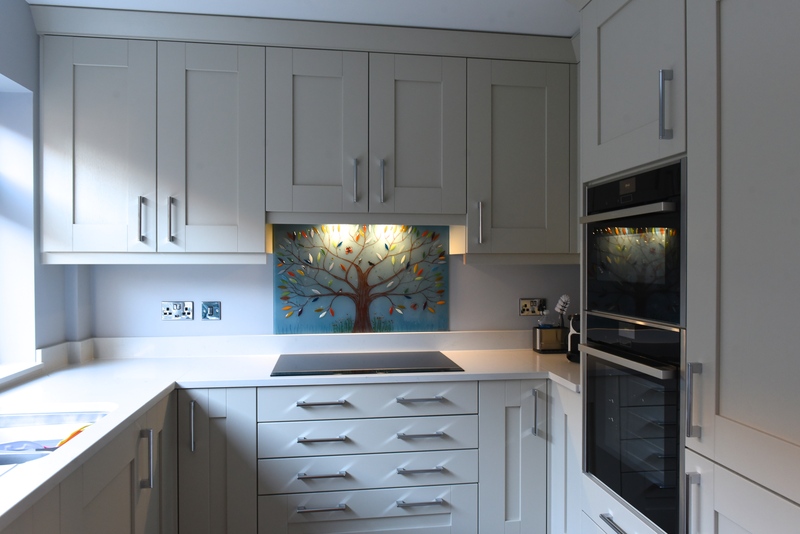 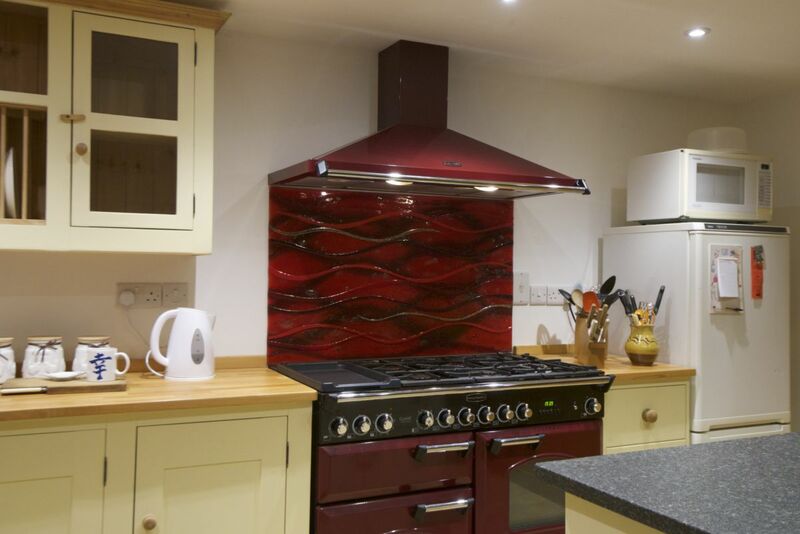 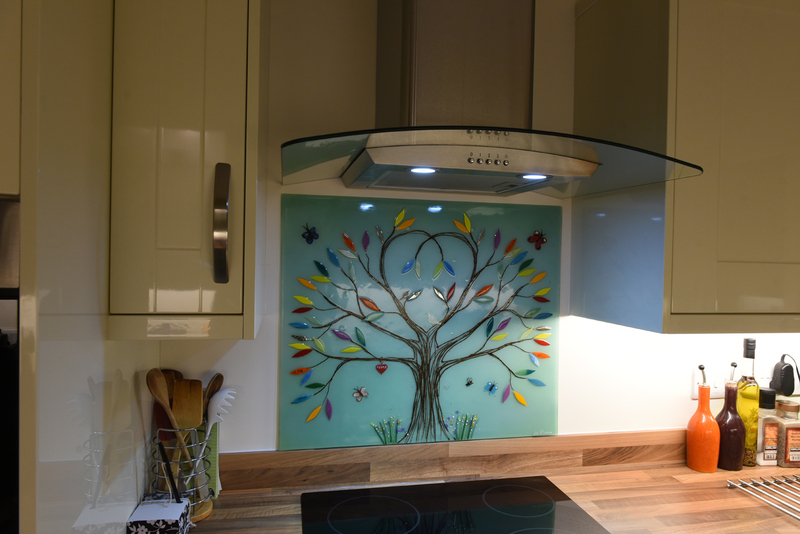 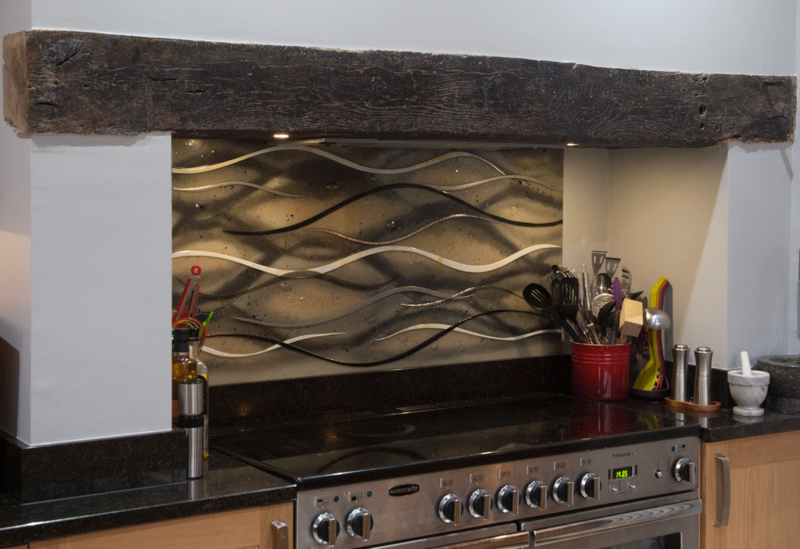 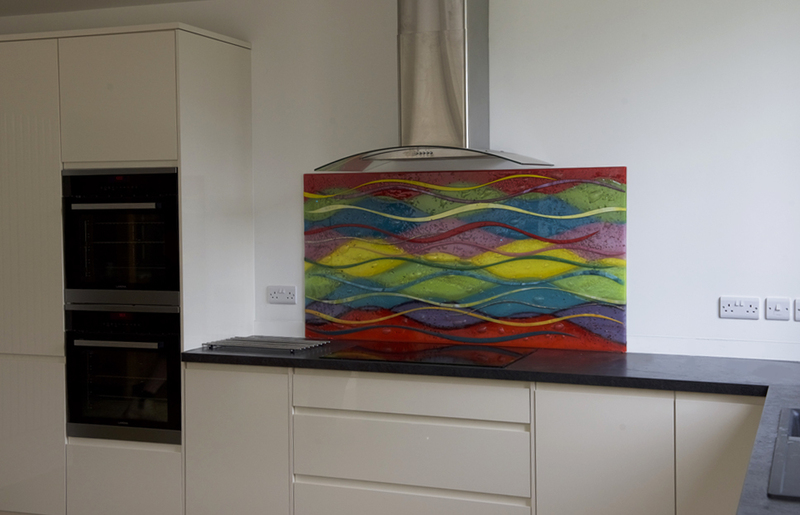 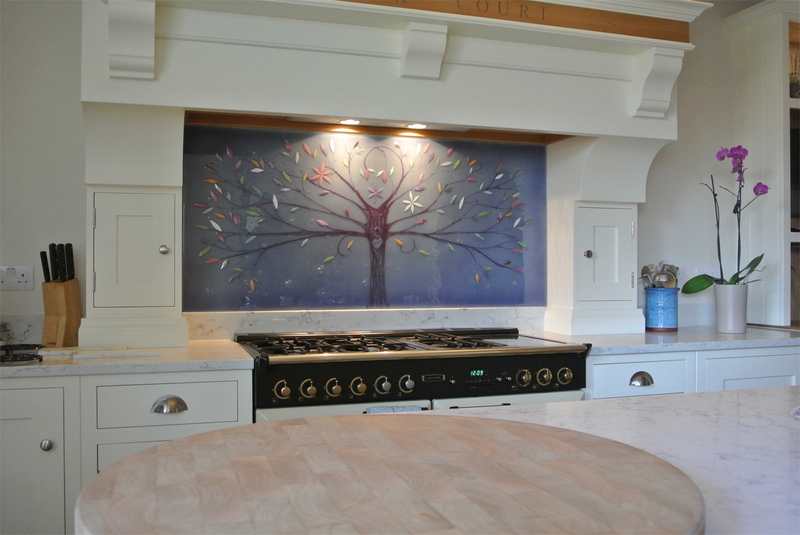 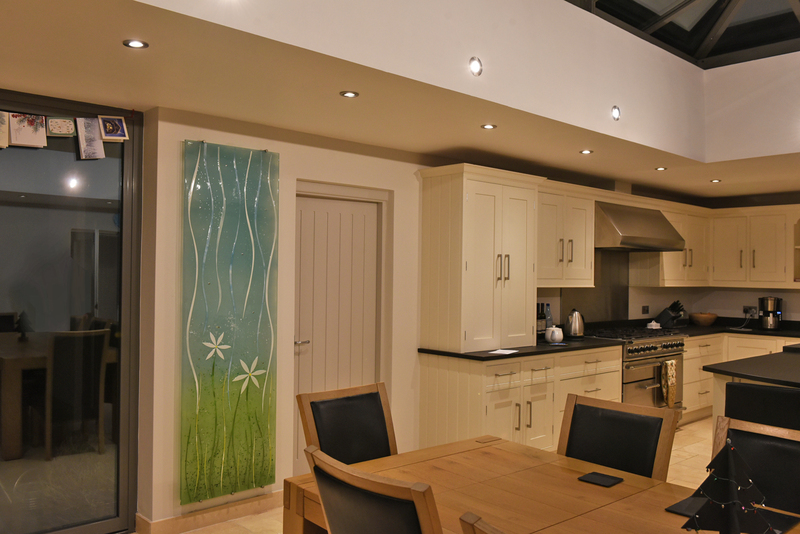 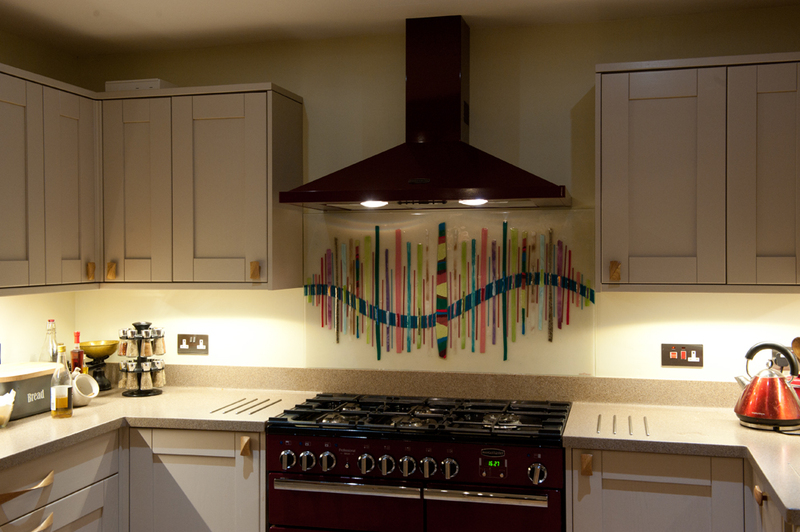 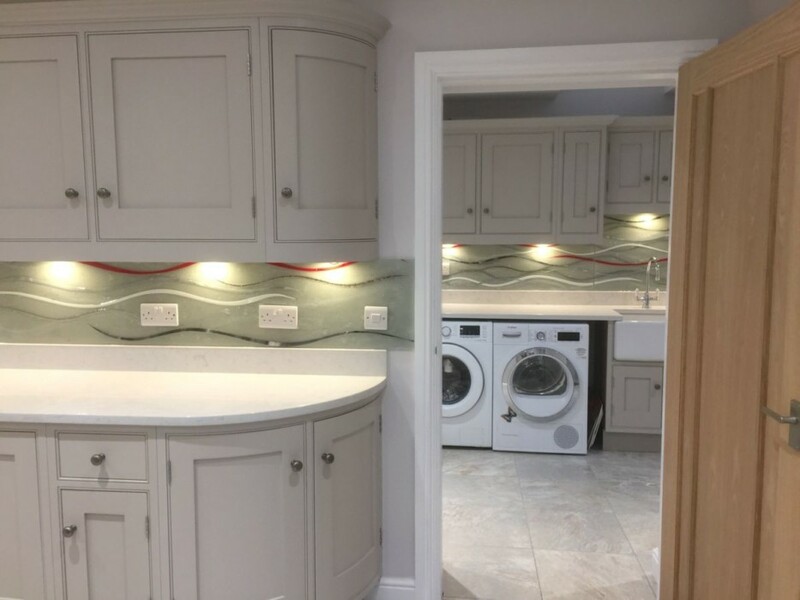 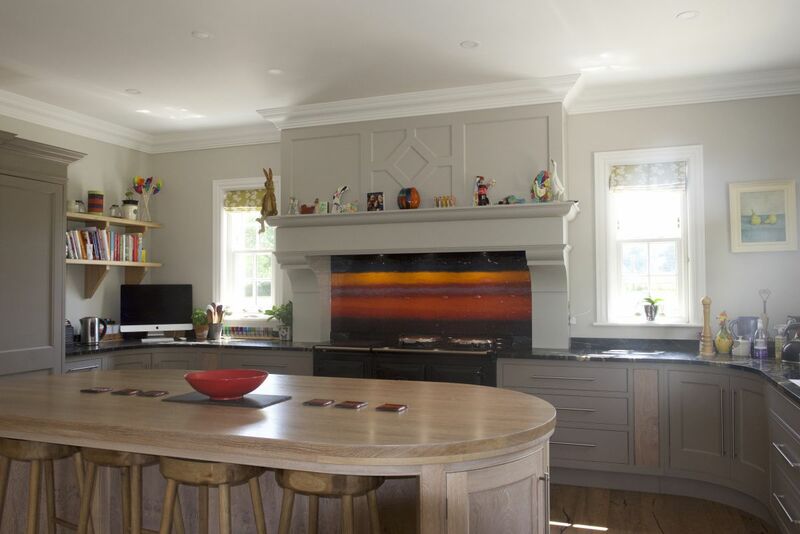 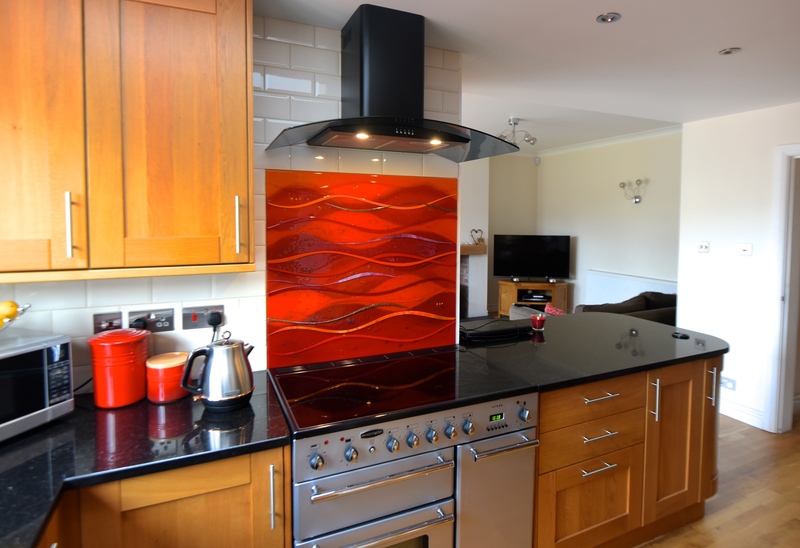 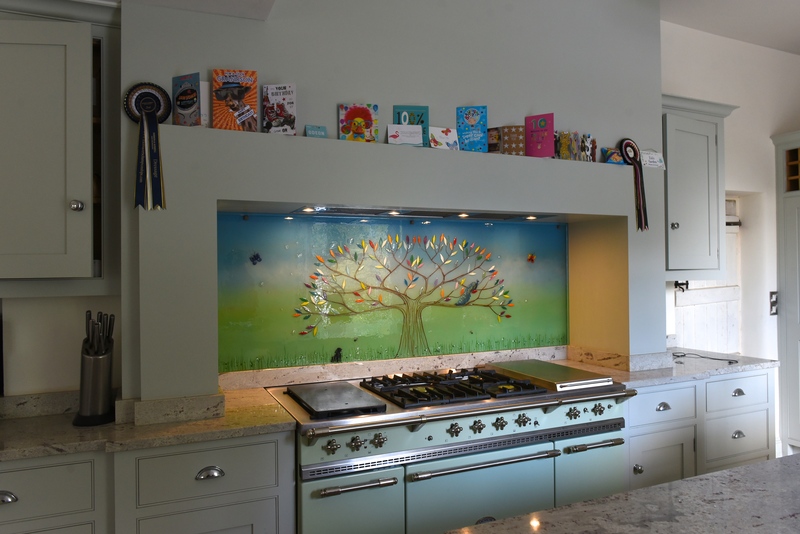 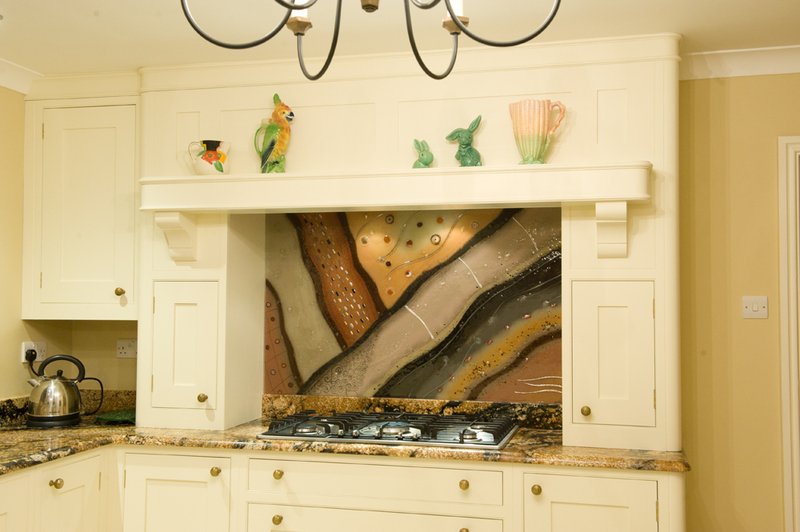 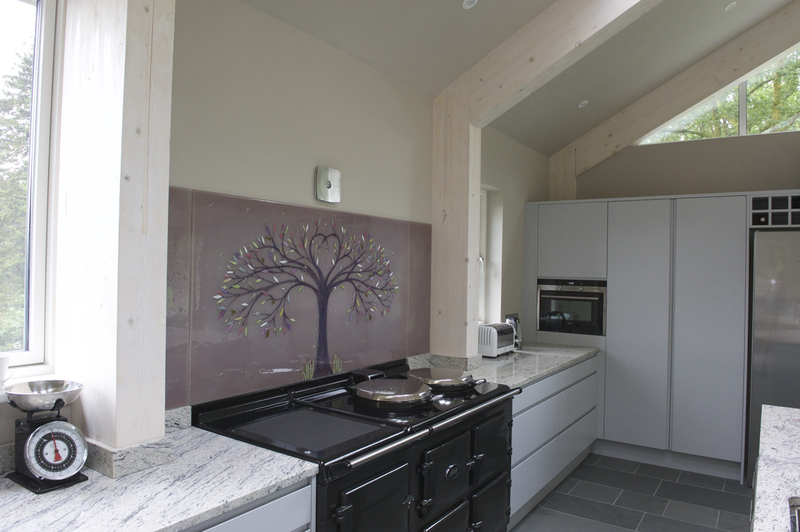 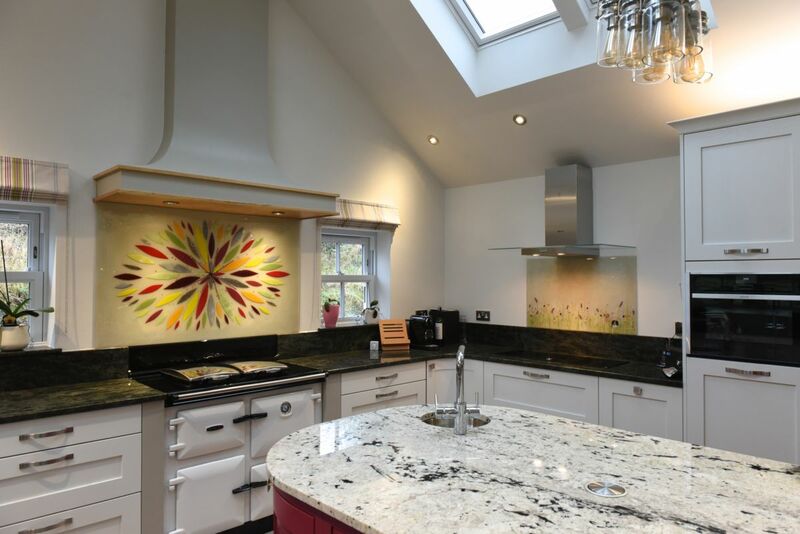 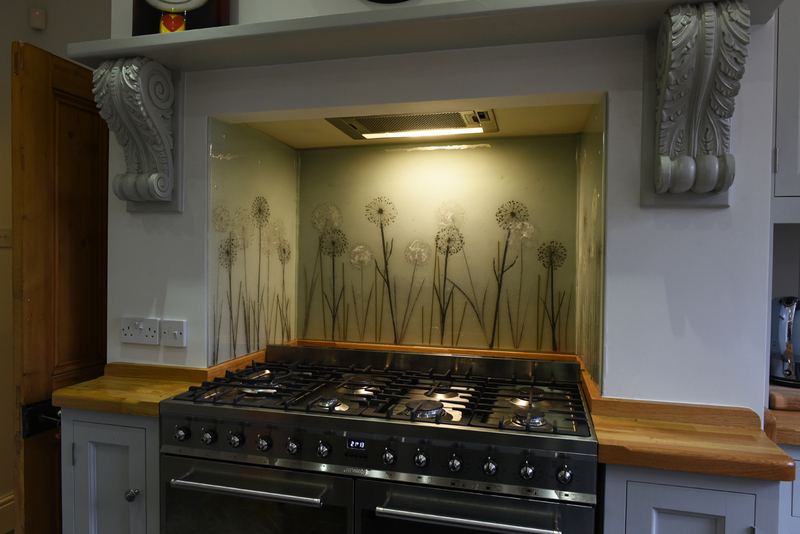 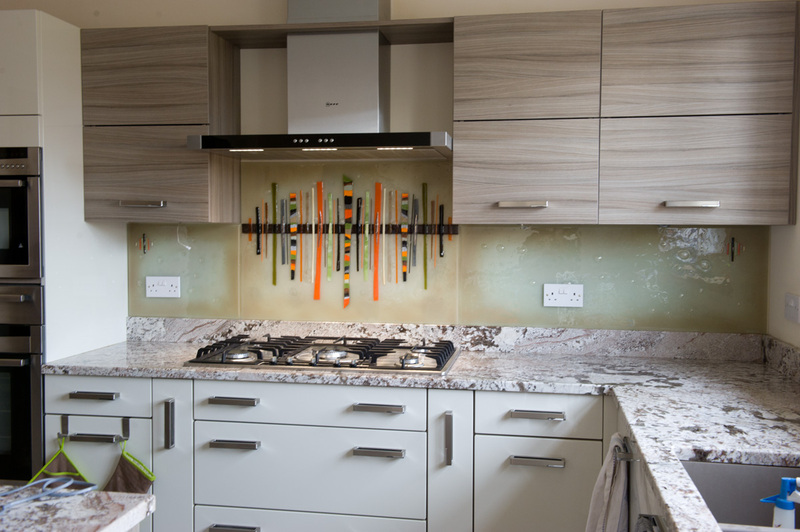 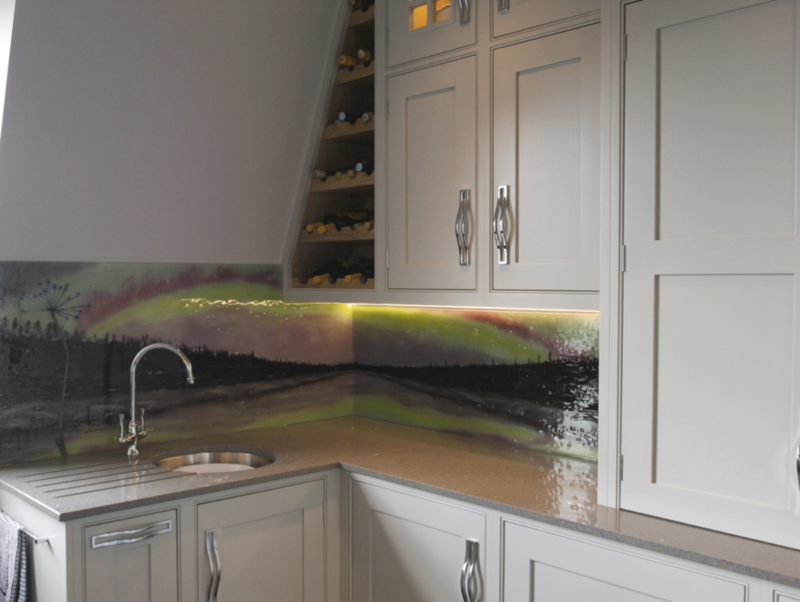 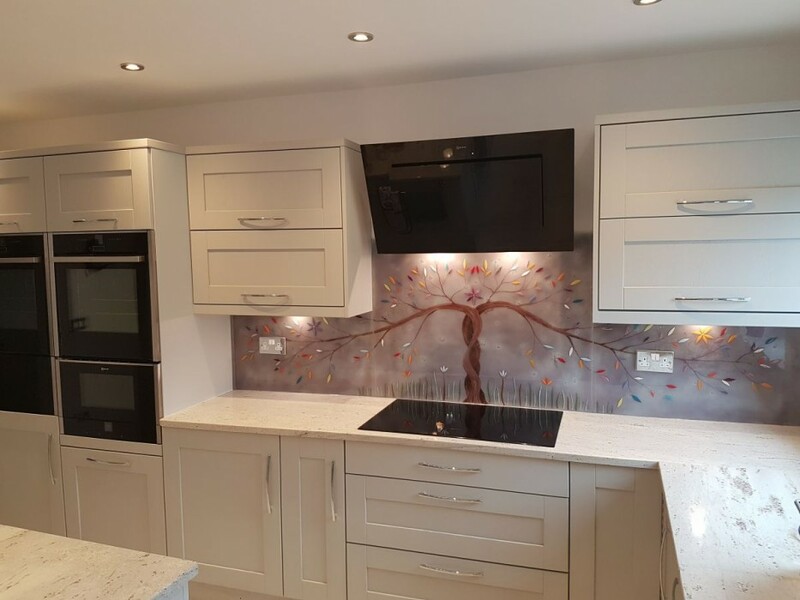 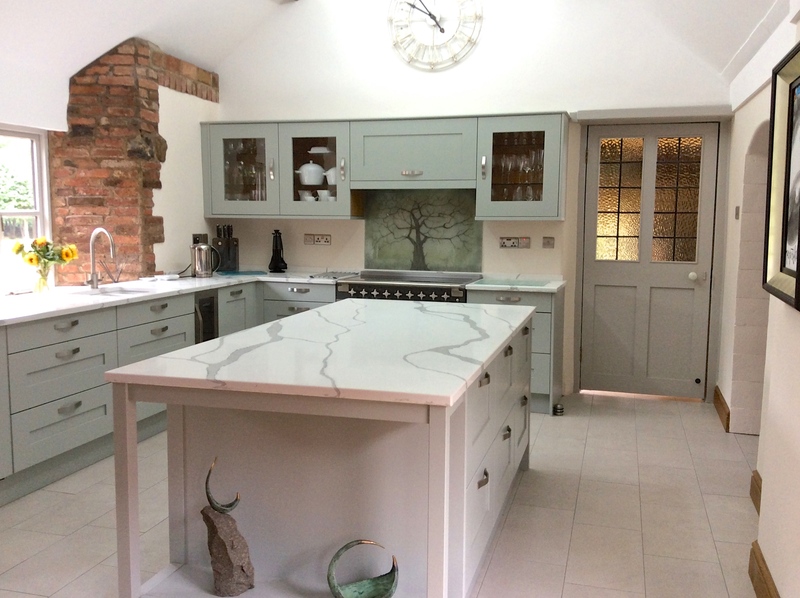 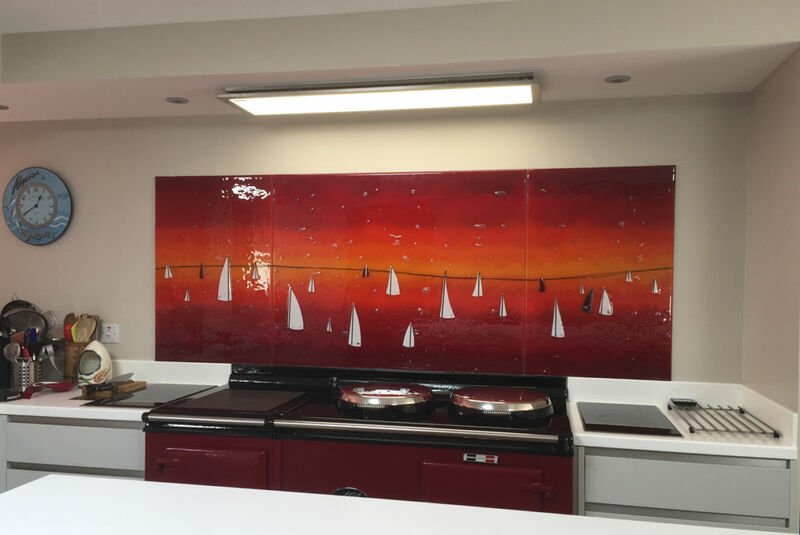 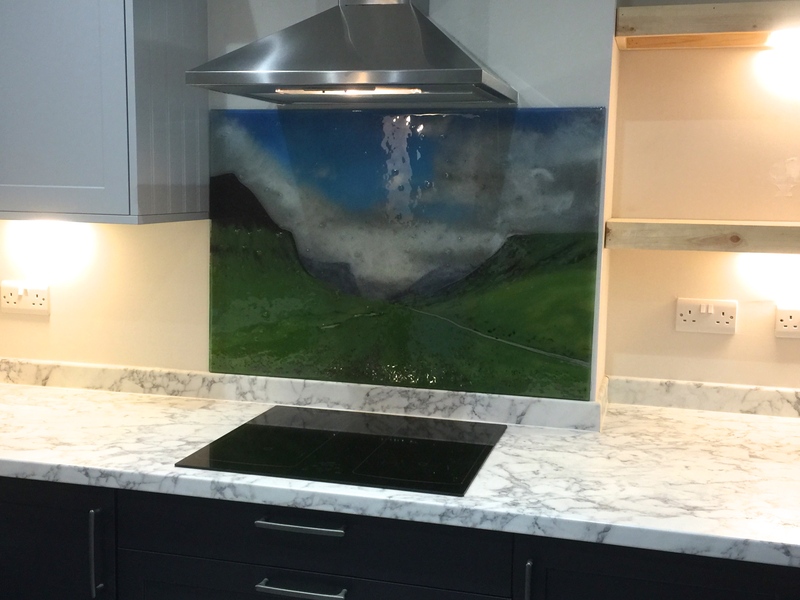 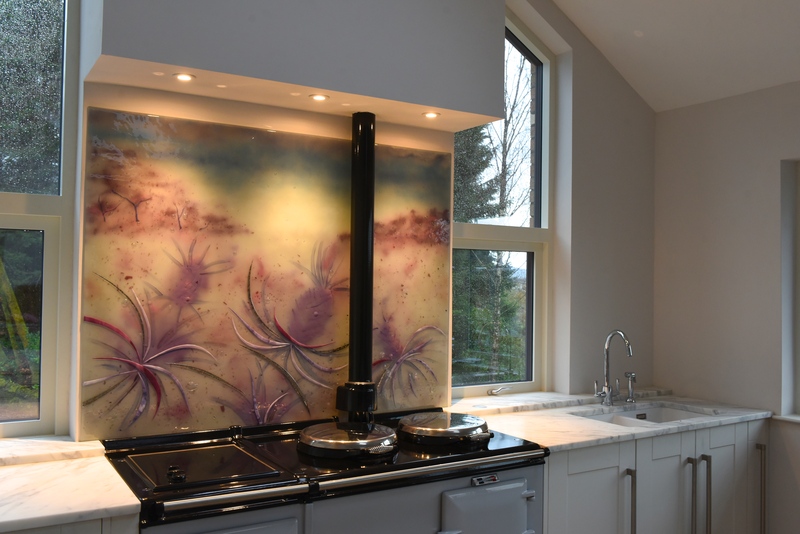 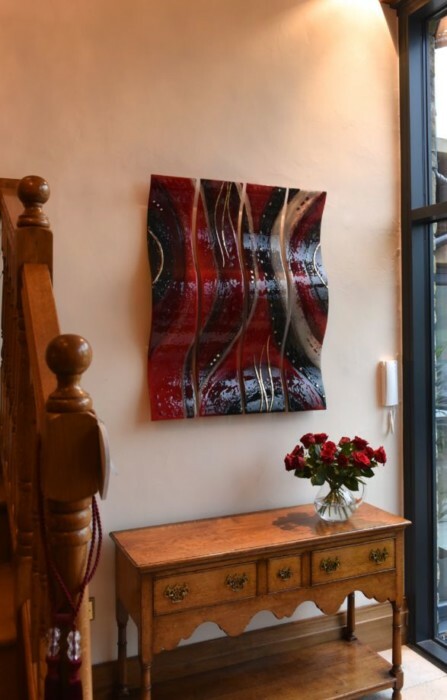 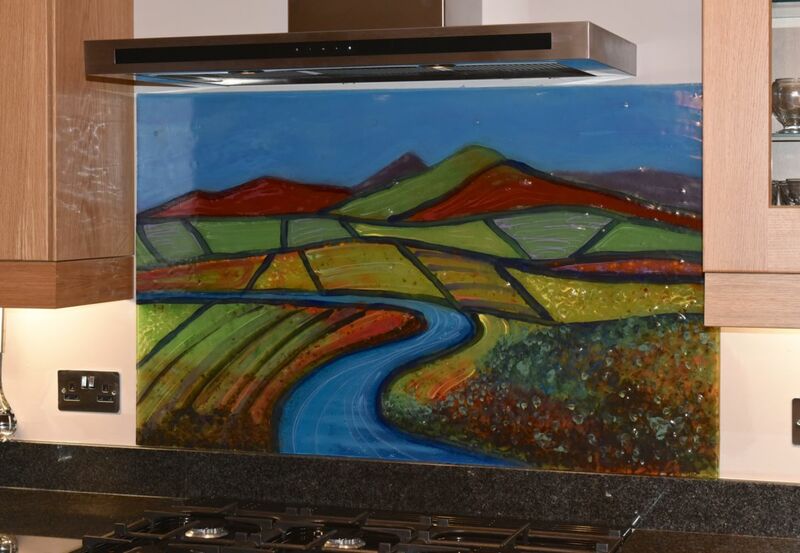 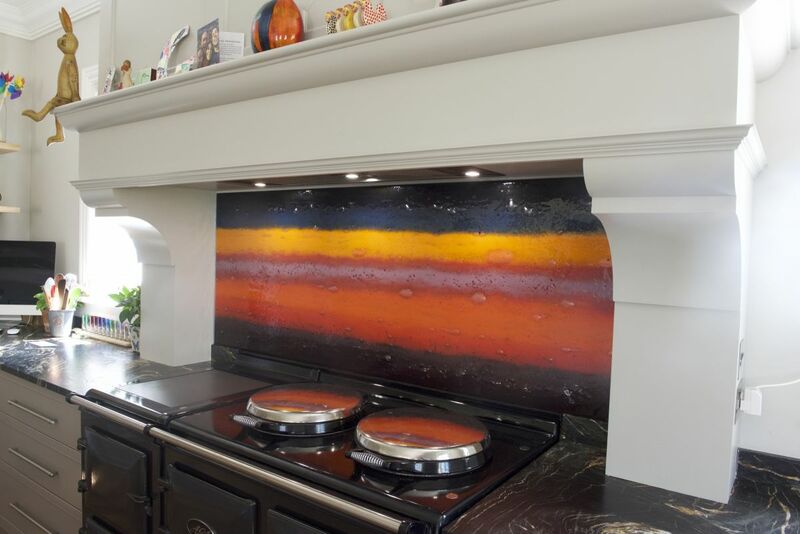 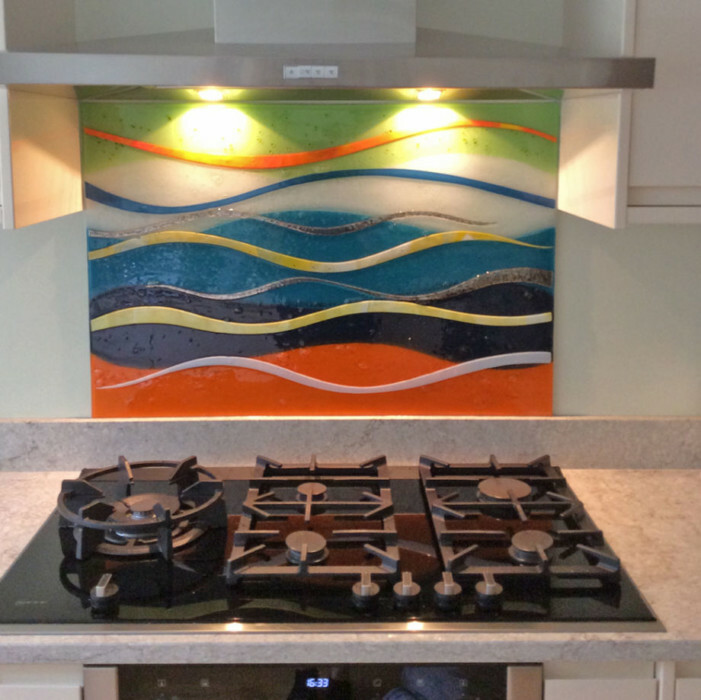 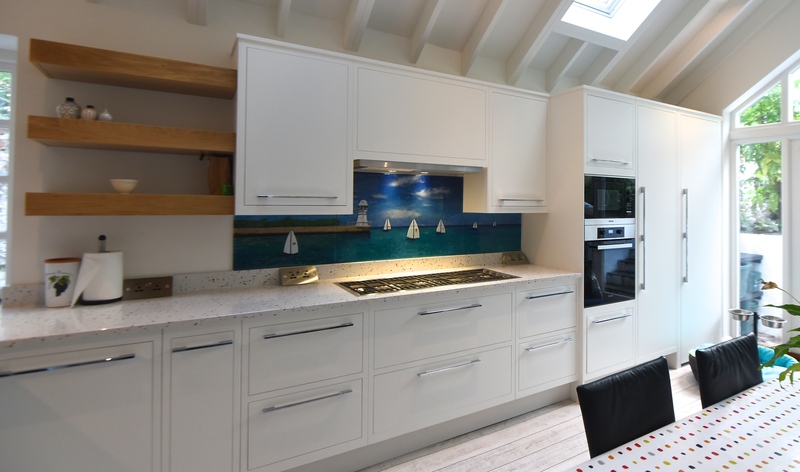 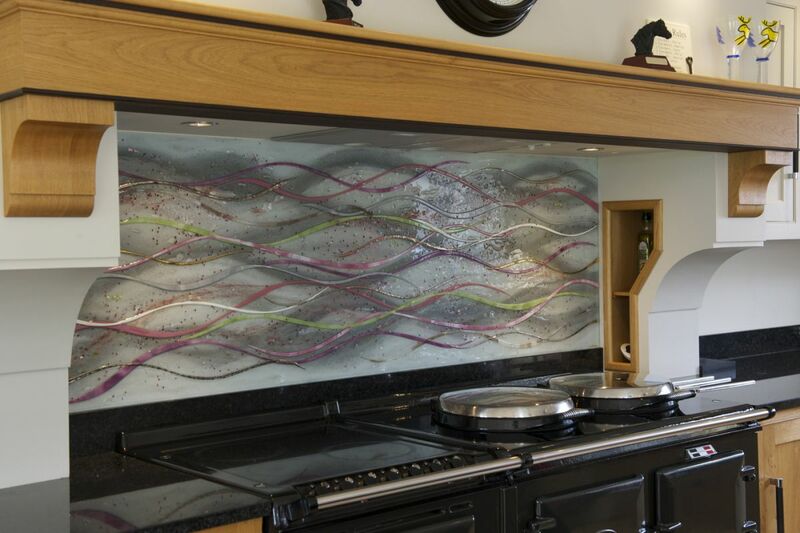 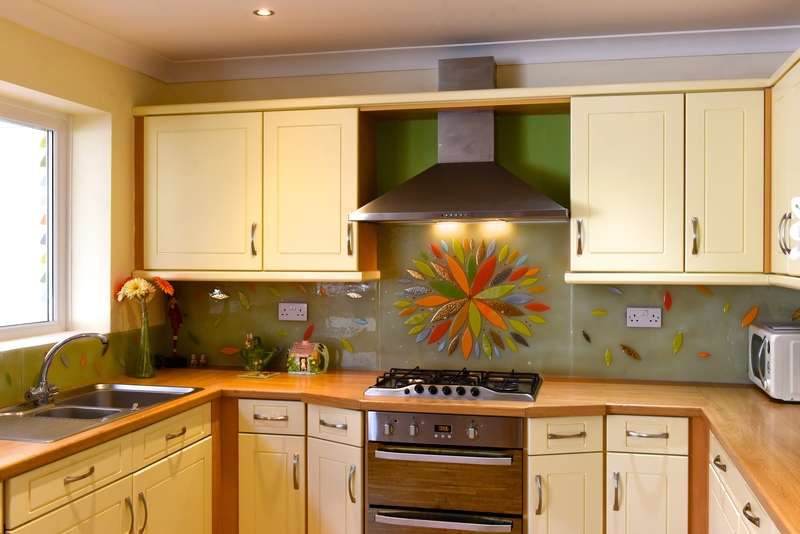 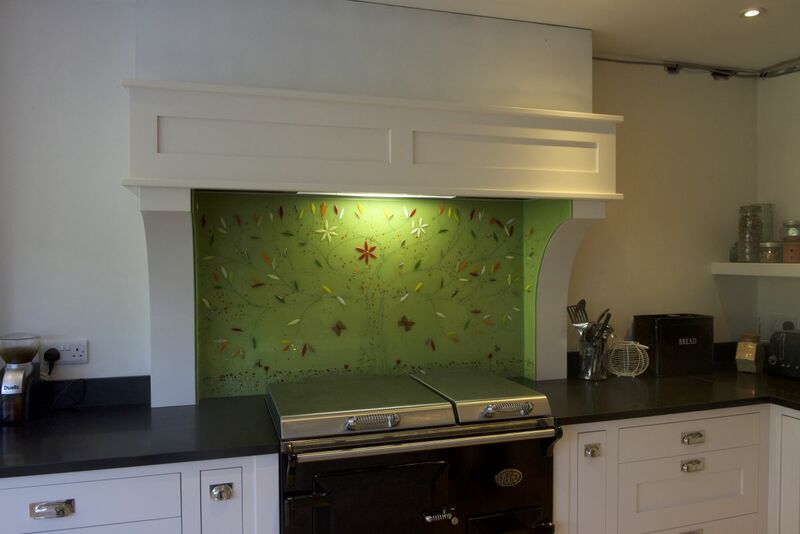 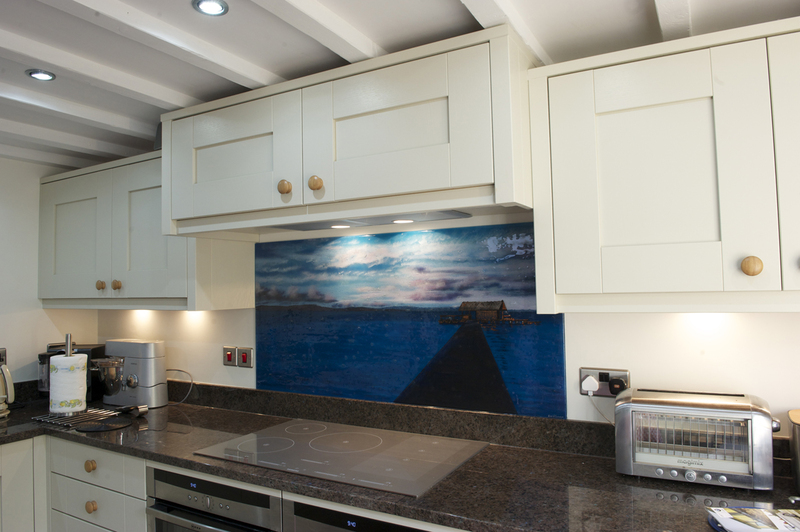 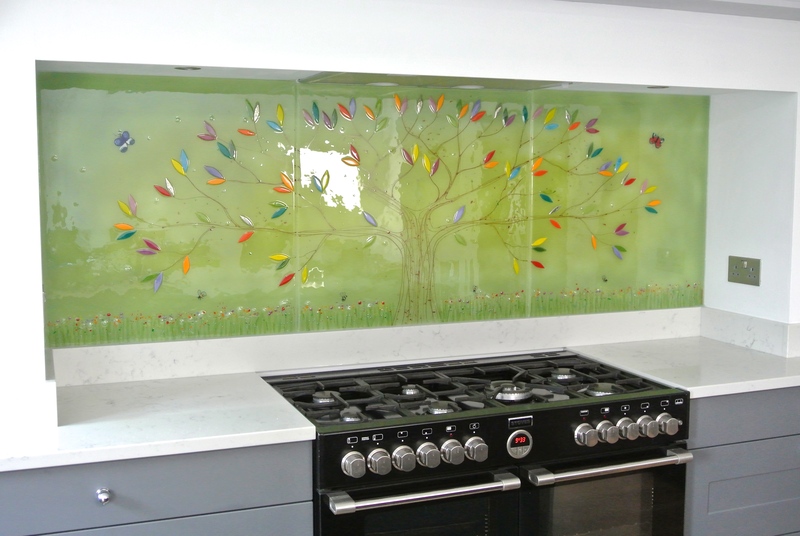 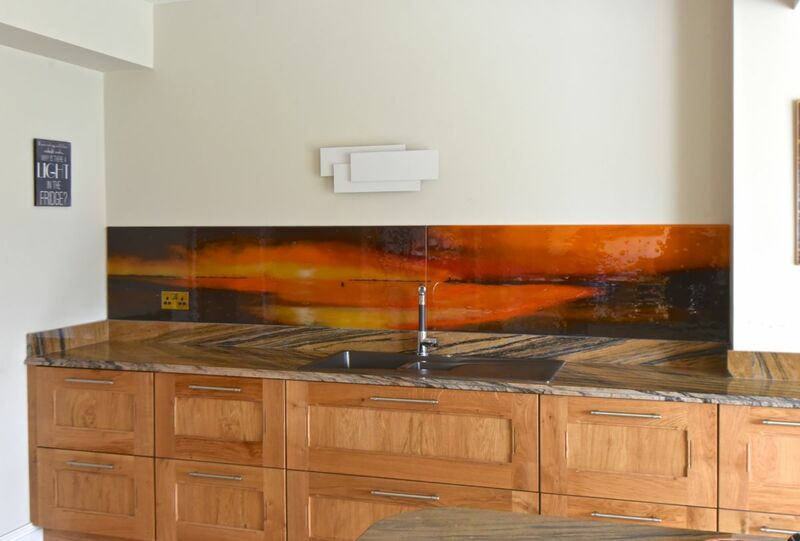 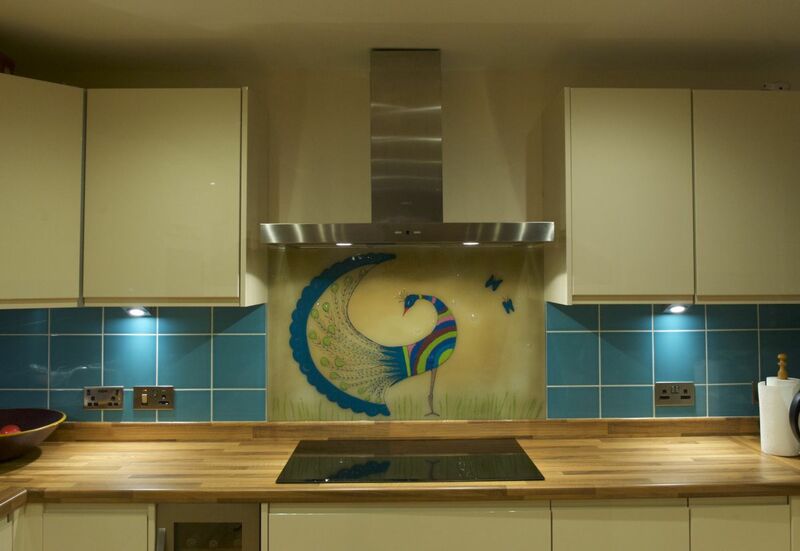 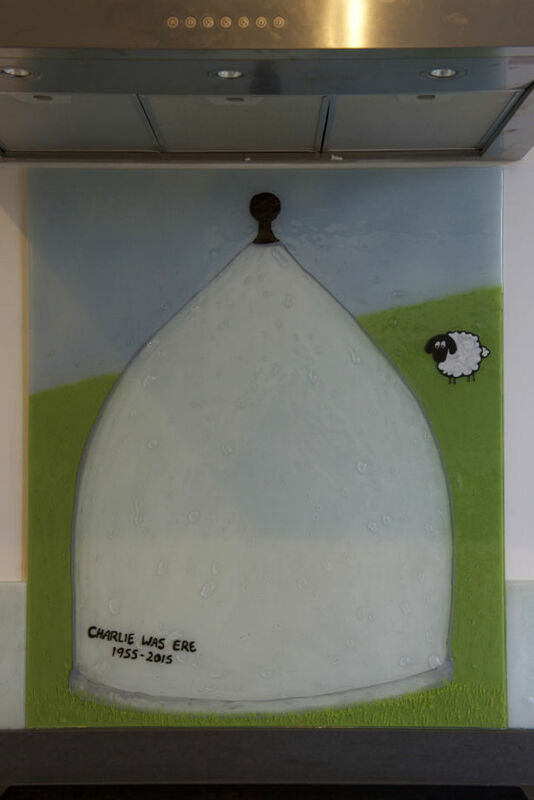 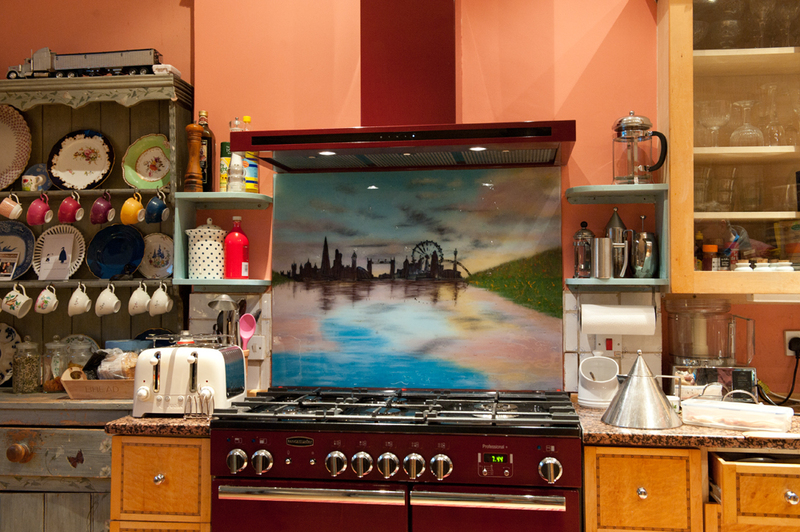 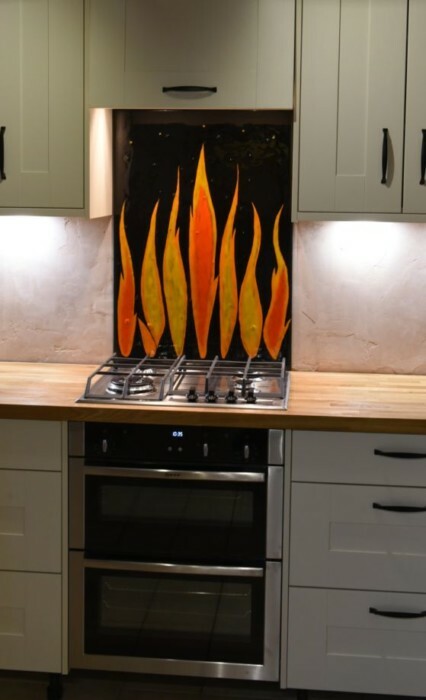 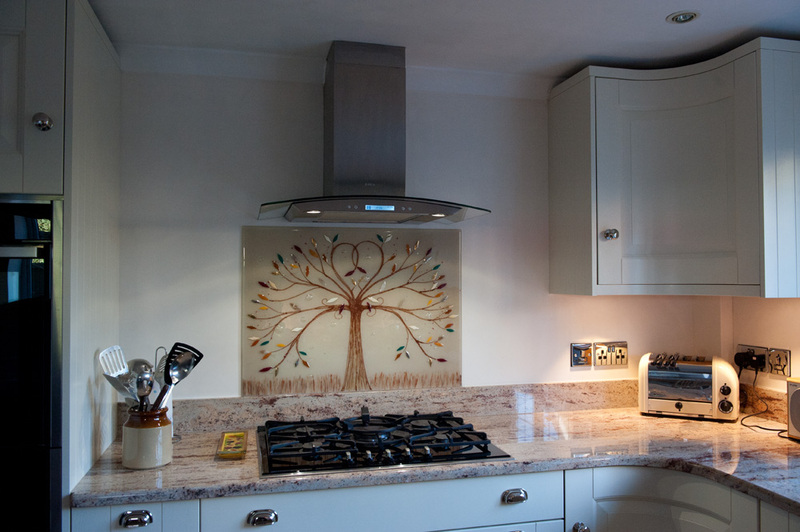 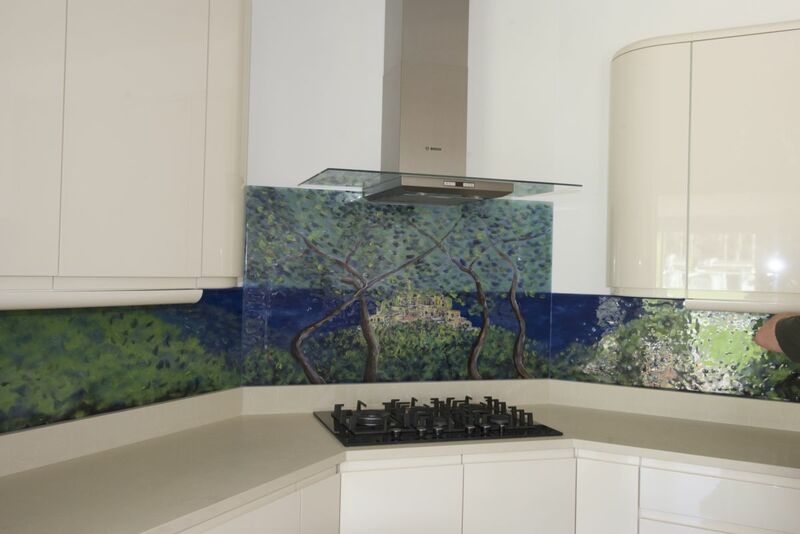 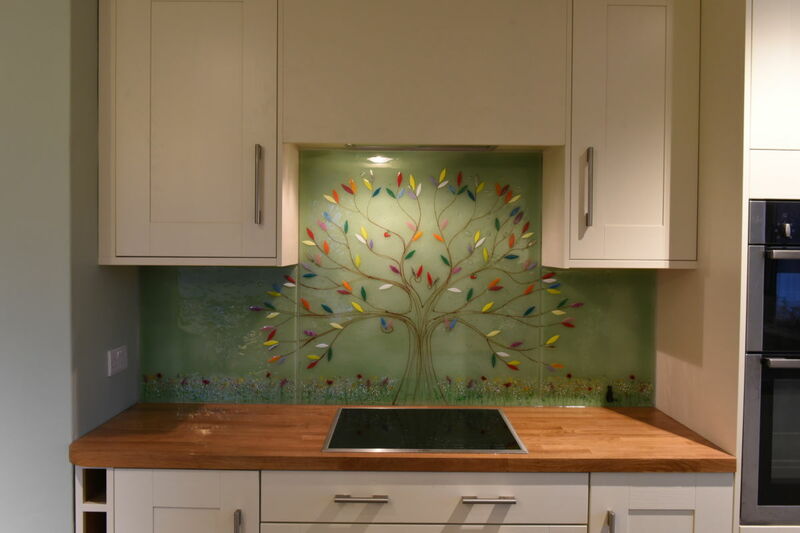 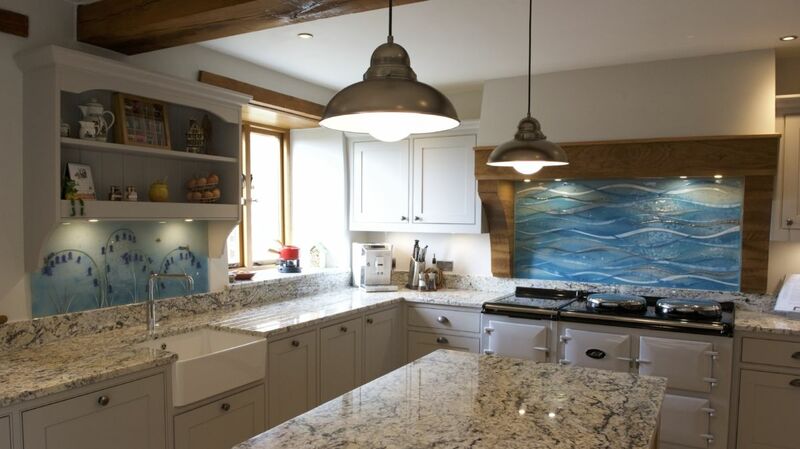 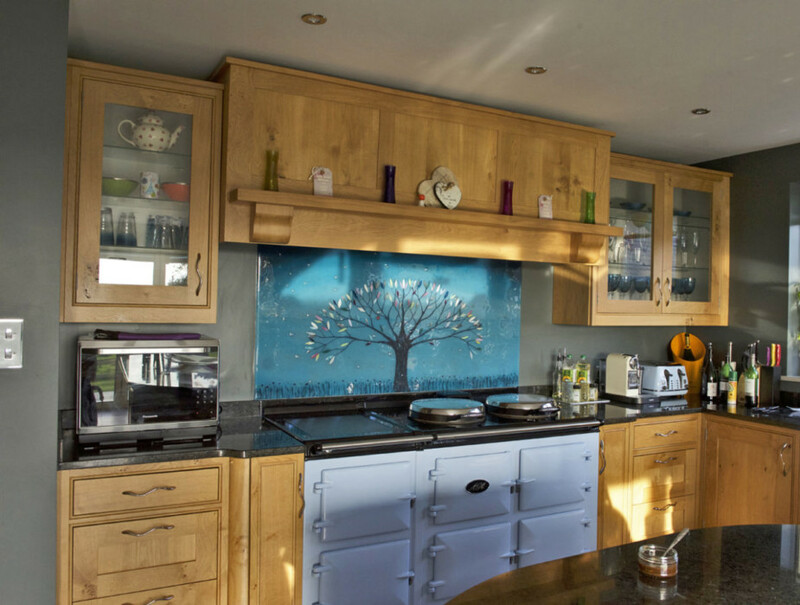 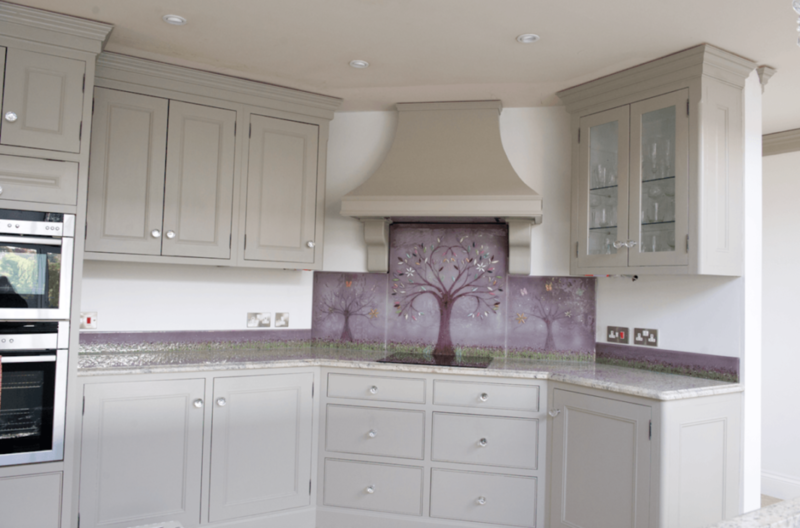 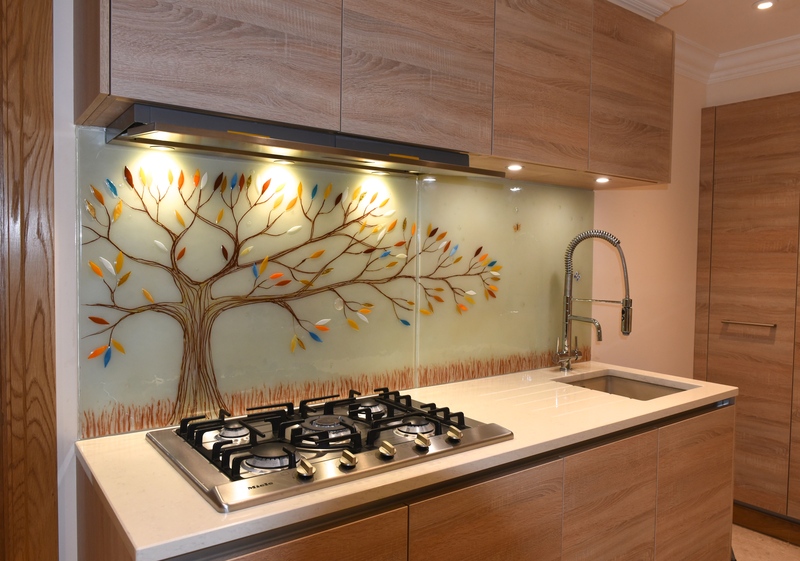 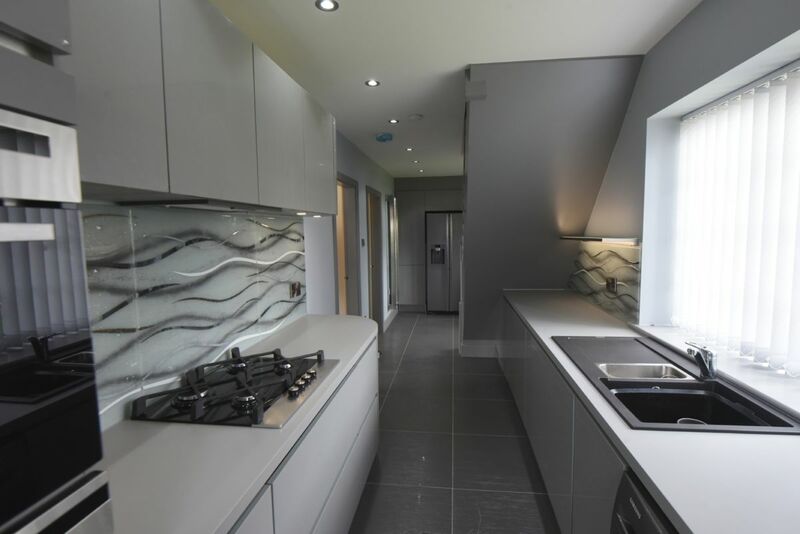 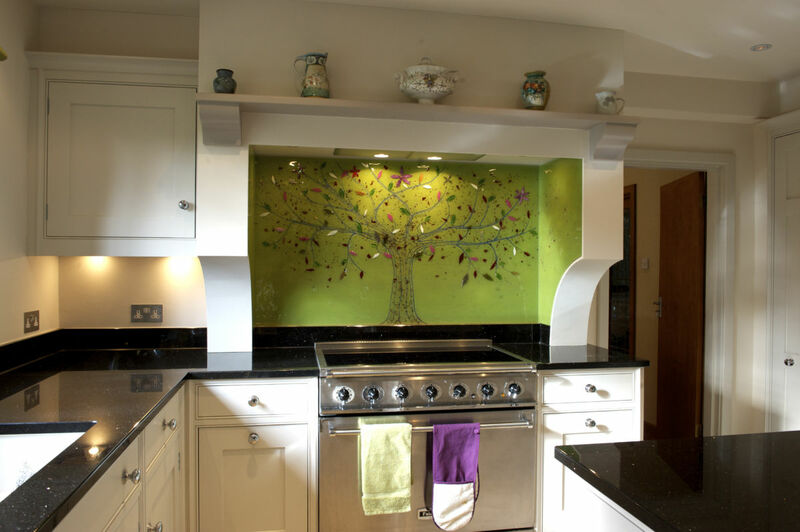 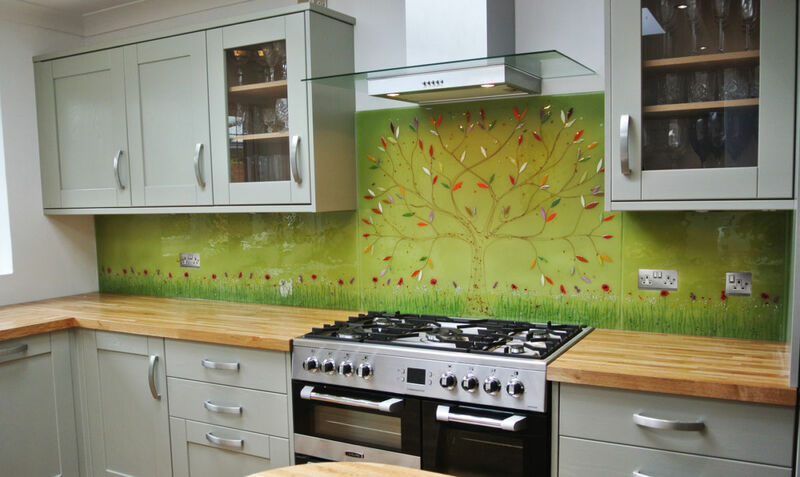 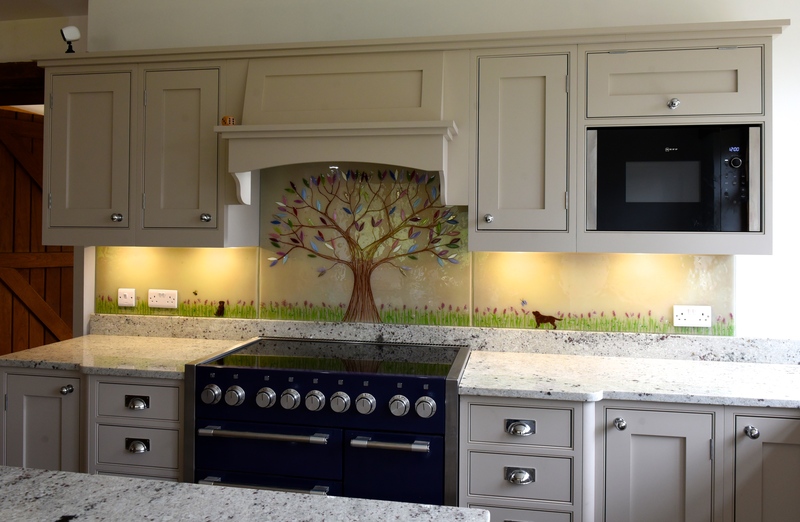 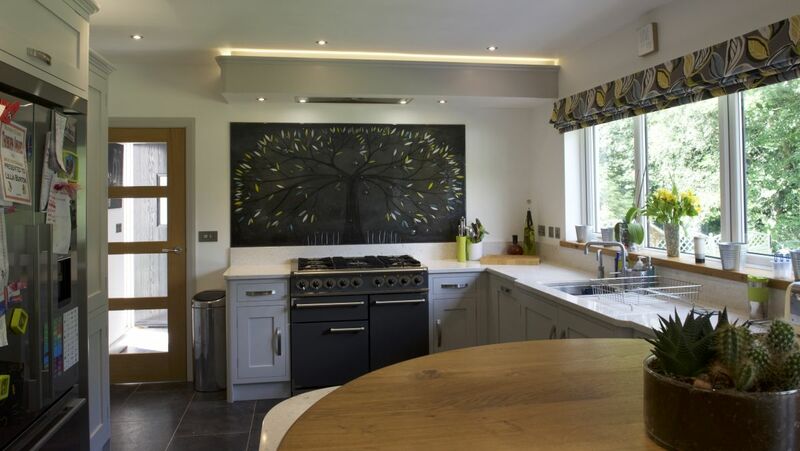 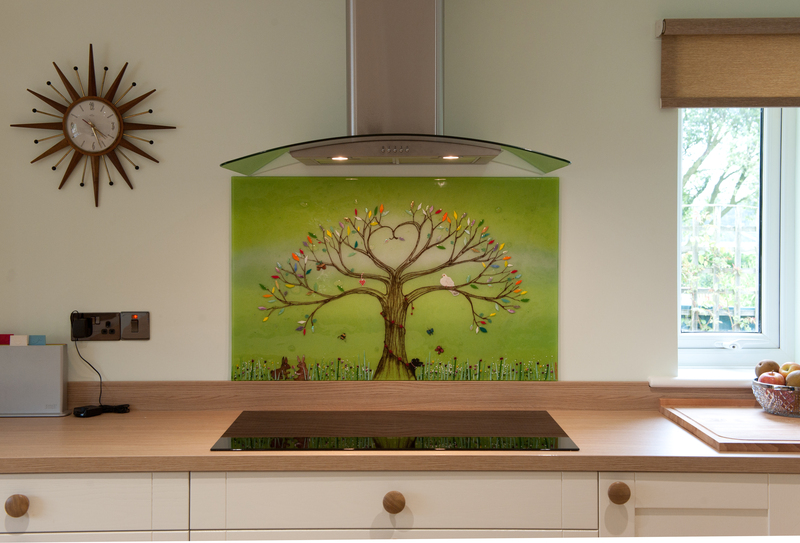 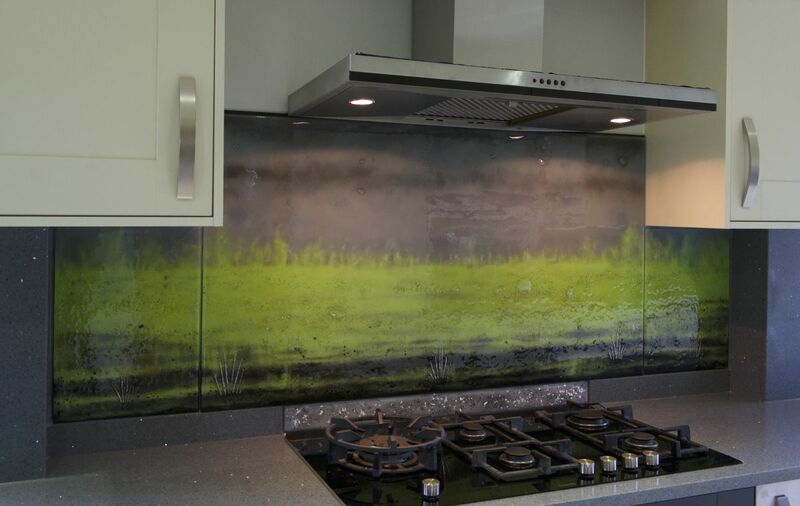 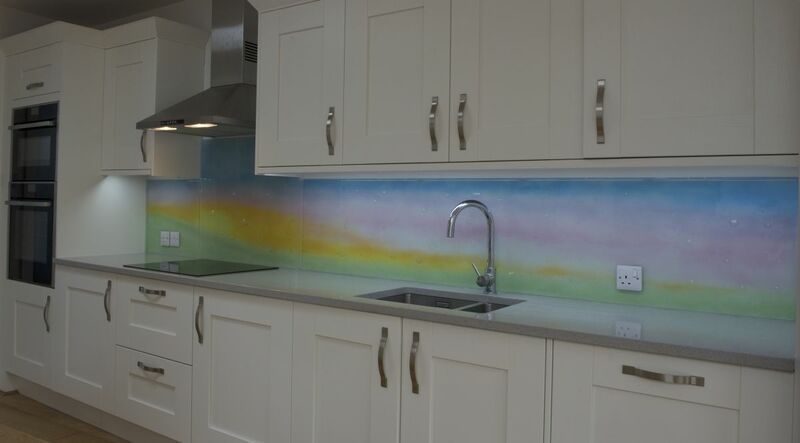 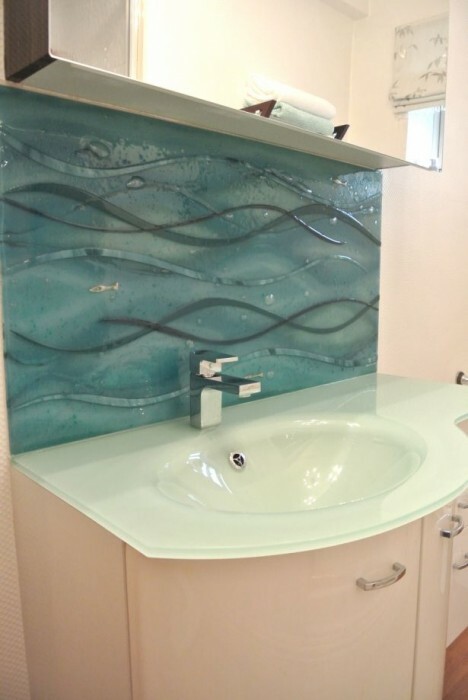 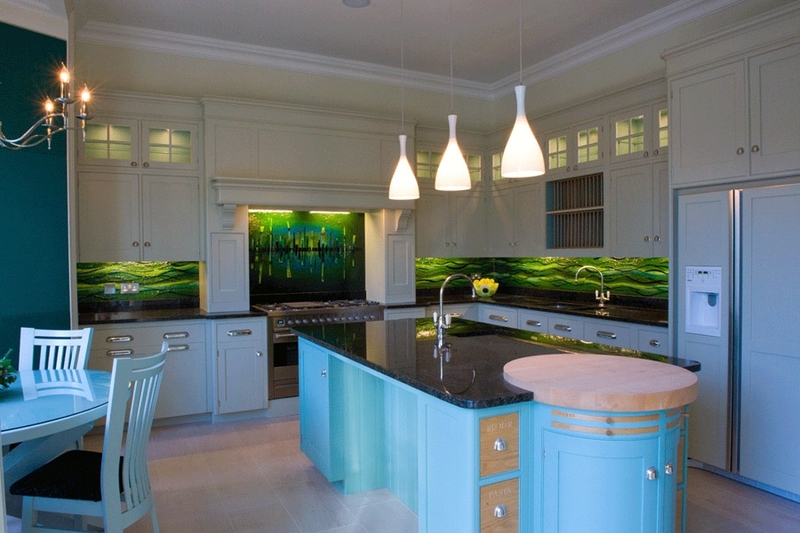 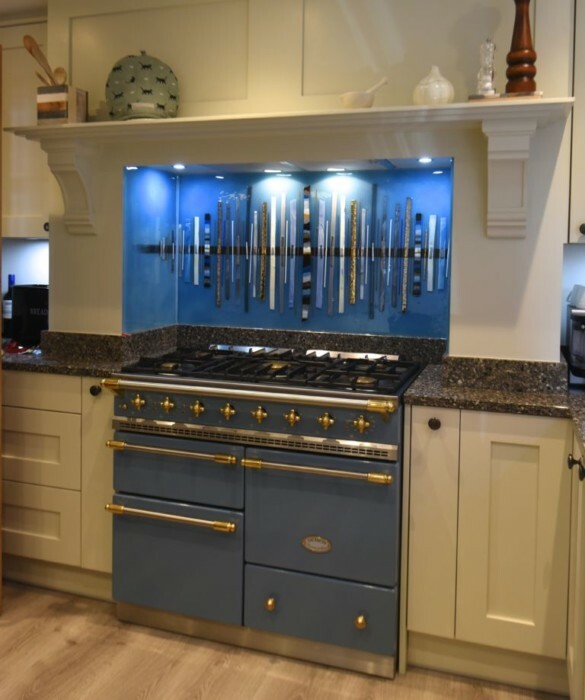 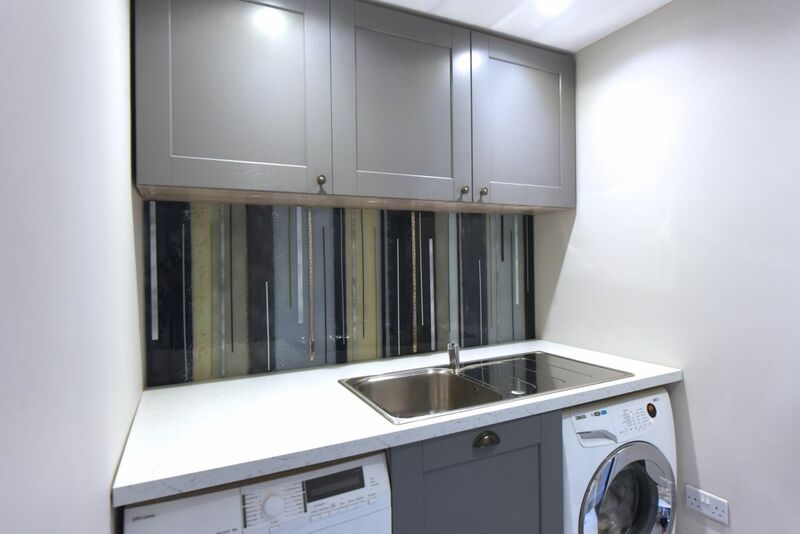 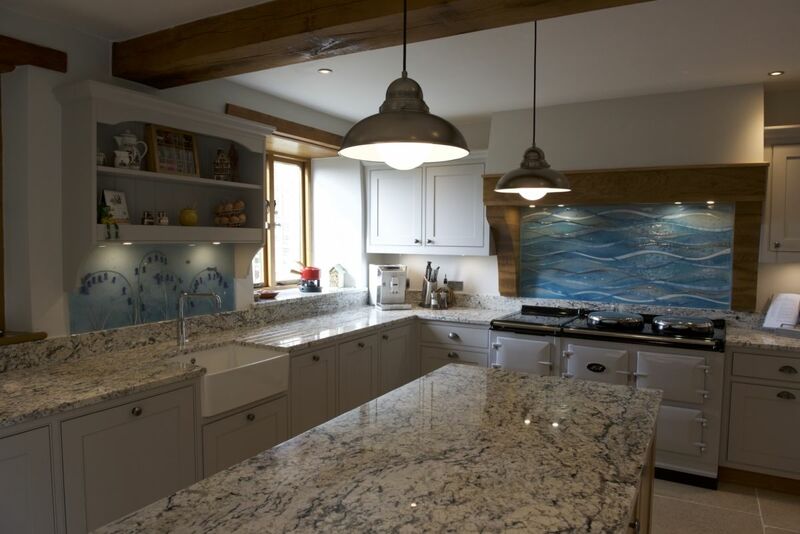 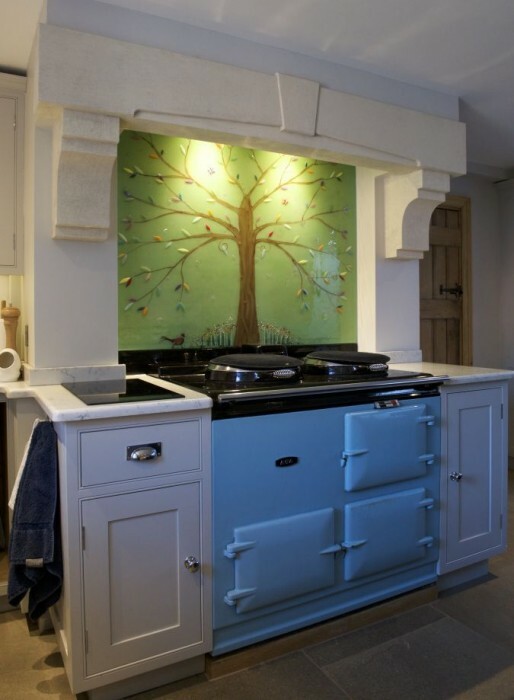 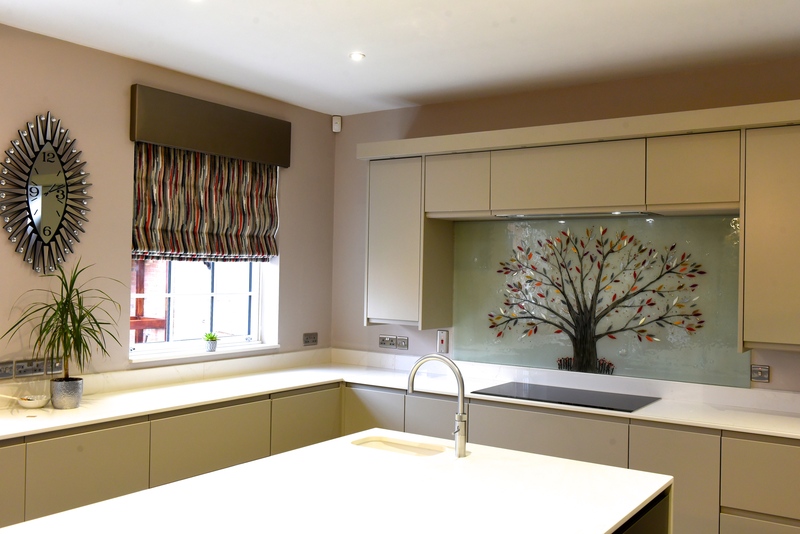 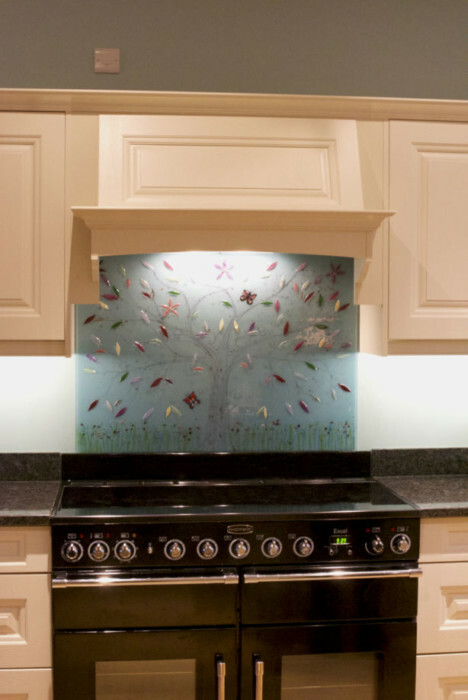 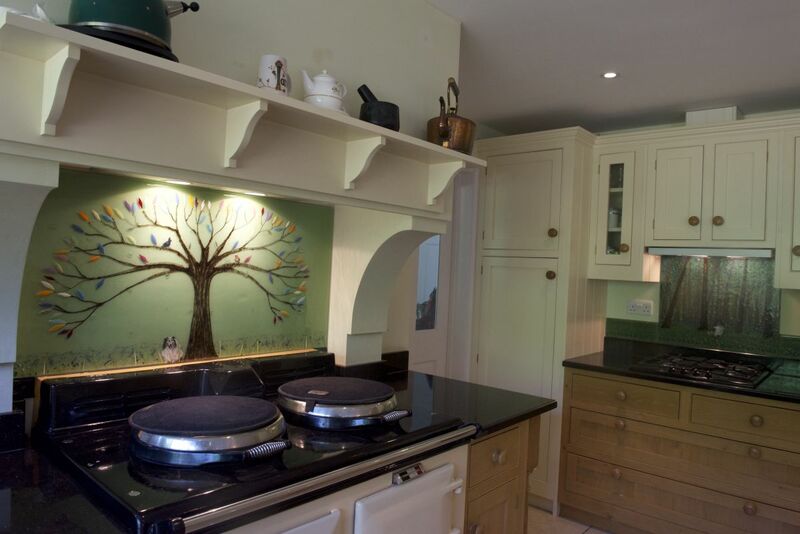 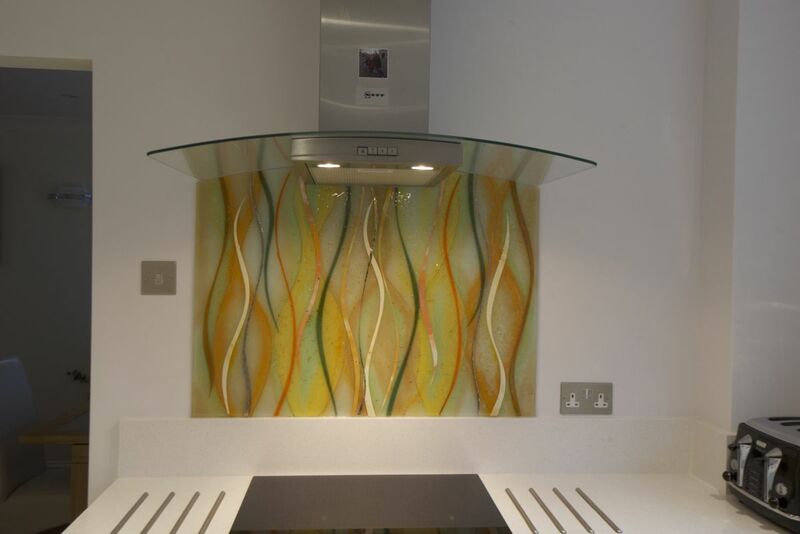 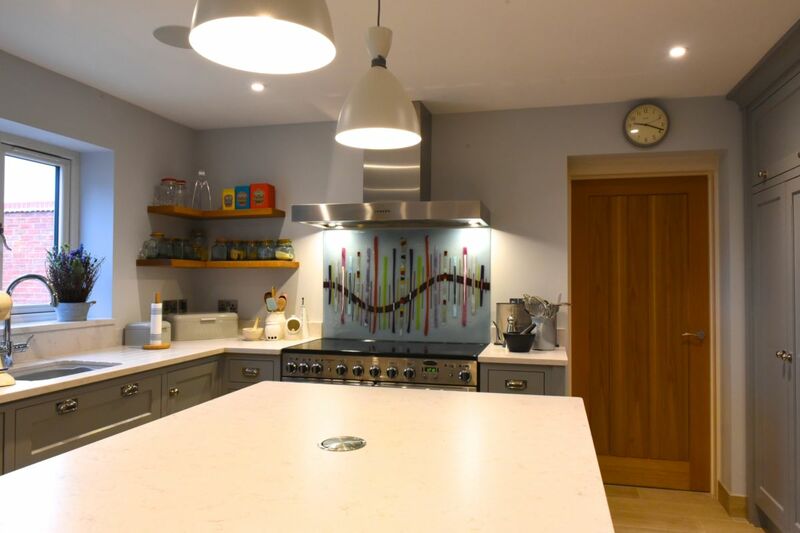 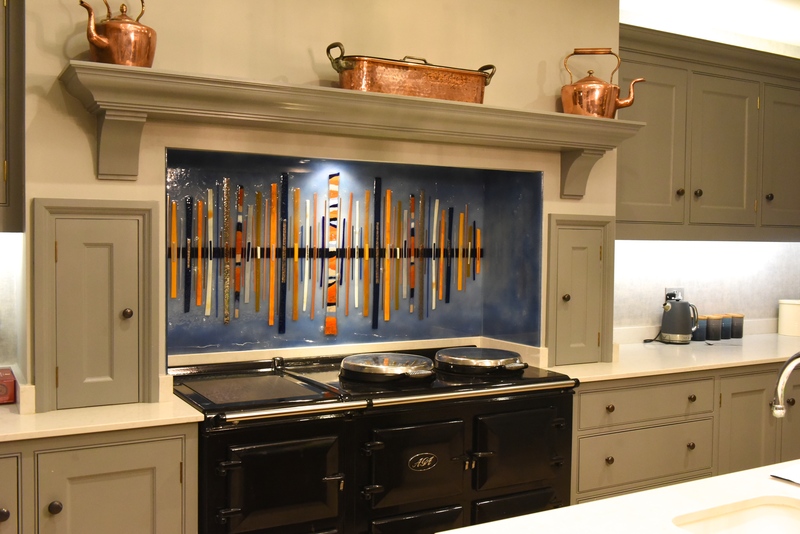 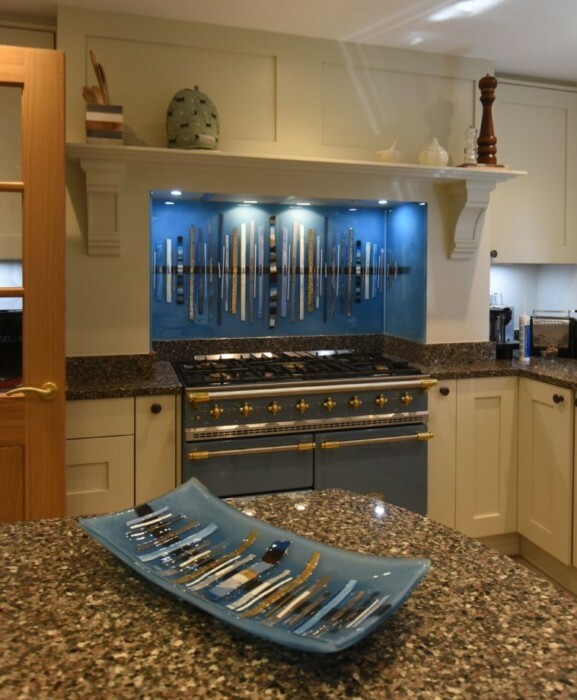 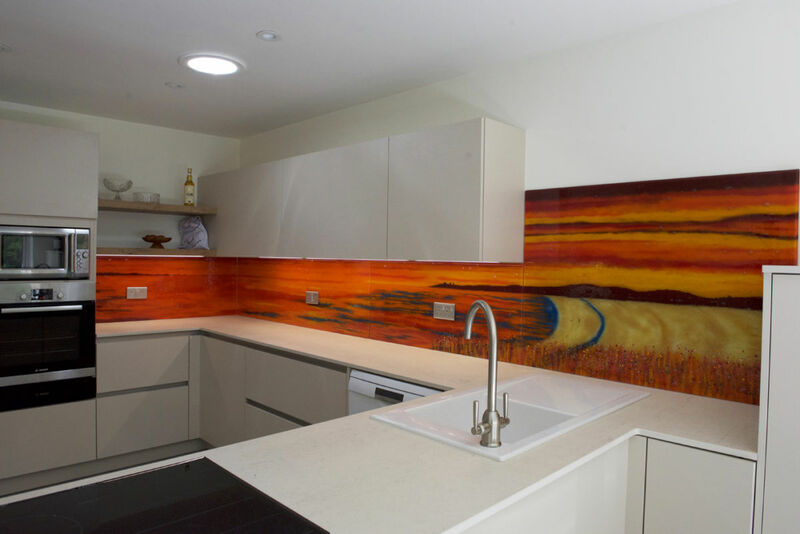 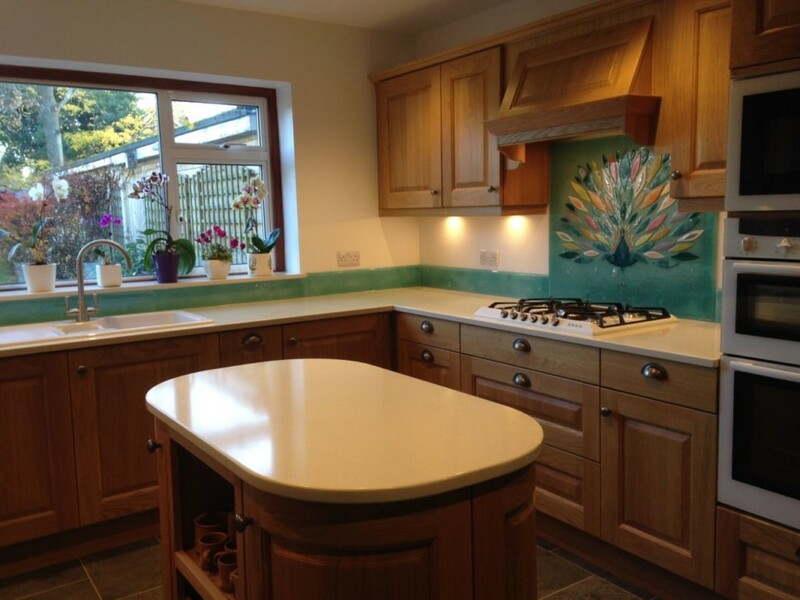 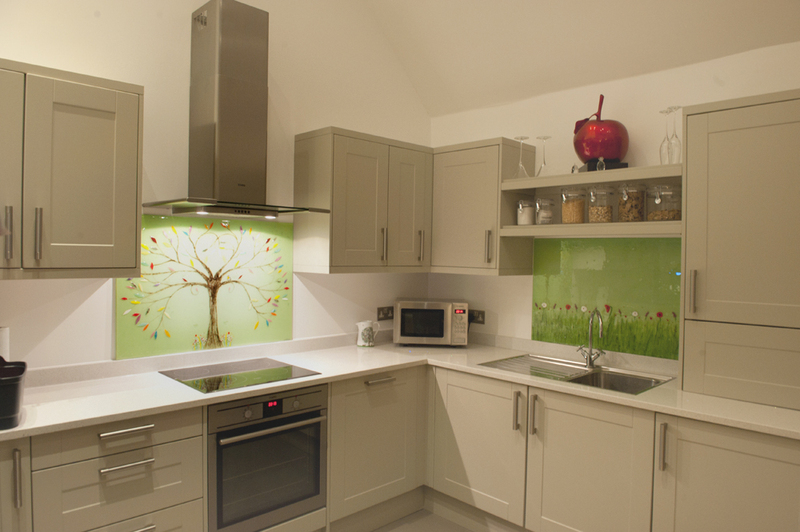 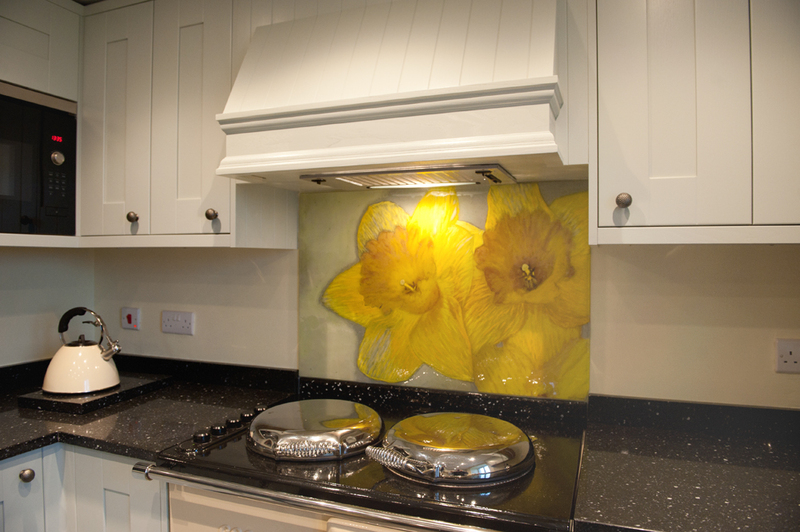 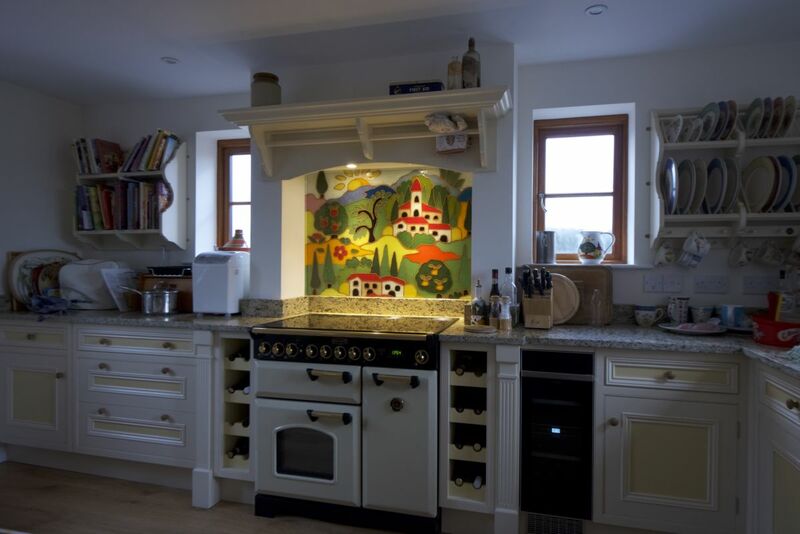 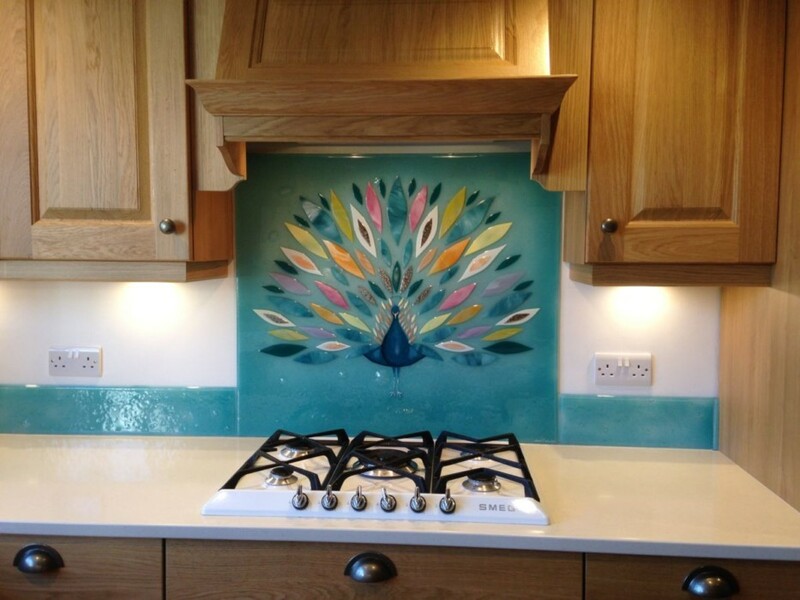 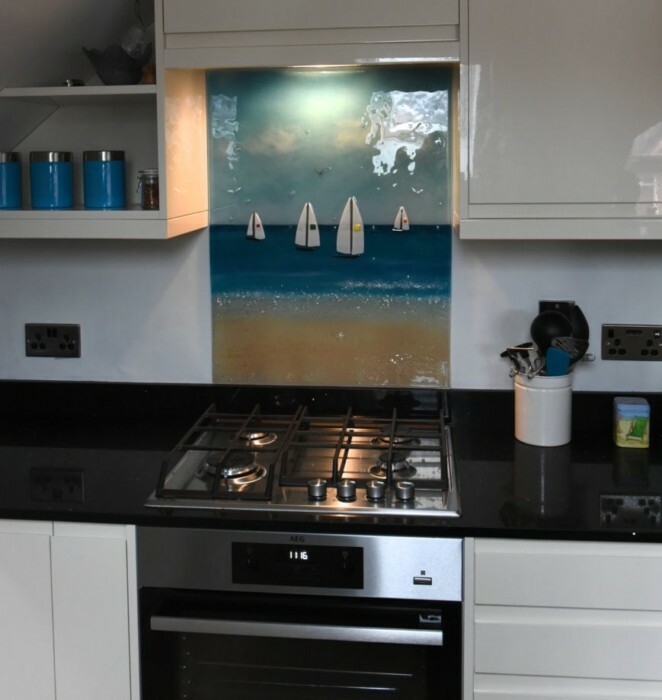 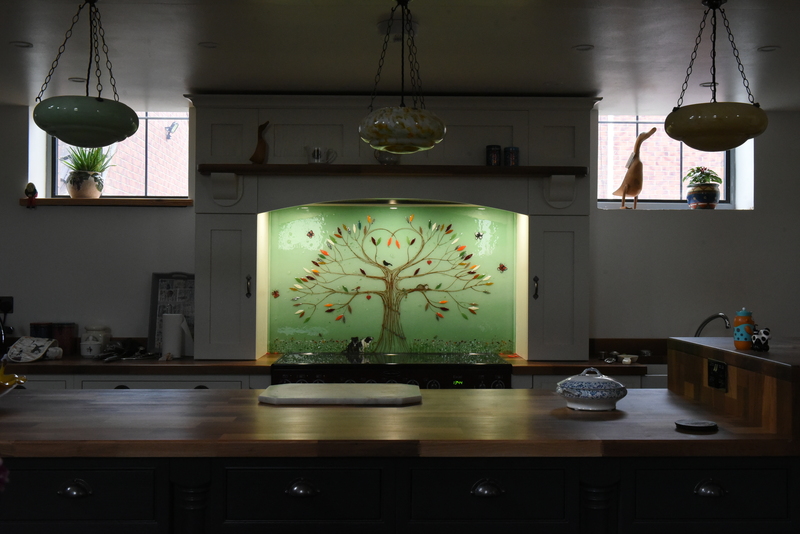 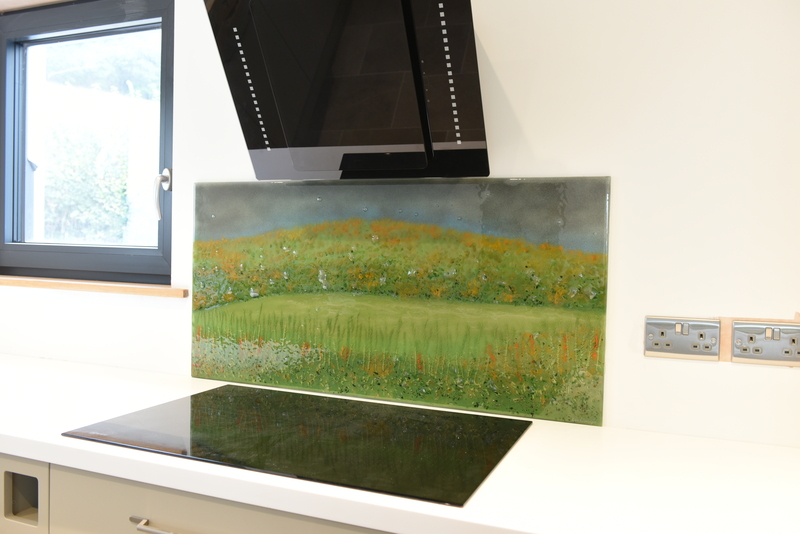 This beautiful example of a bespoke kitchen splashback found a home in Grassington, and was created for clients who had built their house from the bottom up by themselves. 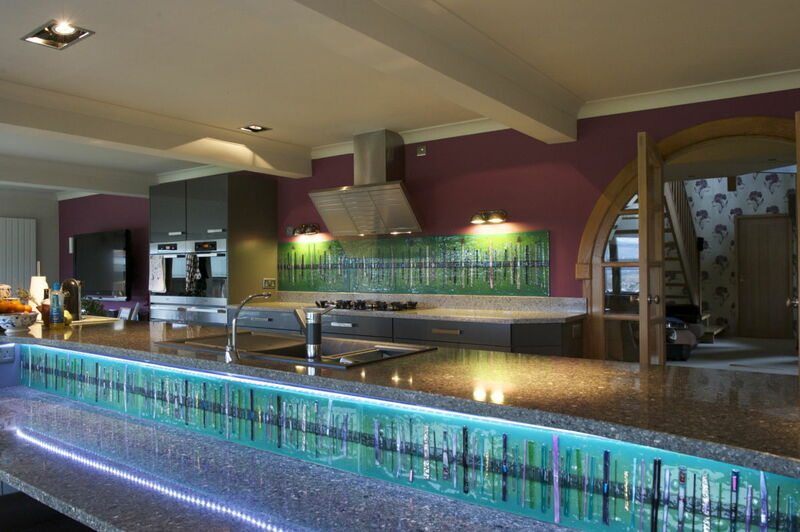 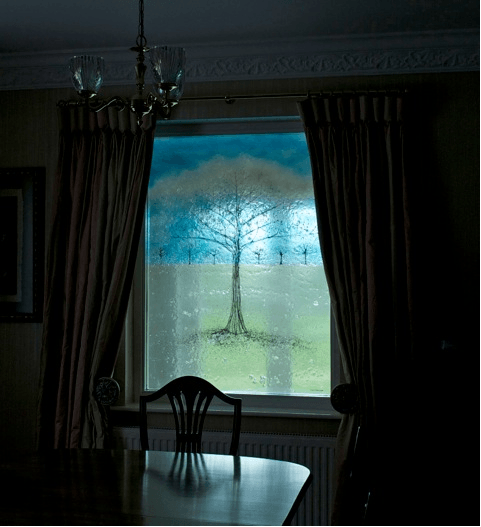 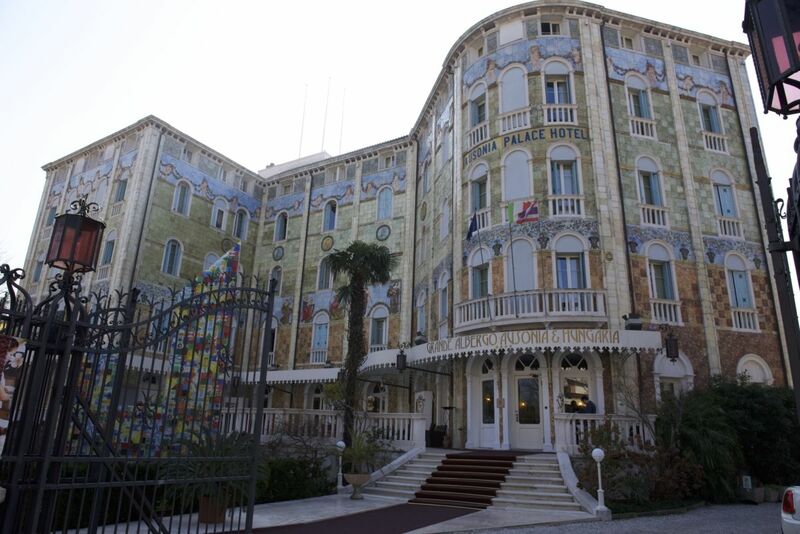 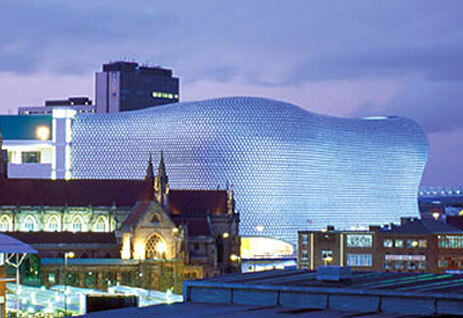 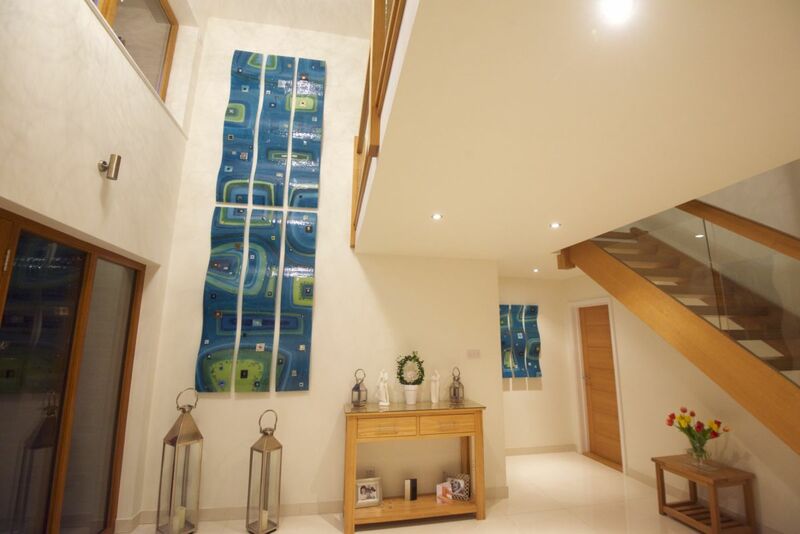 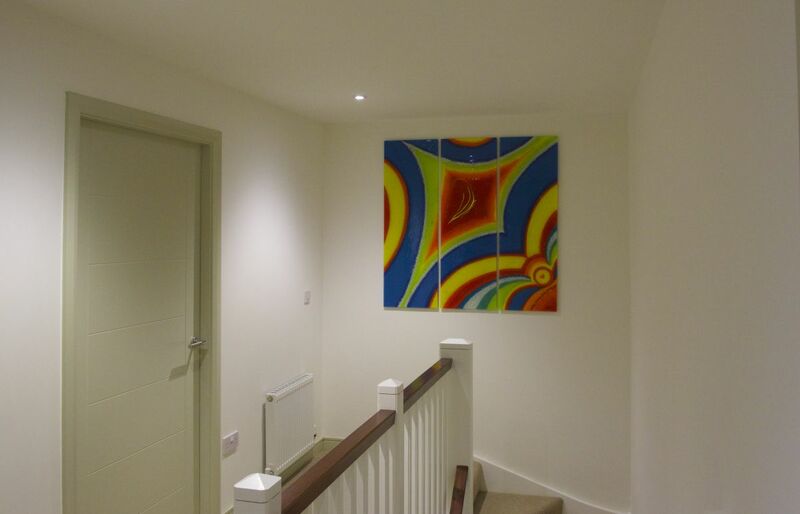 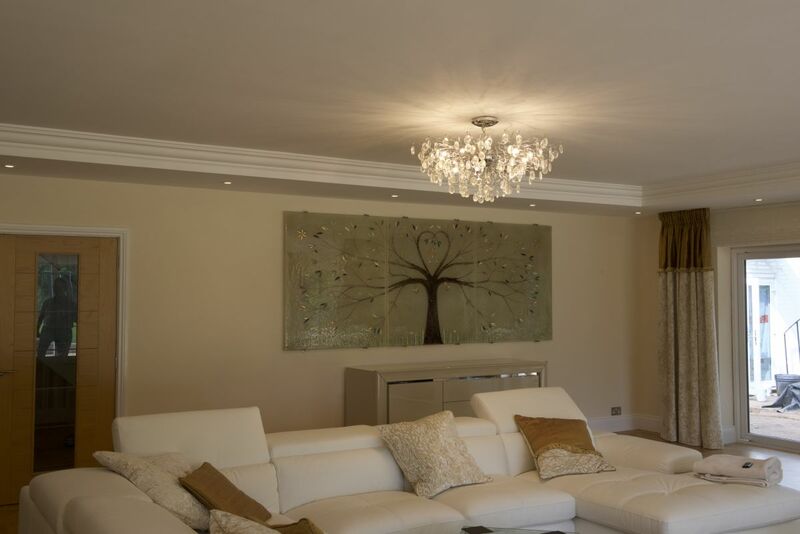 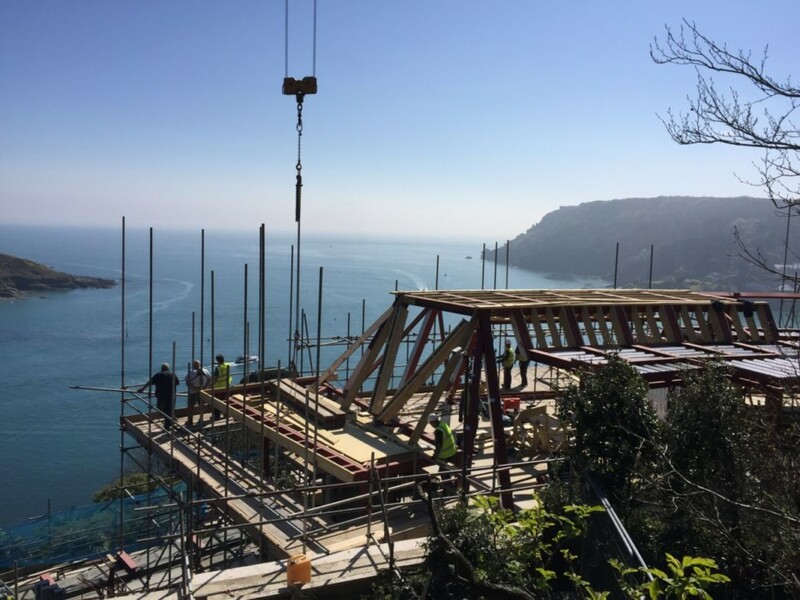 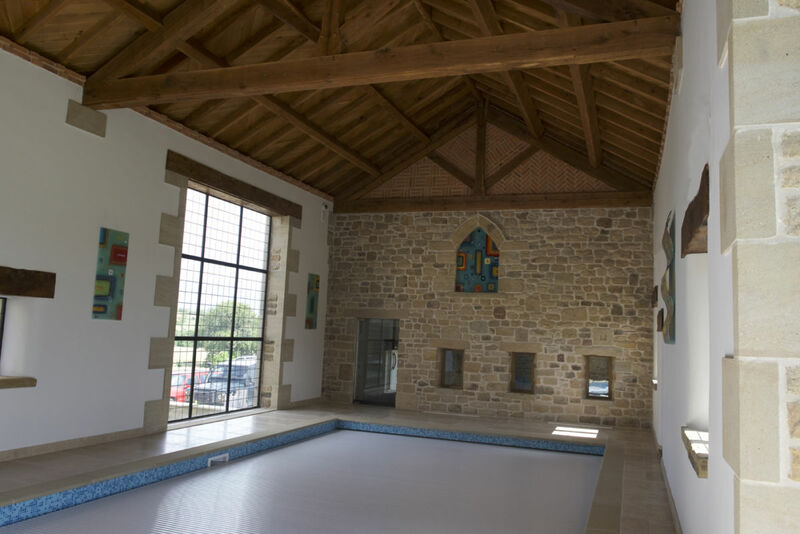 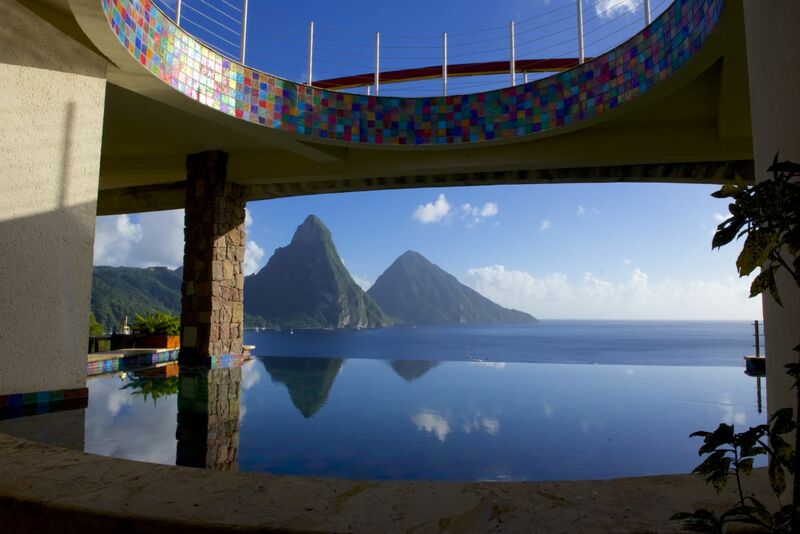 We were very excited to have the chance to work on it, and contribute to what turned out to be a fantastic property. 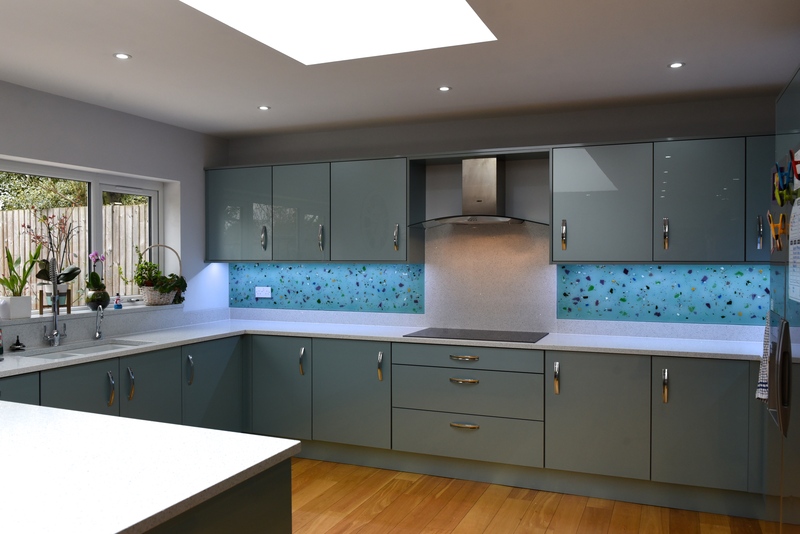 We were the very last step in the process, so we had a lot to work with and a great idea about what the kitchen would look like in the final product. 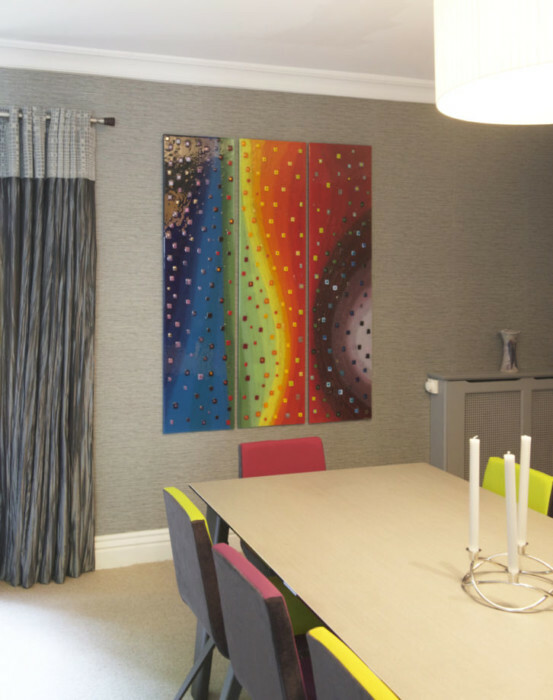 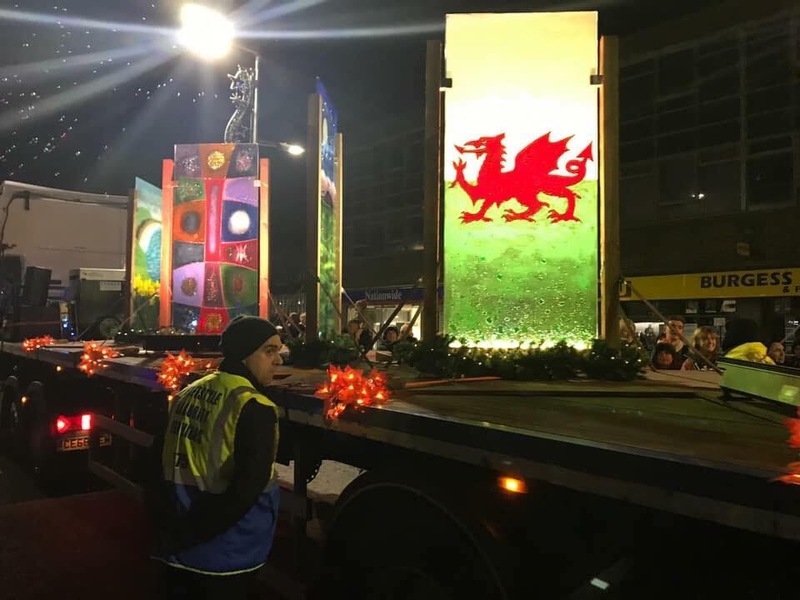 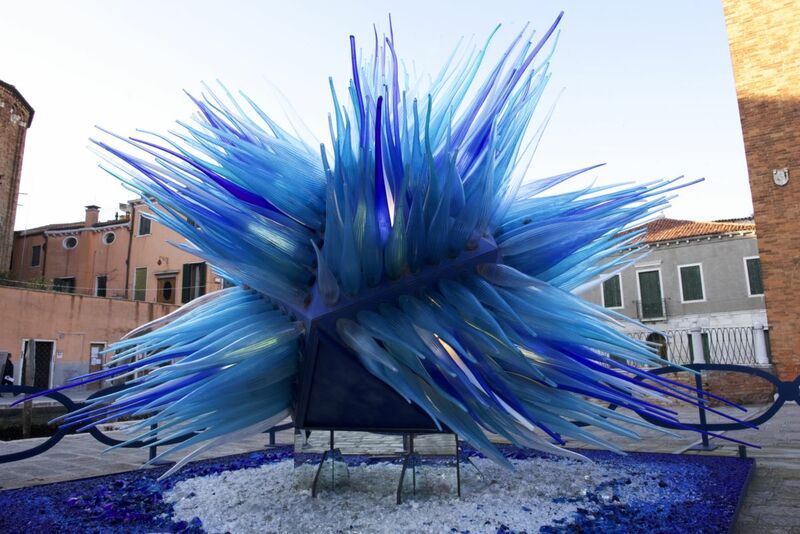 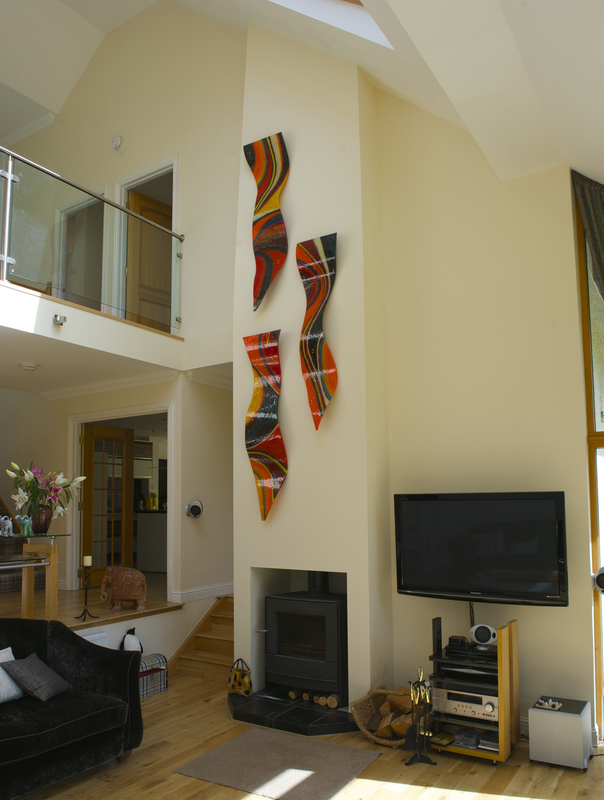 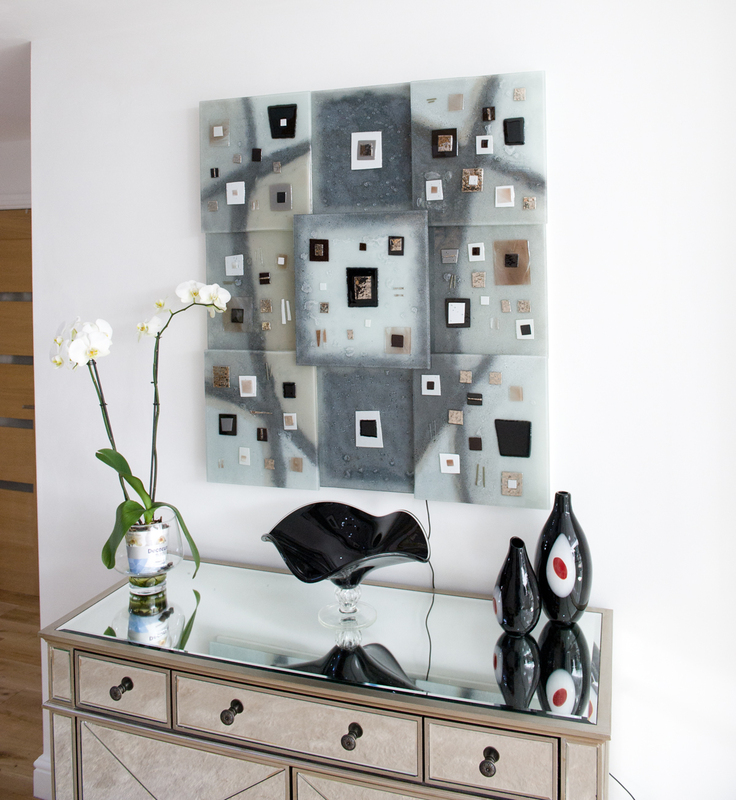 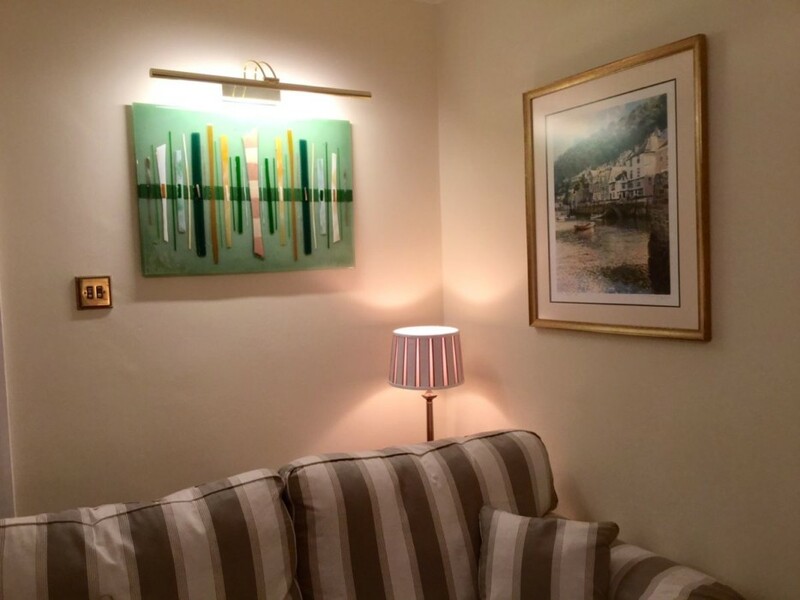 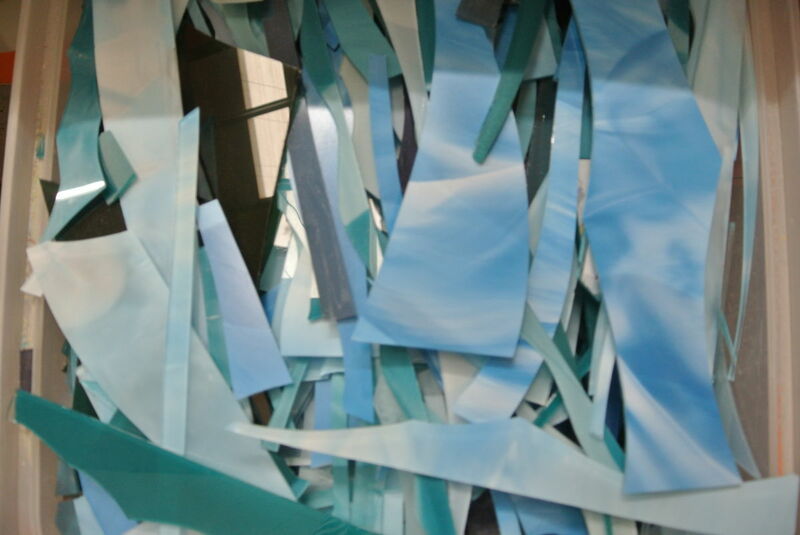 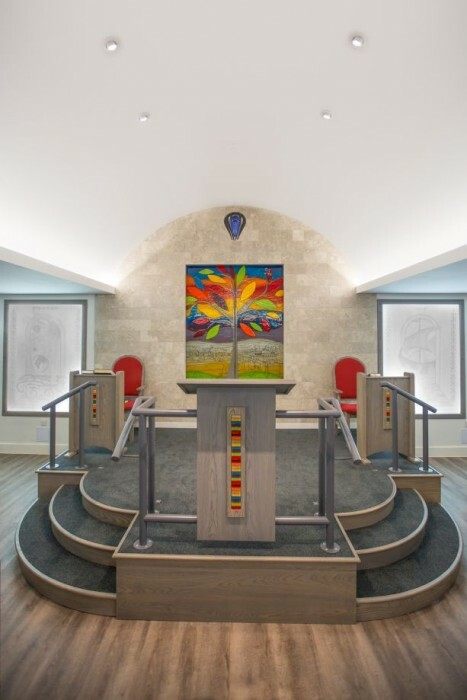 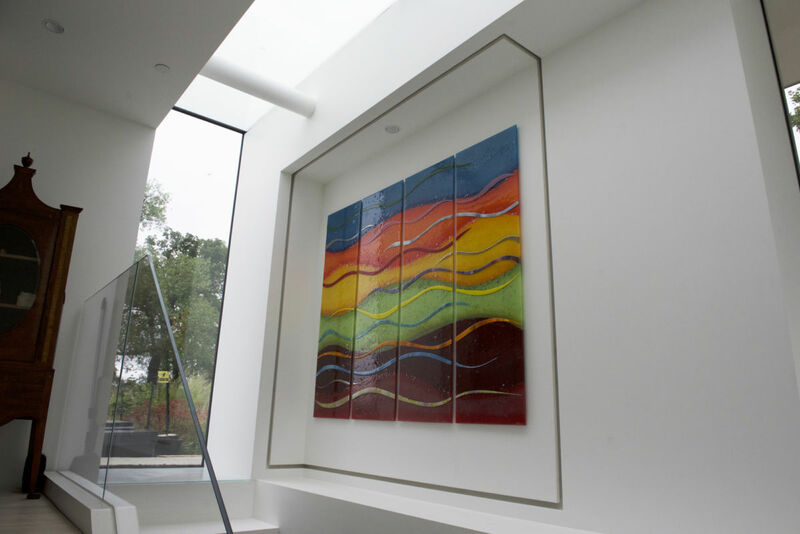 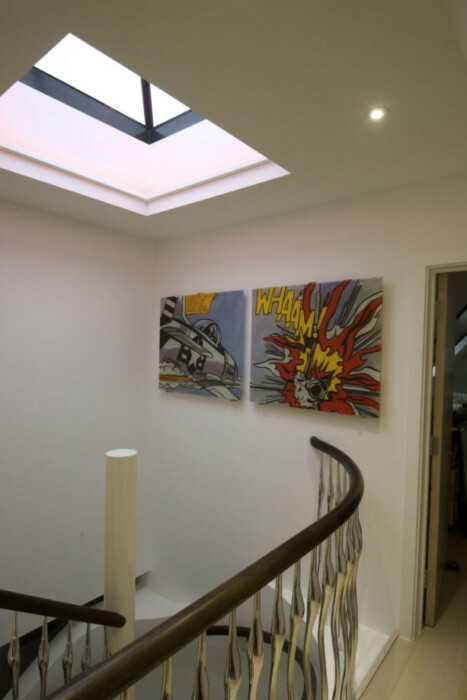 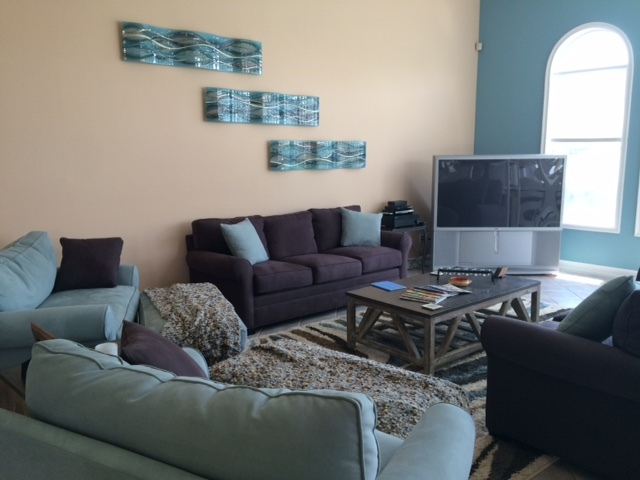 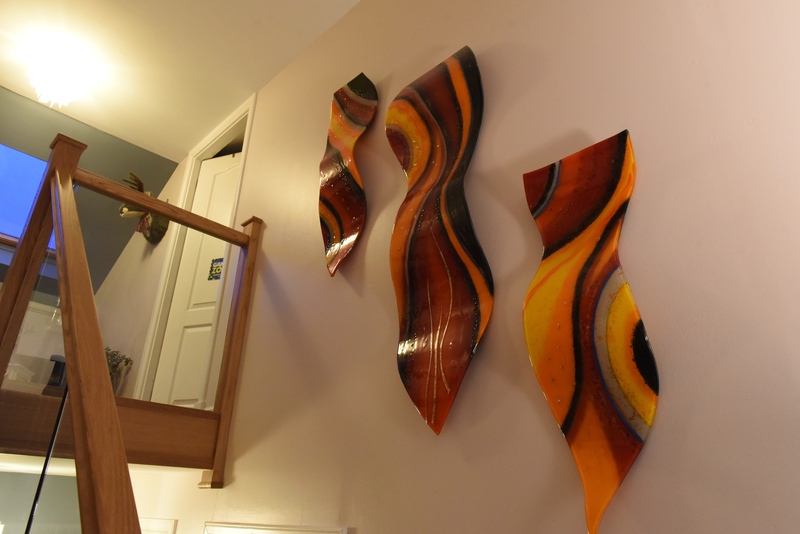 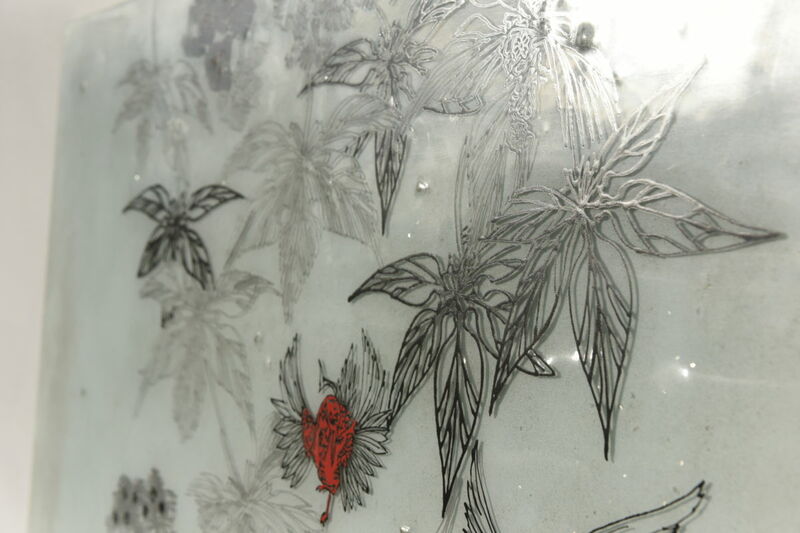 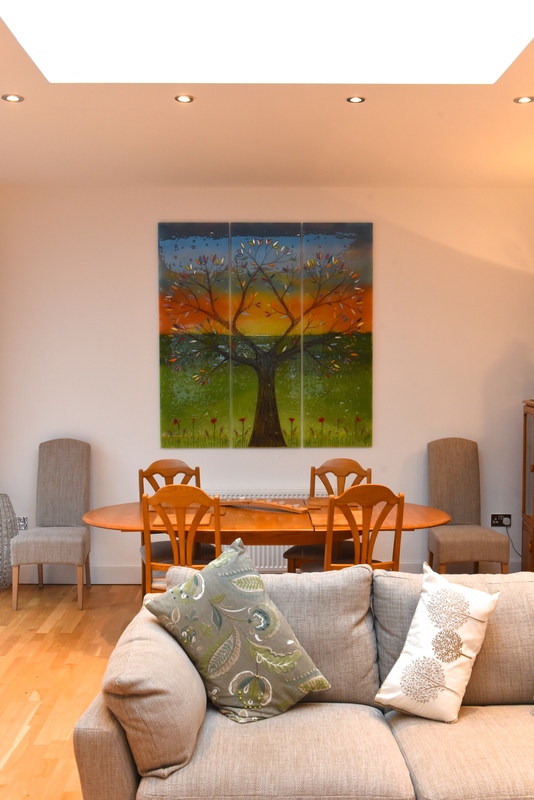 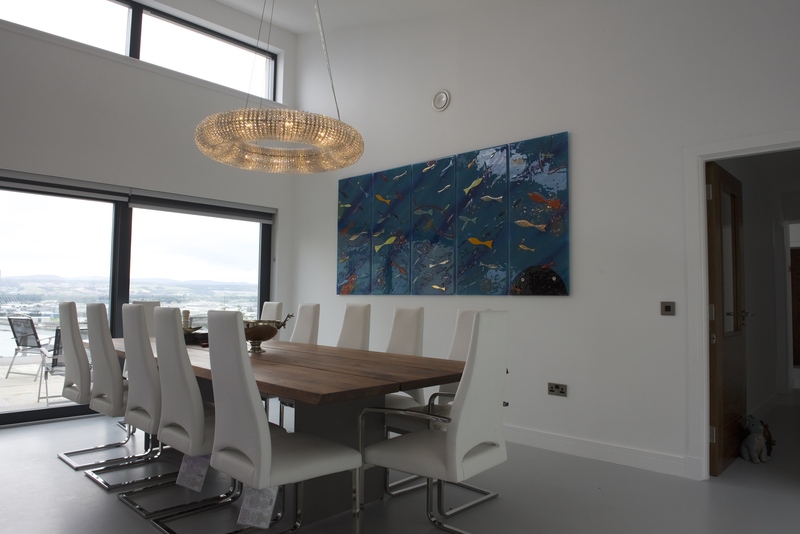 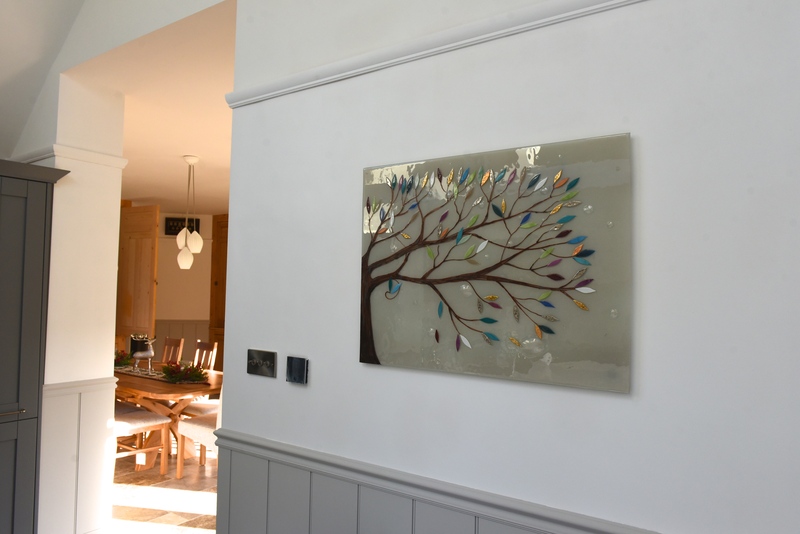 The clients were extremely helpful, however, and gave us a fantastic amount of input as to how they envisioned the design of the piece. 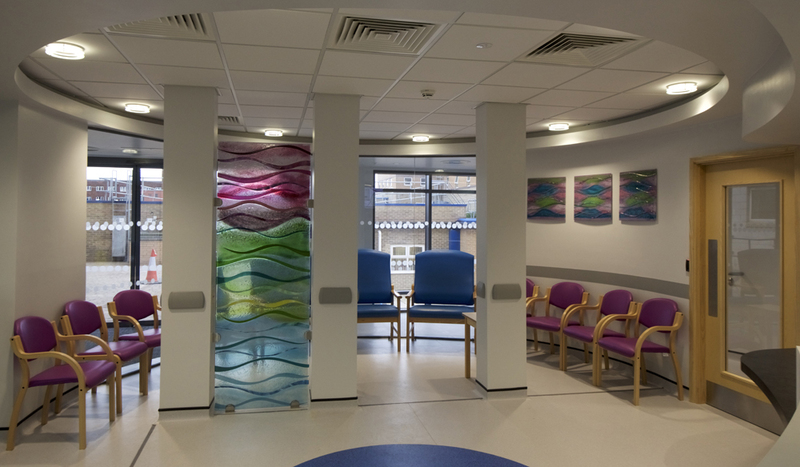 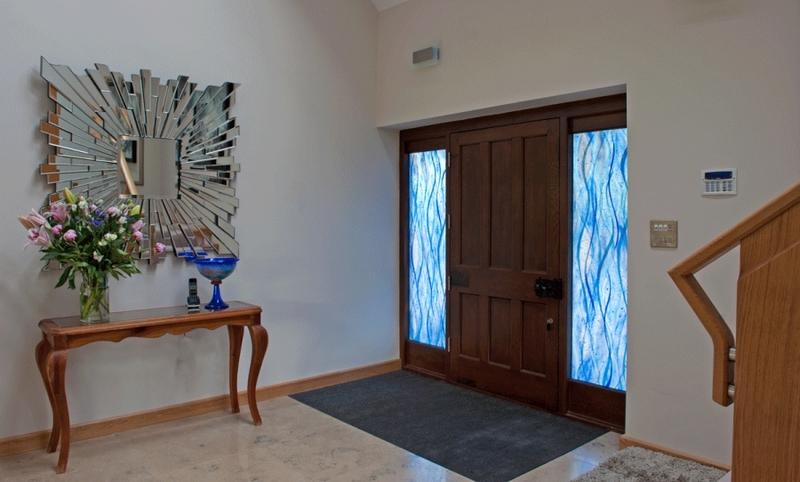 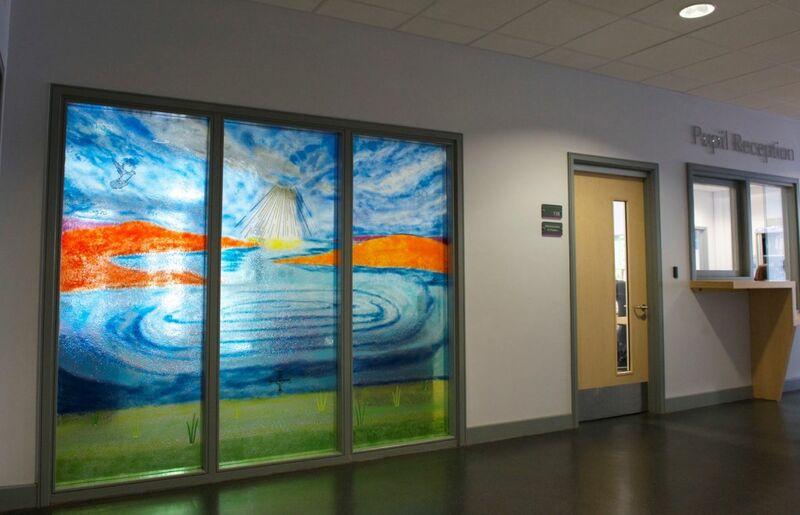 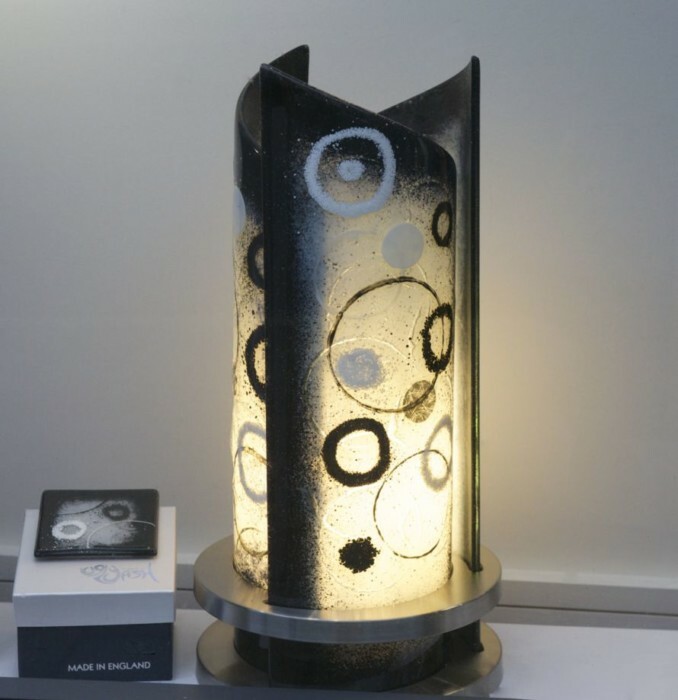 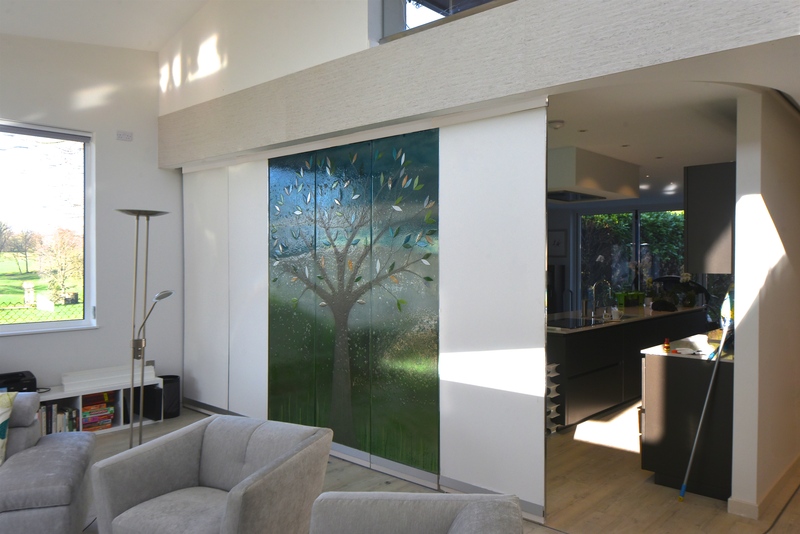 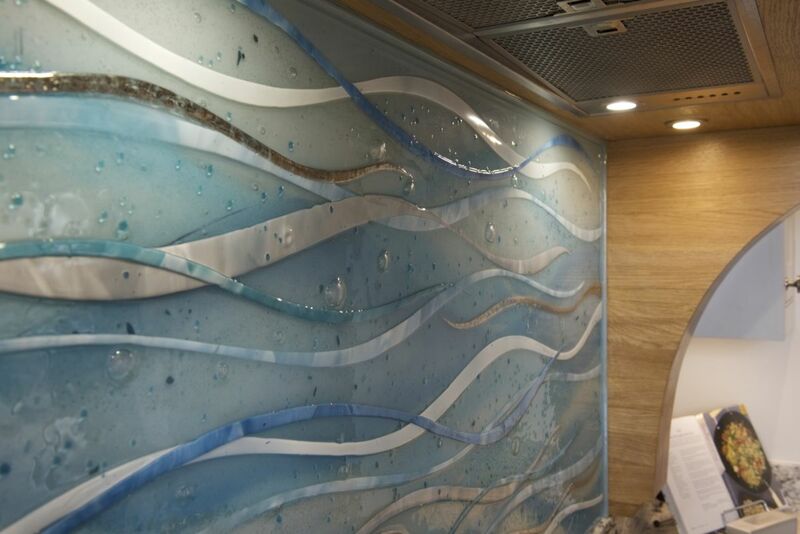 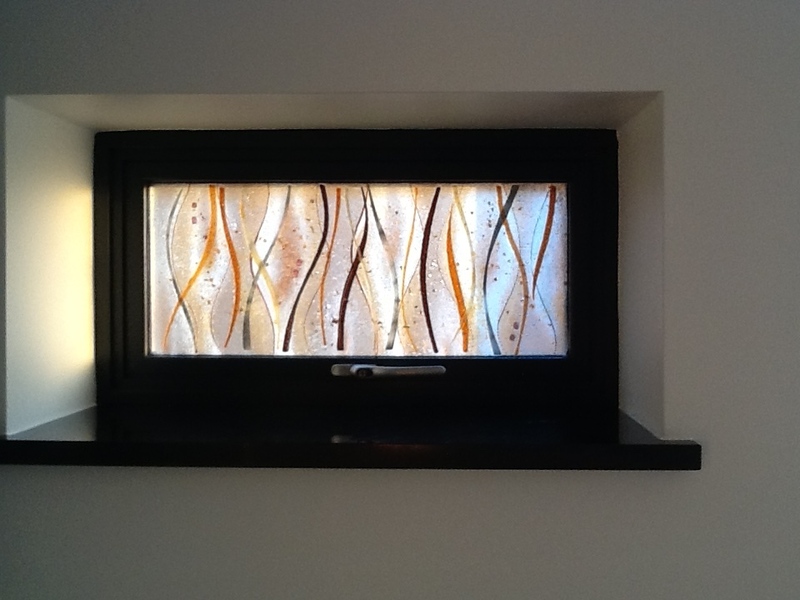 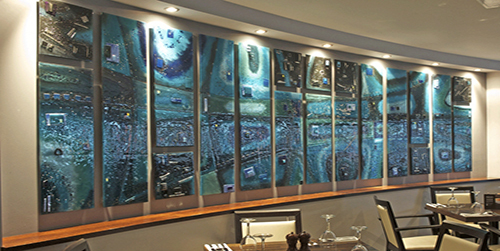 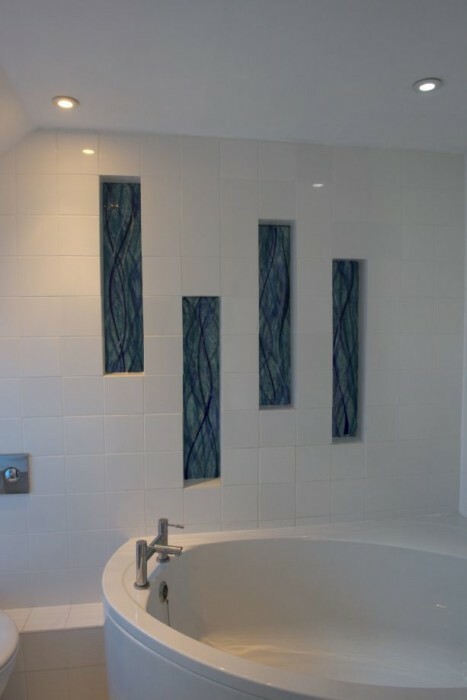 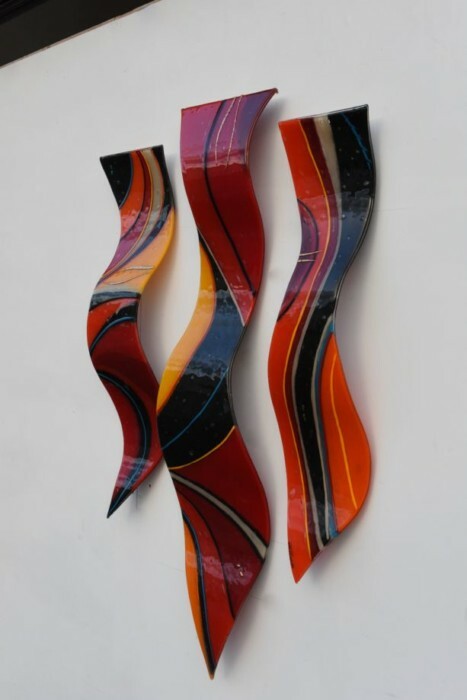 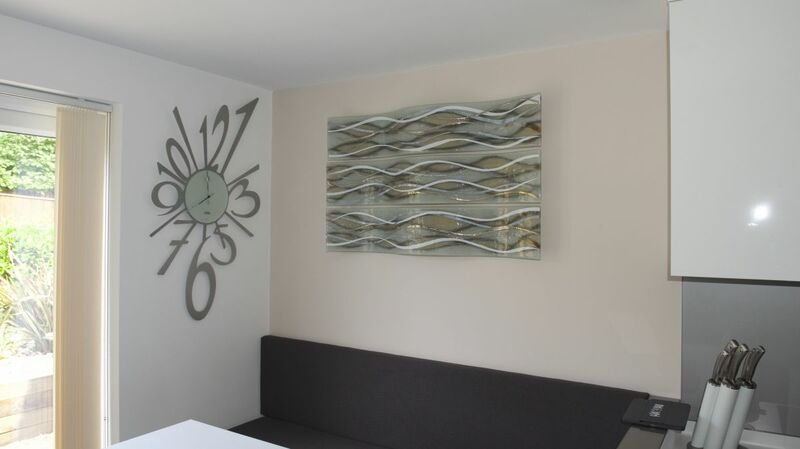 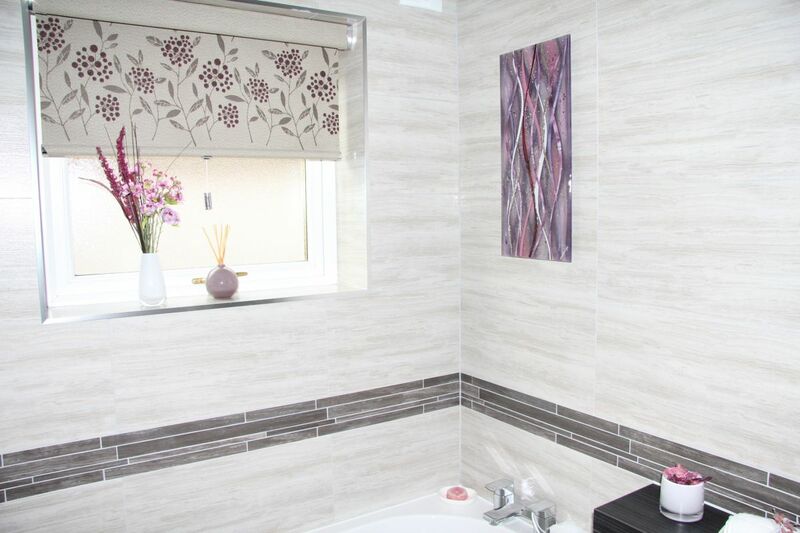 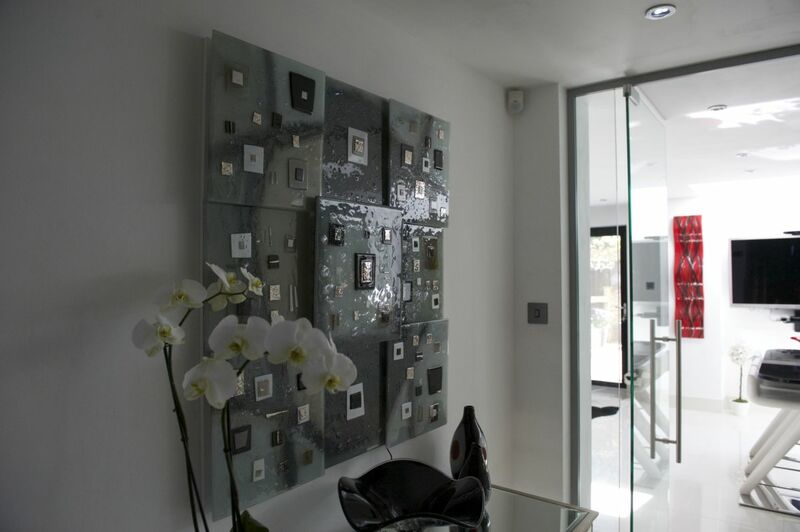 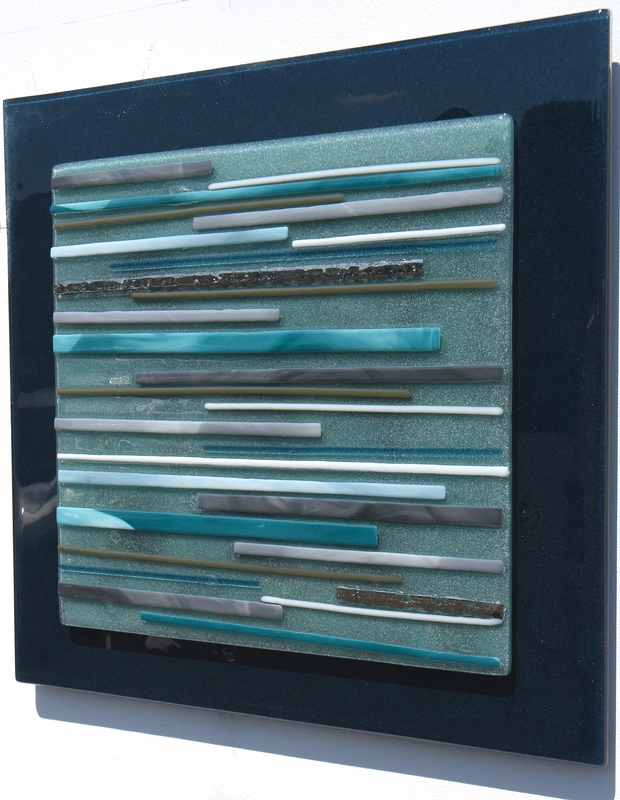 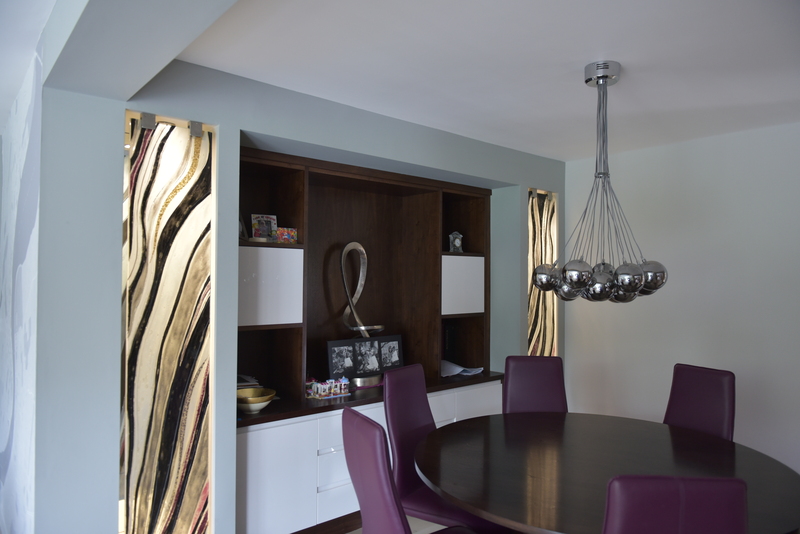 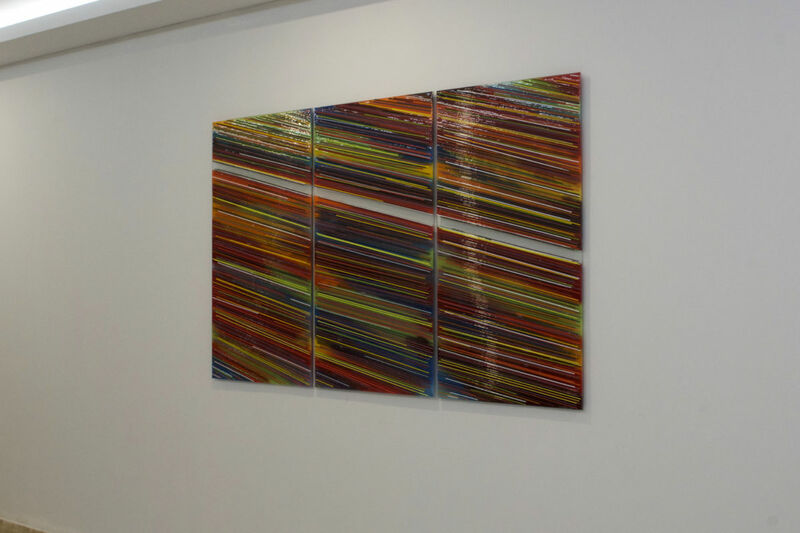 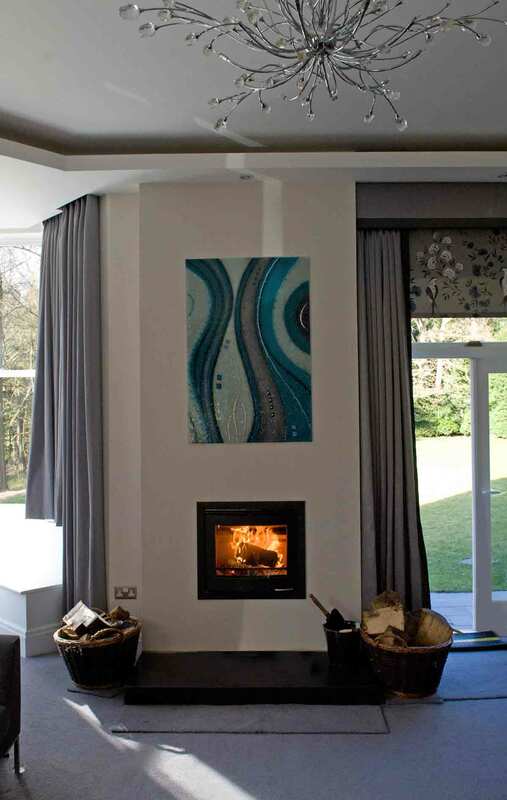 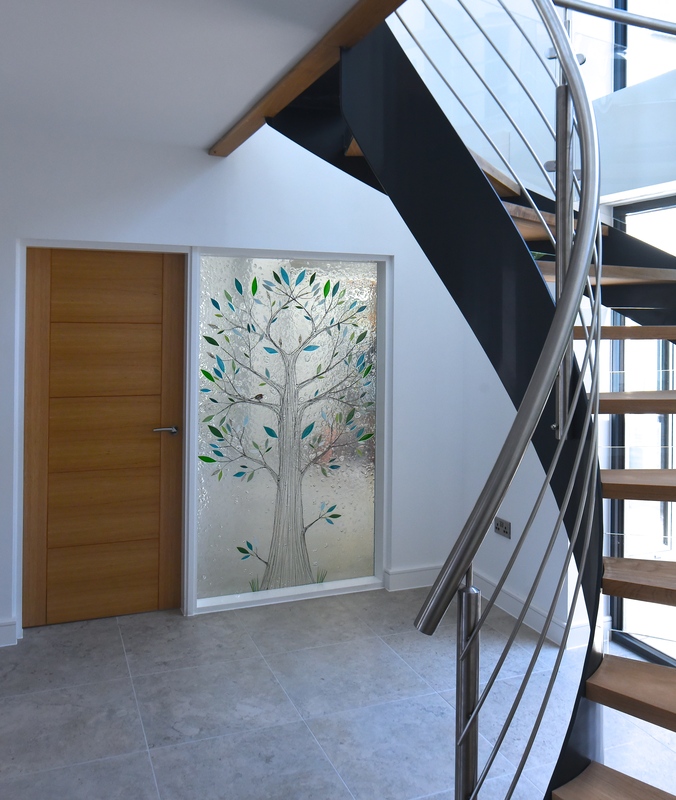 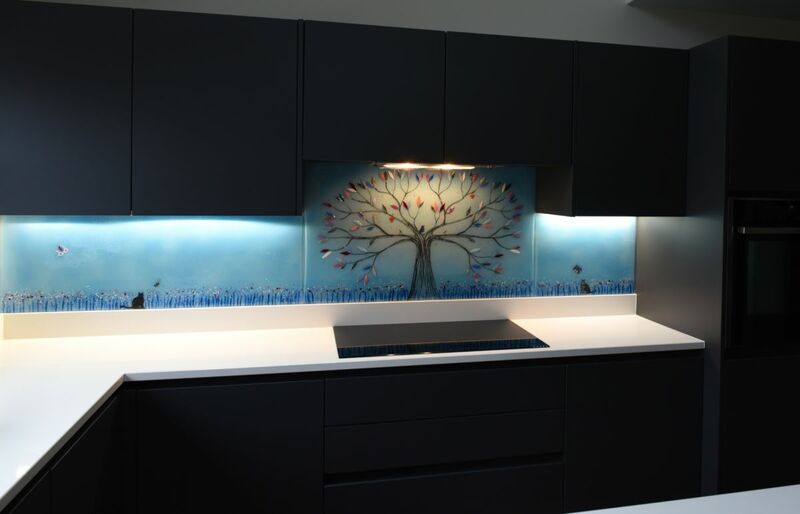 It features a monochromatic wave design with black accents, utilising contrast to ensure that the visuals fused within the glass really stand out from the wall. 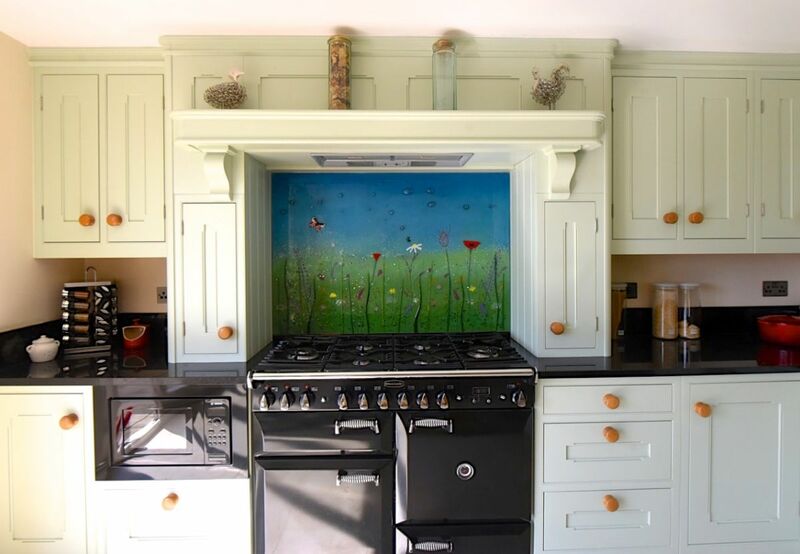 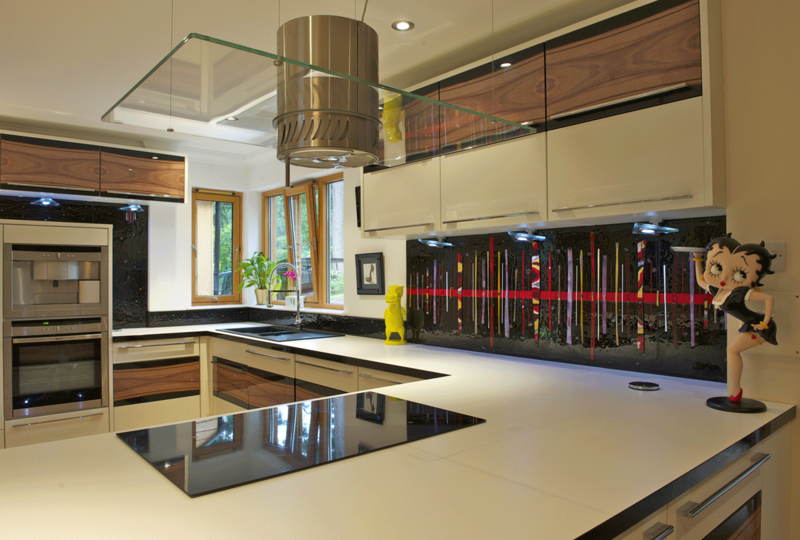 As a result, there’s a very stylish look to this kitchen that no-one can deny. 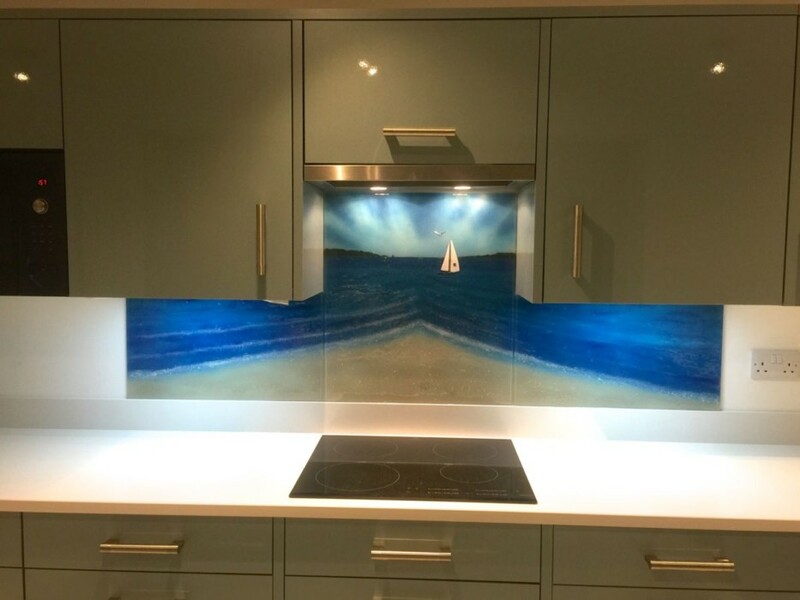 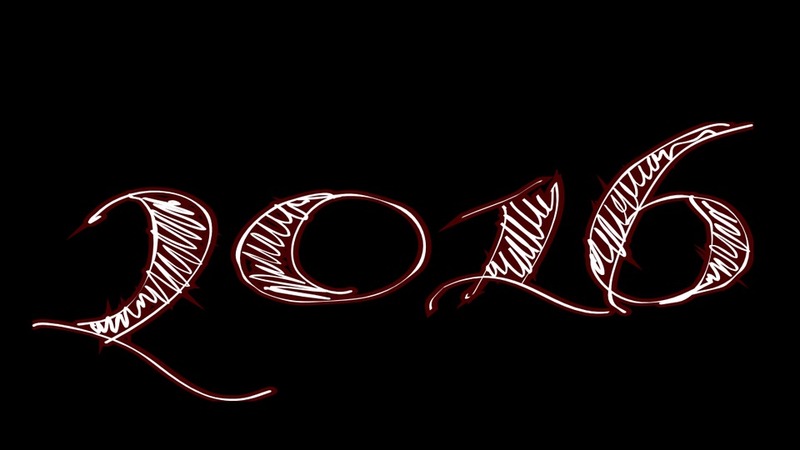 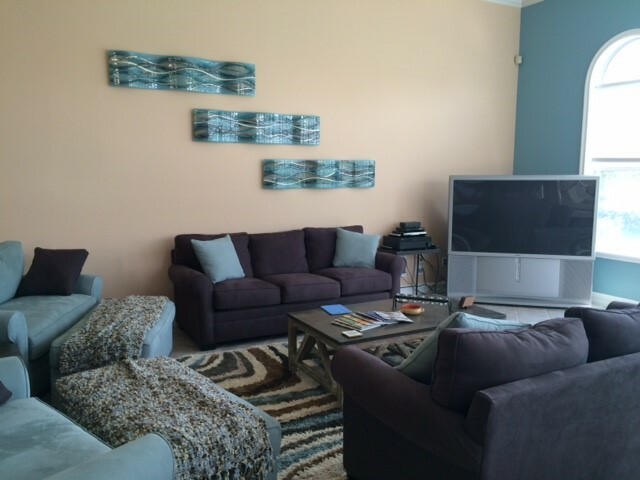 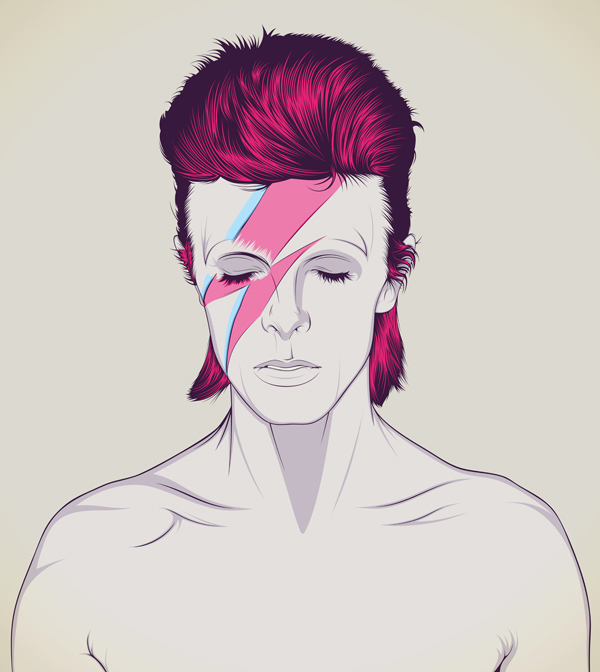 We love how it turned out. 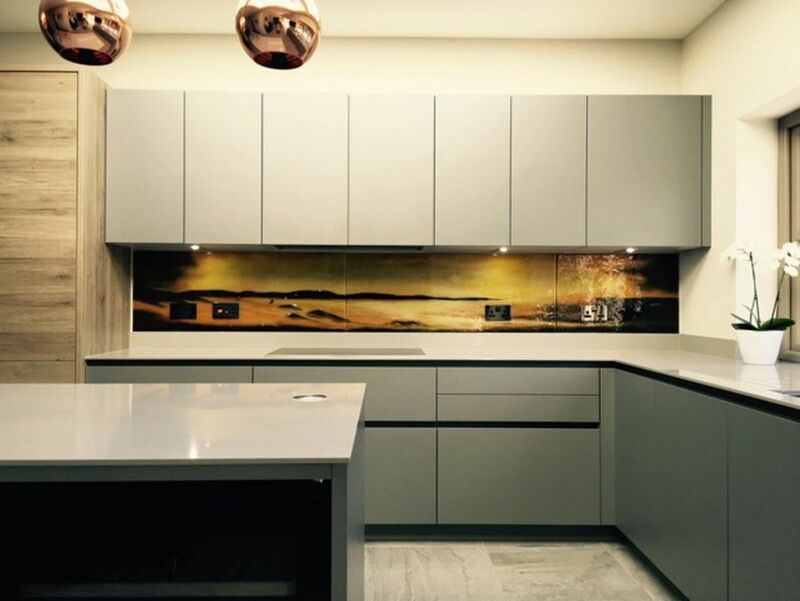 If you ask us, the clean lines of the wave and the minimal use of colour are both things that complement the clean lines of the kitchen’s modern décor. 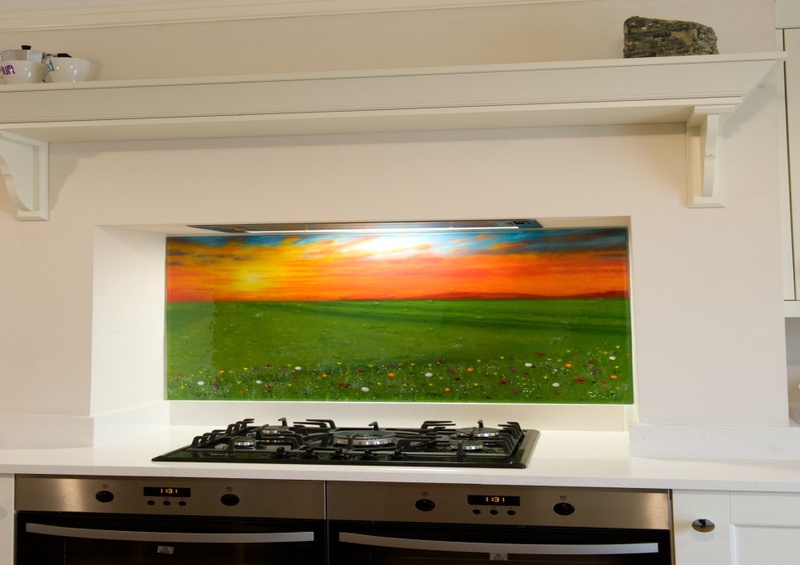 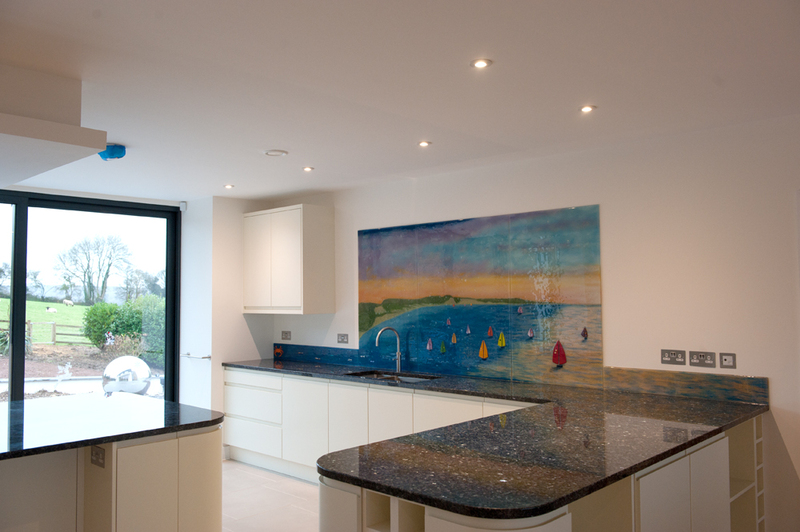 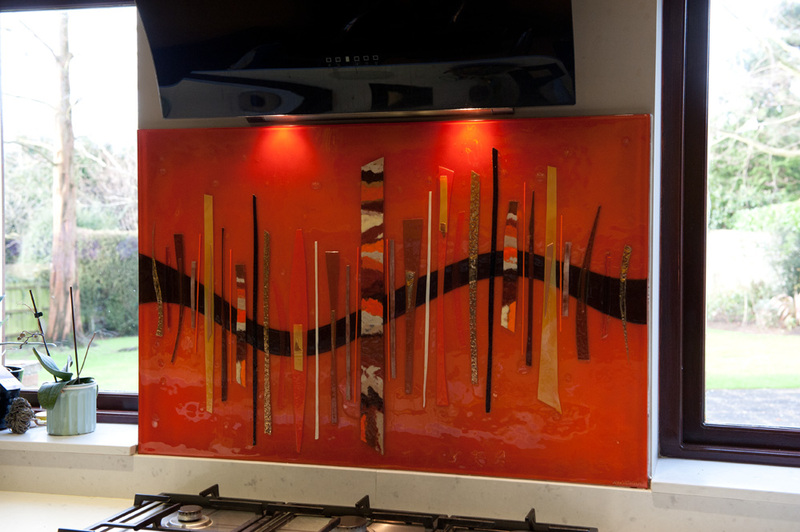 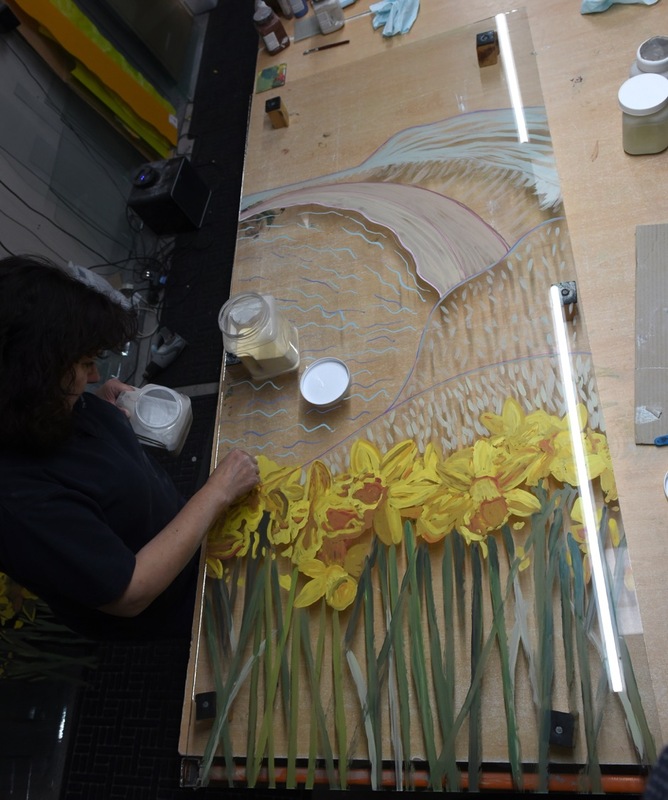 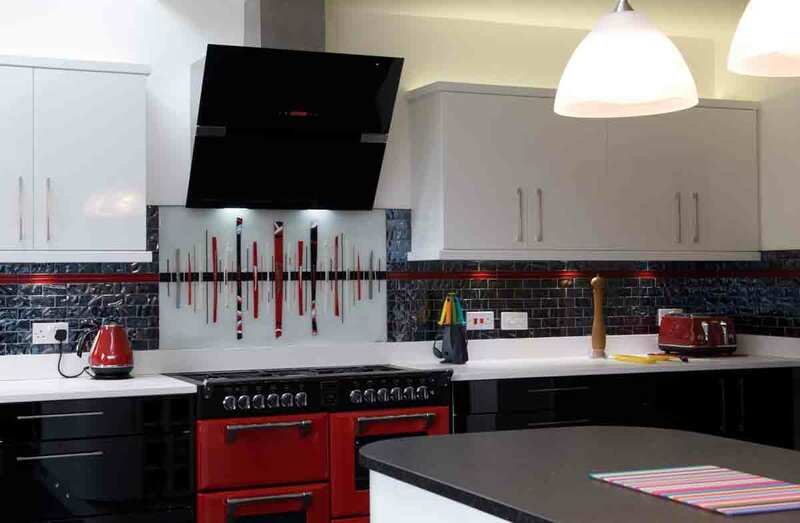 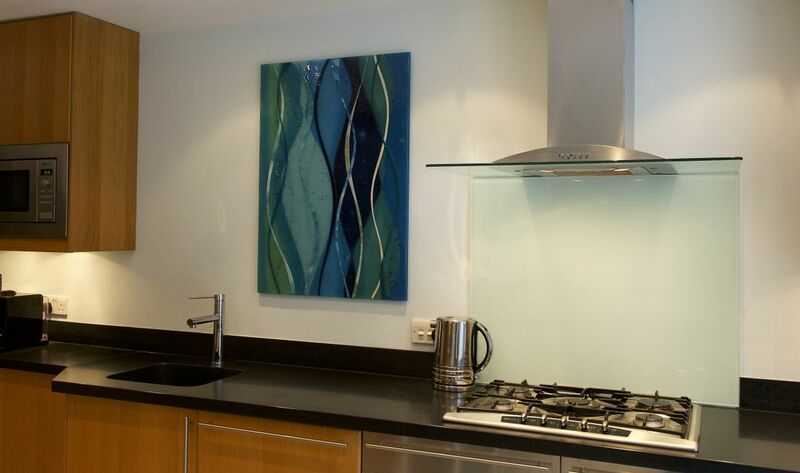 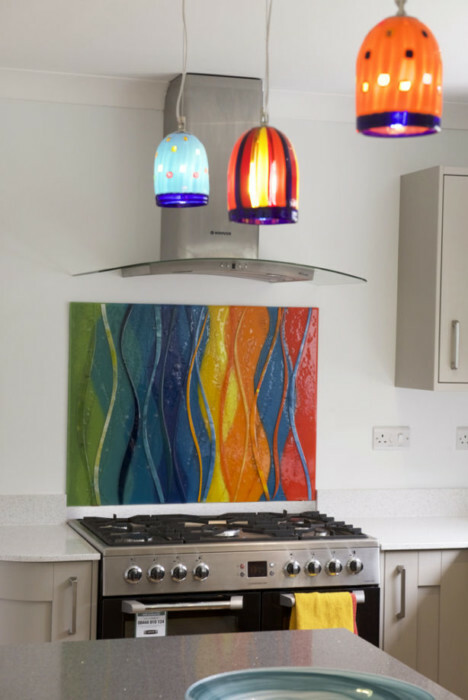 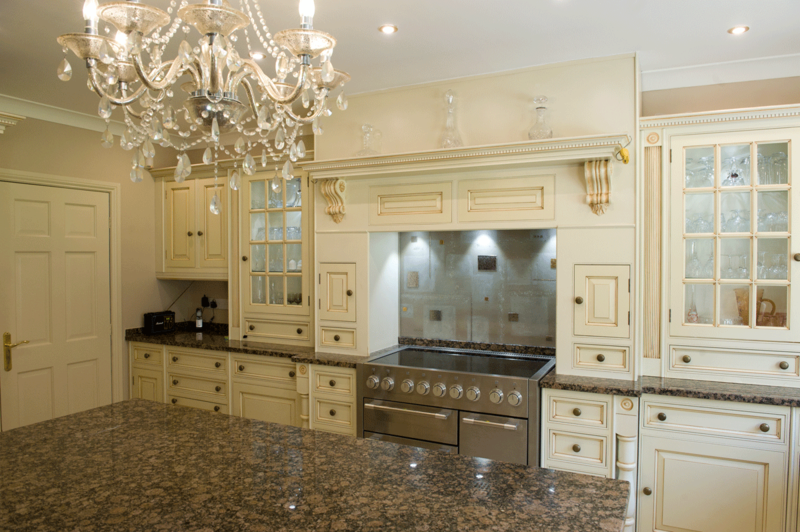 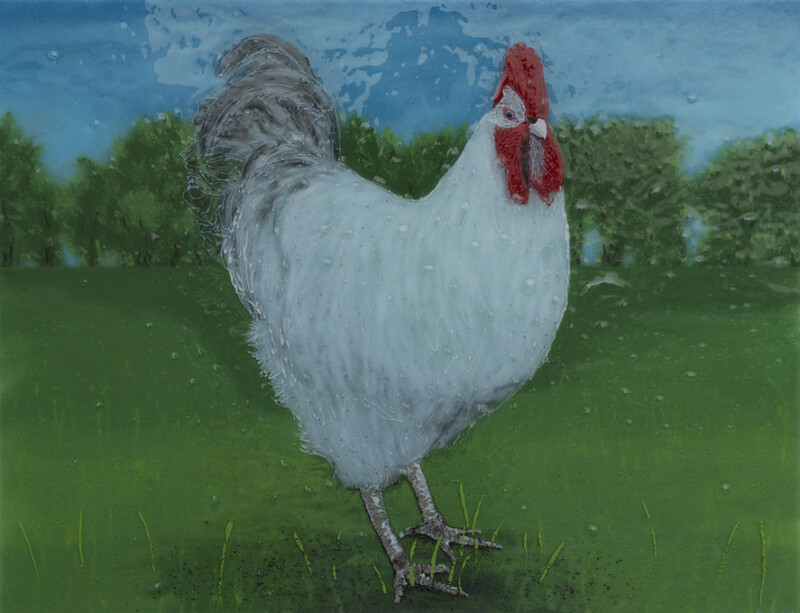 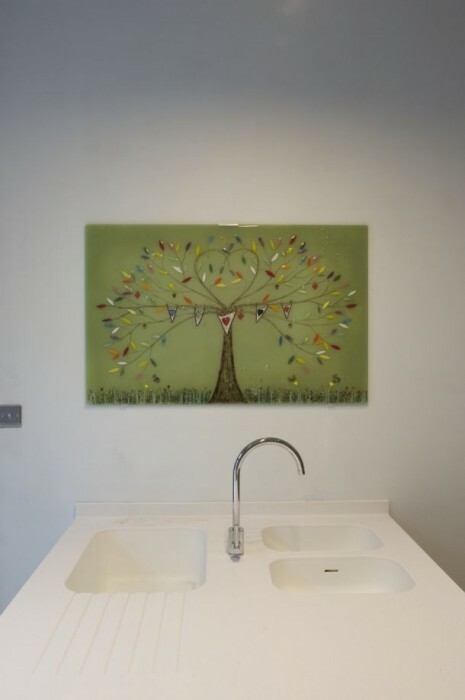 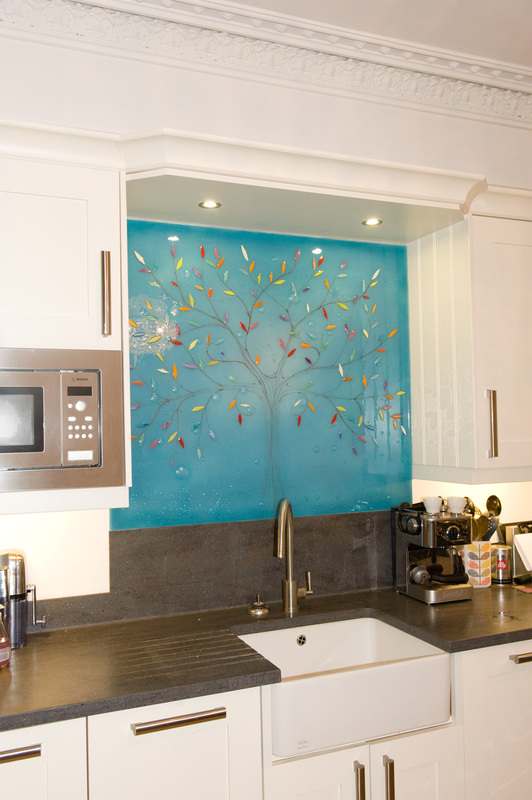 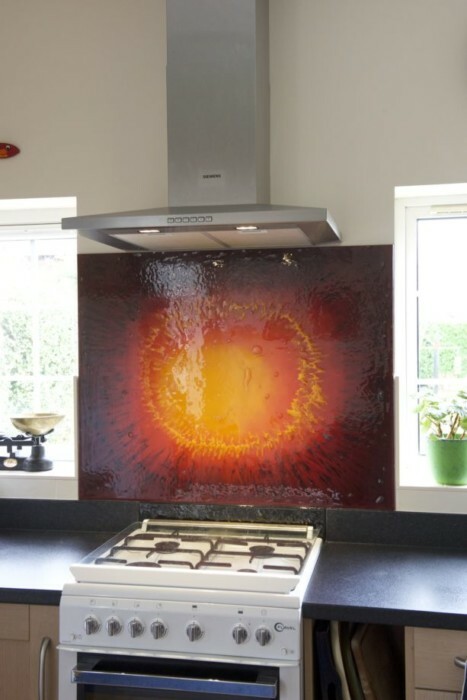 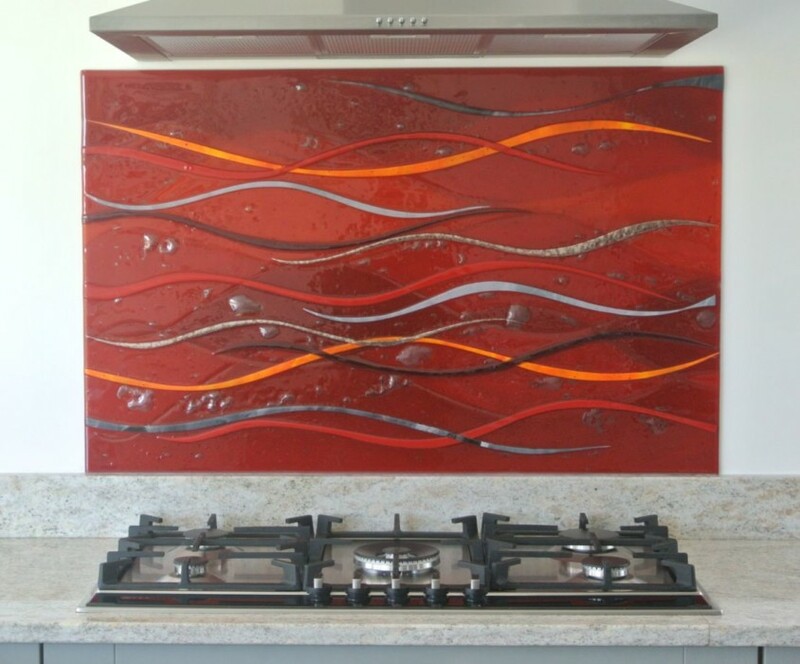 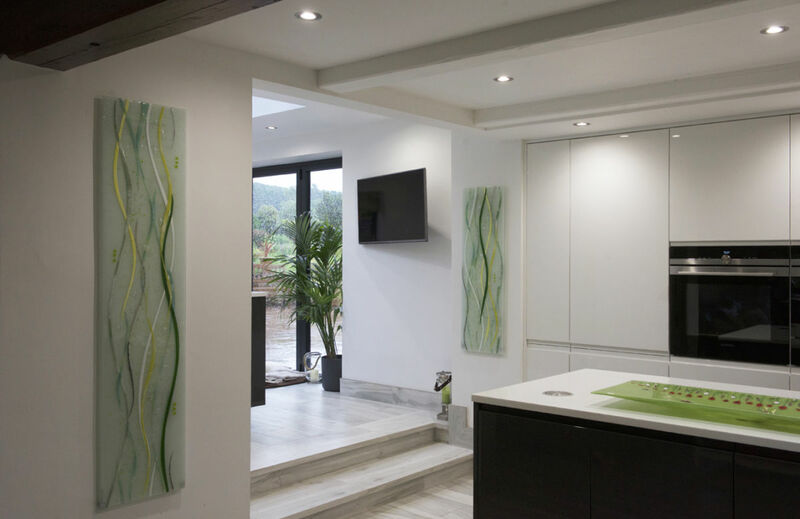 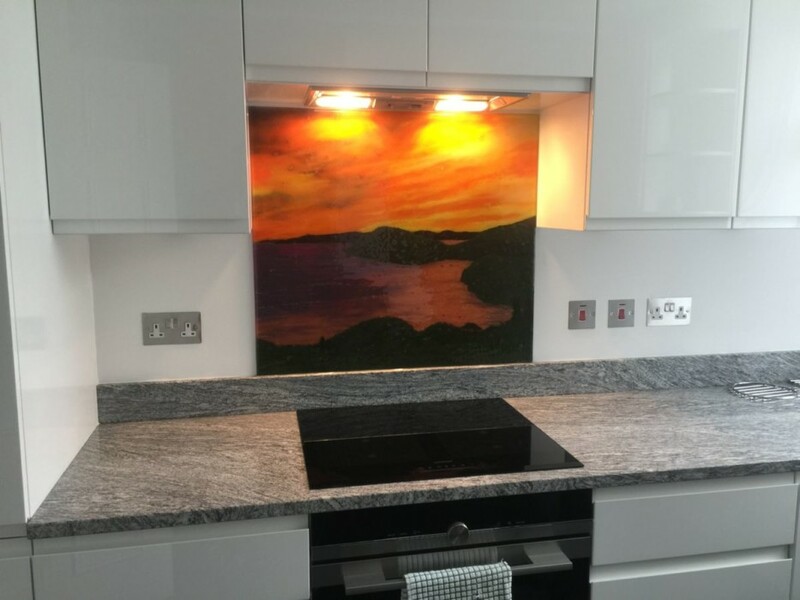 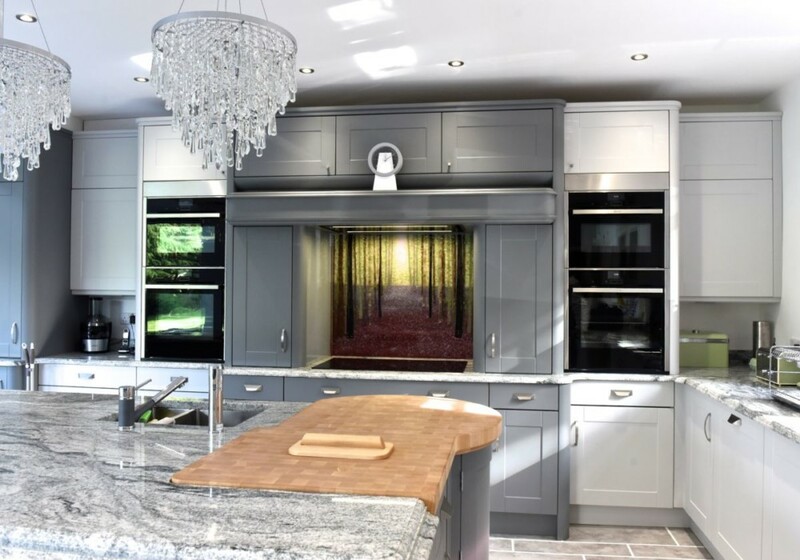 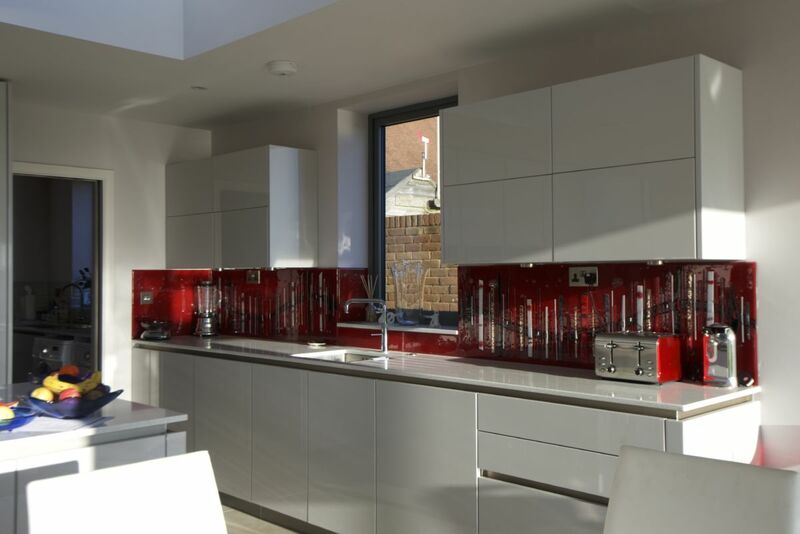 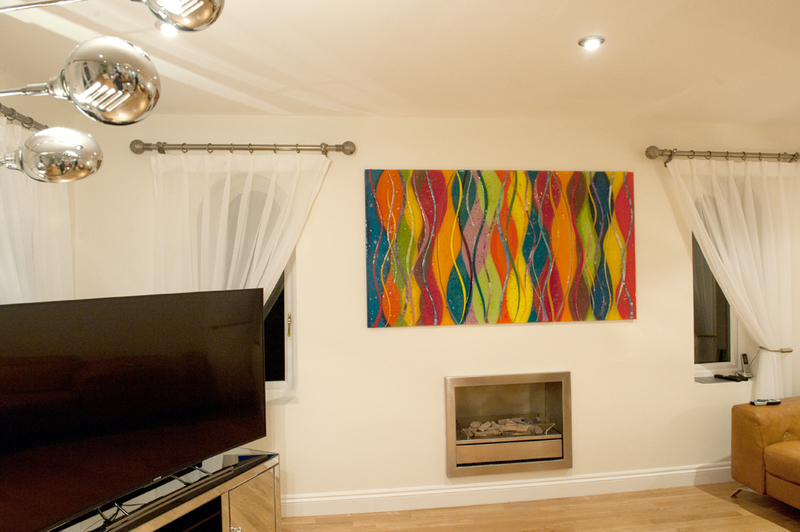 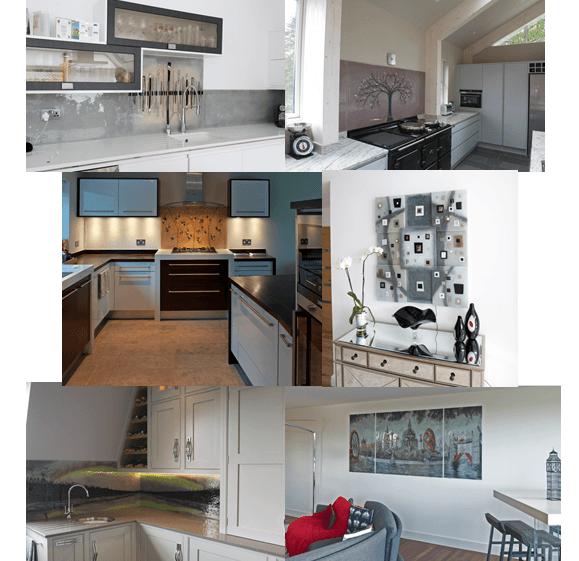 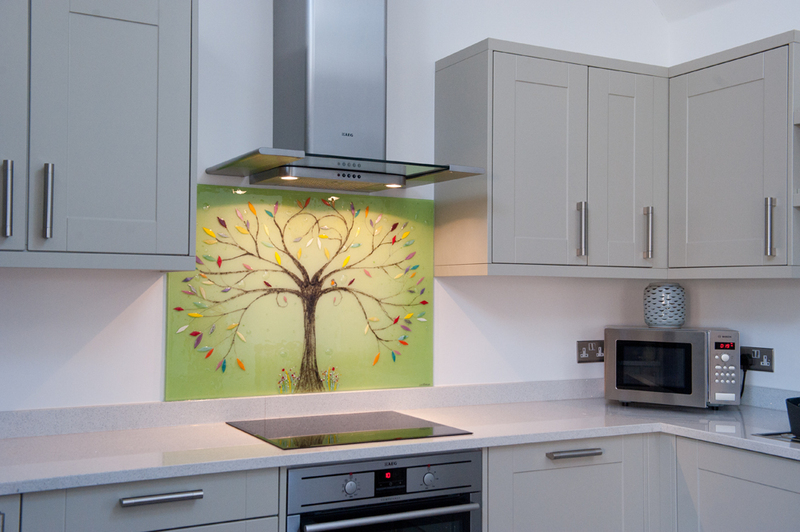 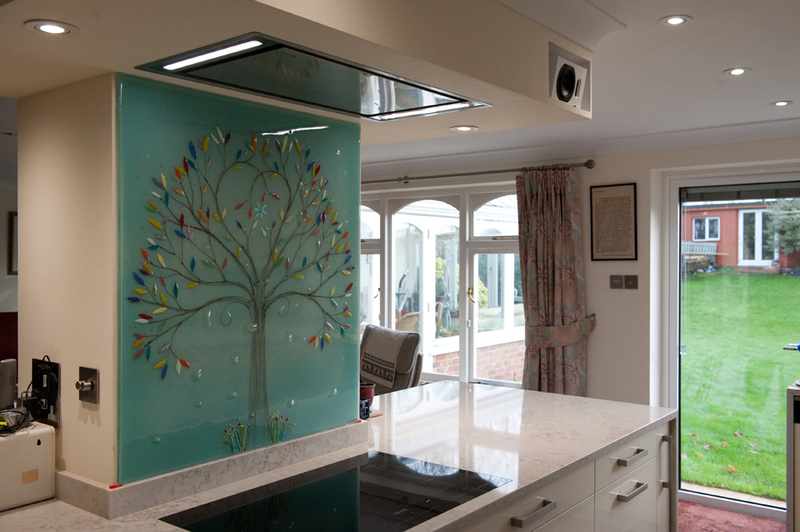 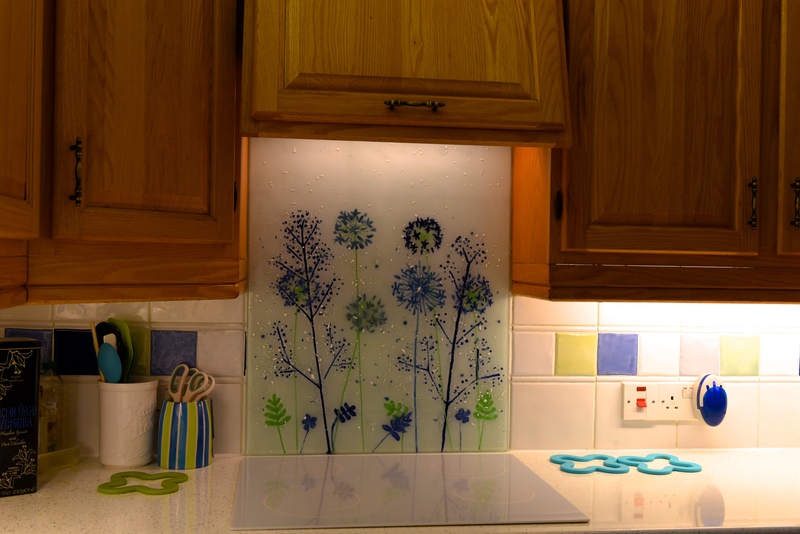 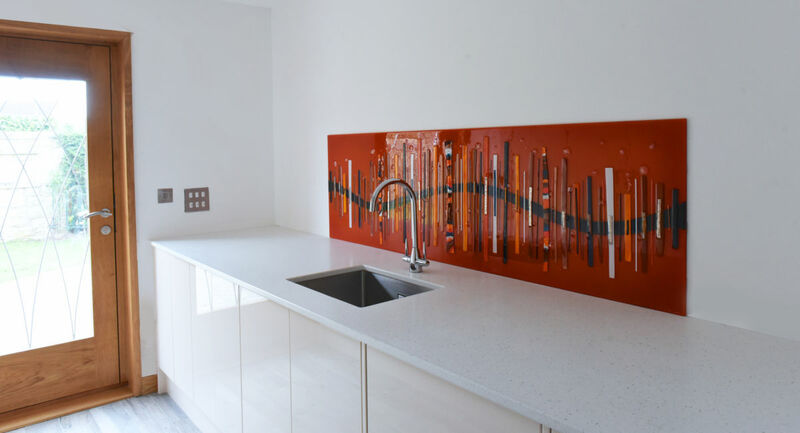 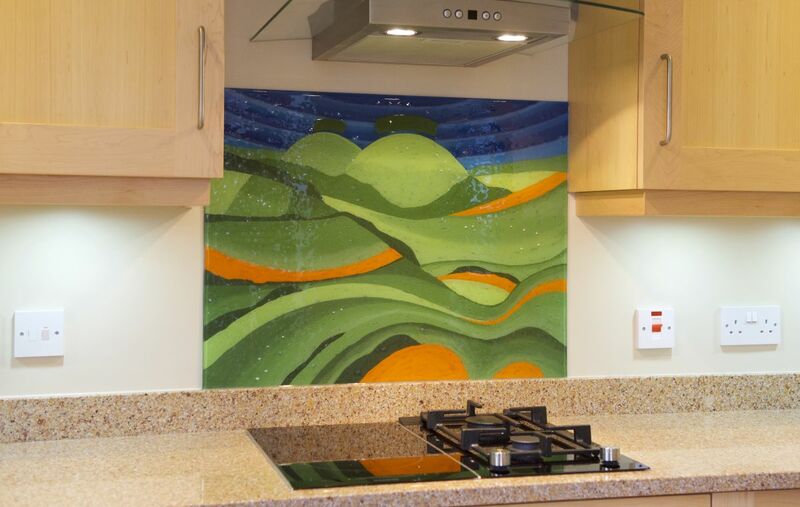 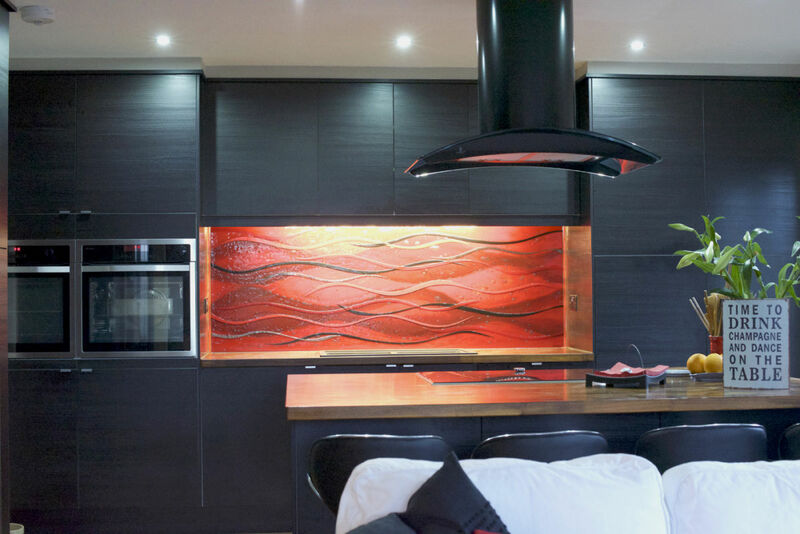 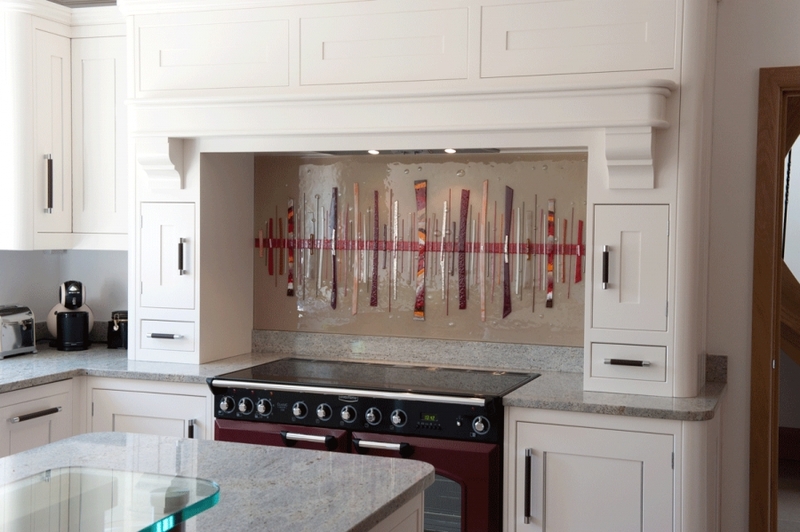 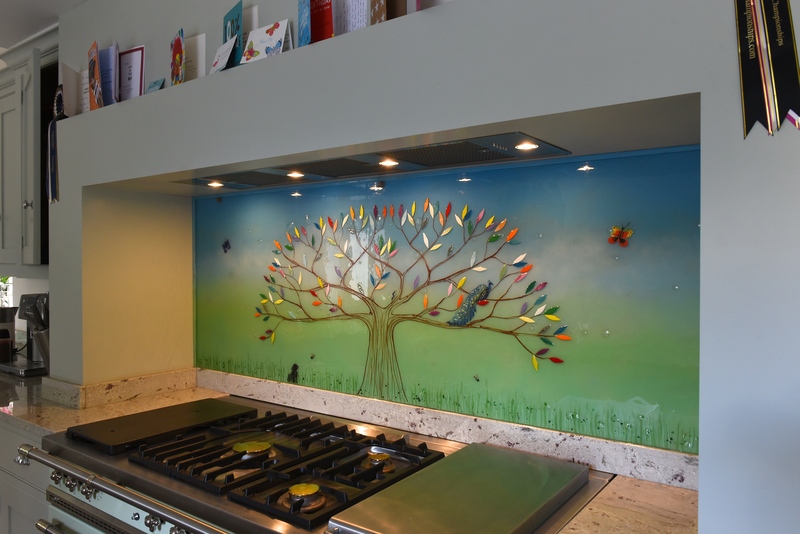 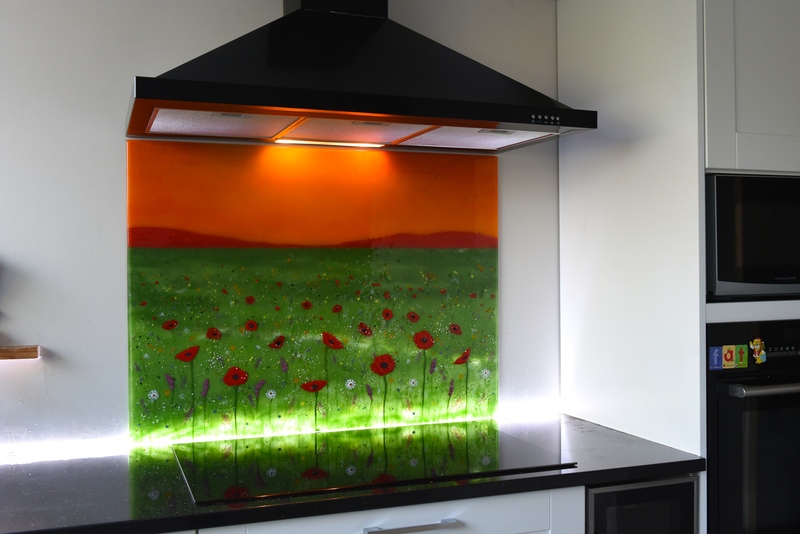 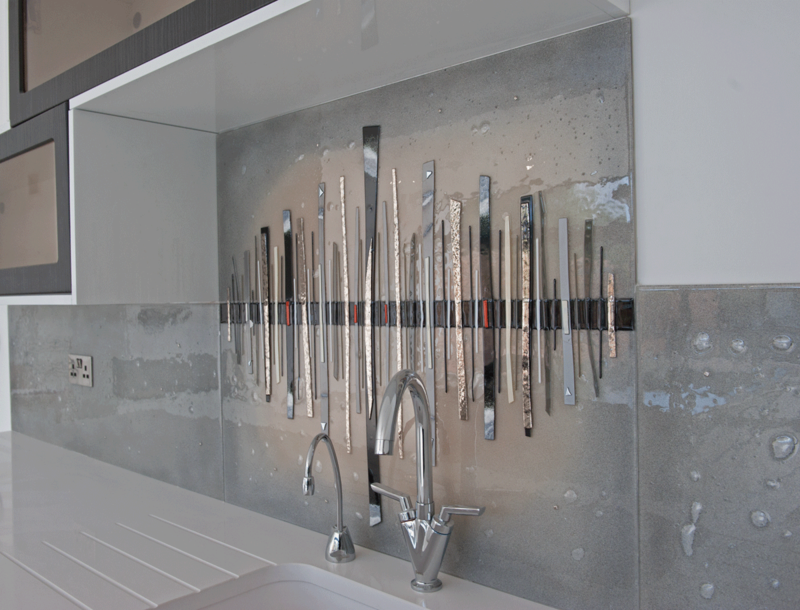 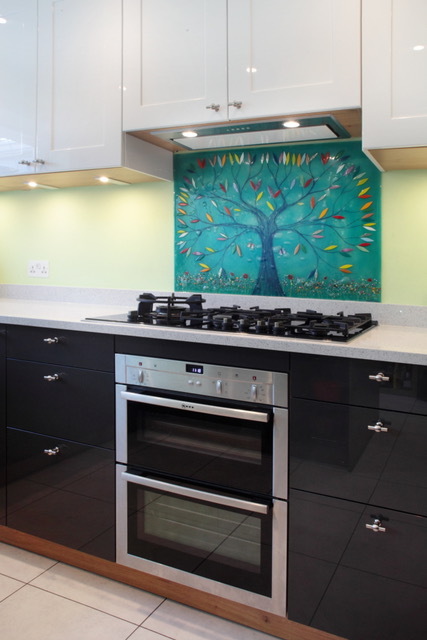 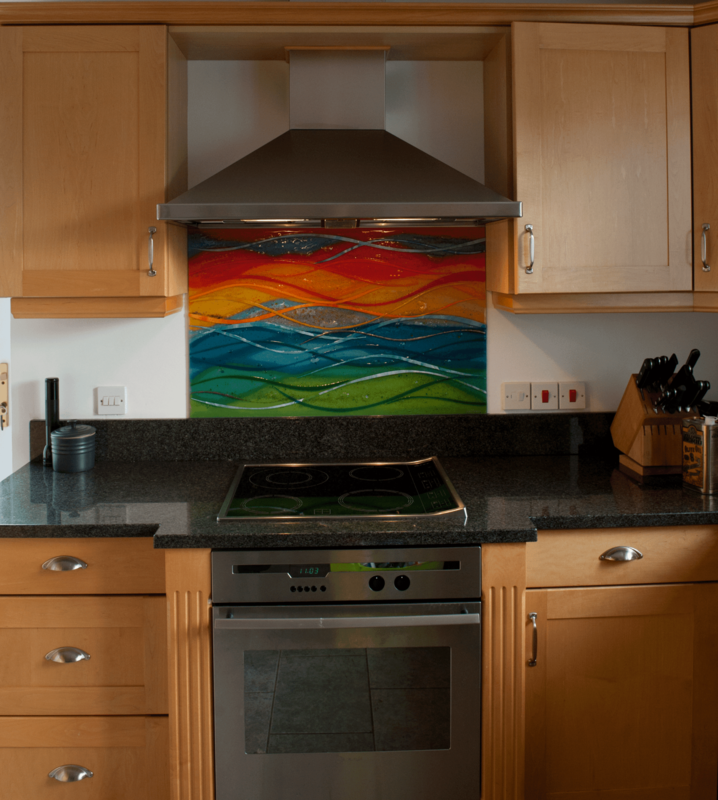 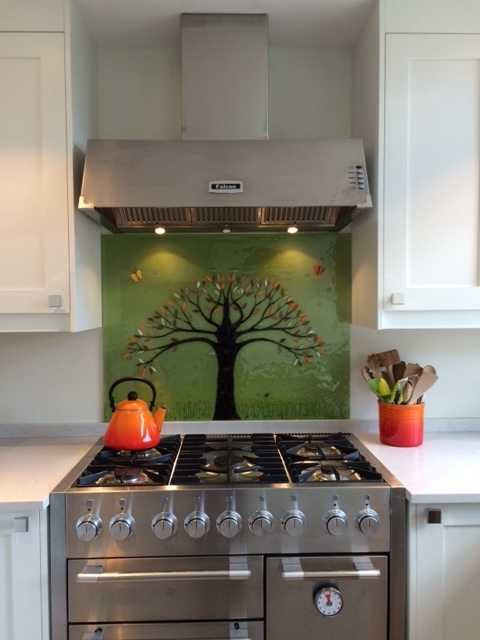 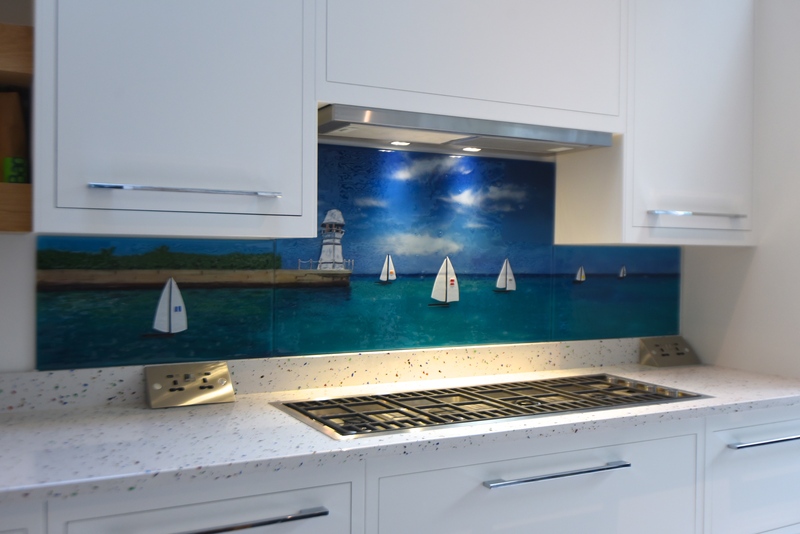 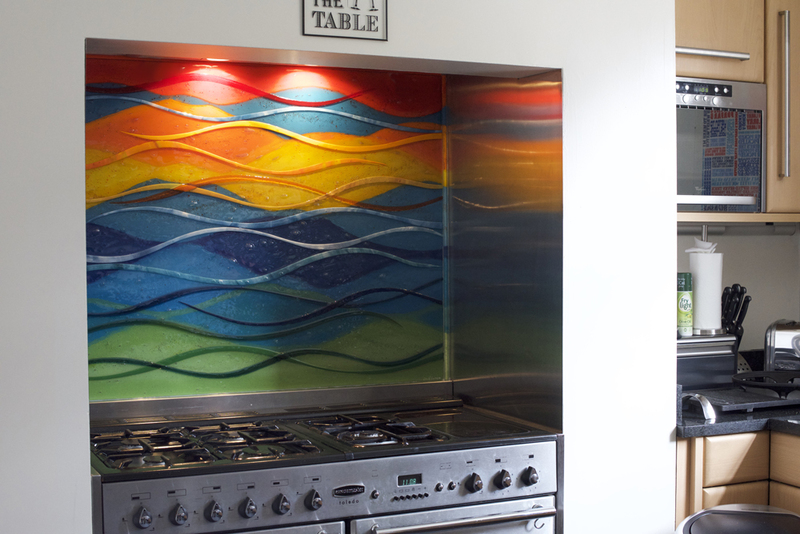 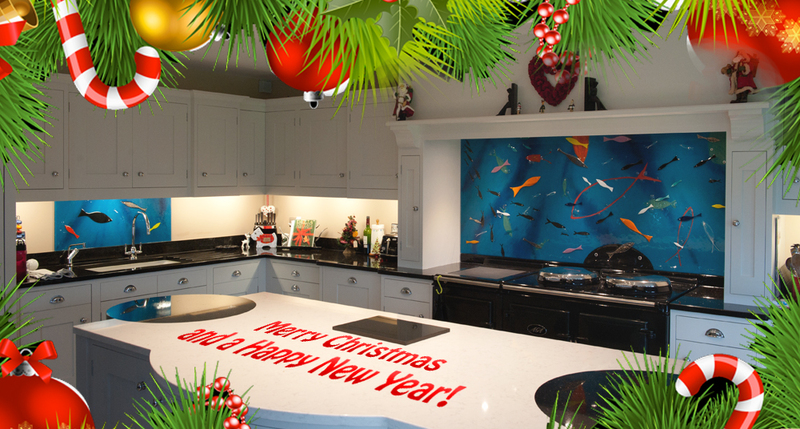 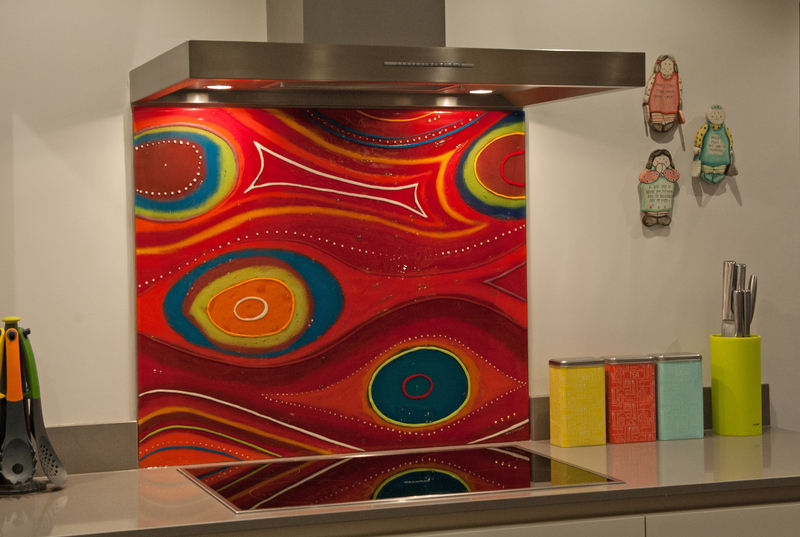 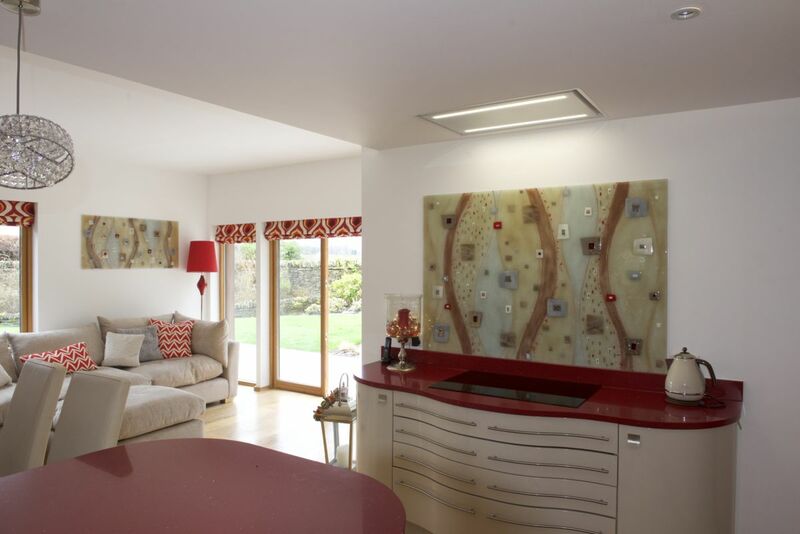 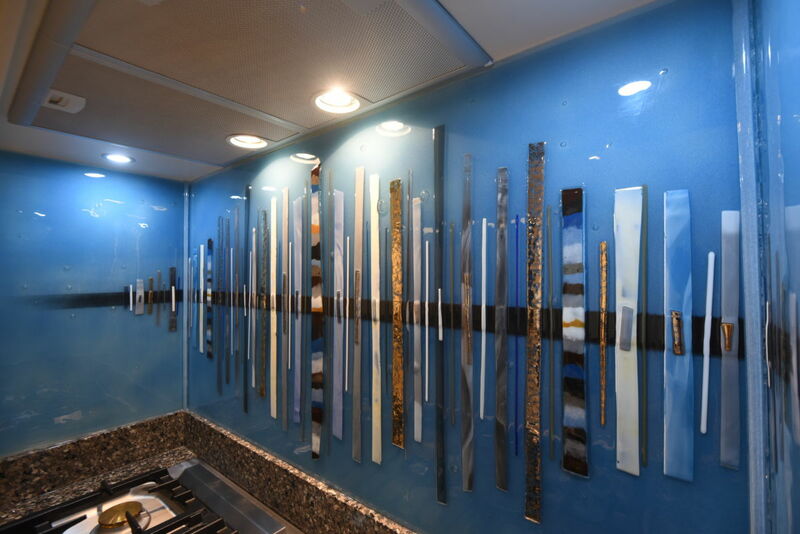 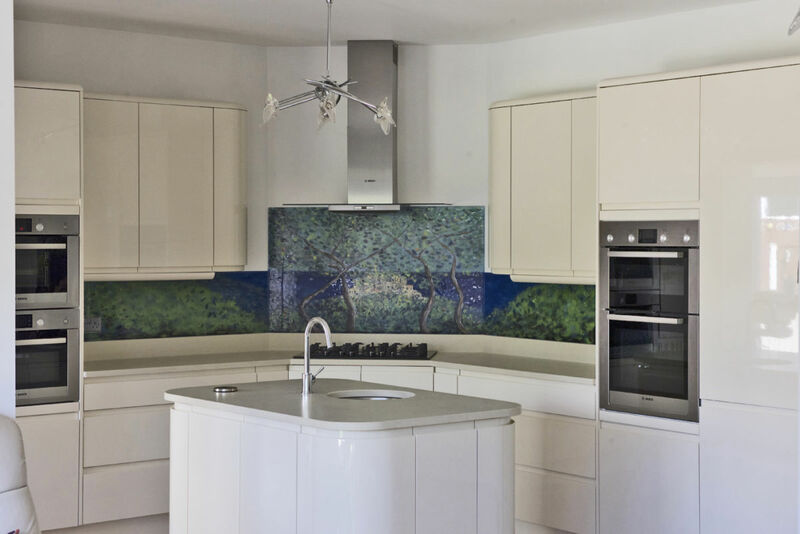 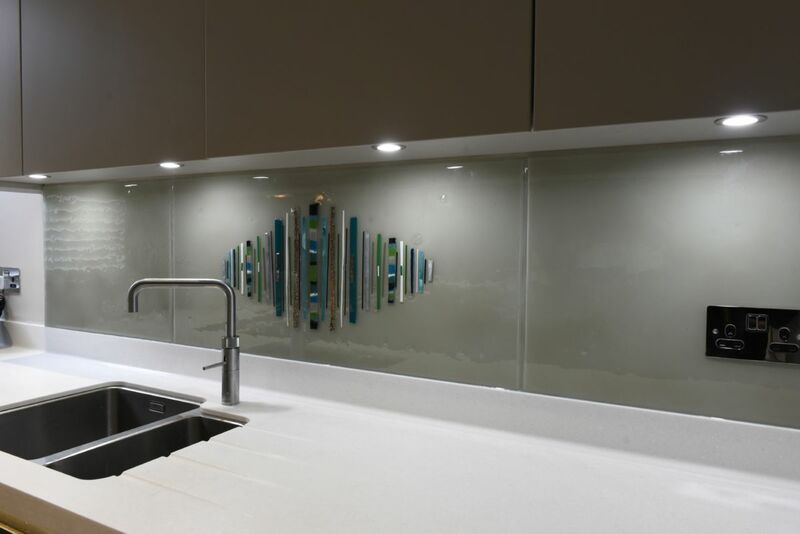 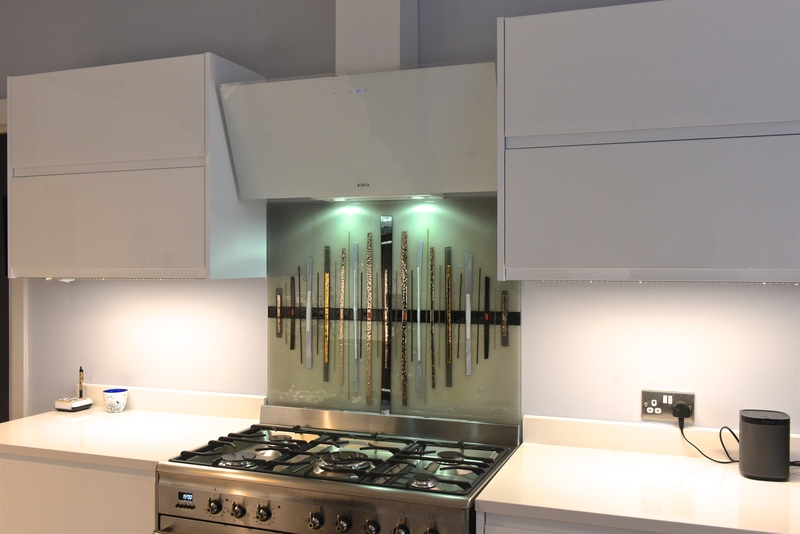 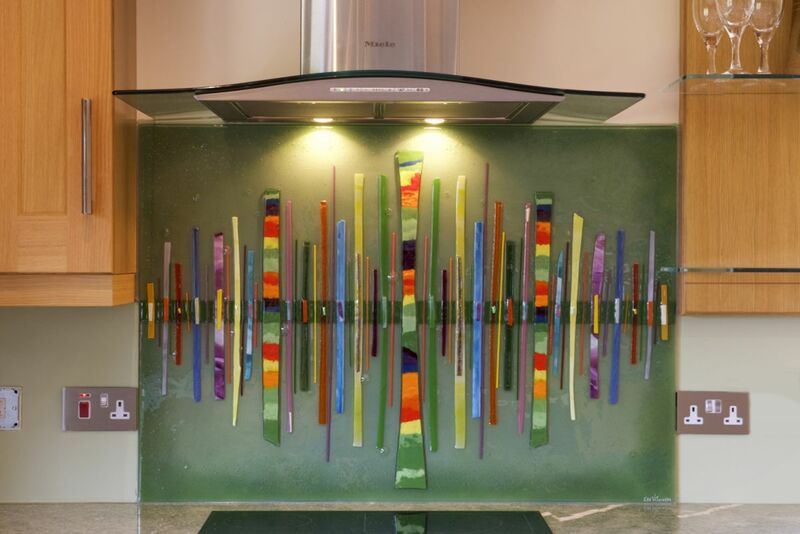 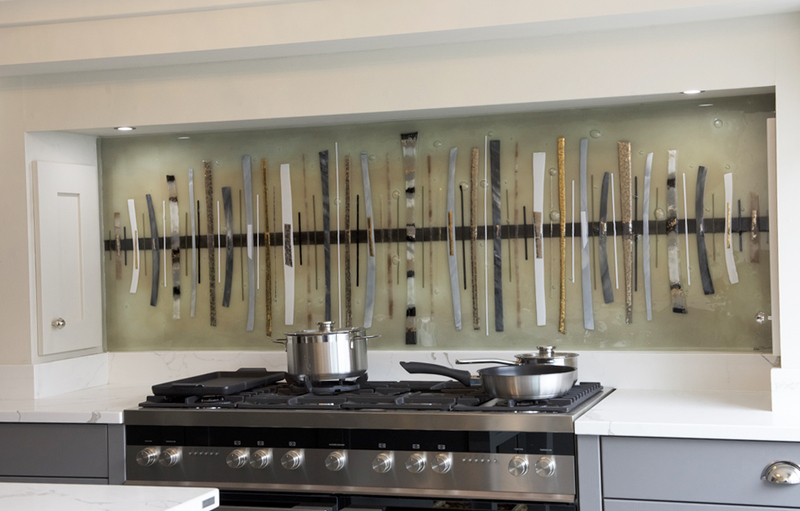 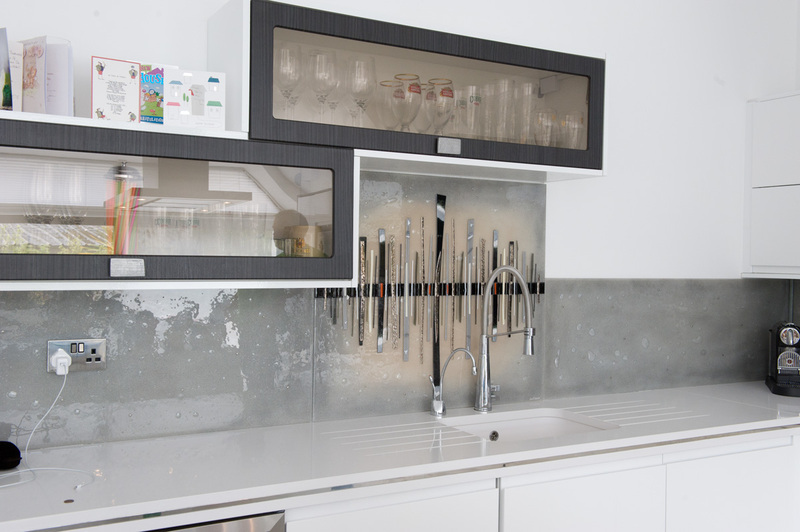 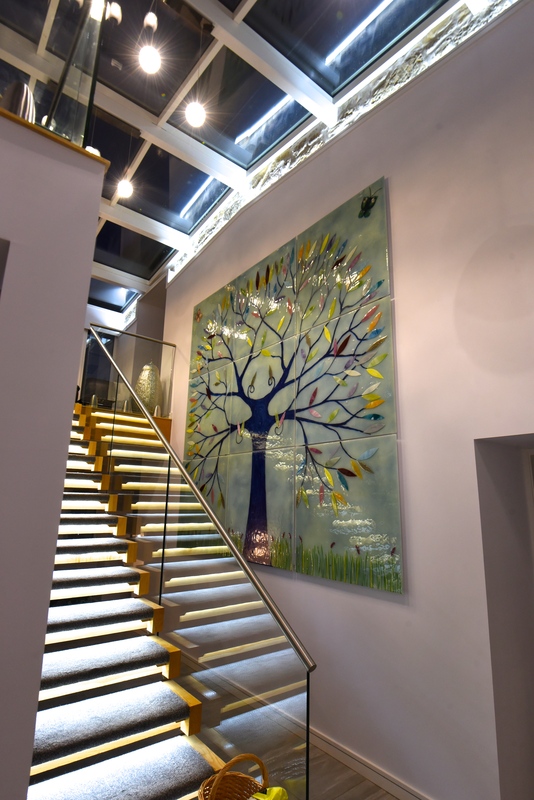 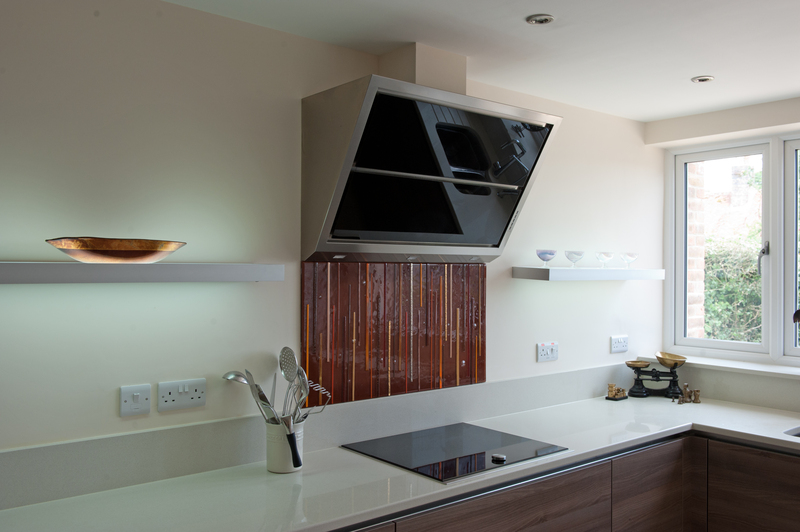 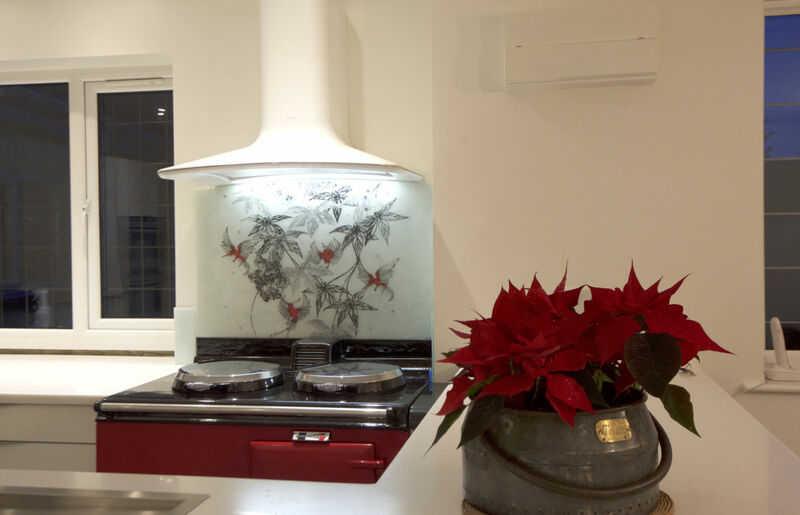 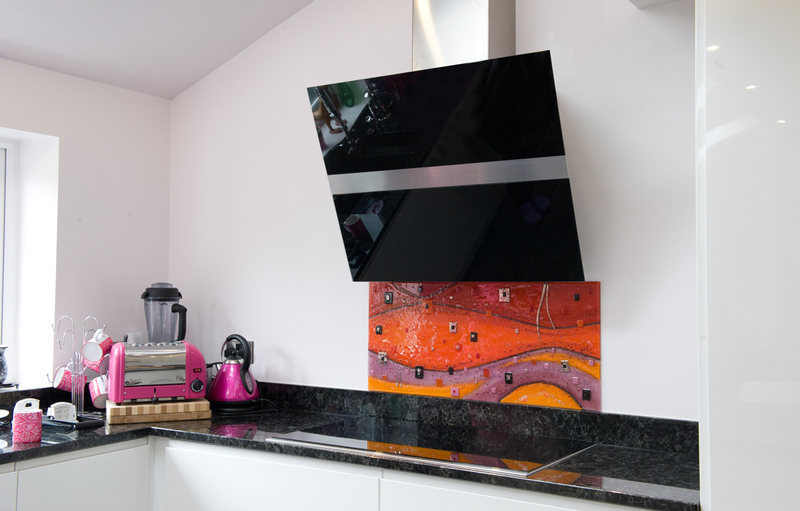 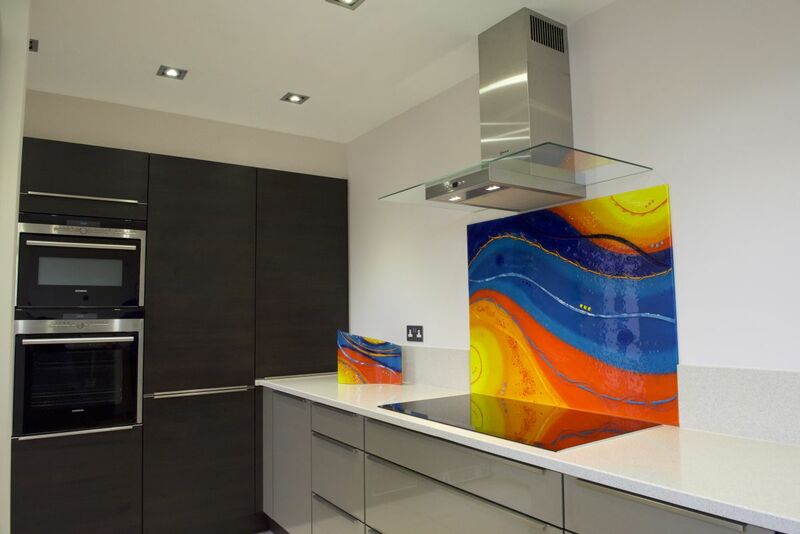 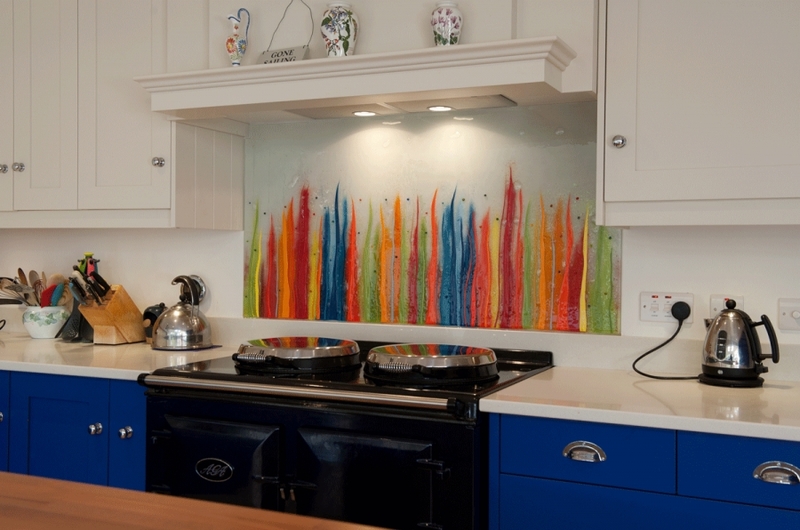 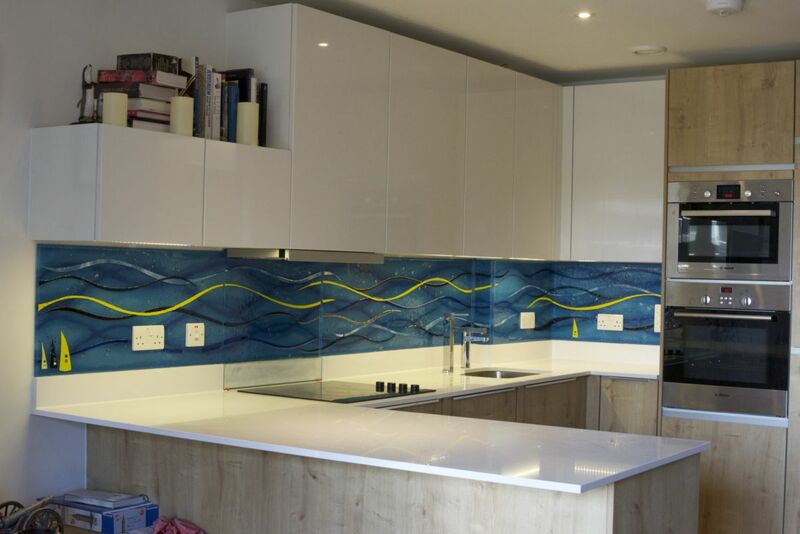 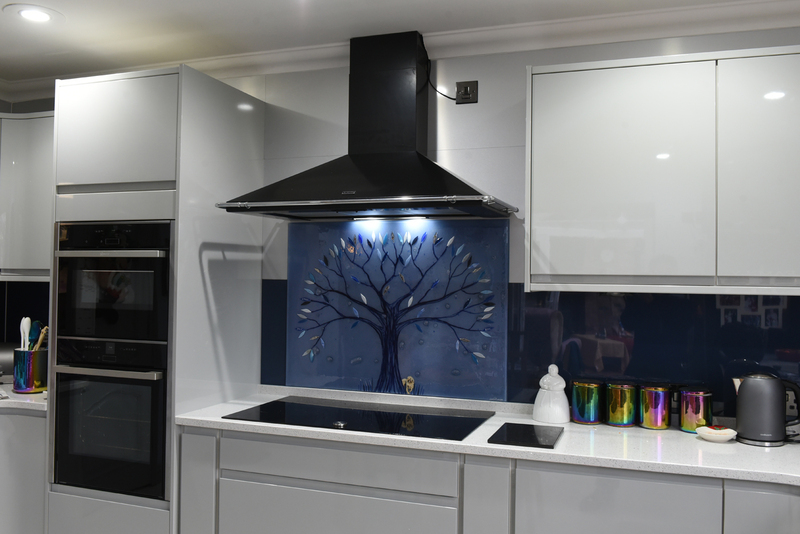 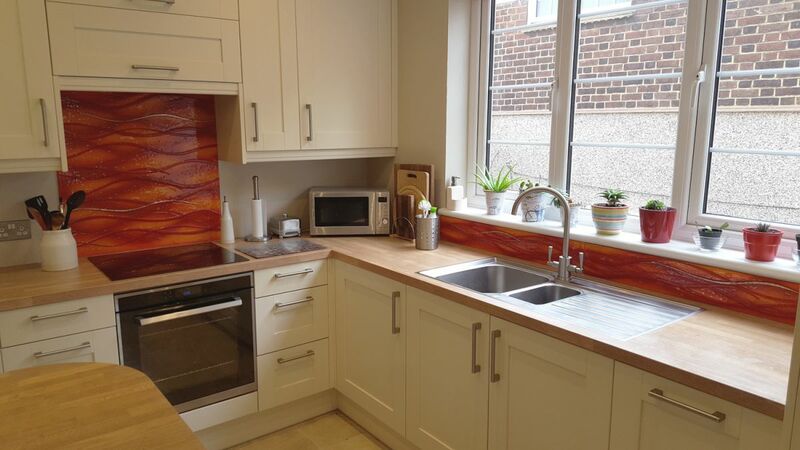 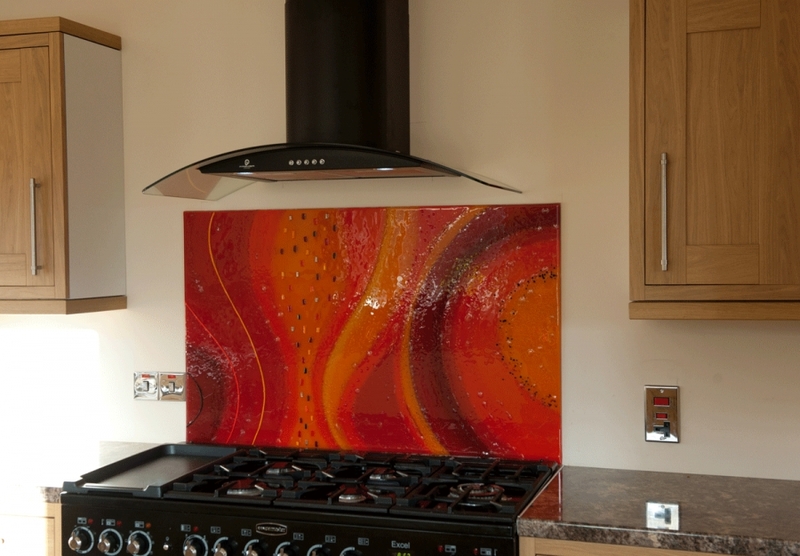 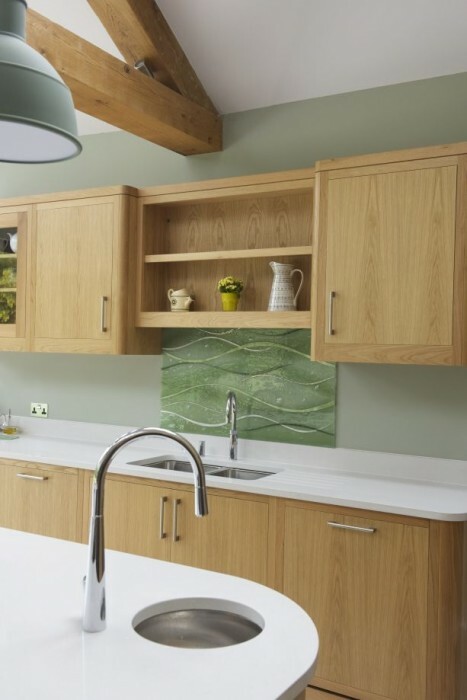 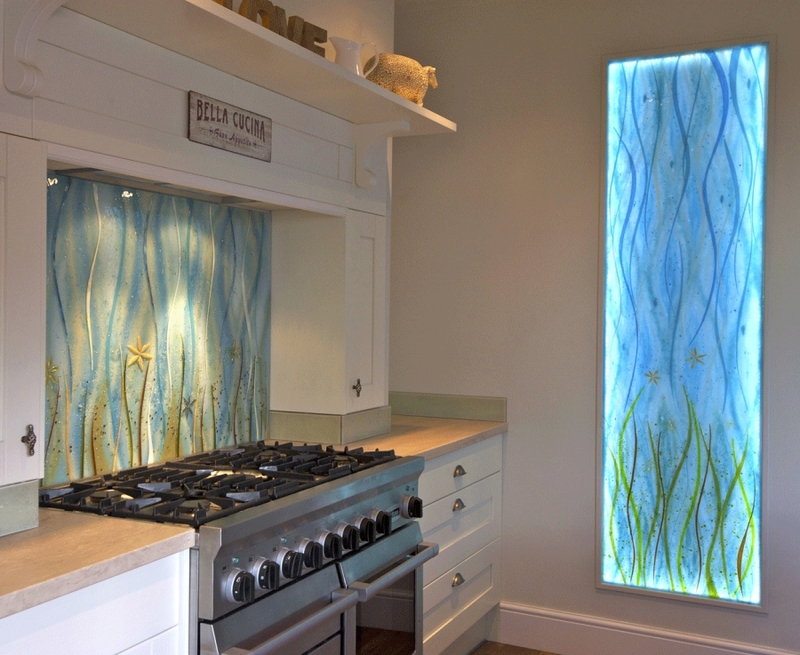 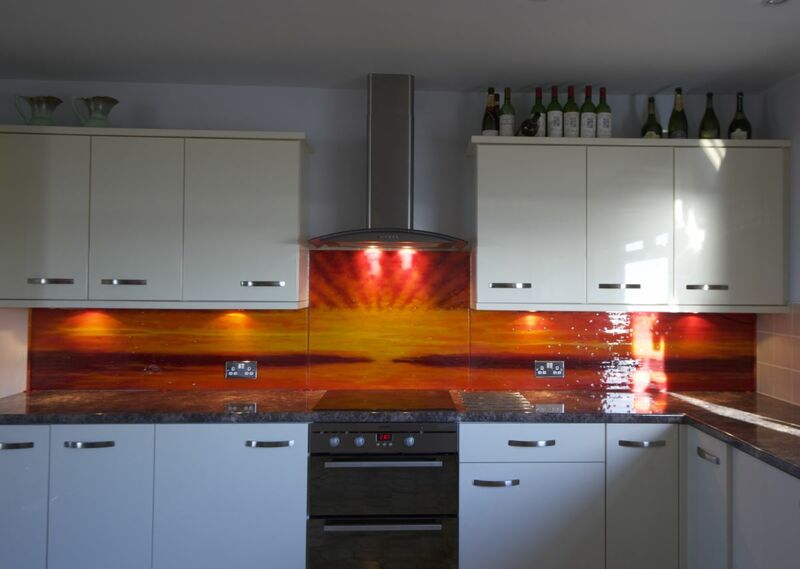 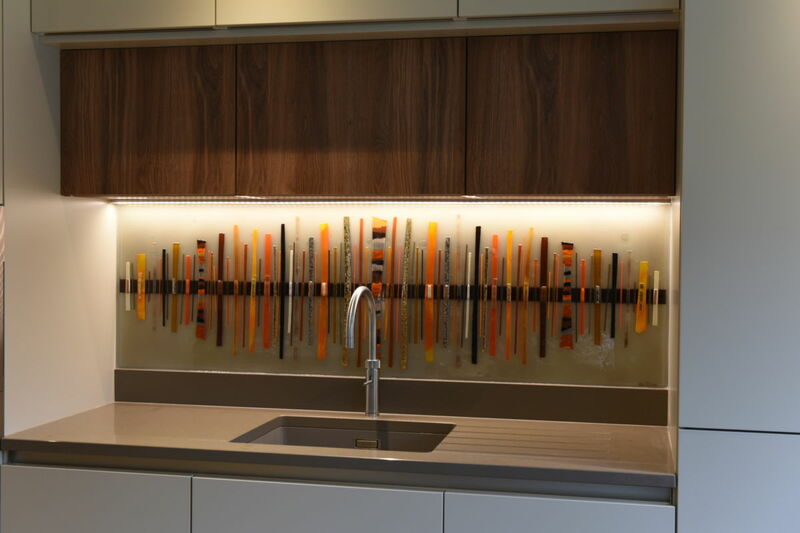 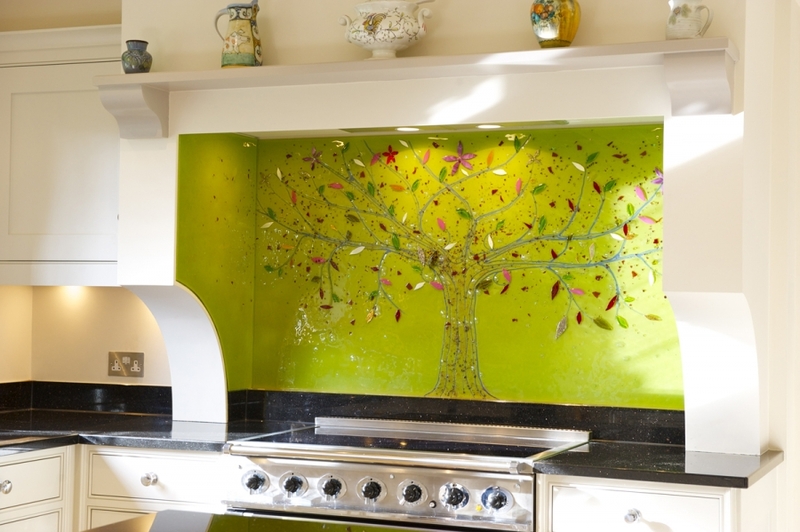 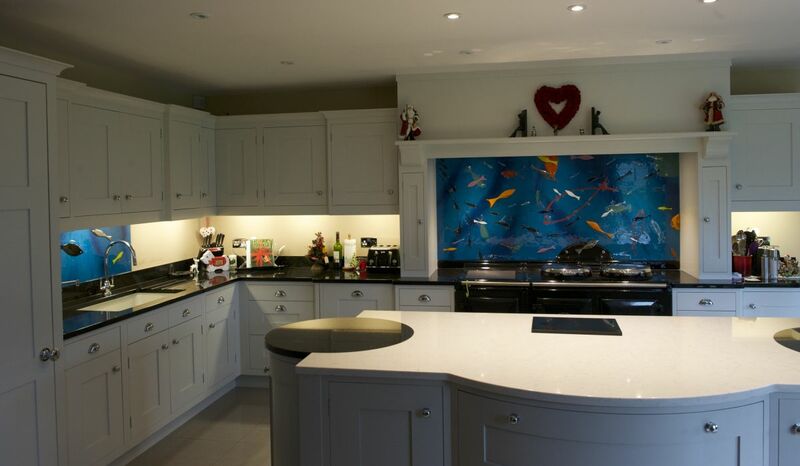 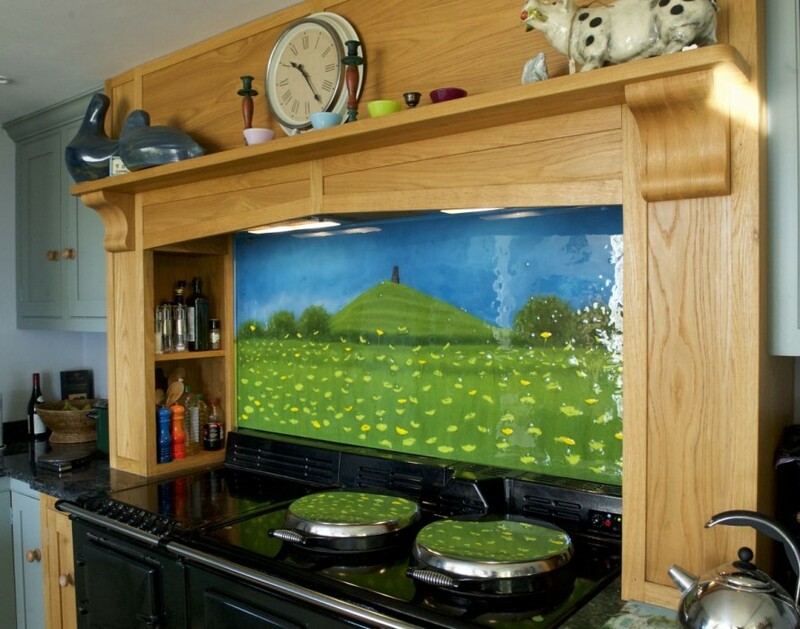 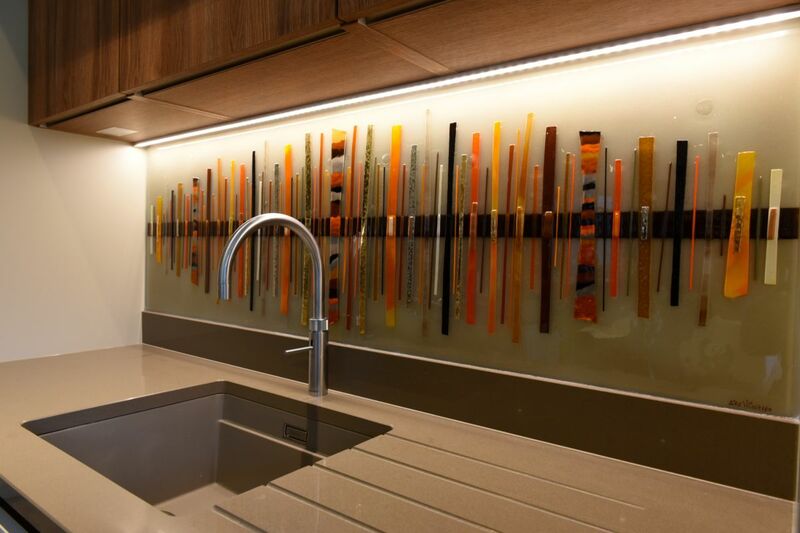 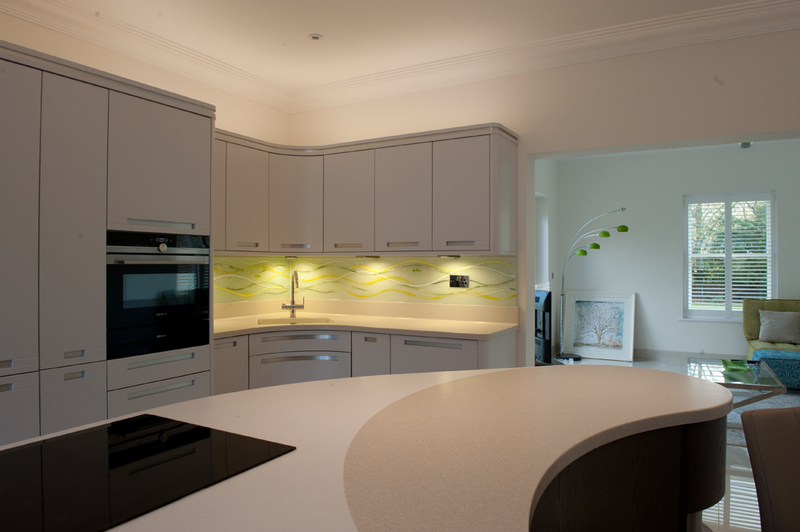 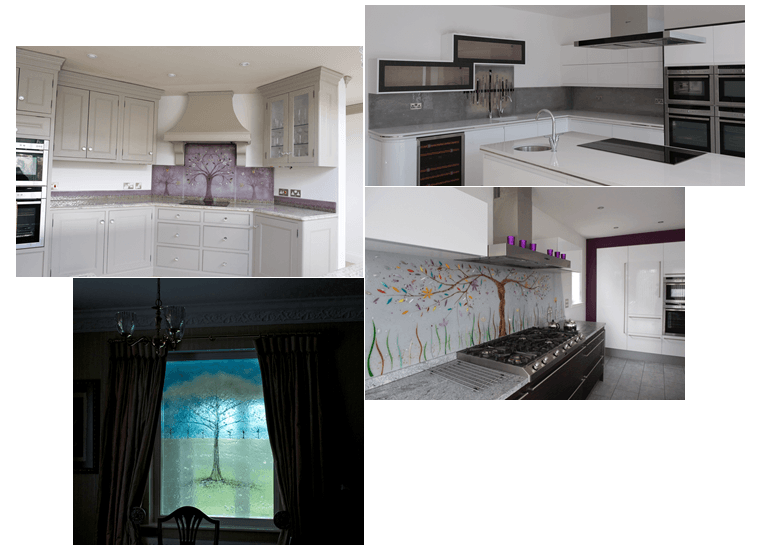 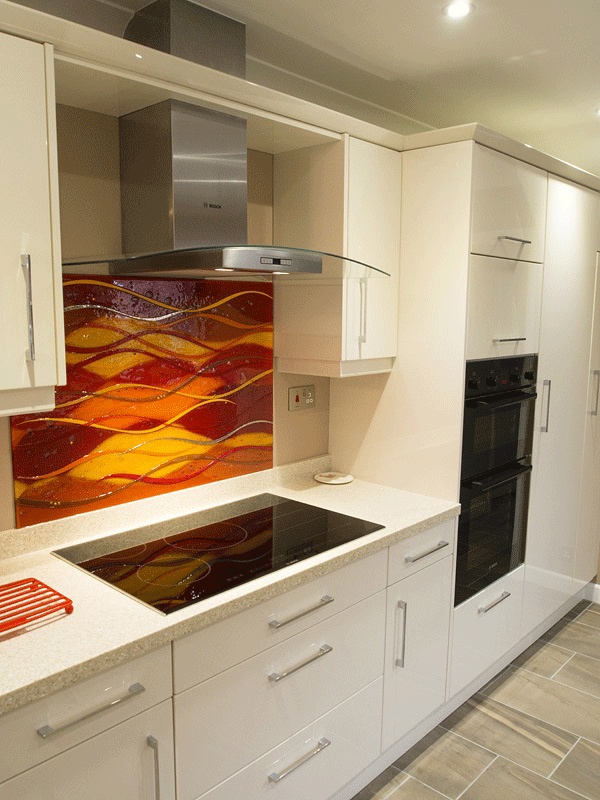 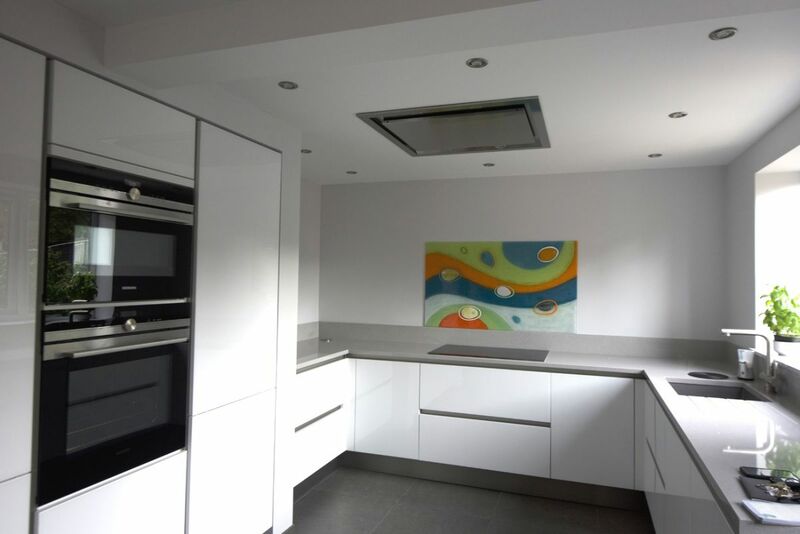 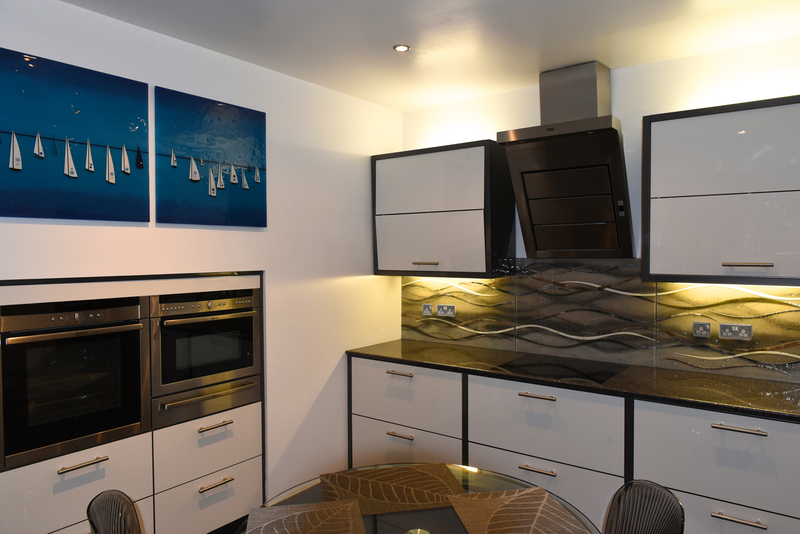 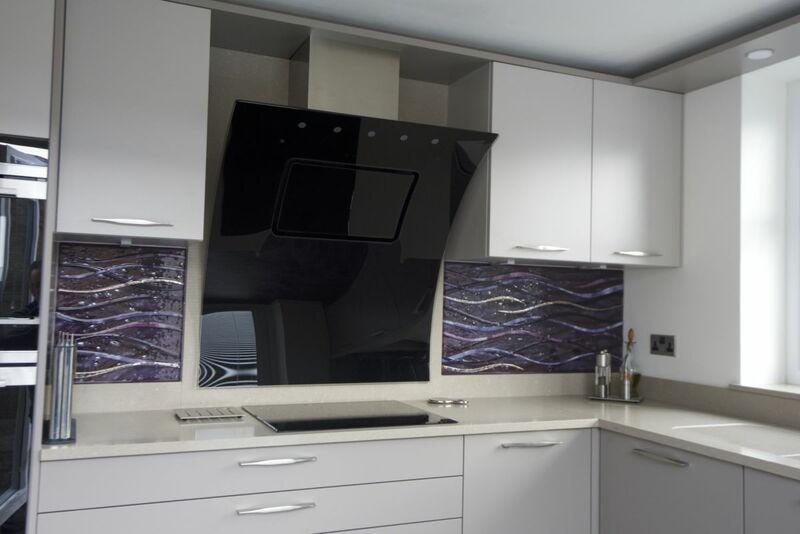 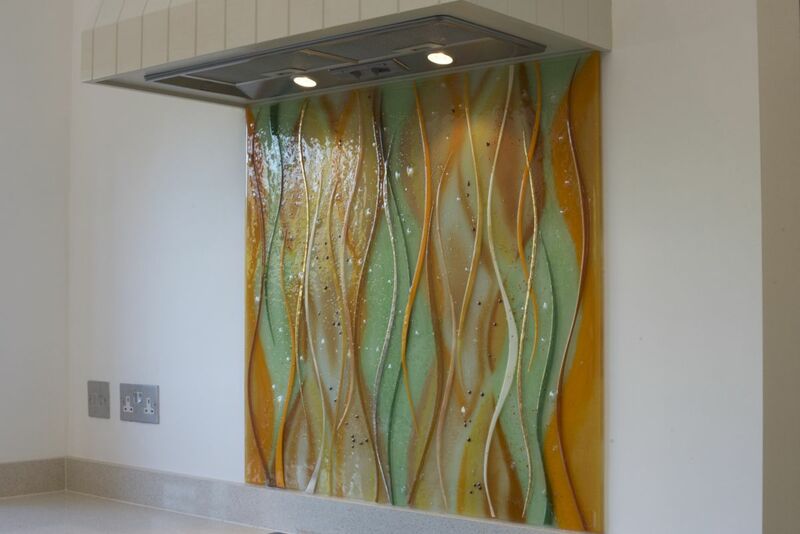 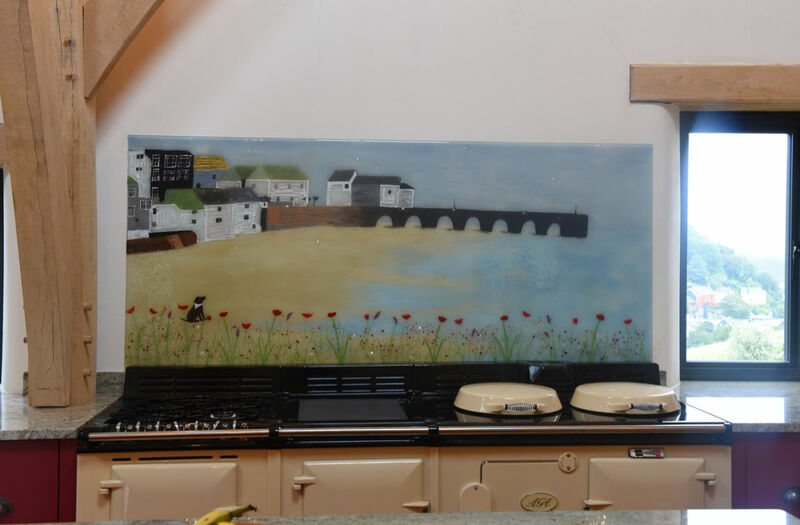 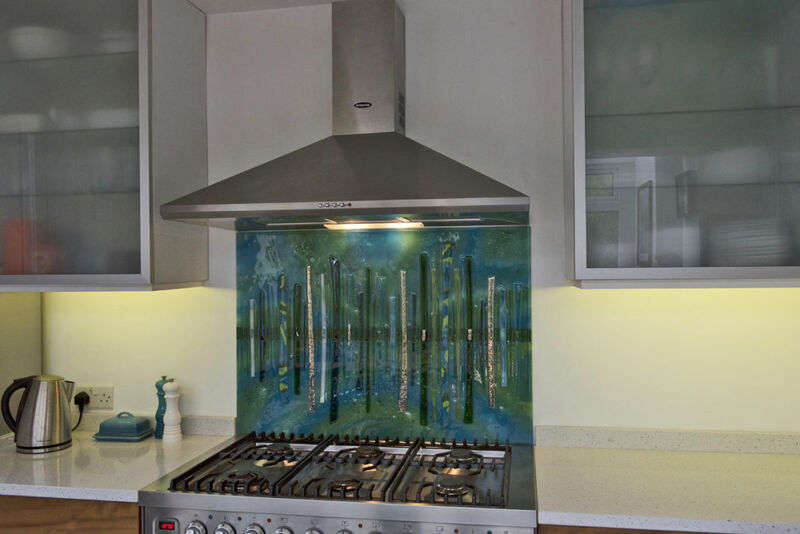 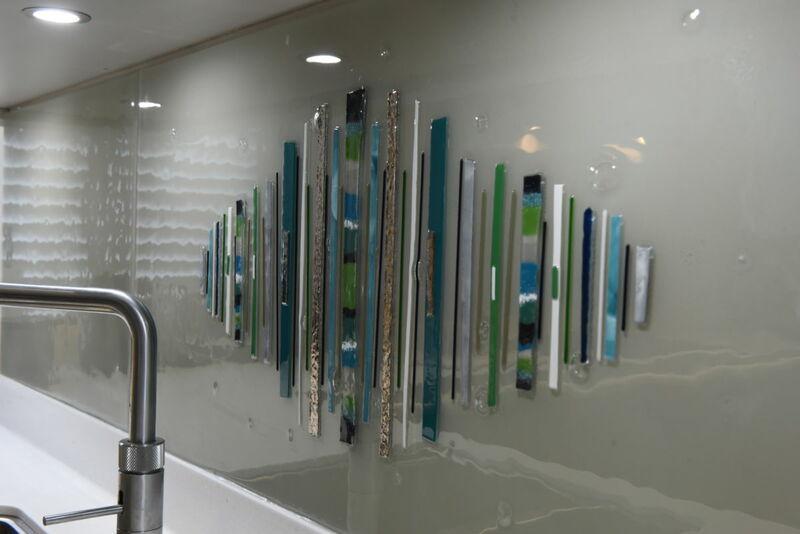 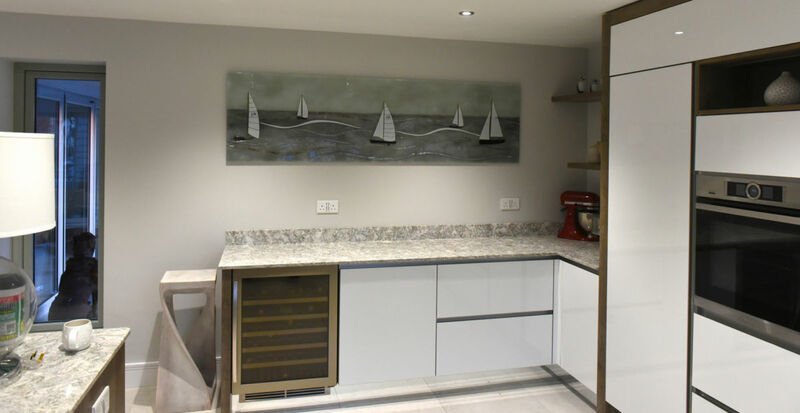 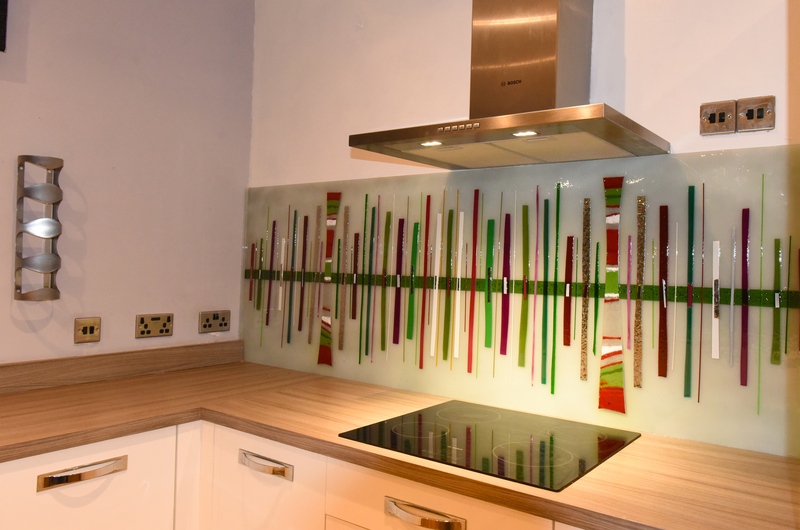 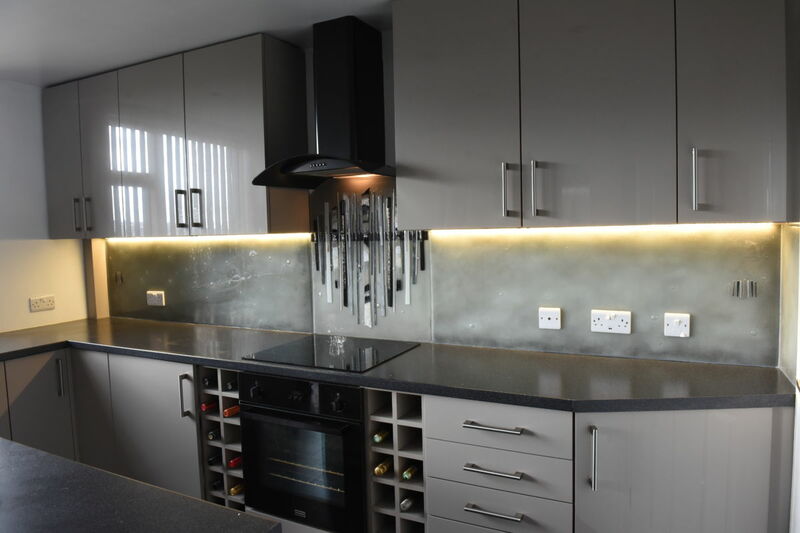 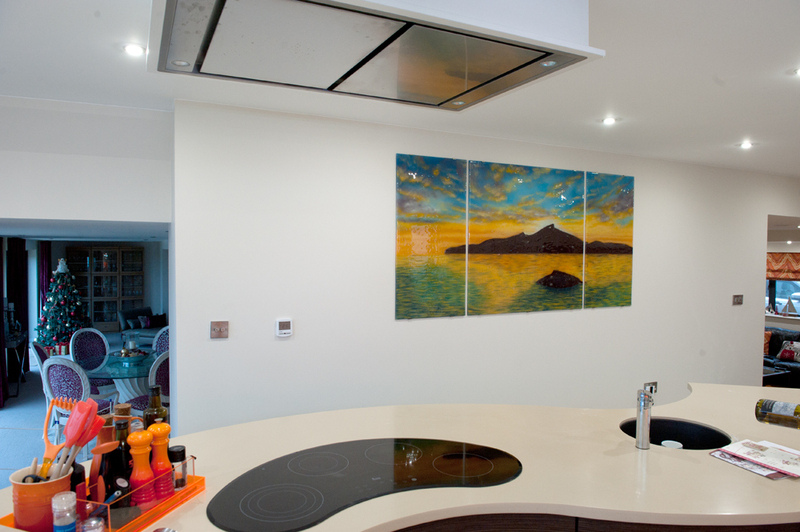 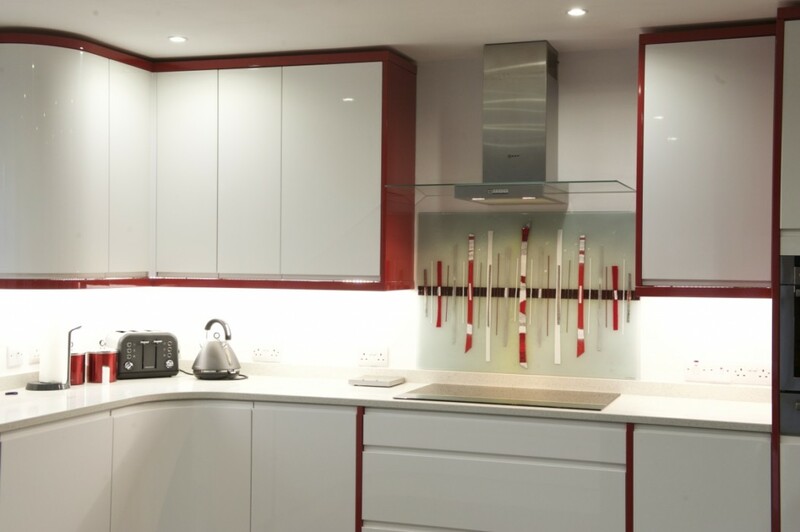 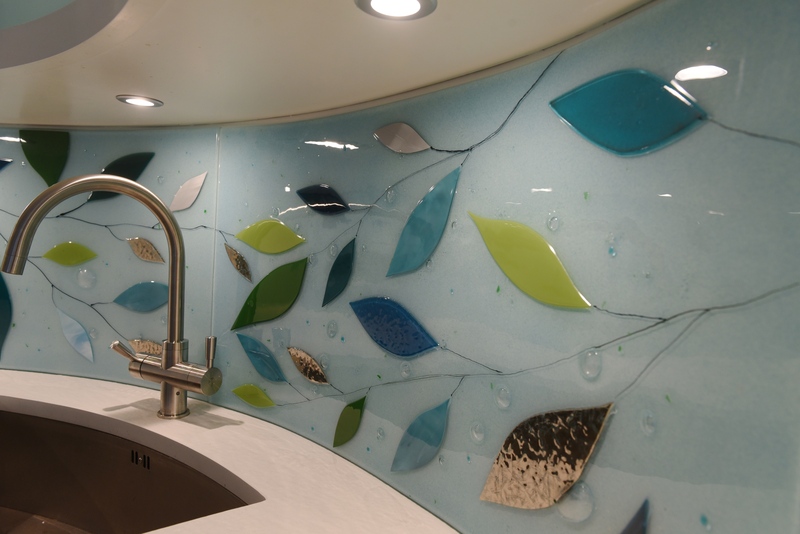 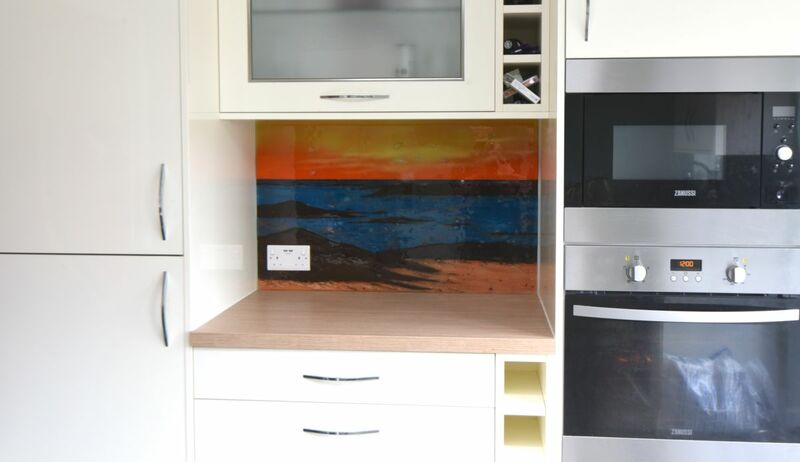 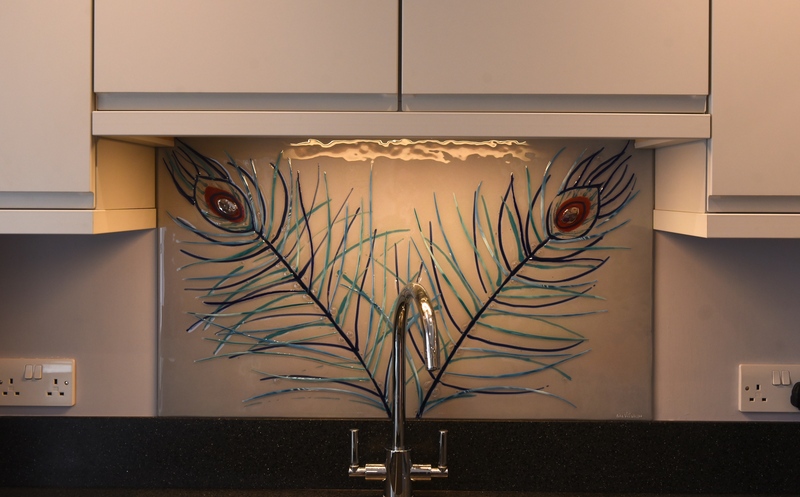 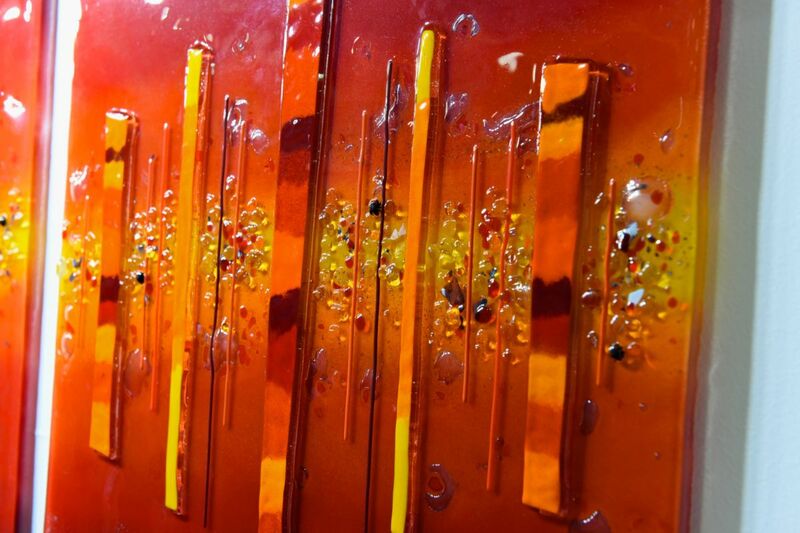 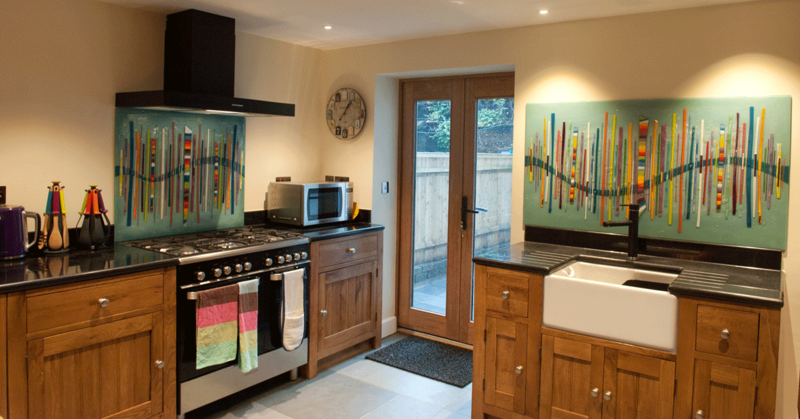 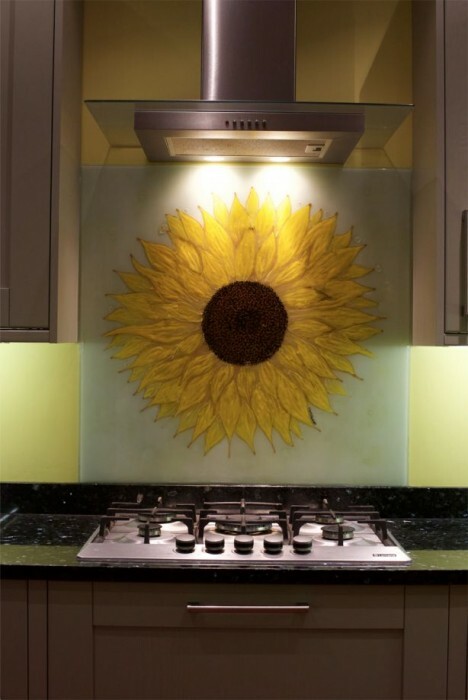 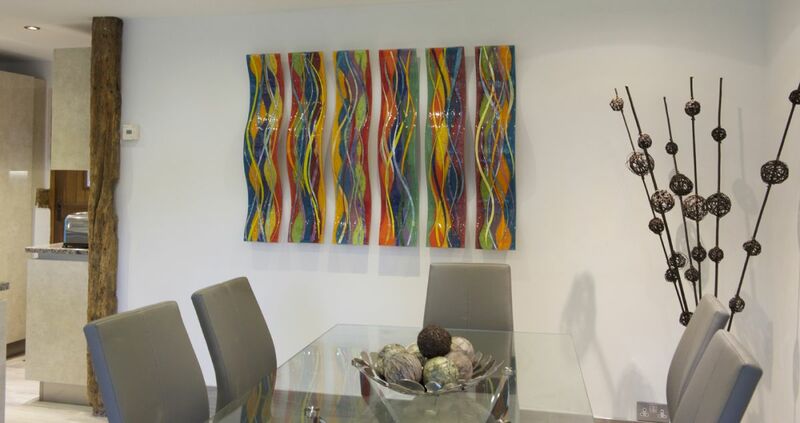 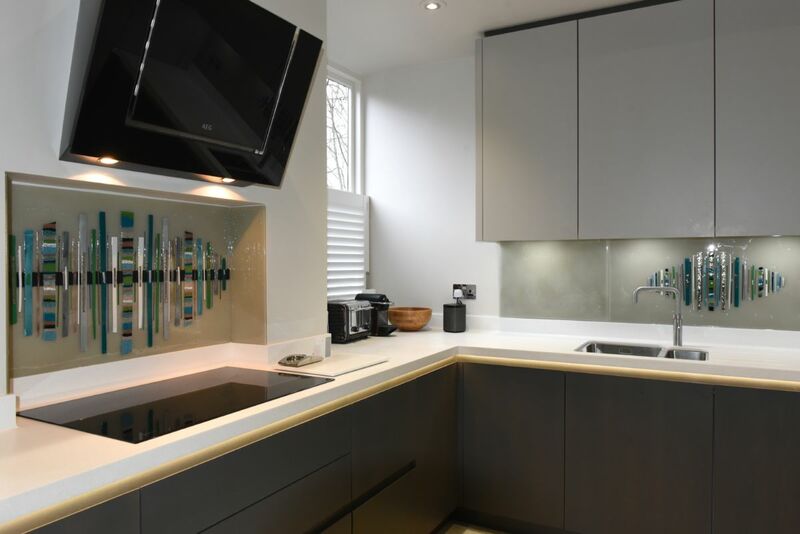 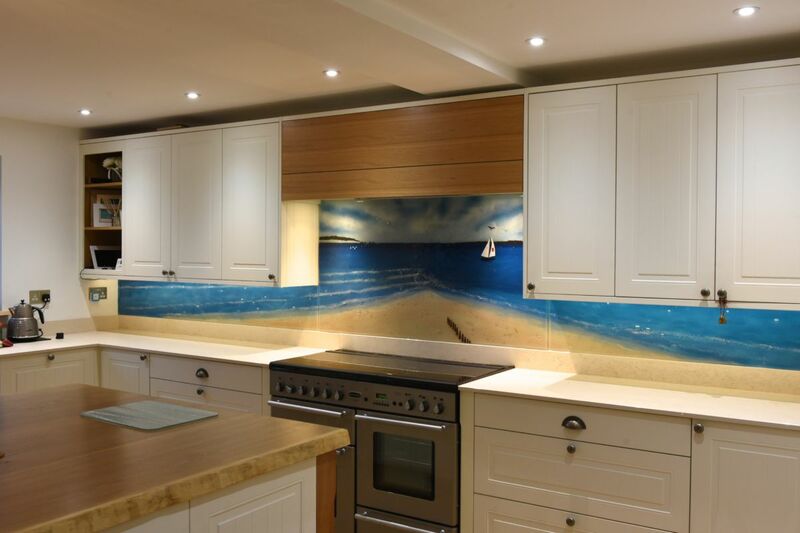 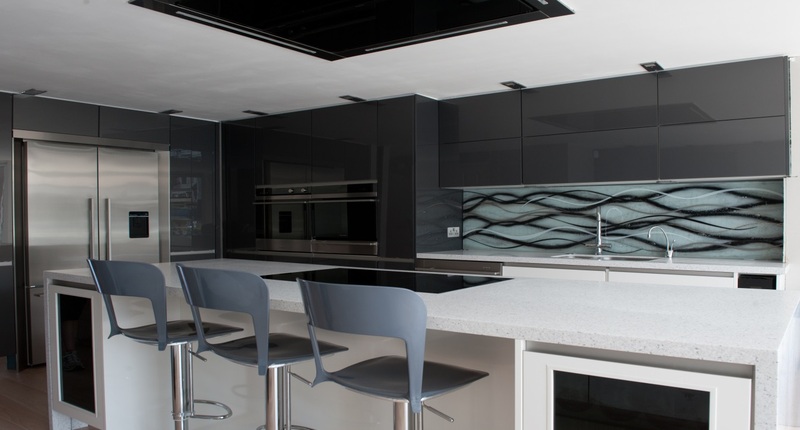 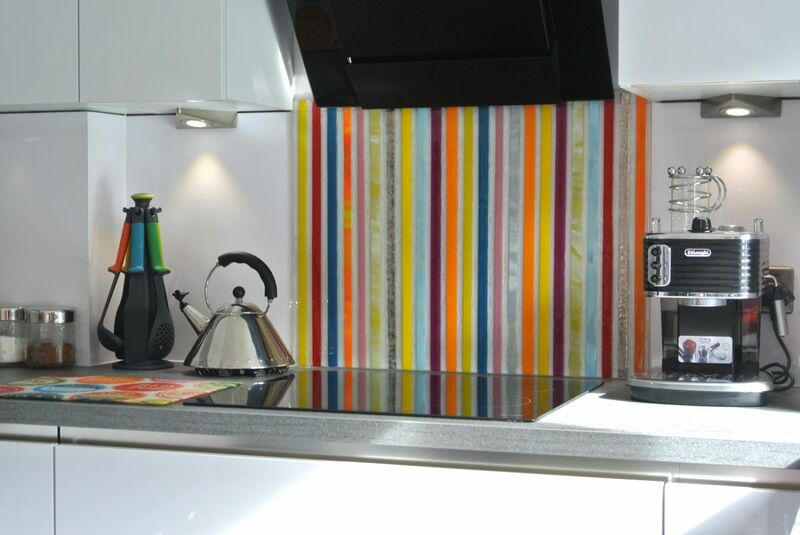 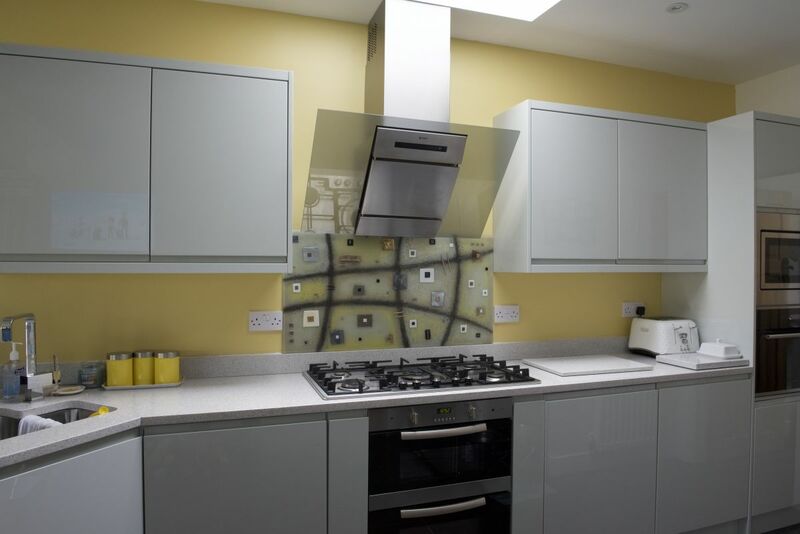 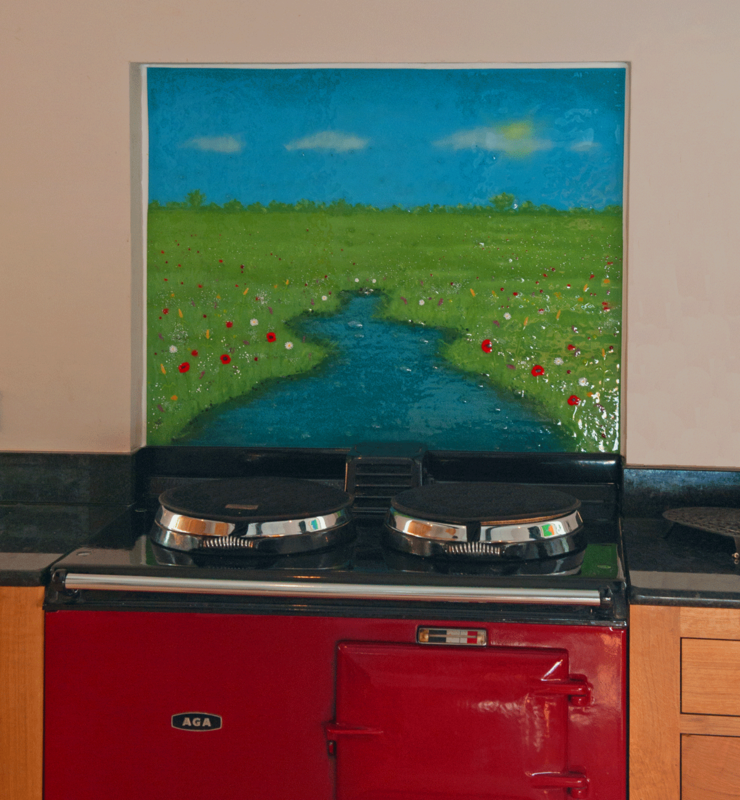 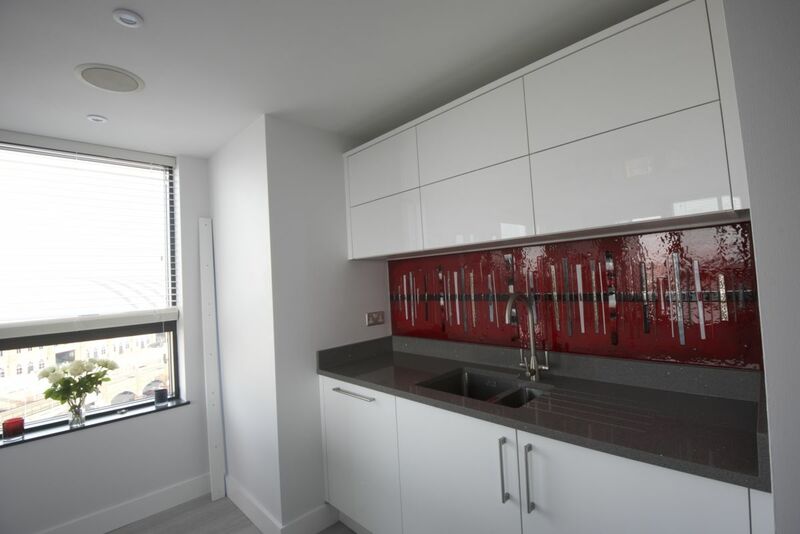 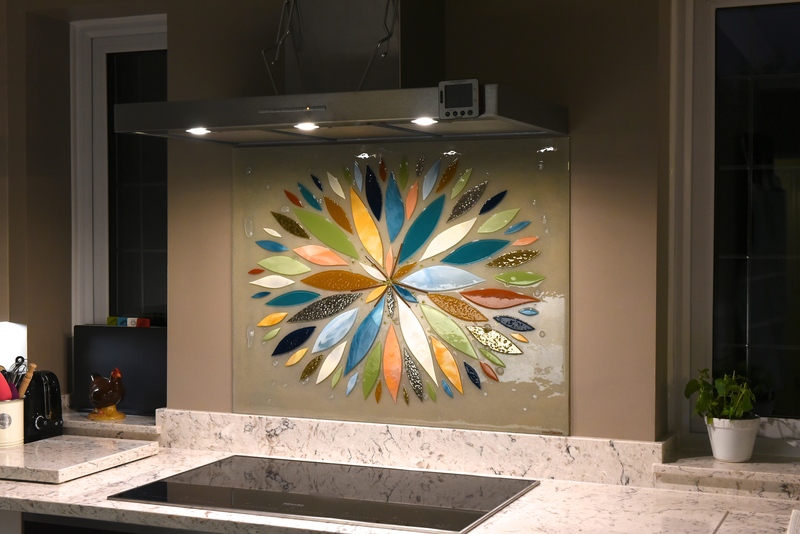 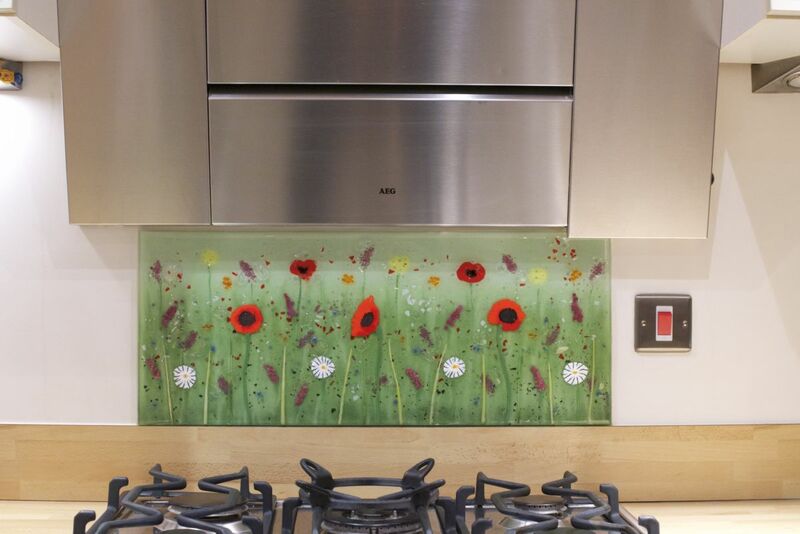 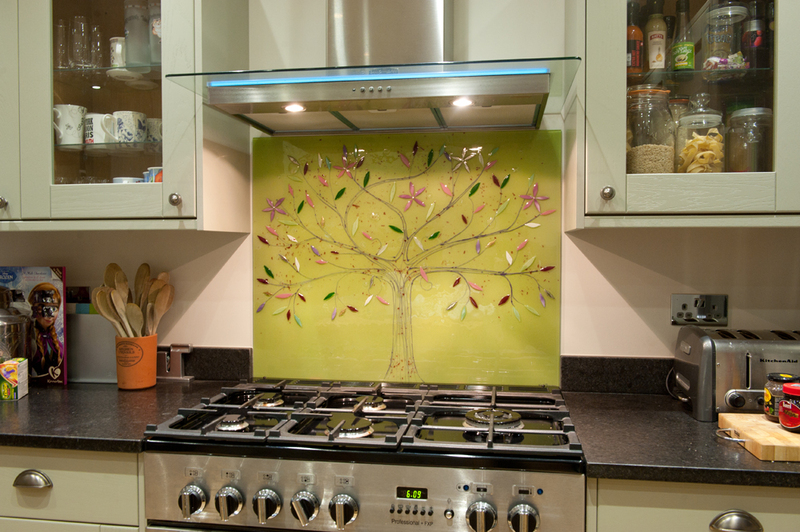 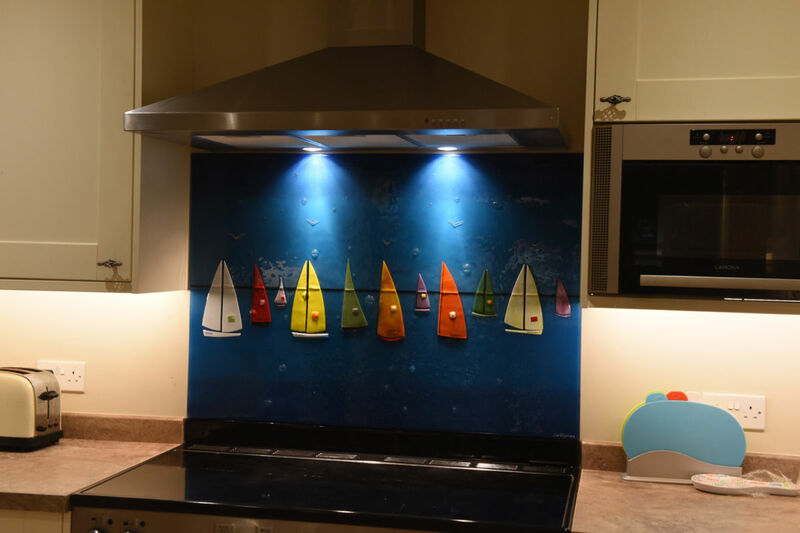 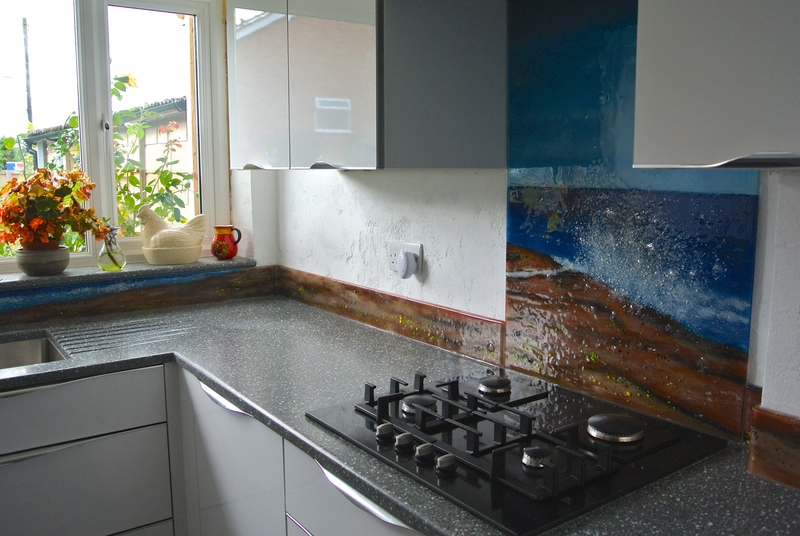 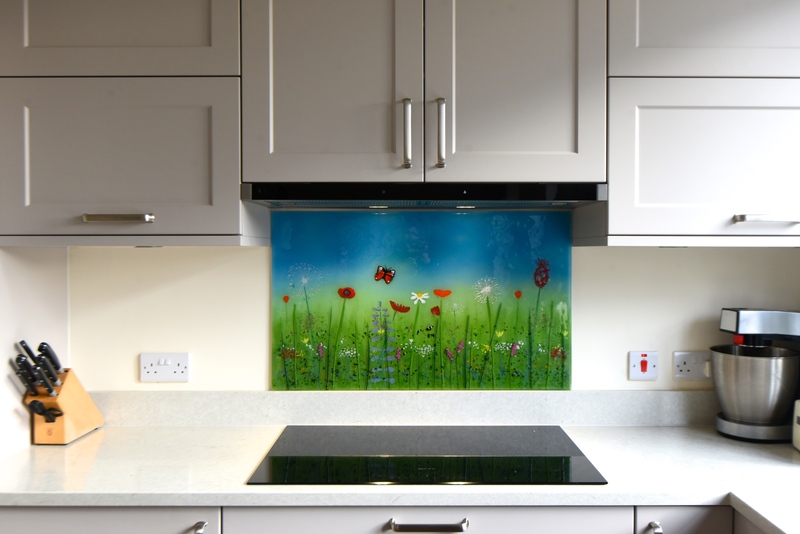 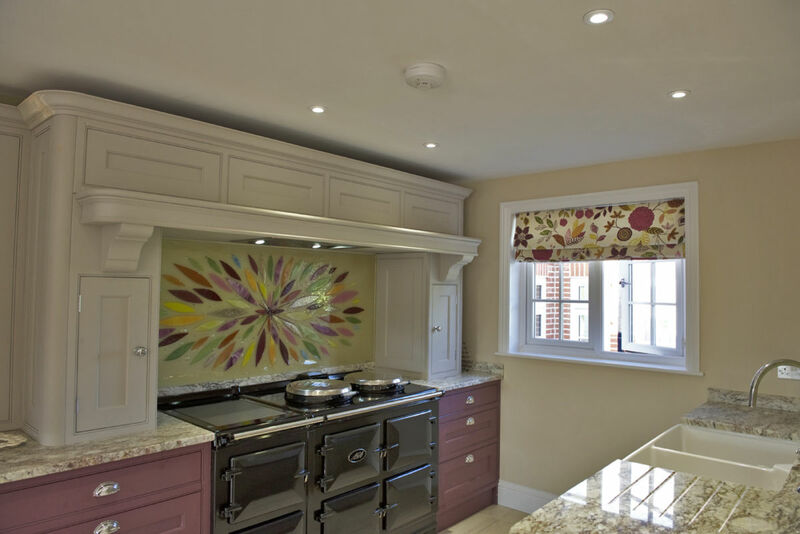 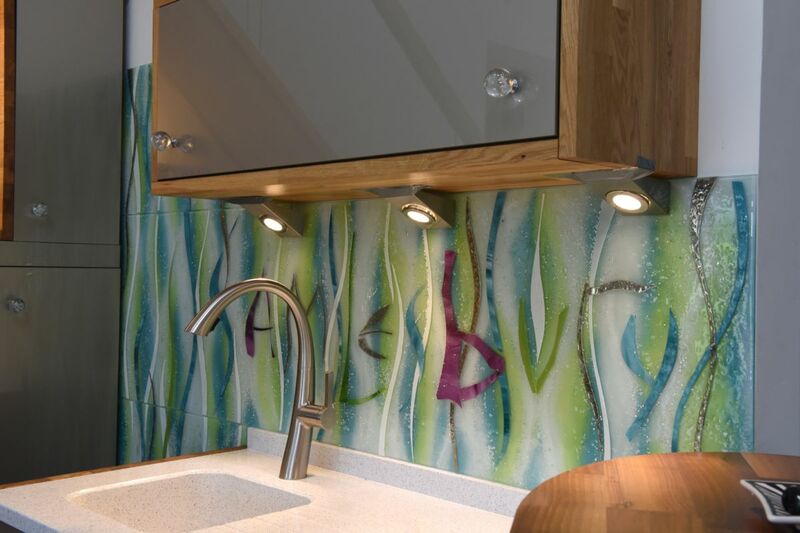 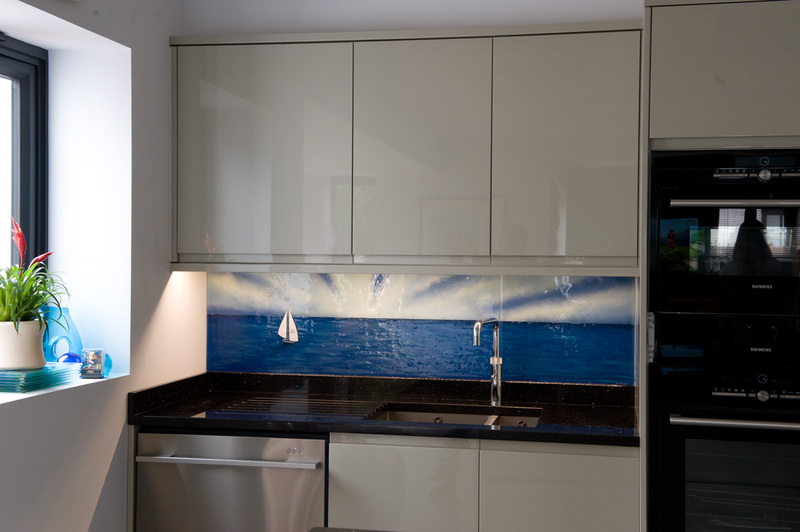 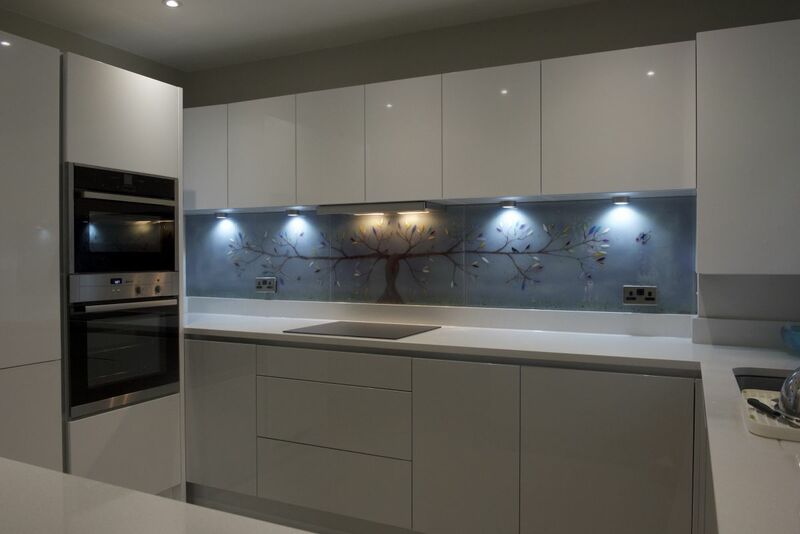 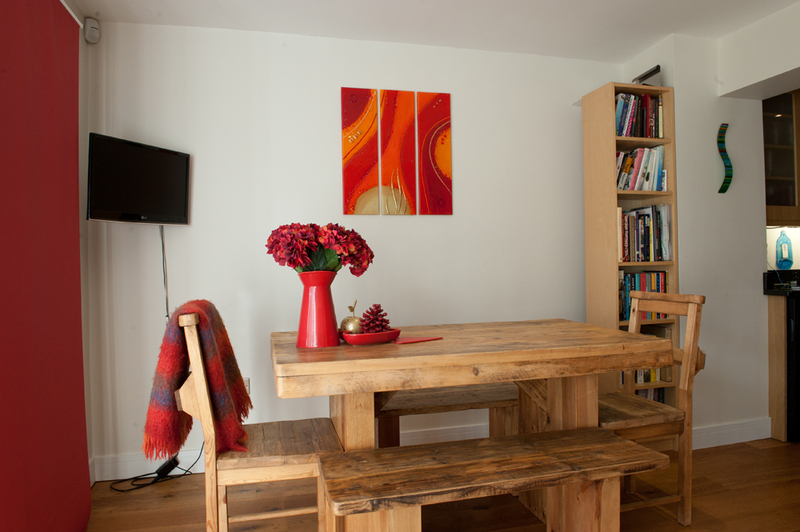 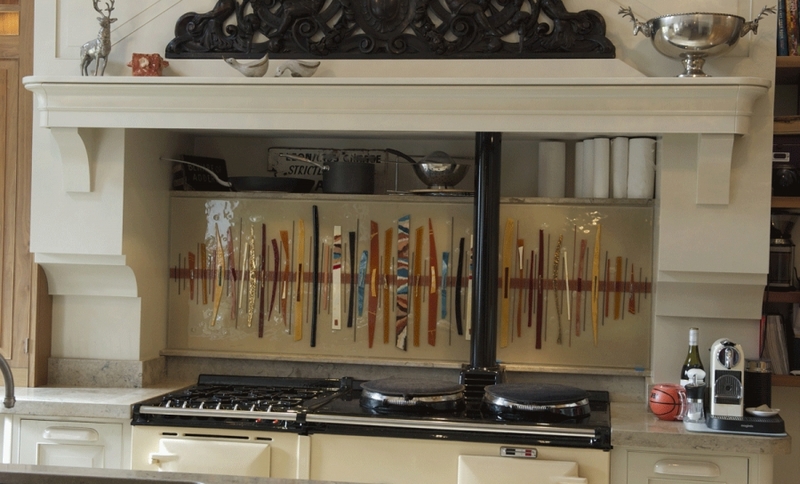 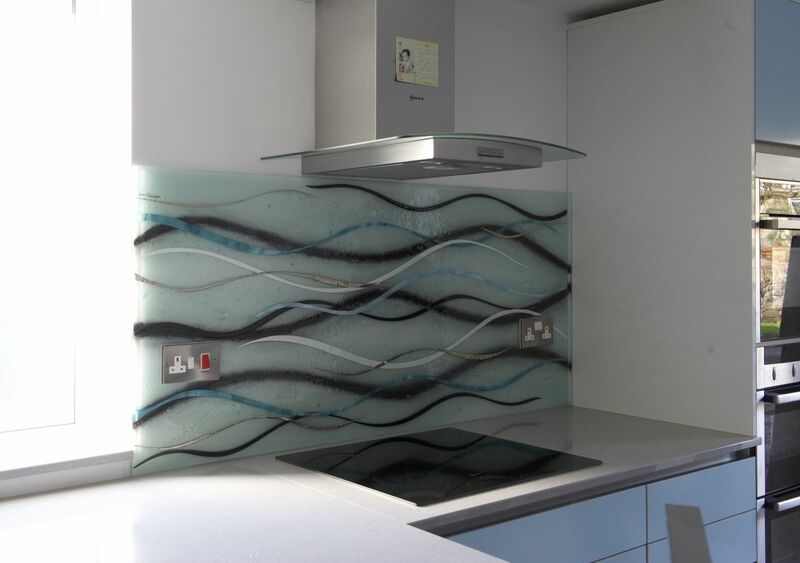 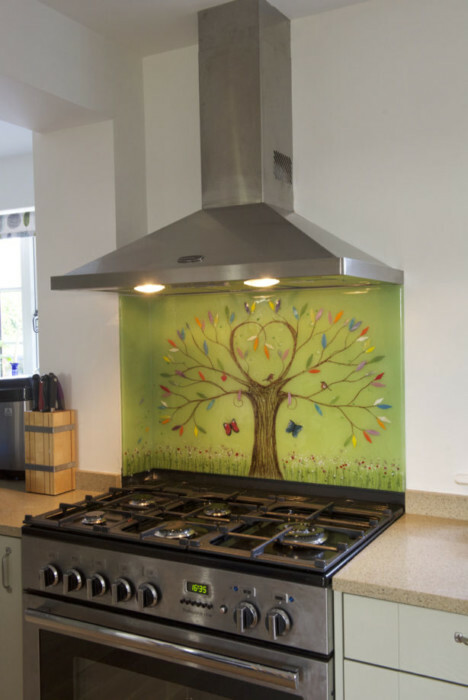 If you’re in the market for a one of a kind bespoke kitchen splashback that’s created just for you, or wall art that might take any shape or size, you’ve definitely come to the right place. 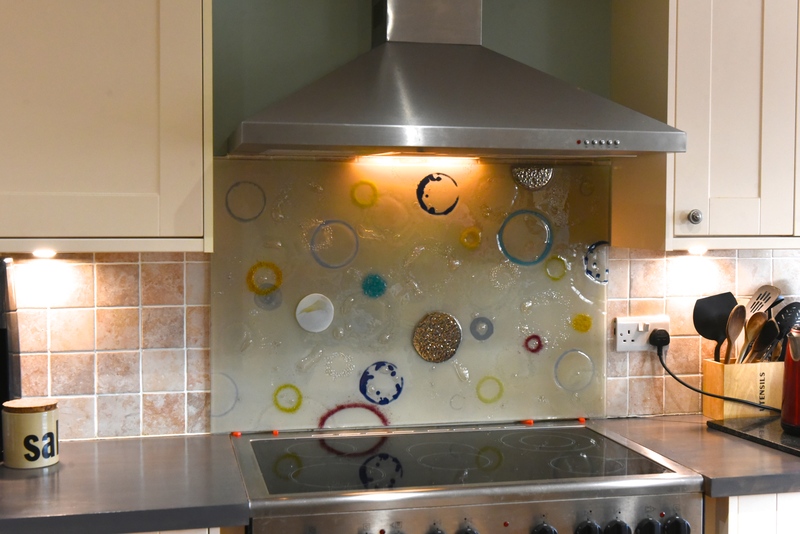 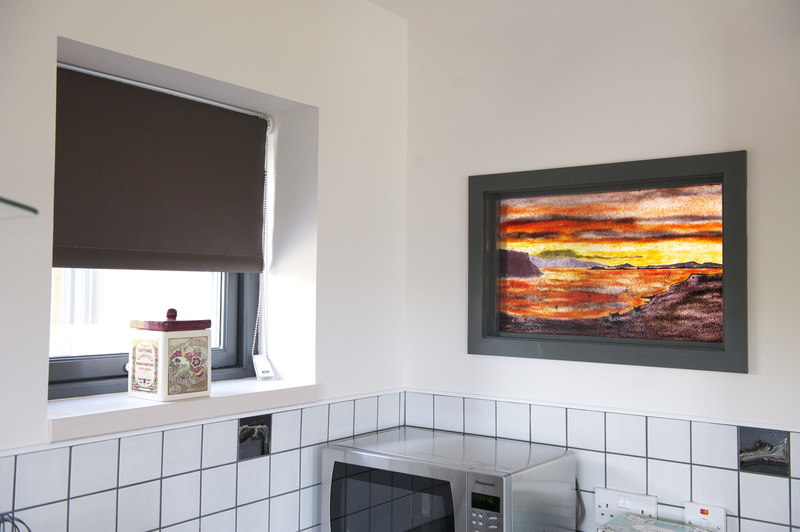 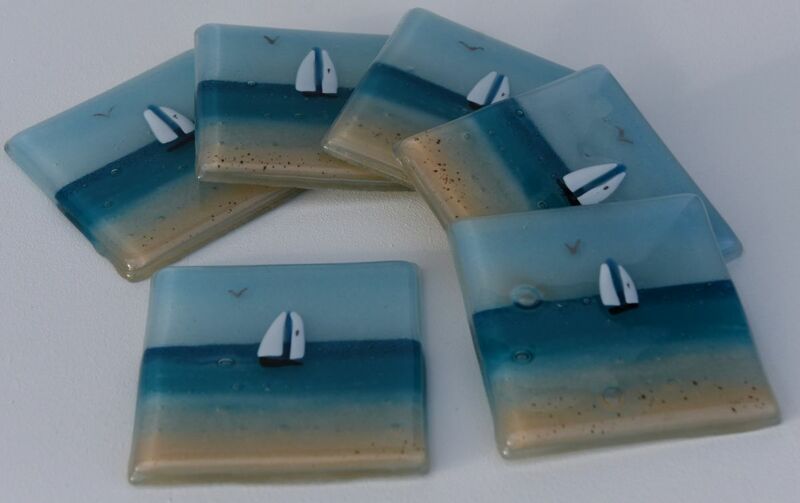 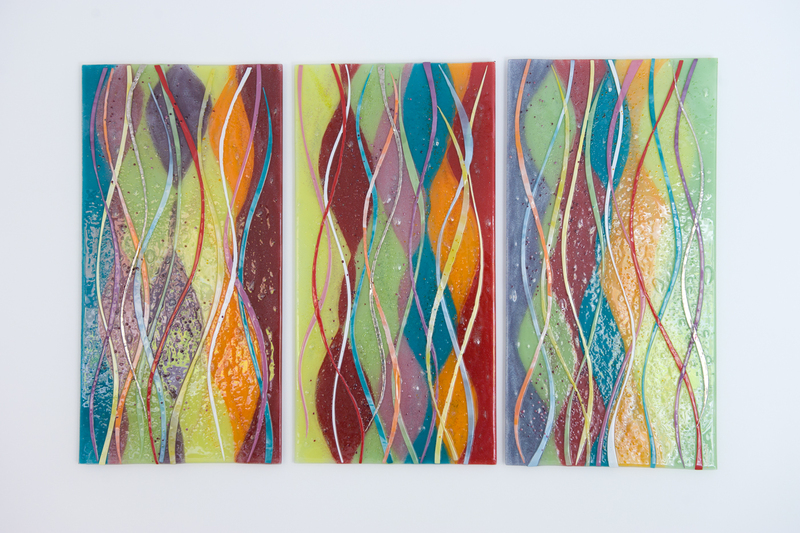 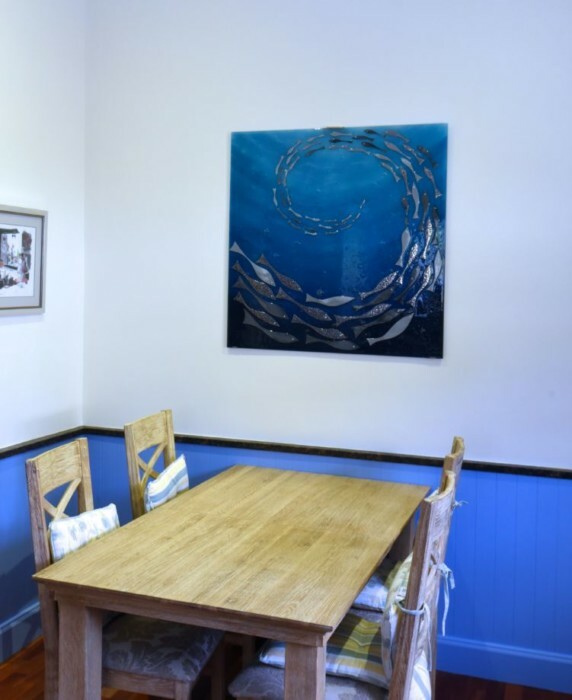 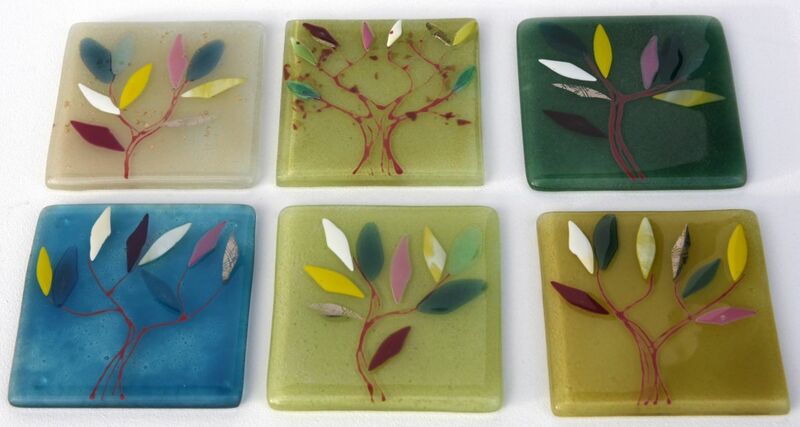 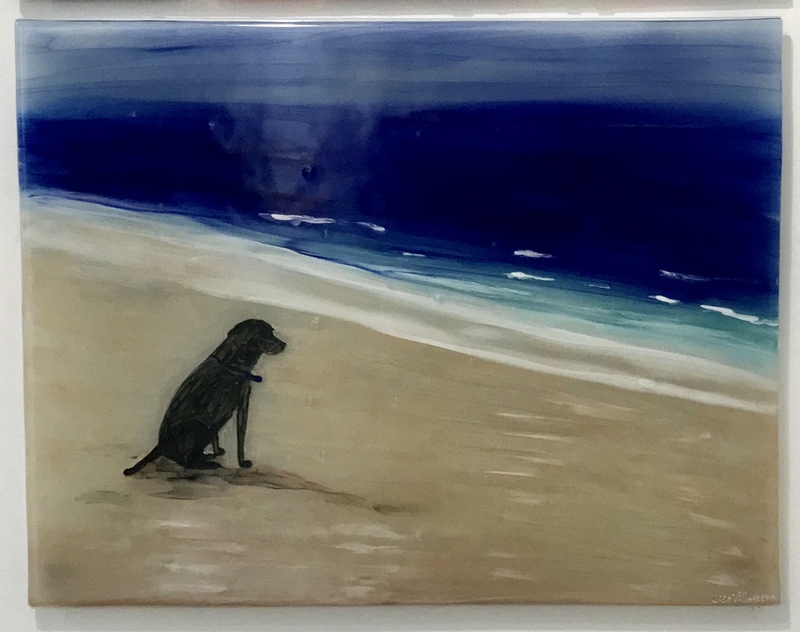 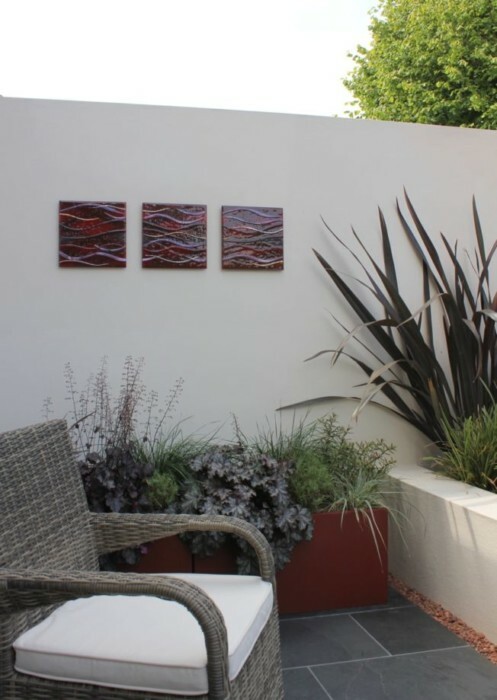 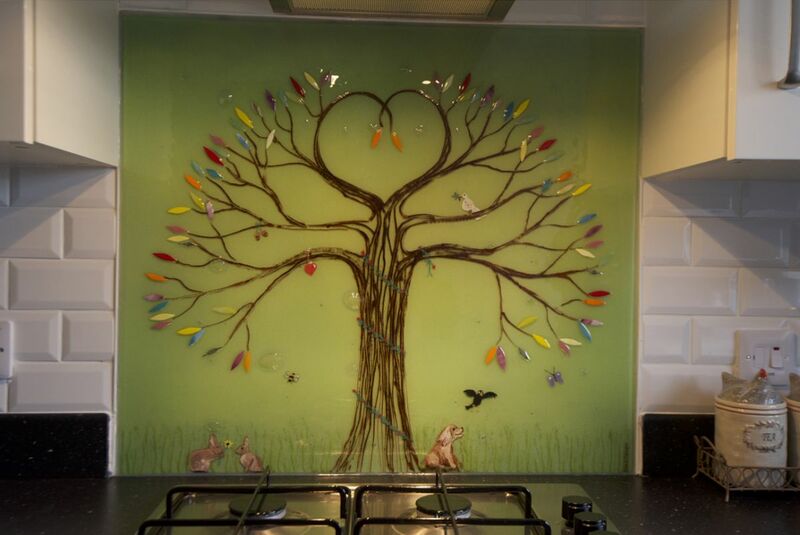 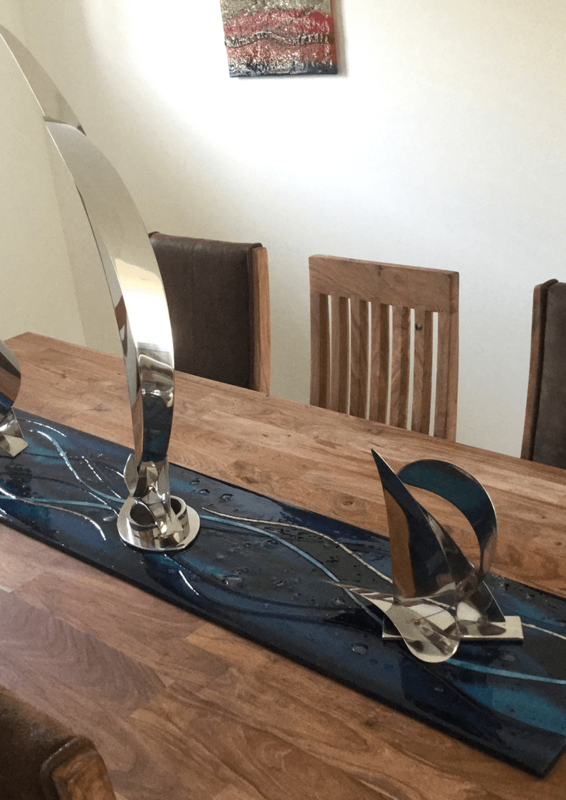 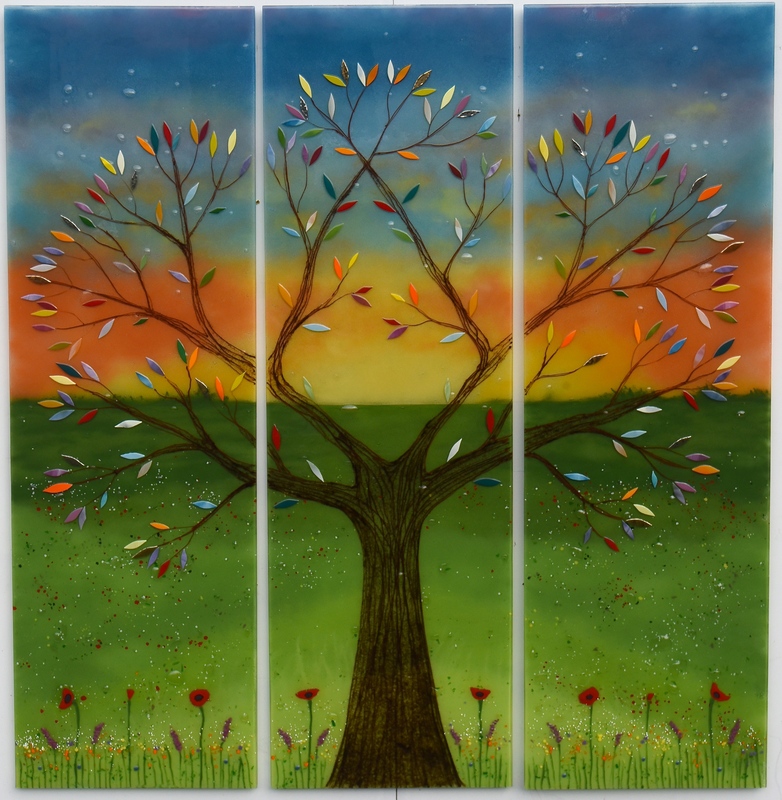 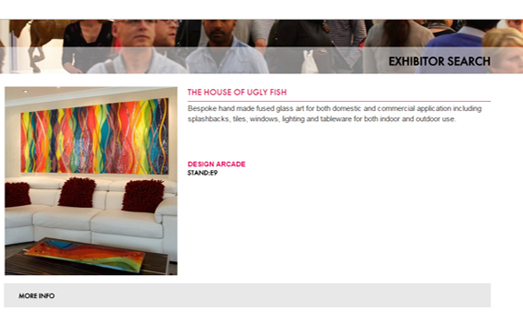 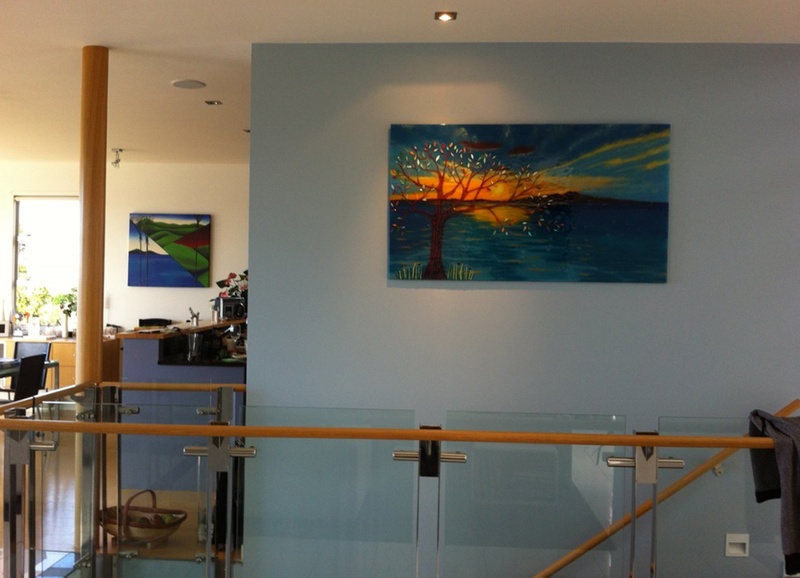 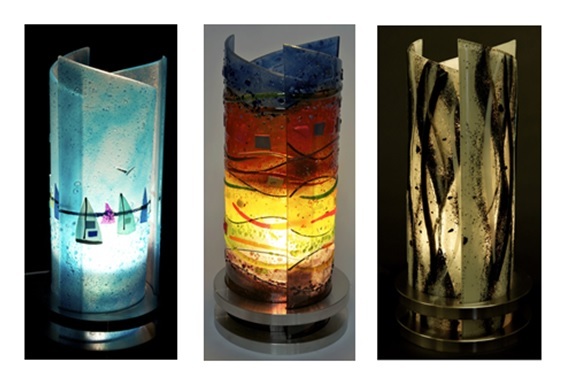 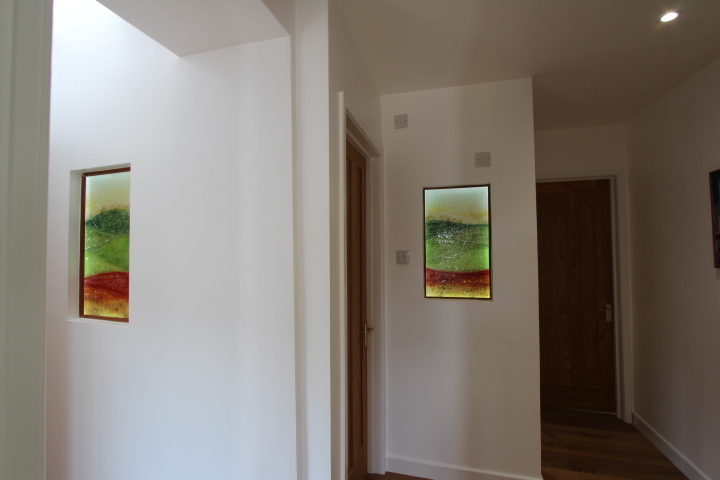 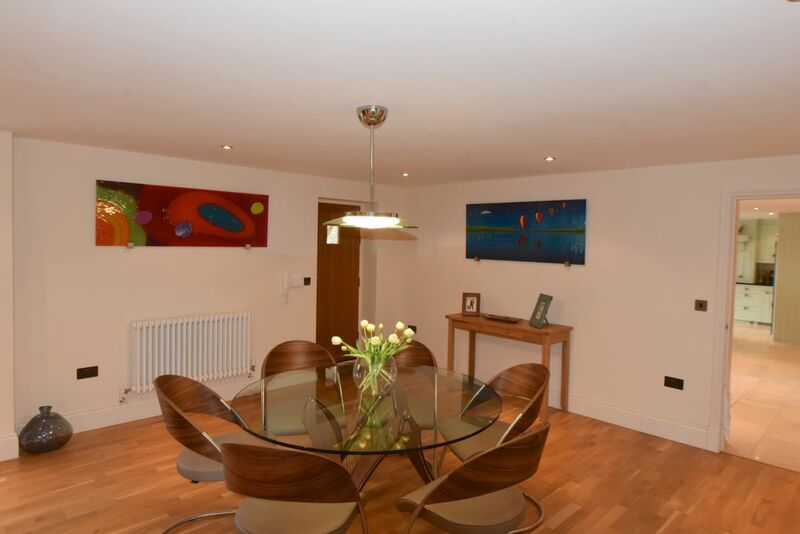 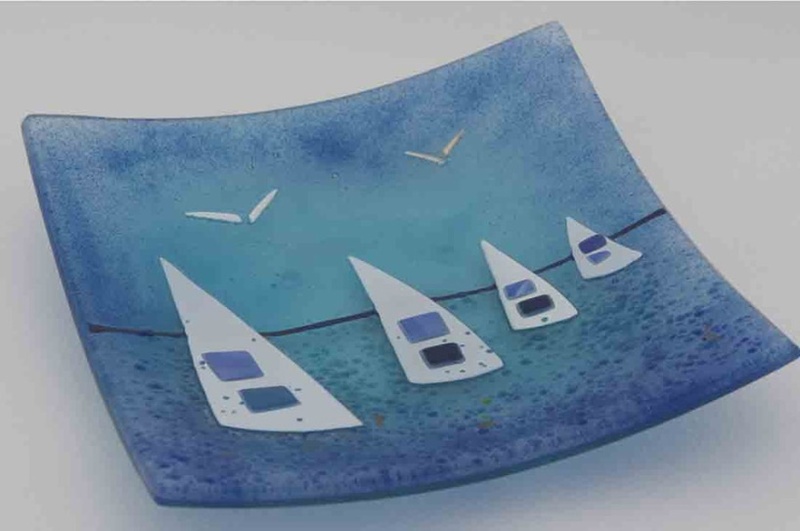 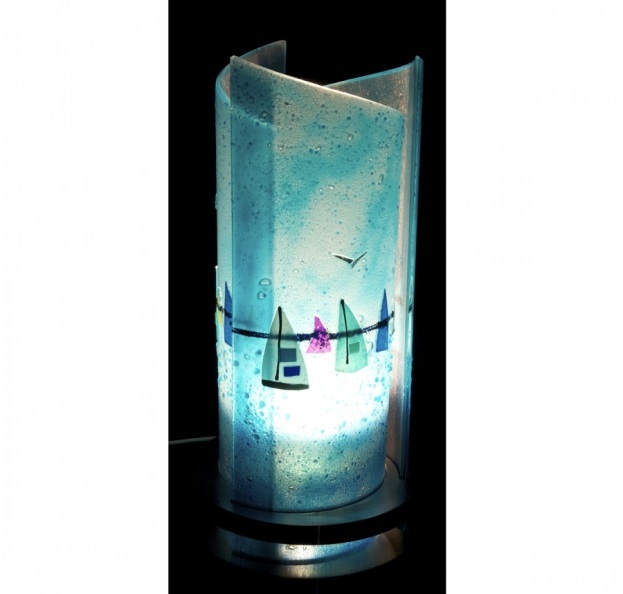 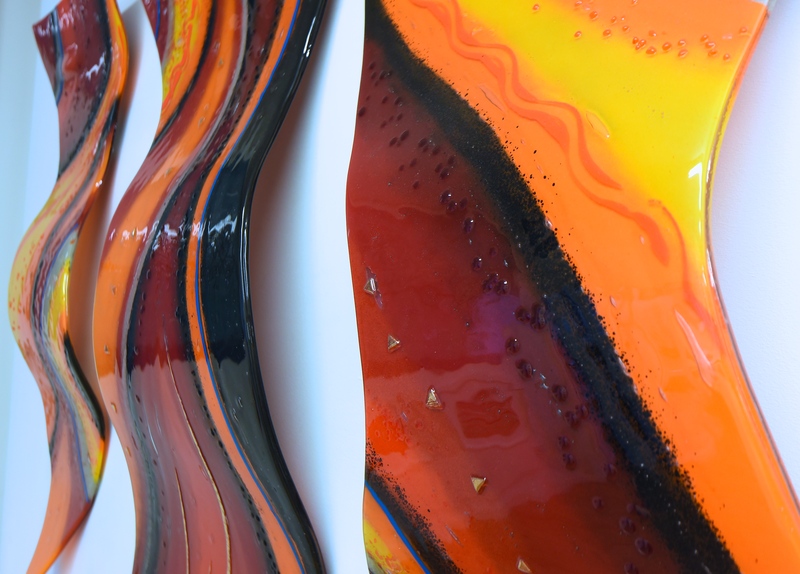 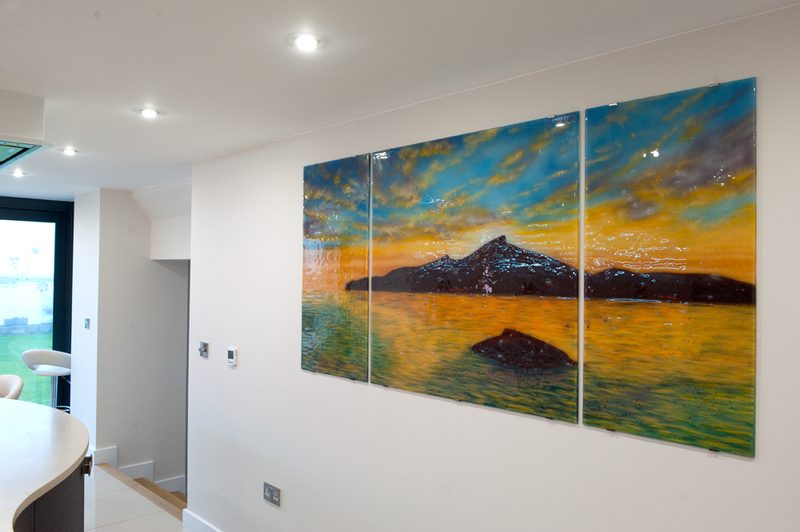 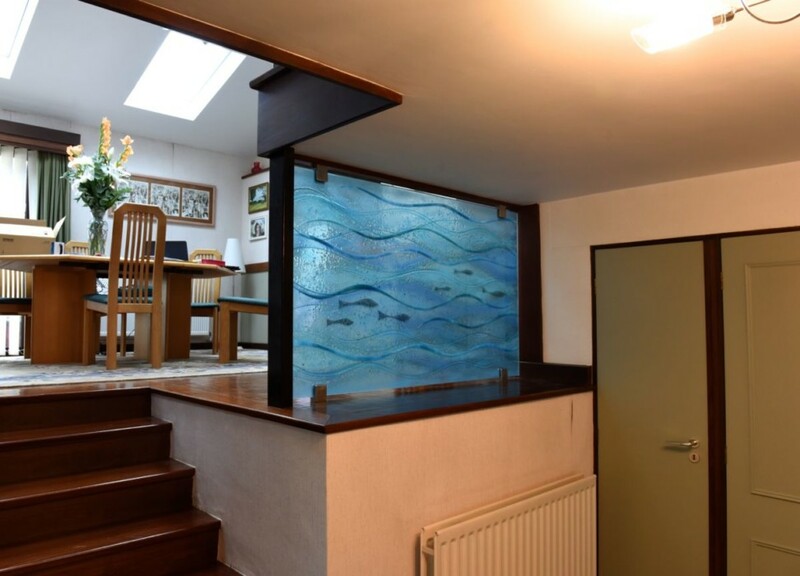 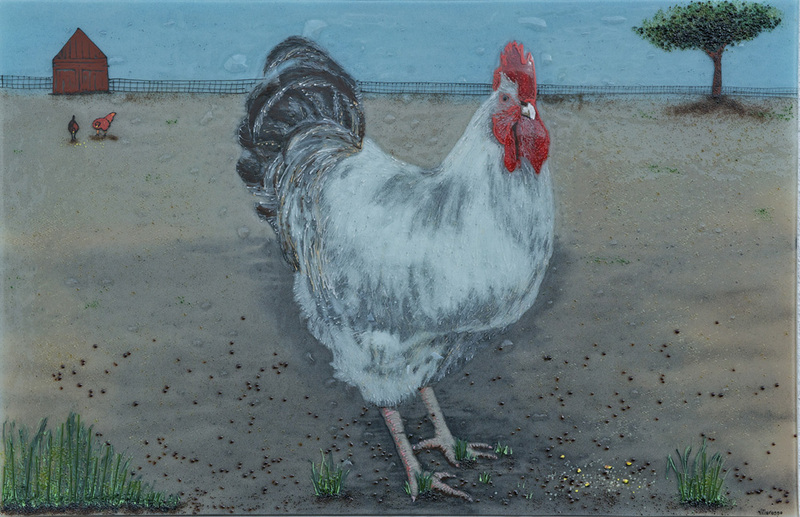 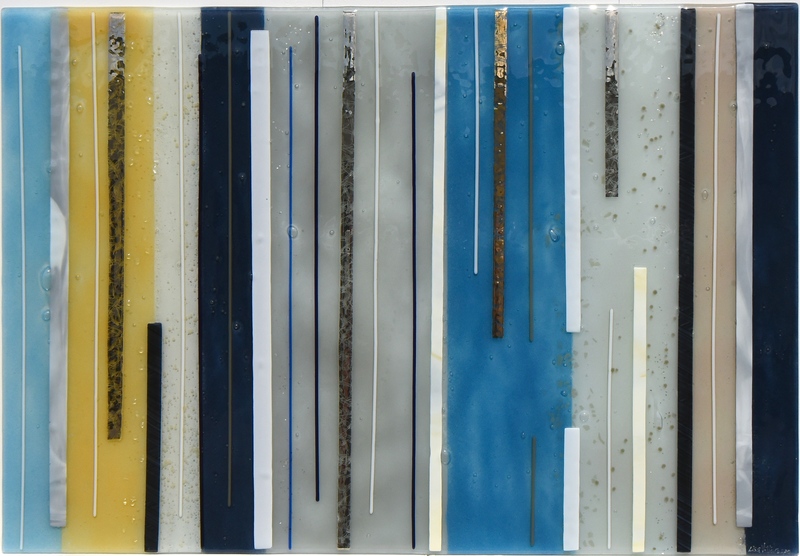 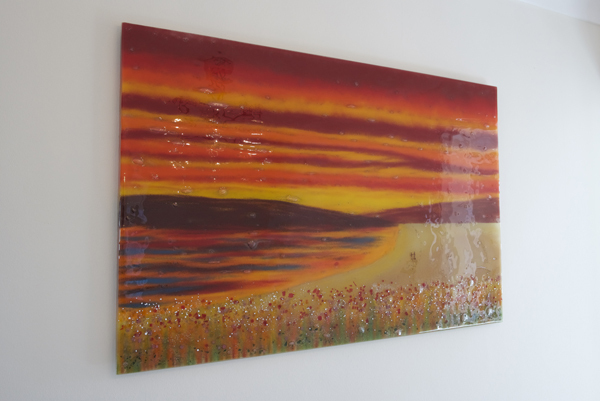 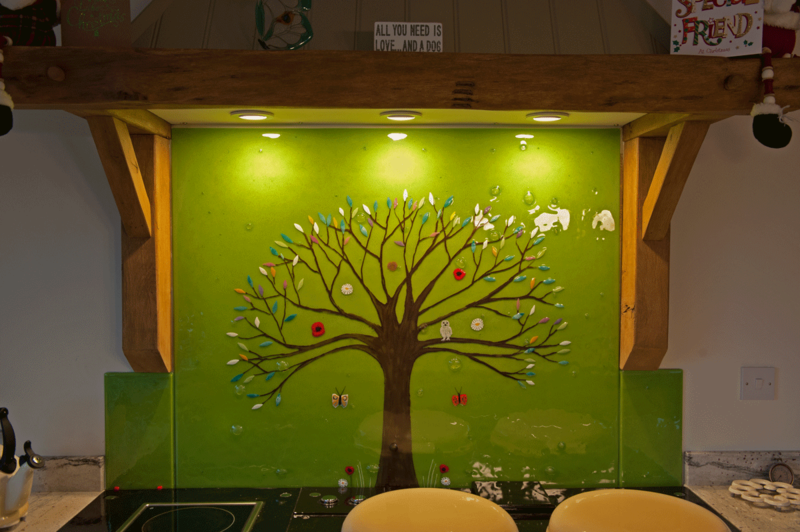 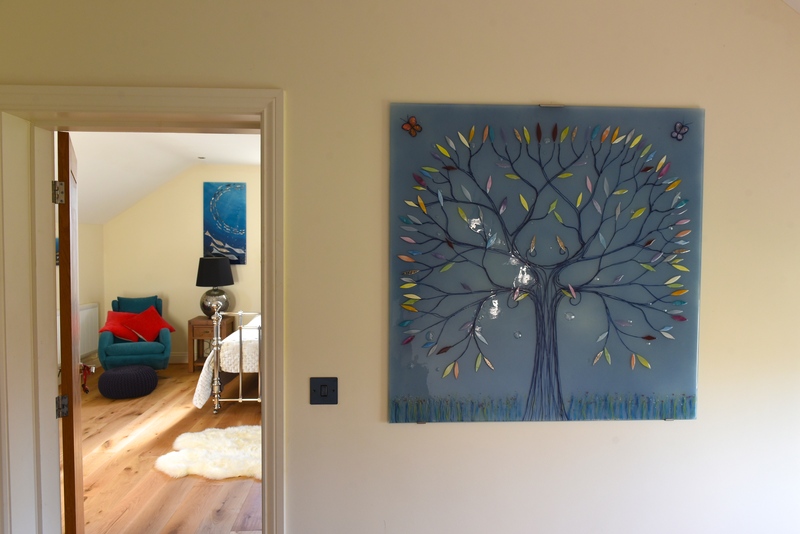 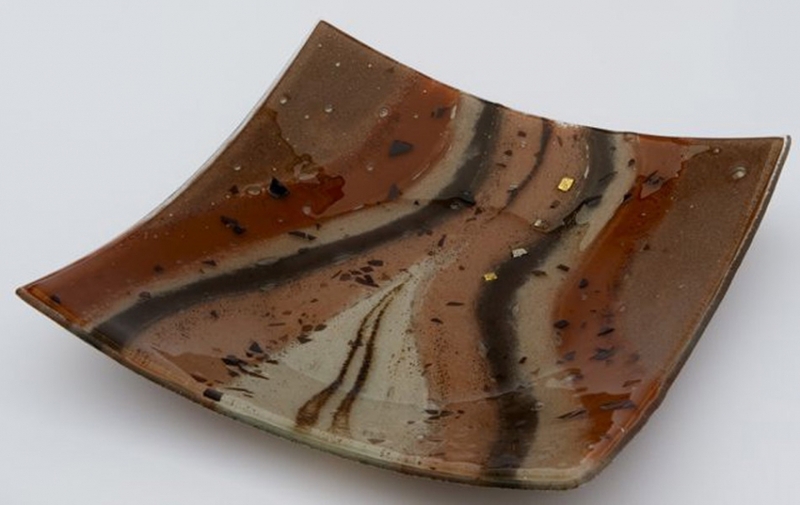 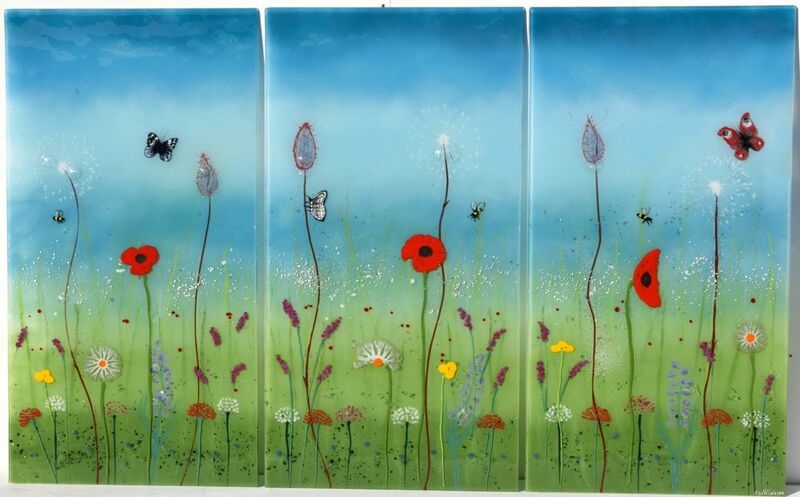 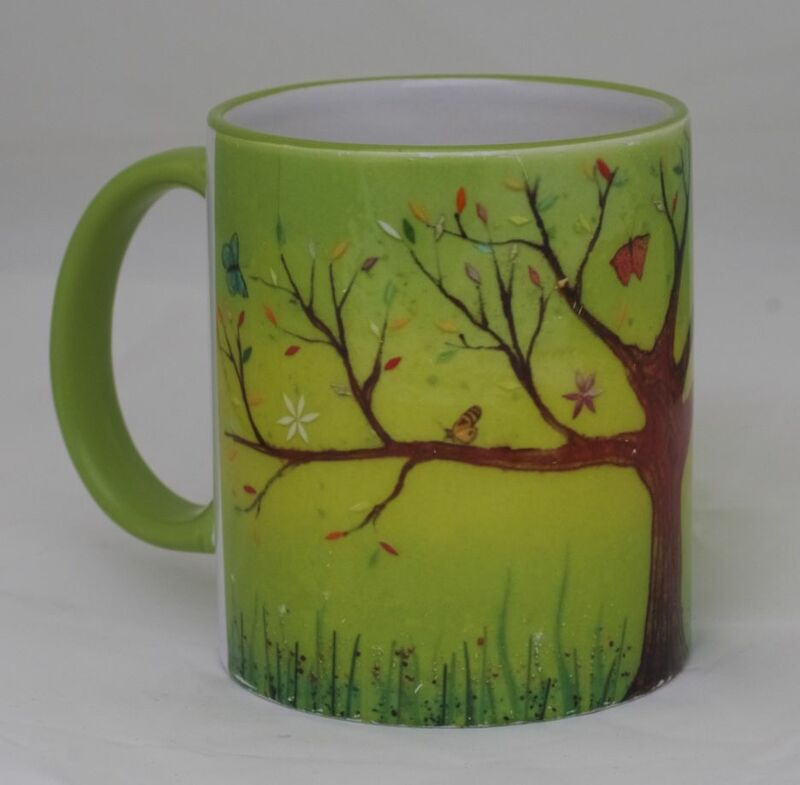 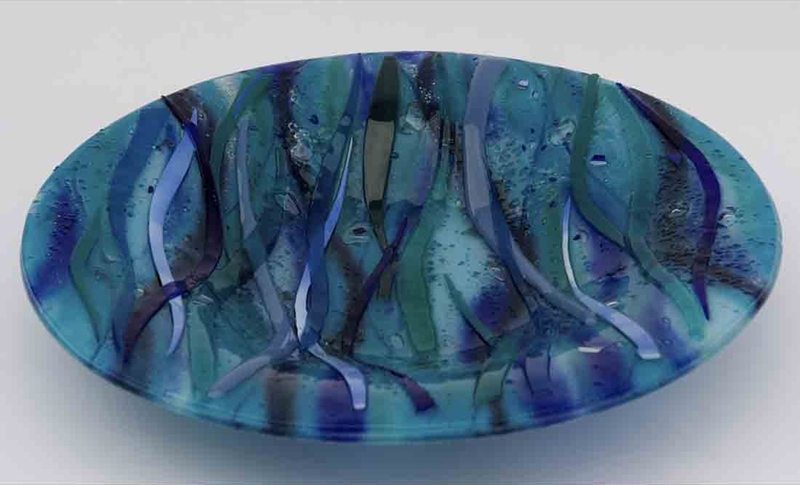 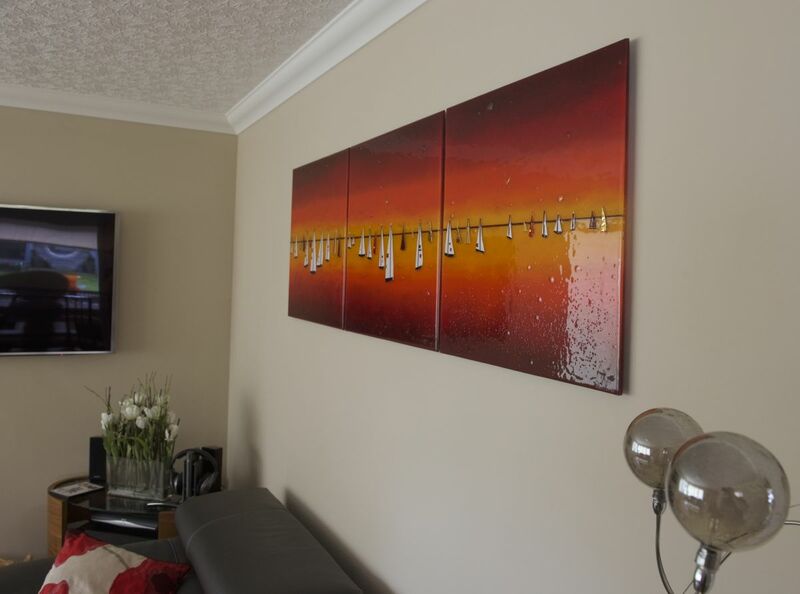 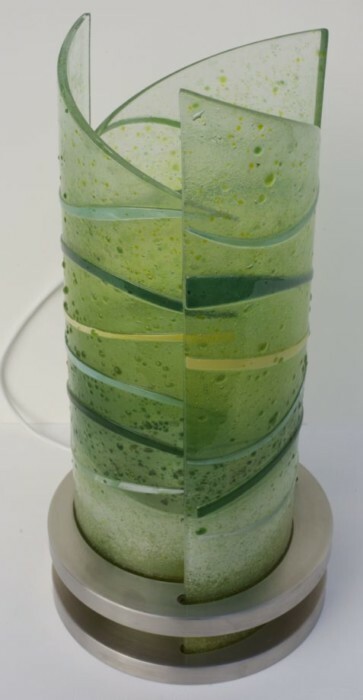 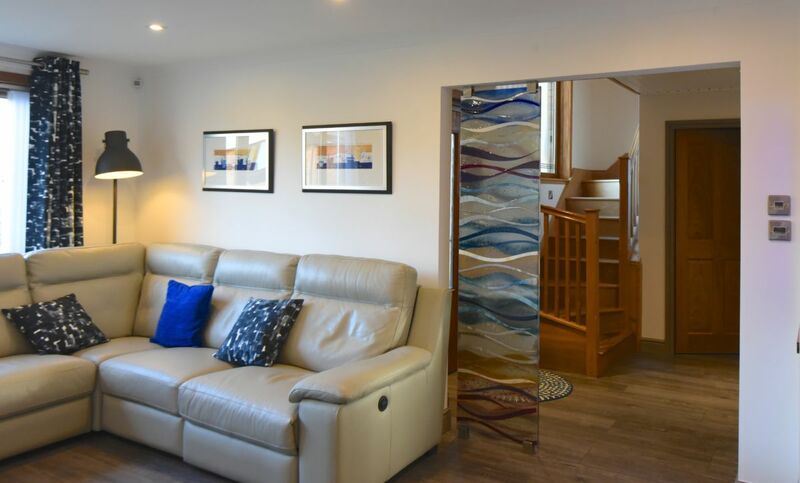 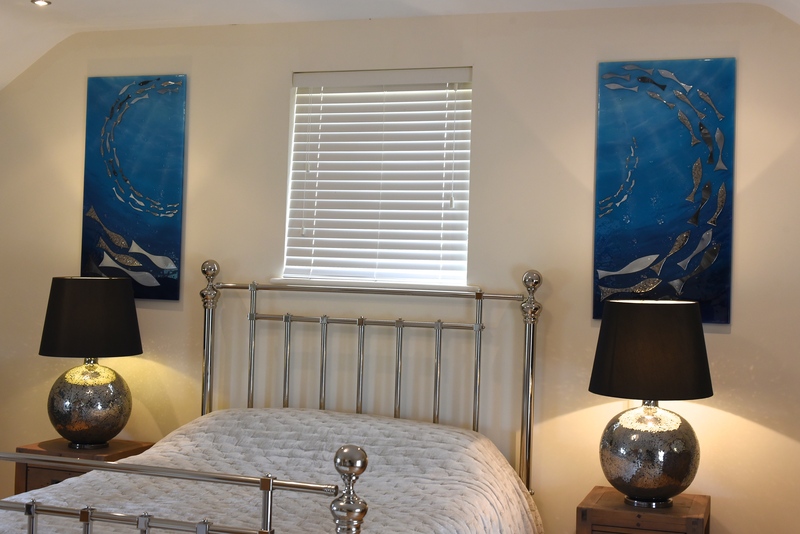 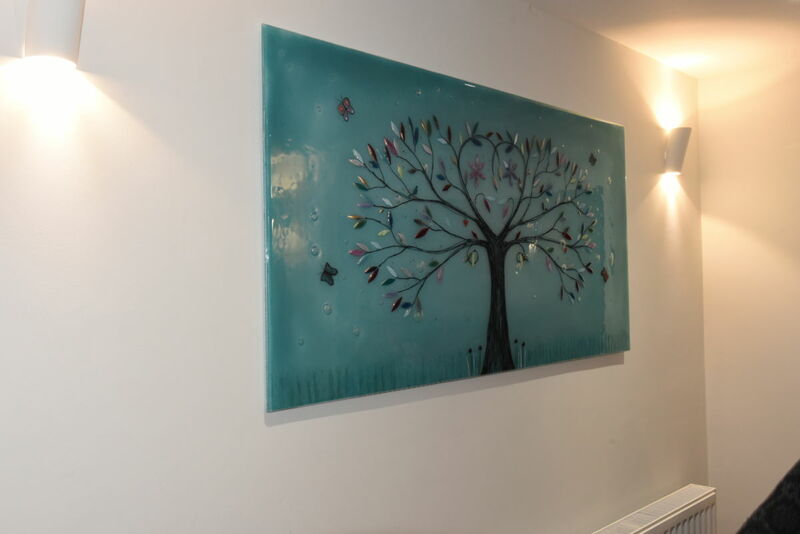 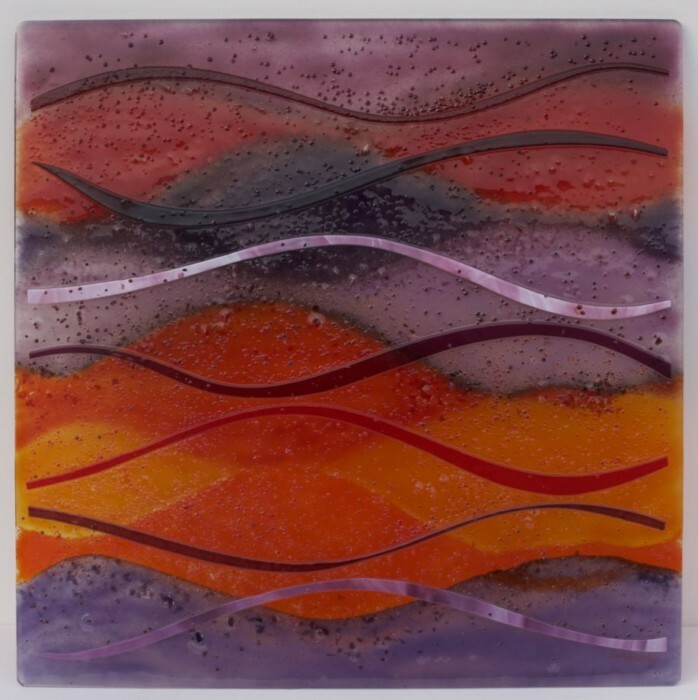 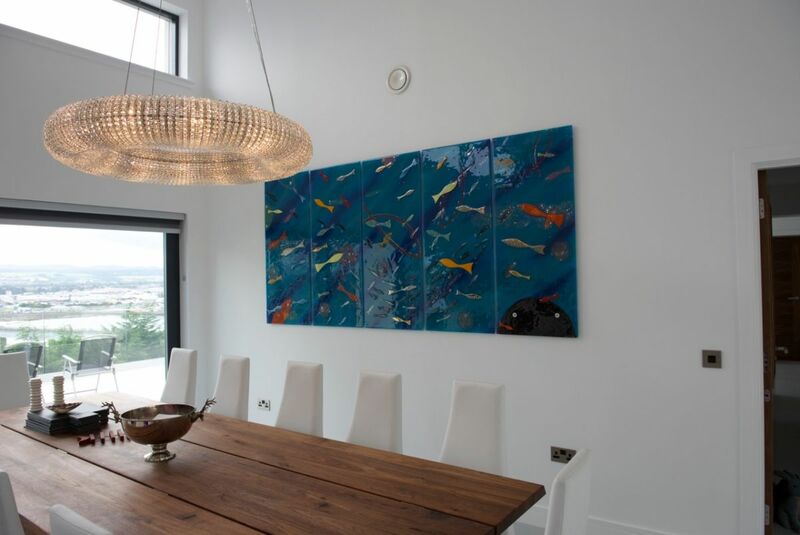 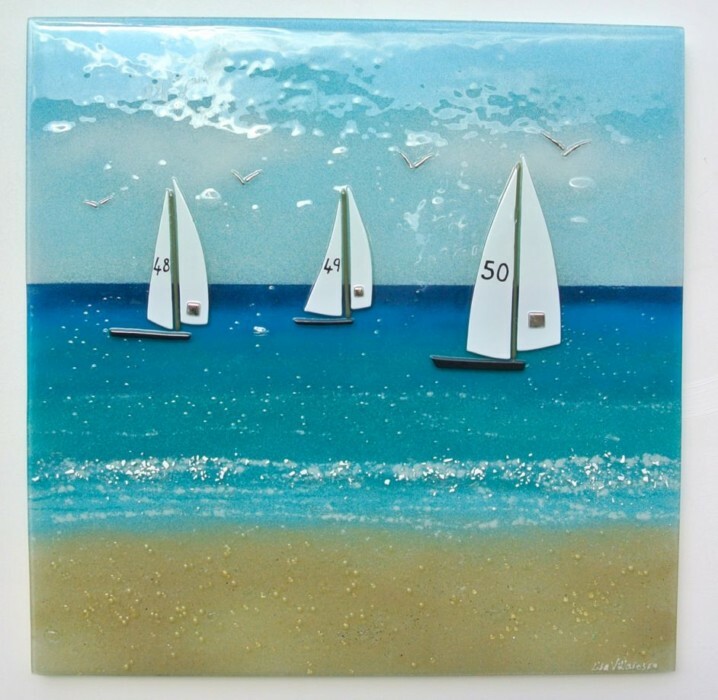 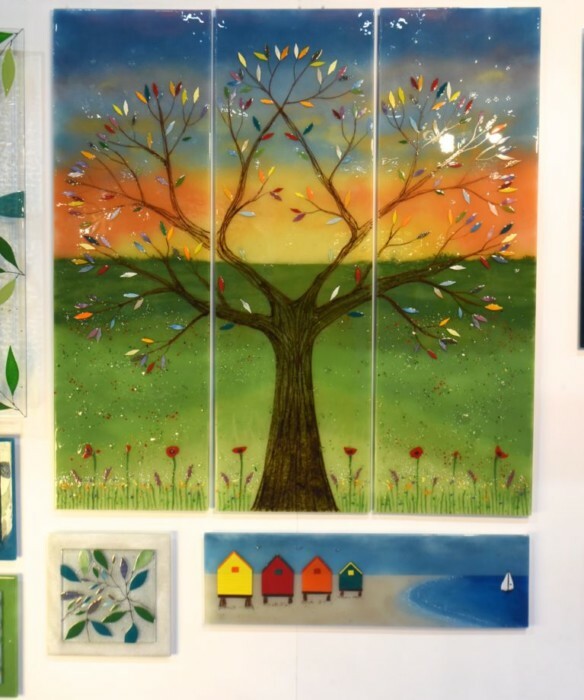 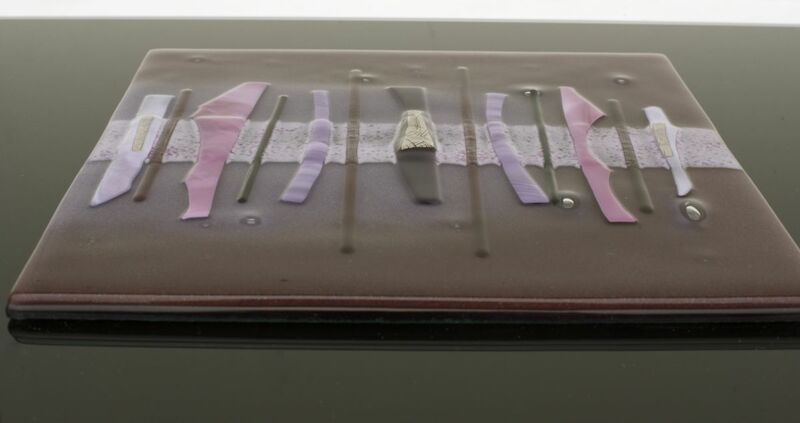 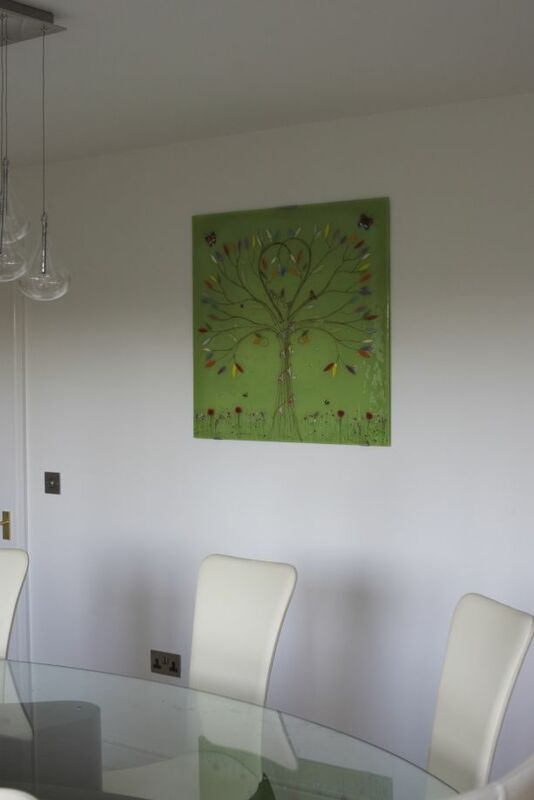 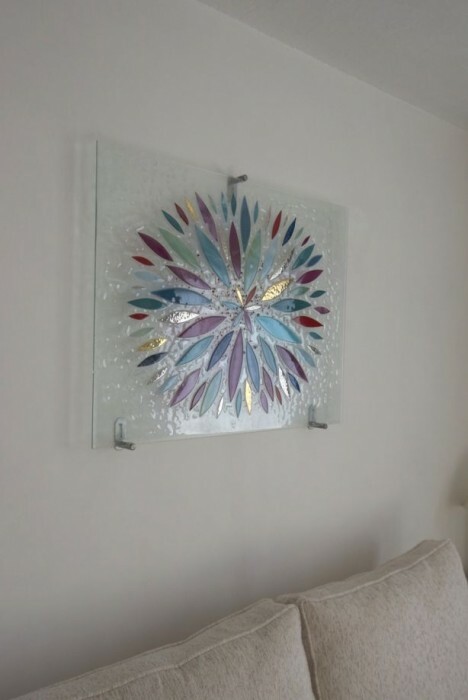 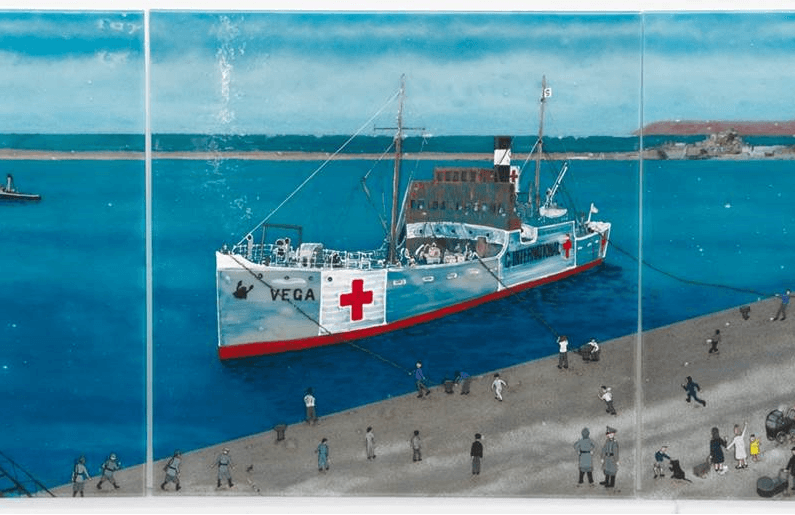 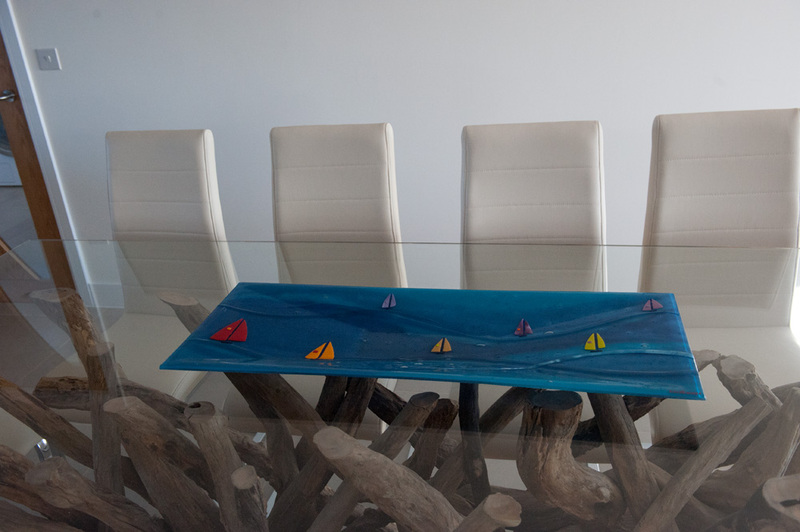 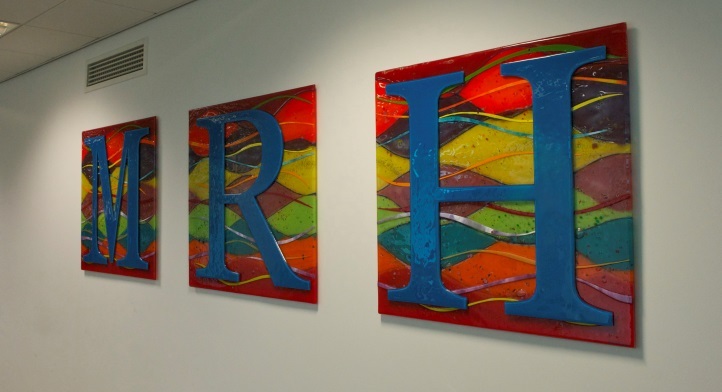 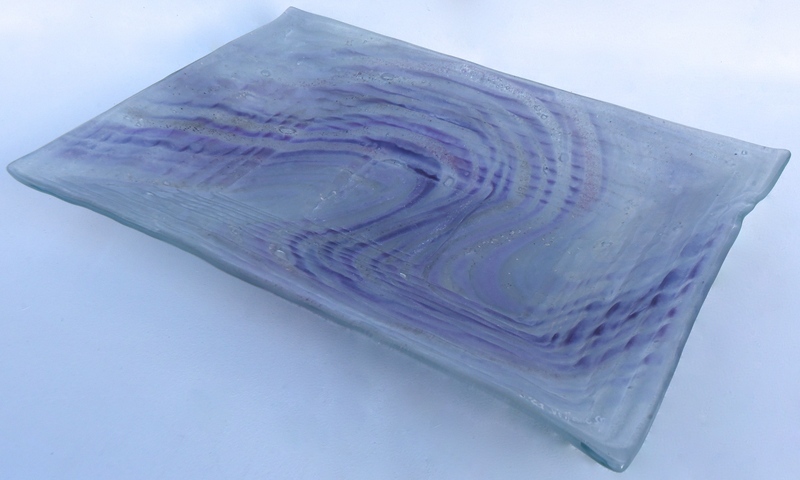 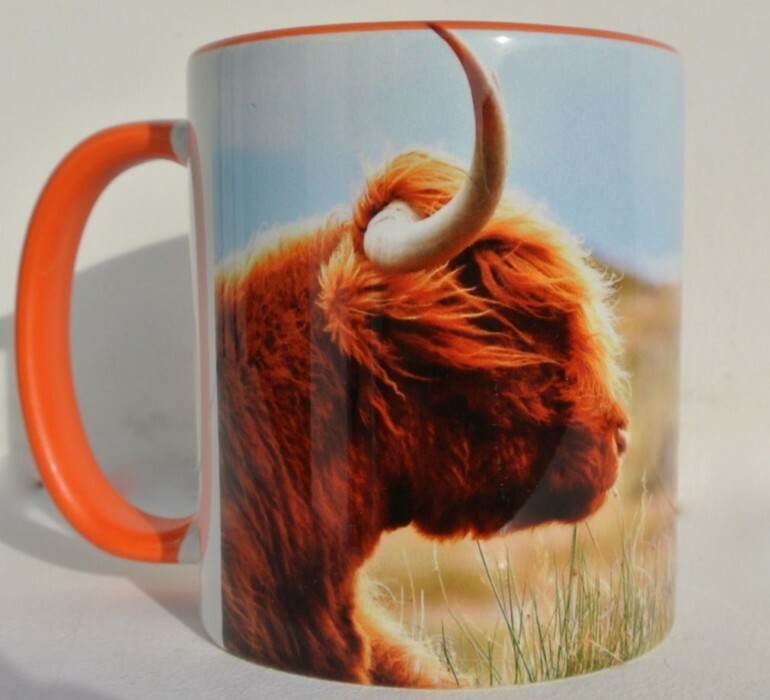 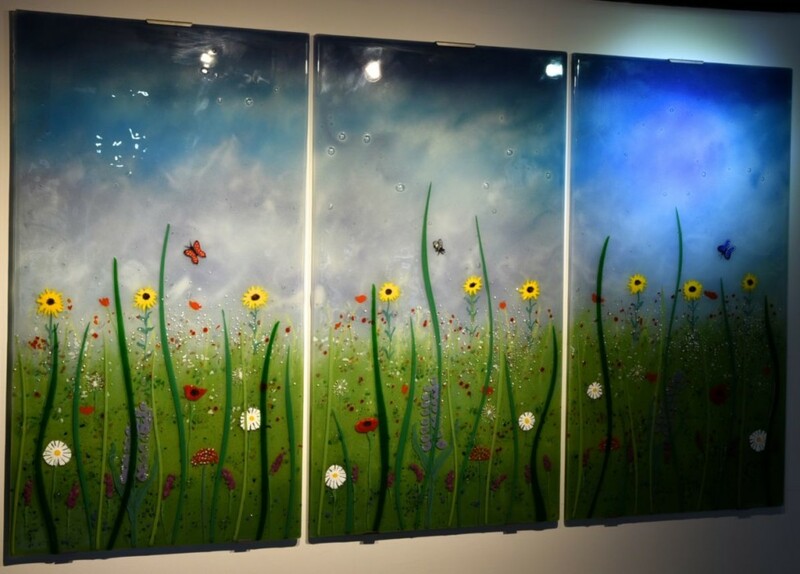 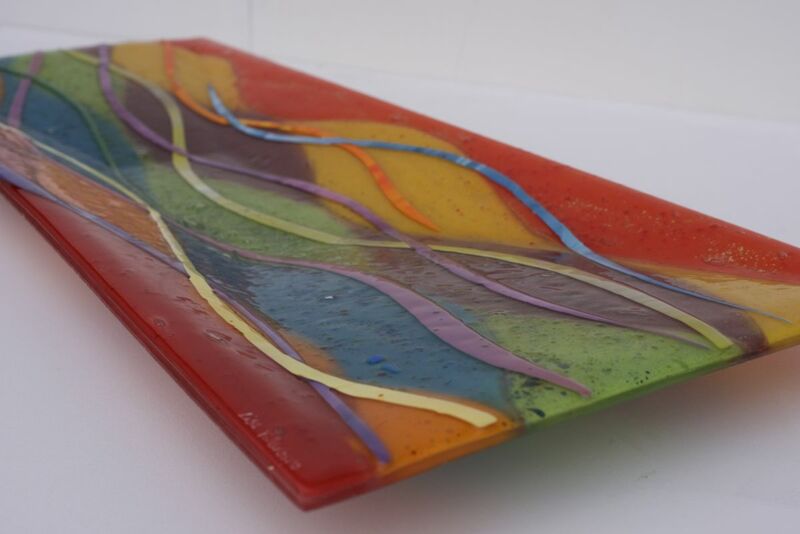 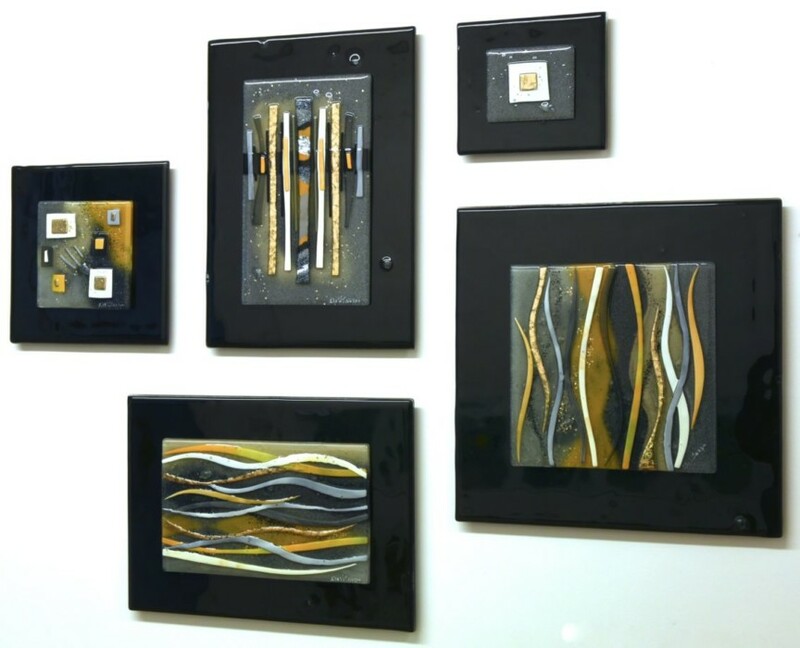 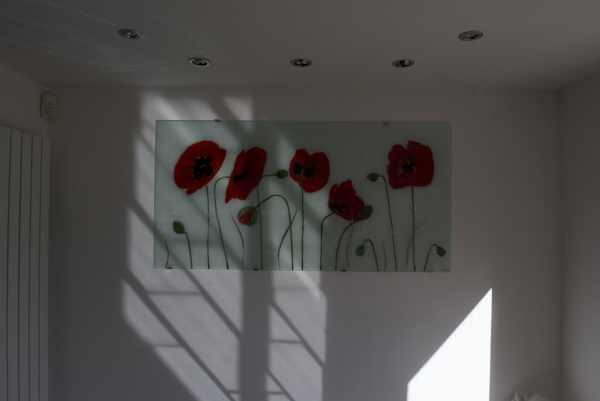 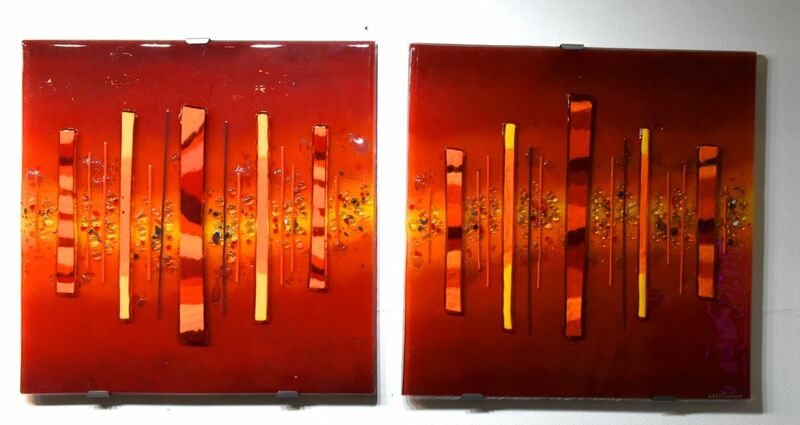 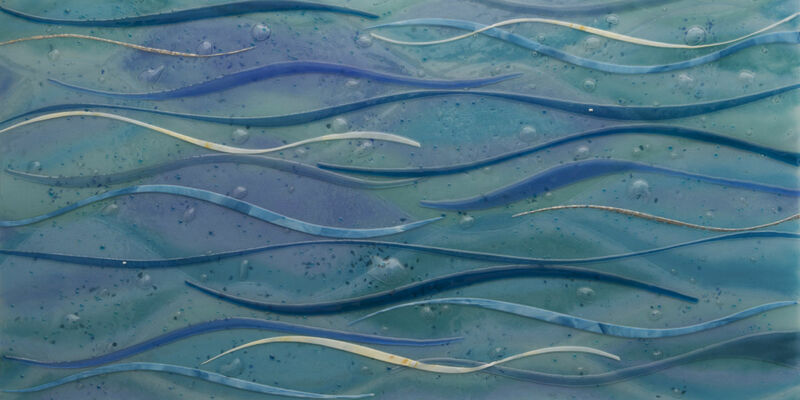 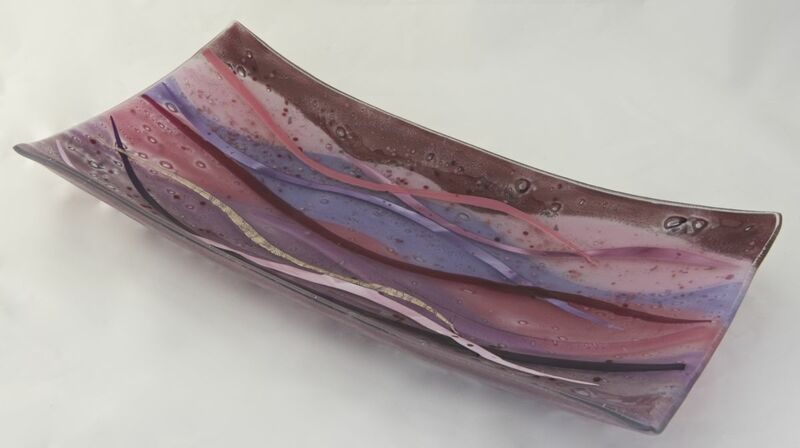 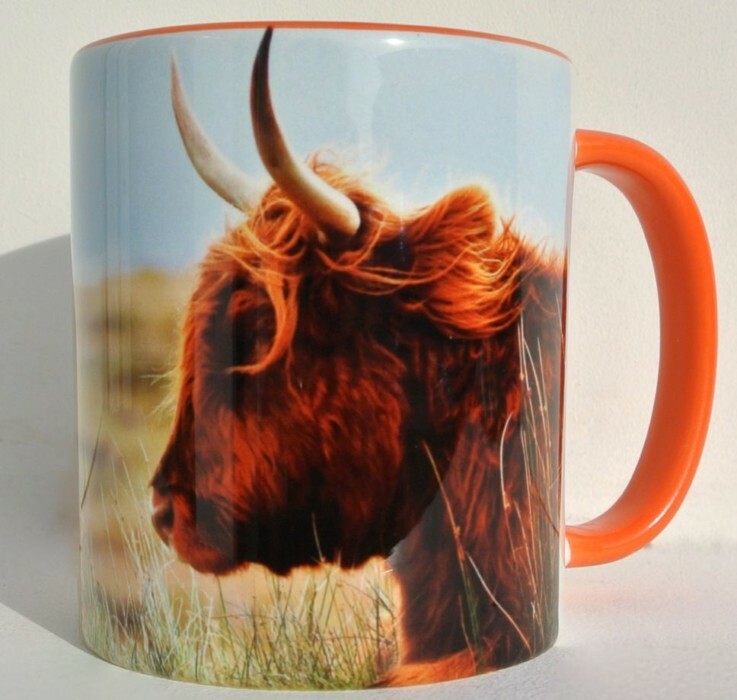 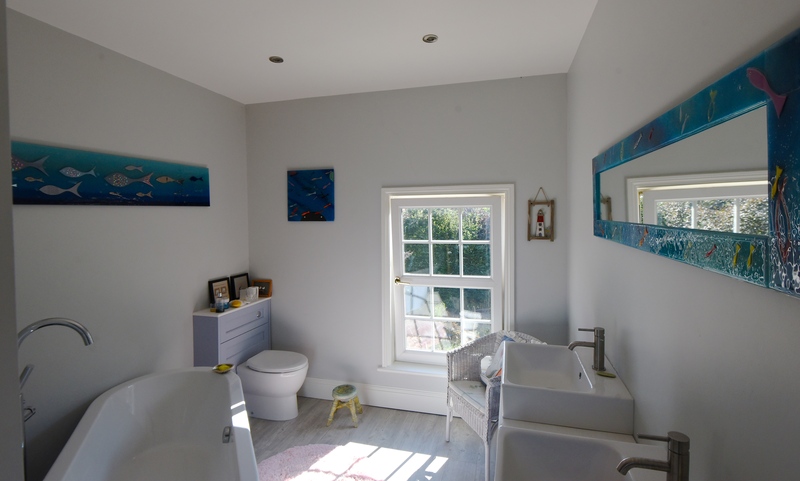 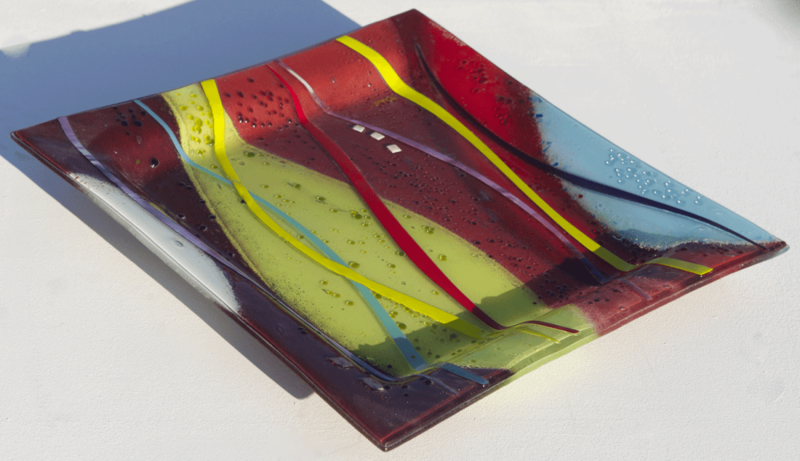 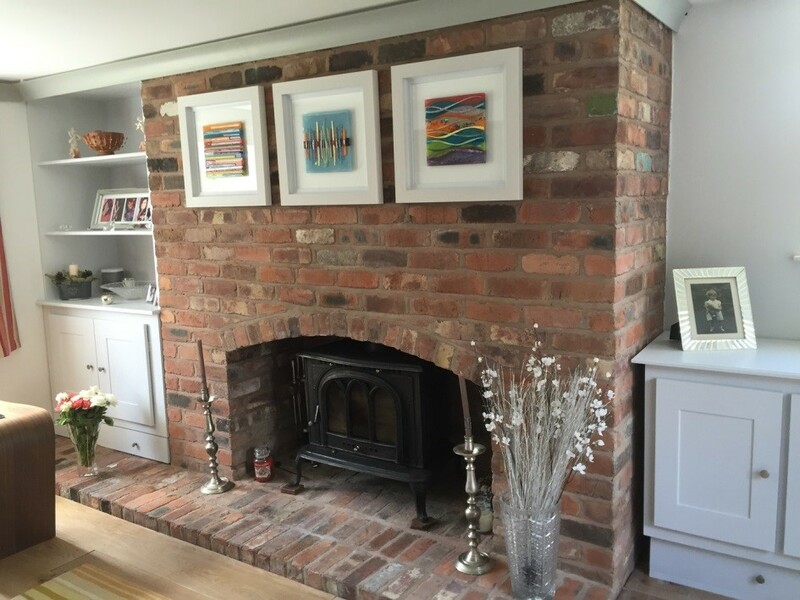 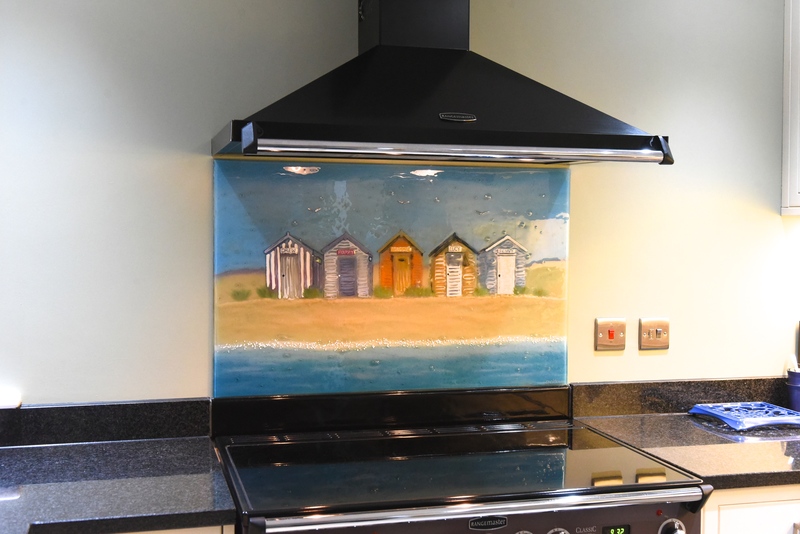 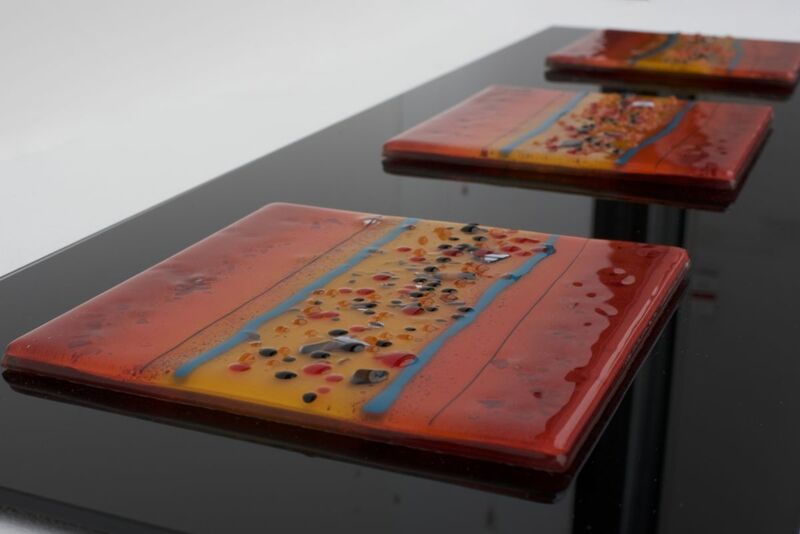 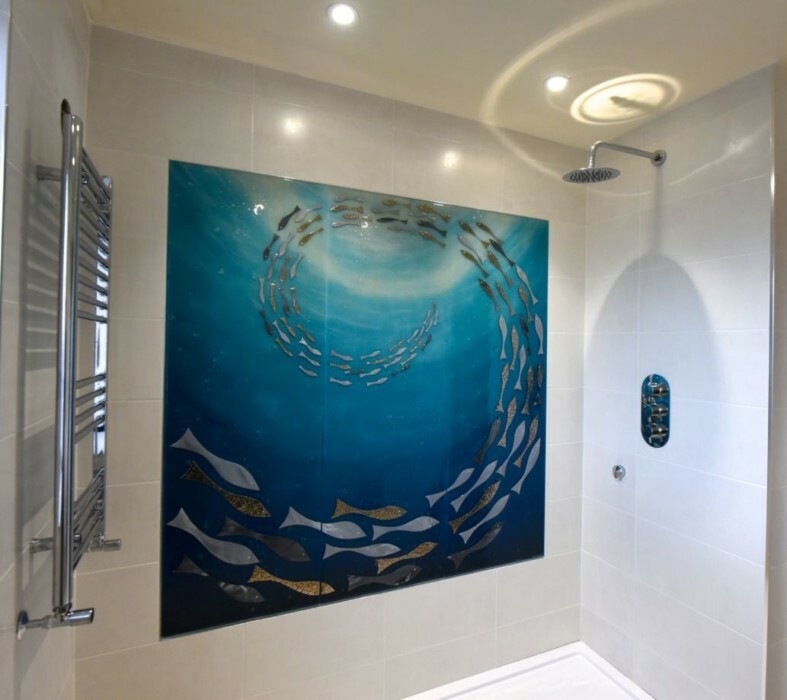 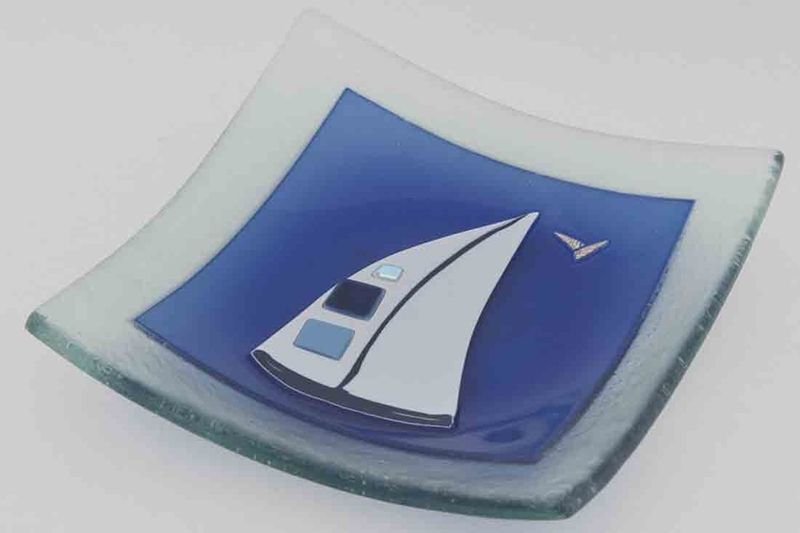 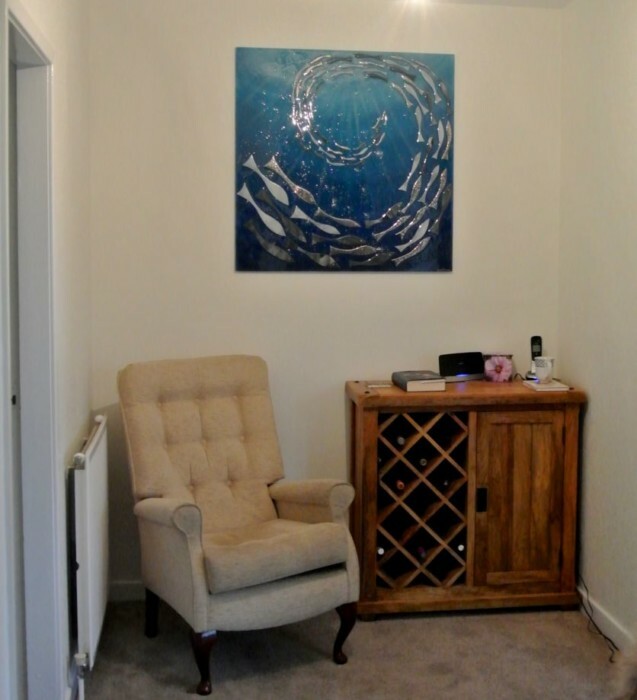 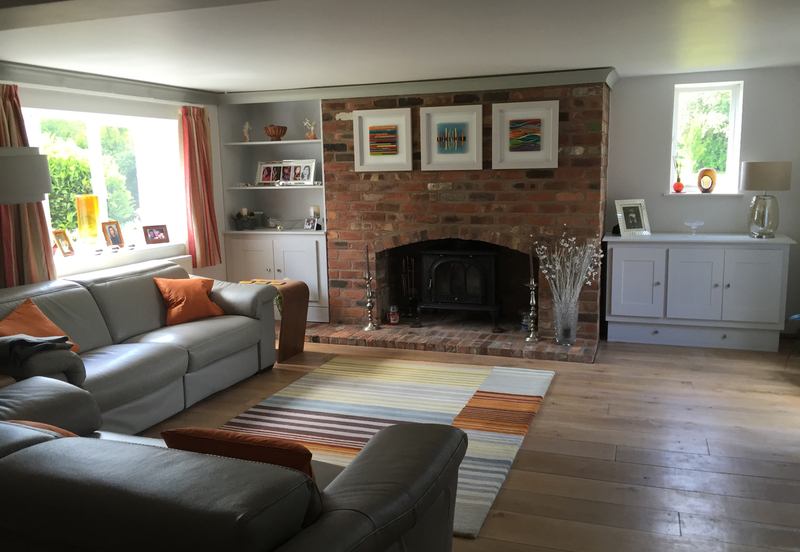 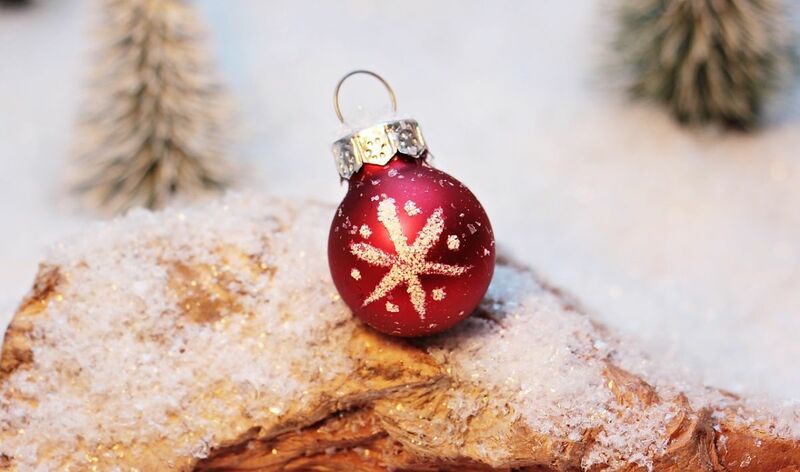 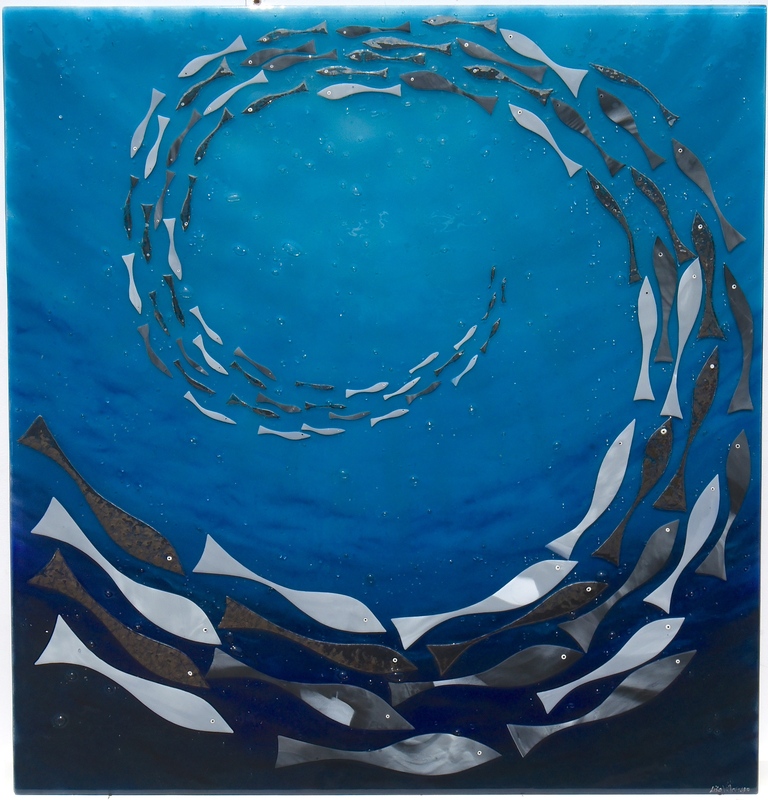 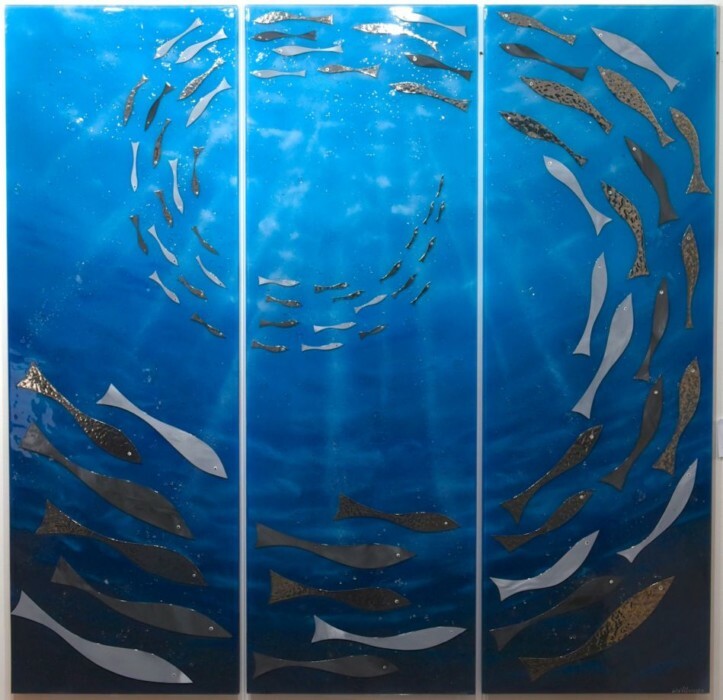 We here at The House of Ugly Fish are experts when it comes to creating just about any kind of fused glass art for you, from exciting additions to the home such as splashbacks, windows and doors, all the way to small sets of drinks coasters and other accessories. 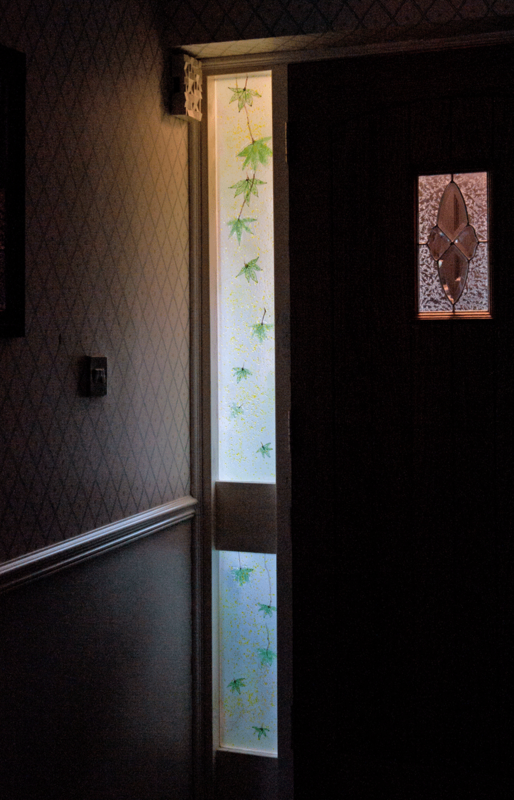 Make sure you don’t wait to get in contact as soon as you can. 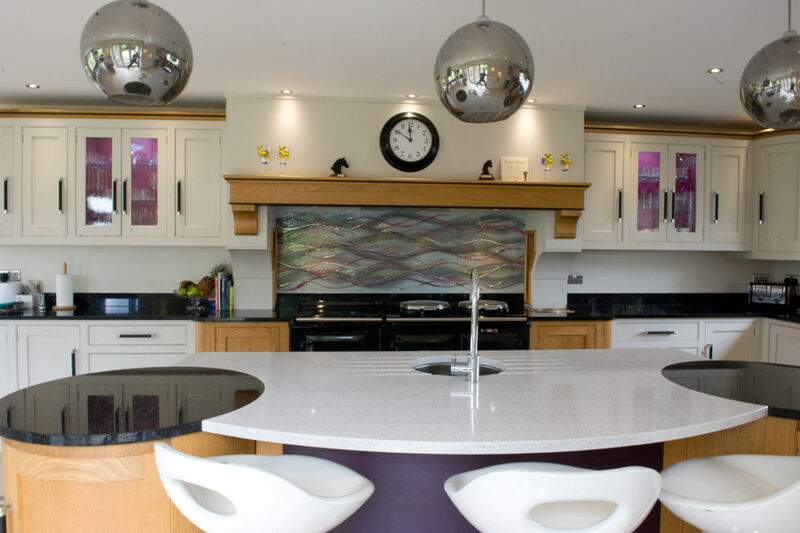 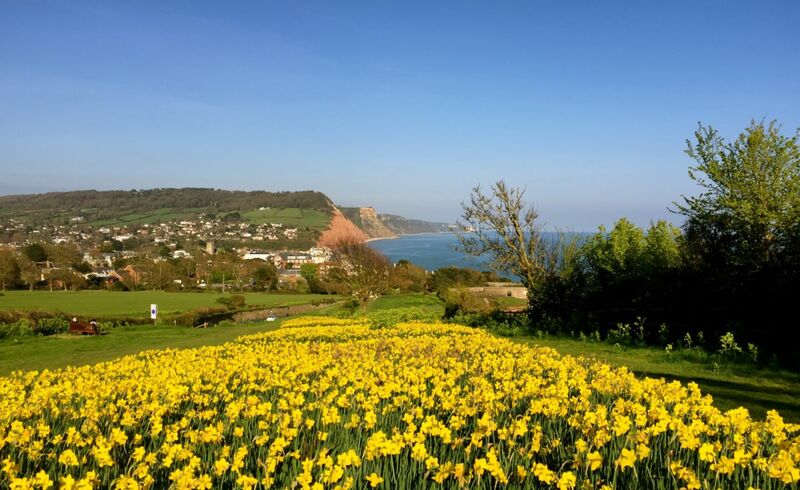 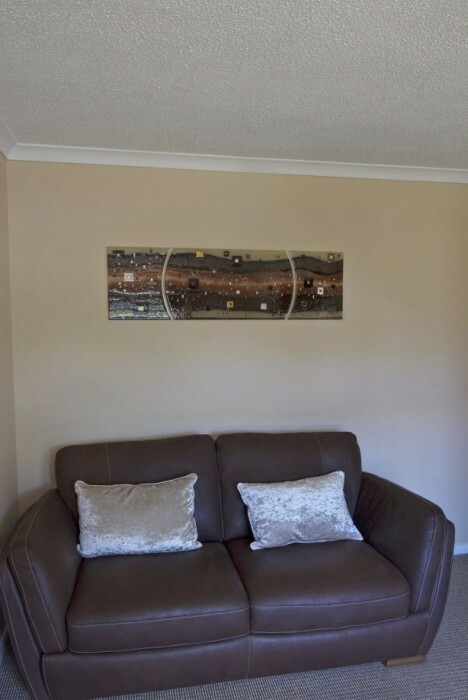 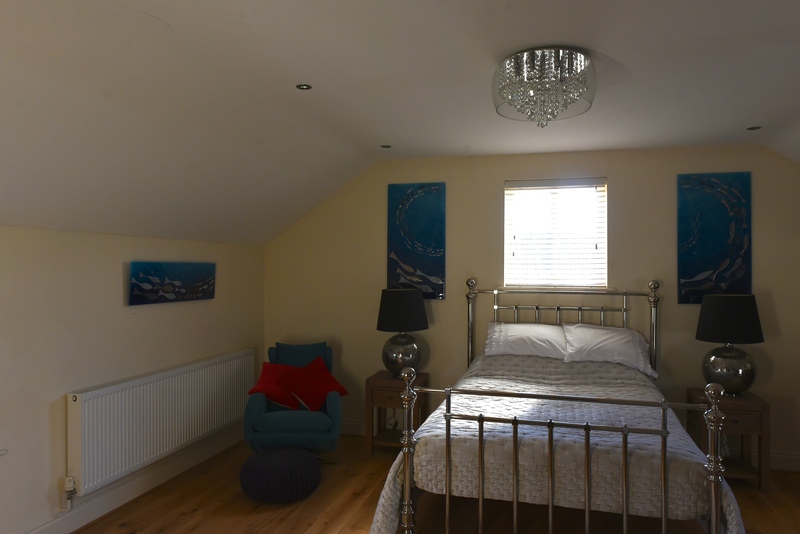 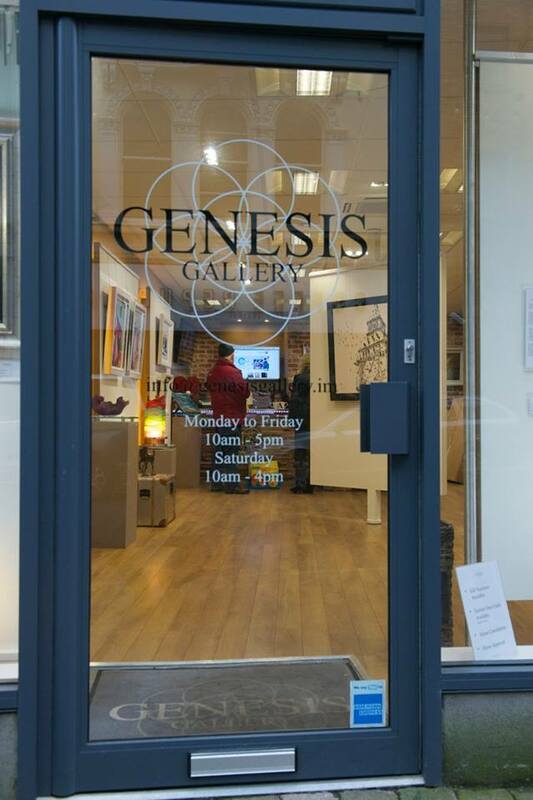 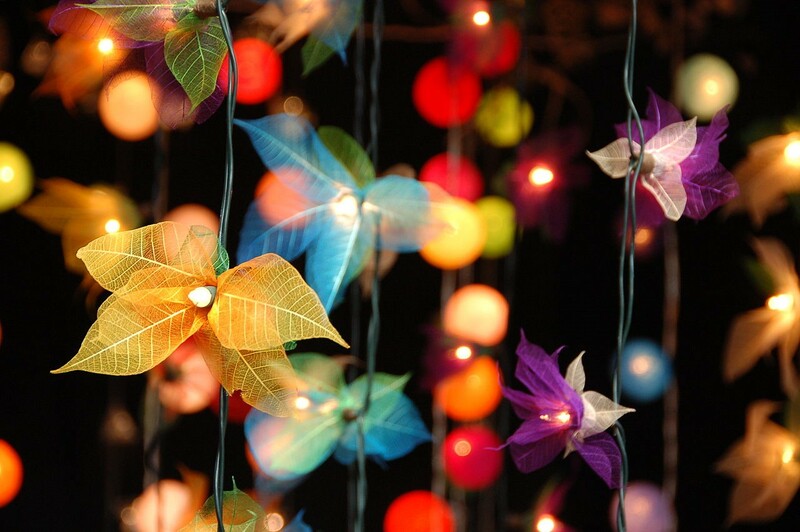 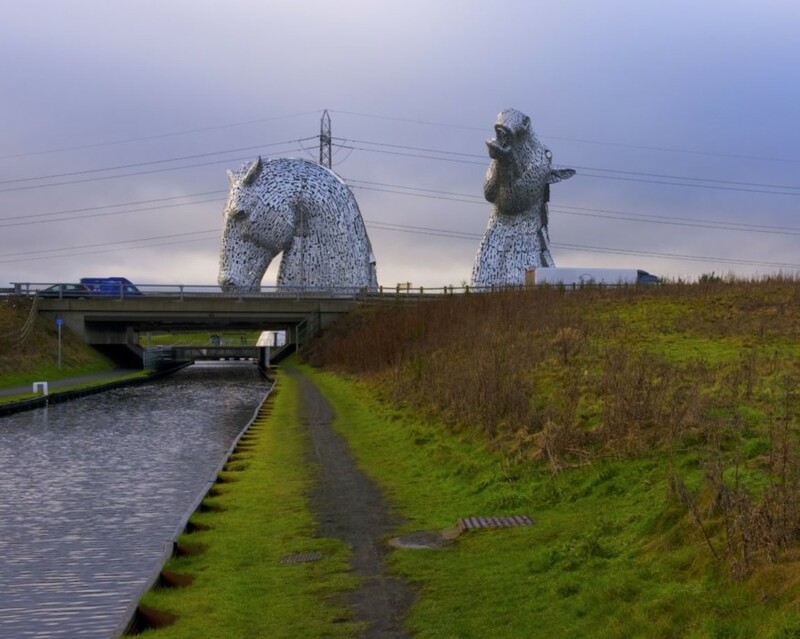 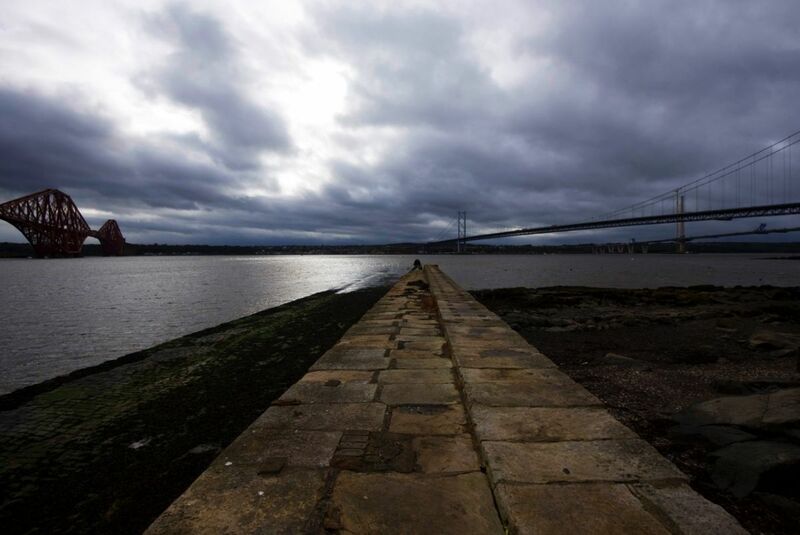 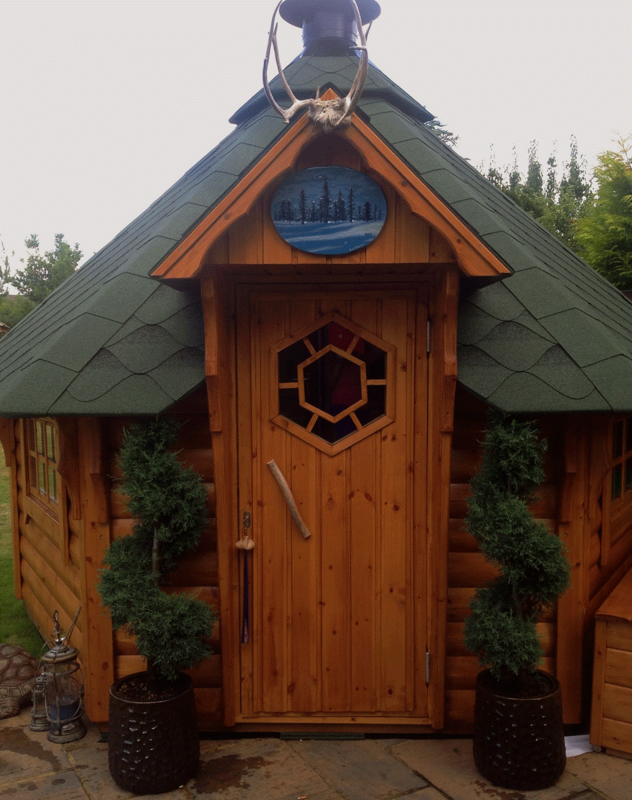 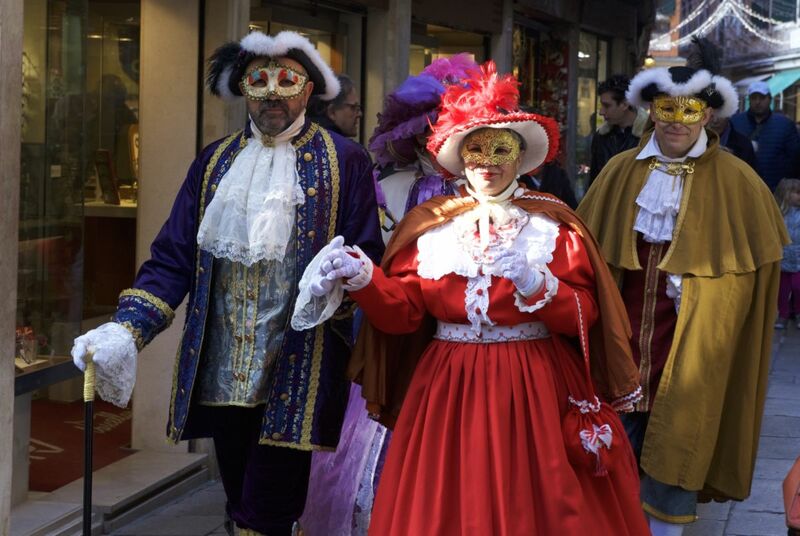 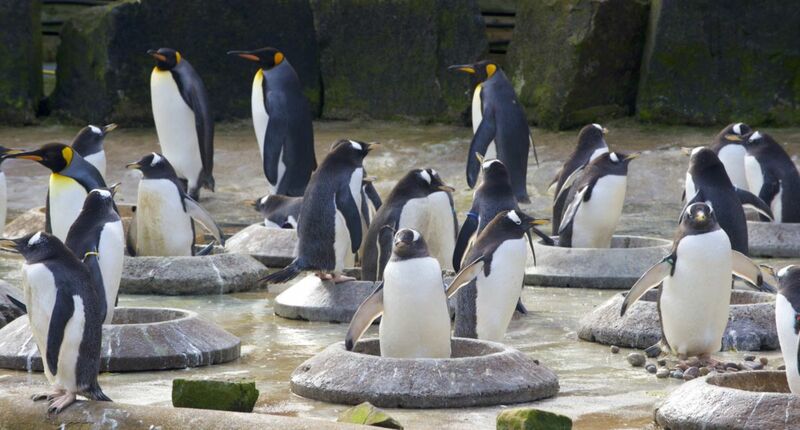 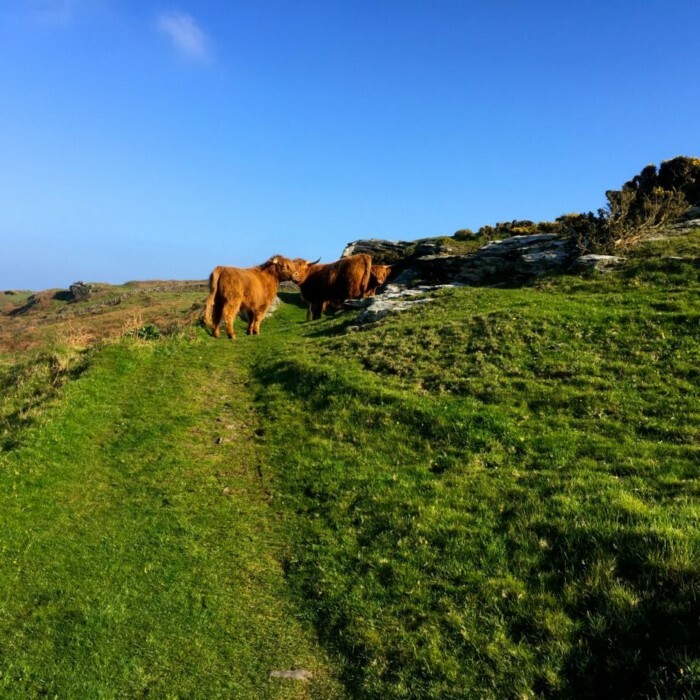 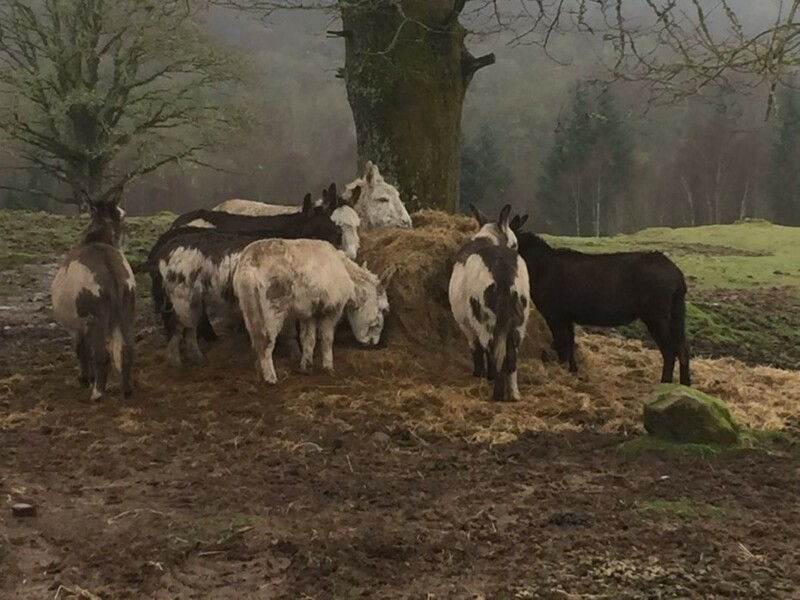 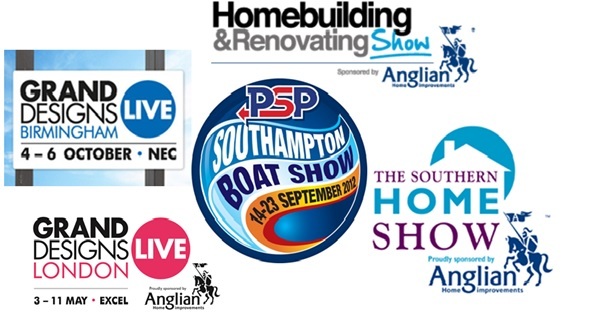 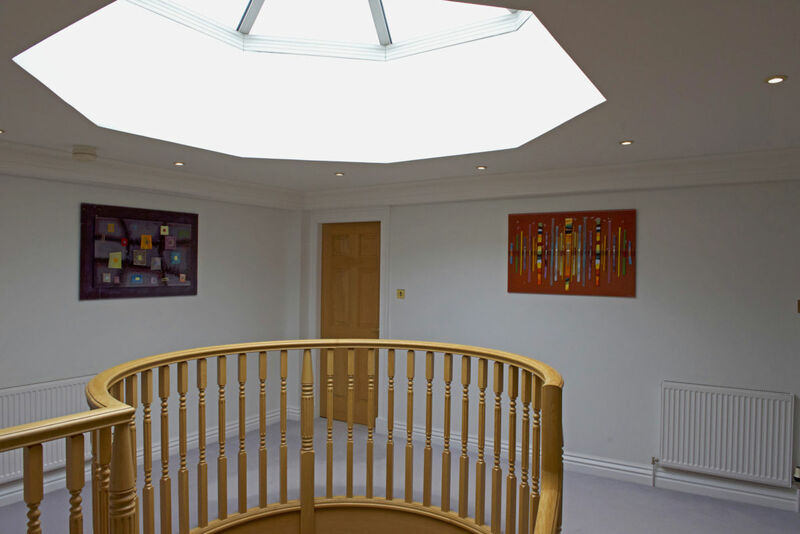 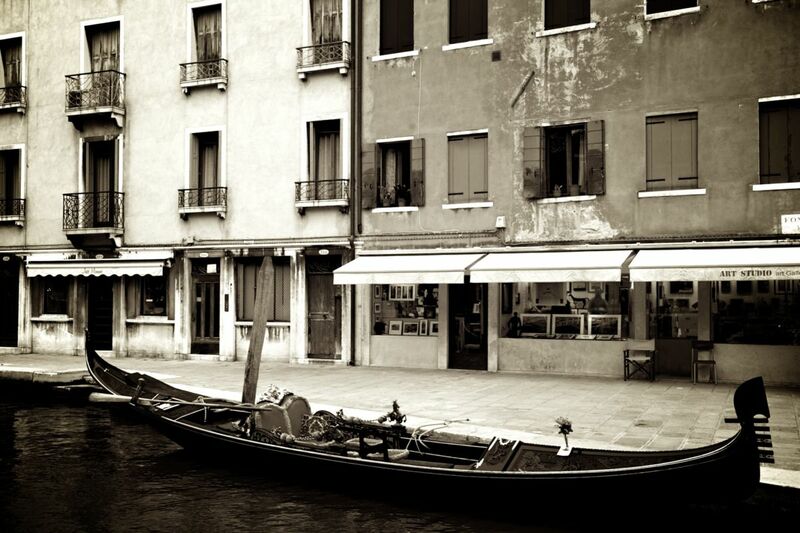 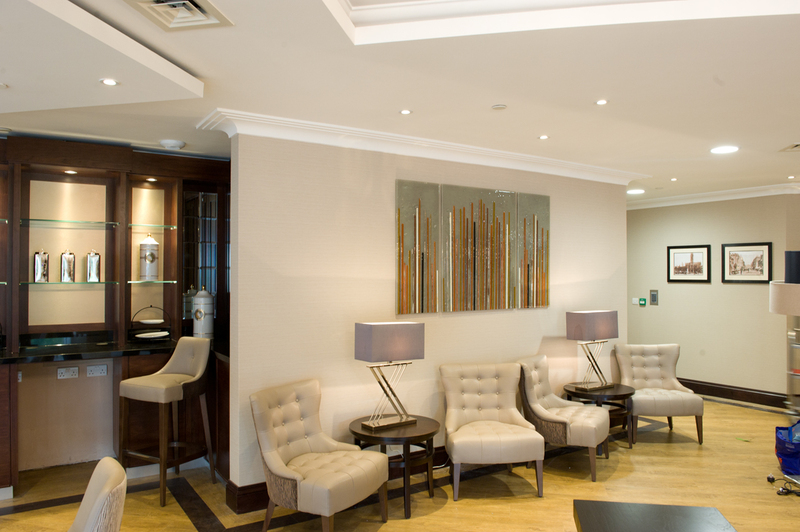 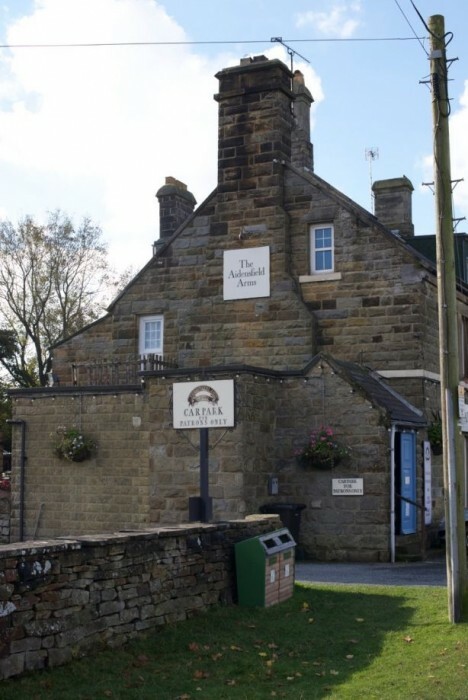 You can find our full details right here on our website, and you can always get in touch via phone or email.